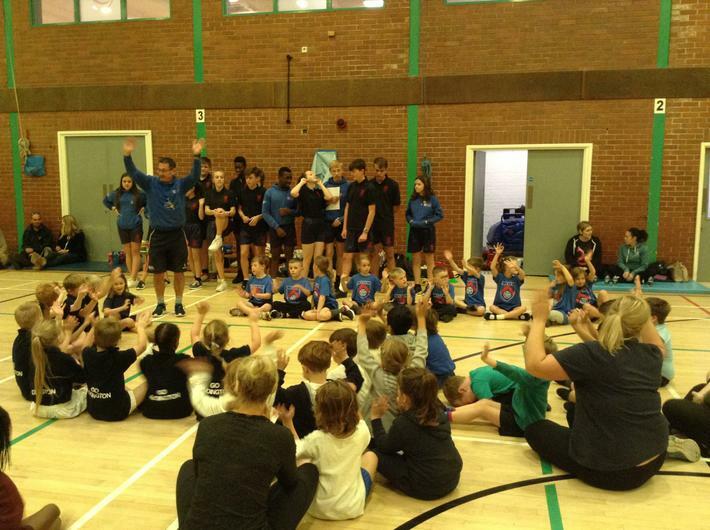 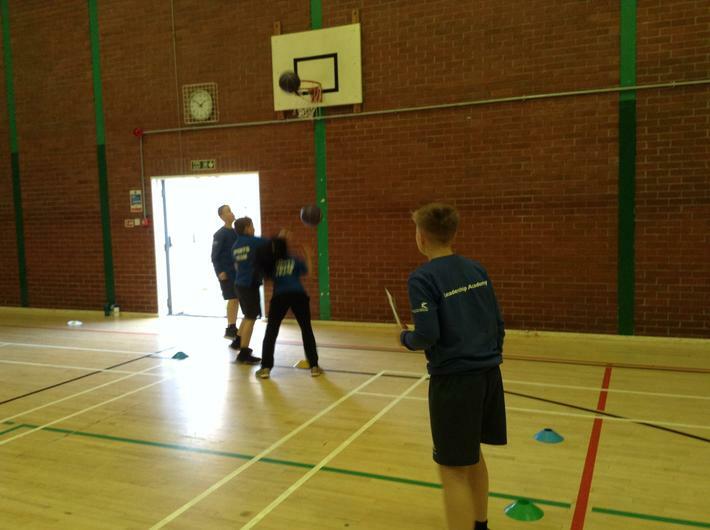 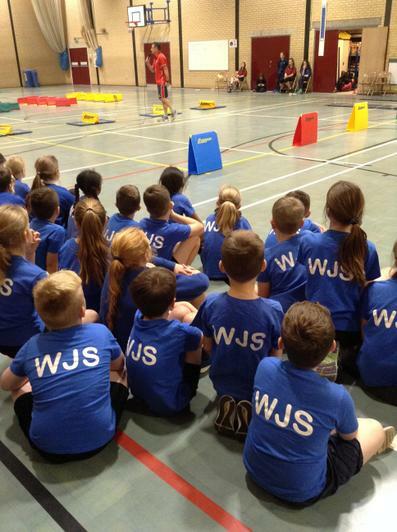 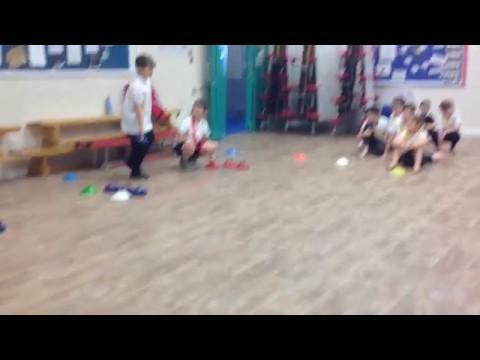 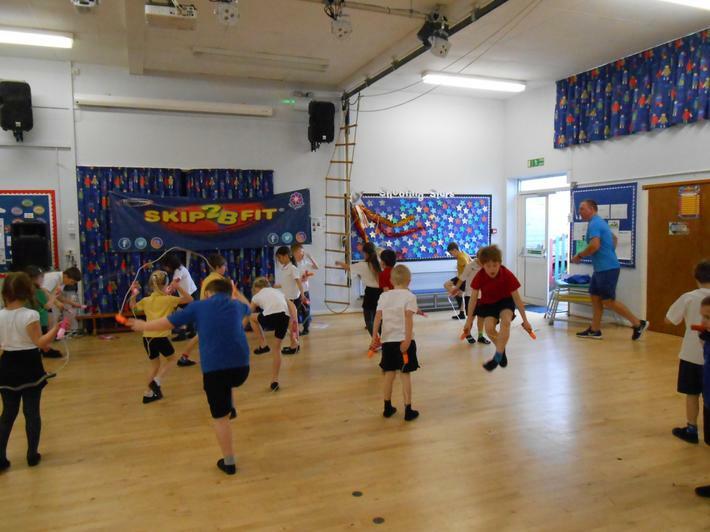 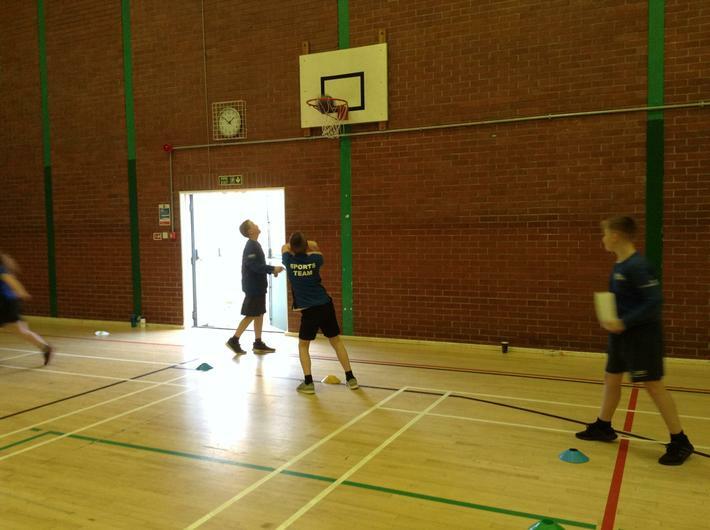 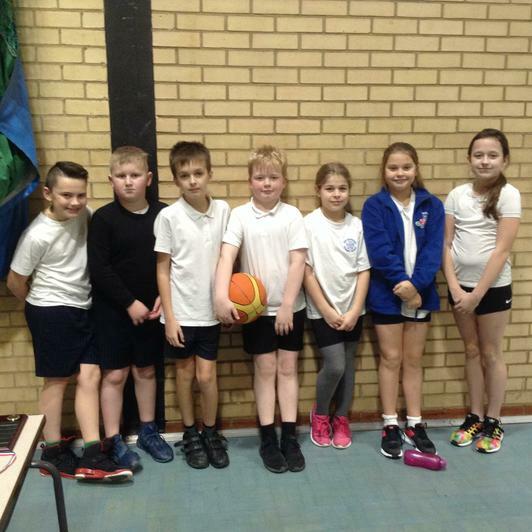 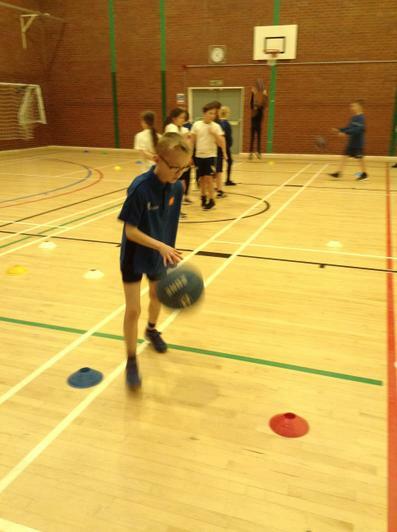 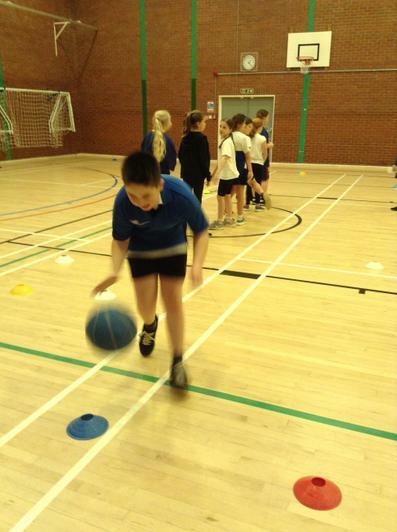 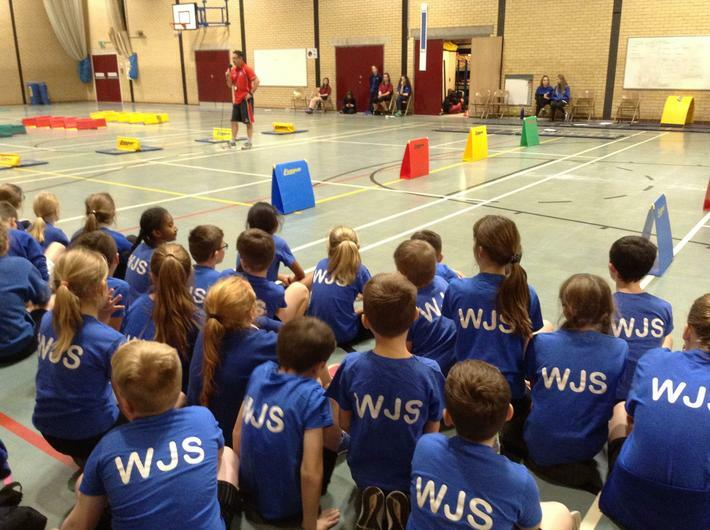 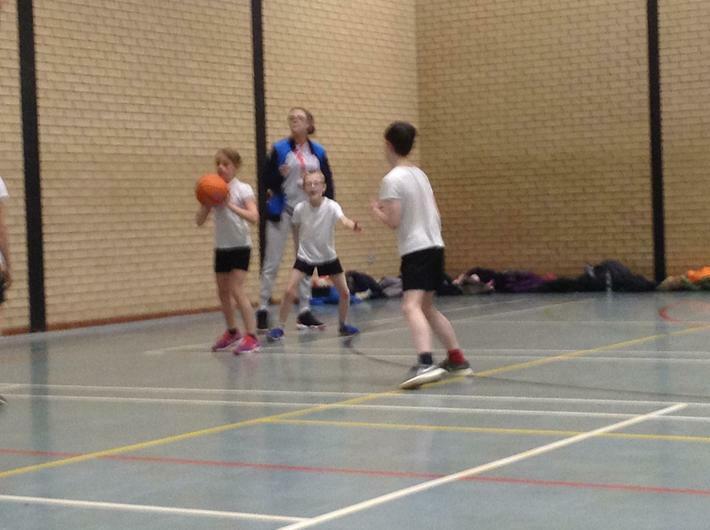 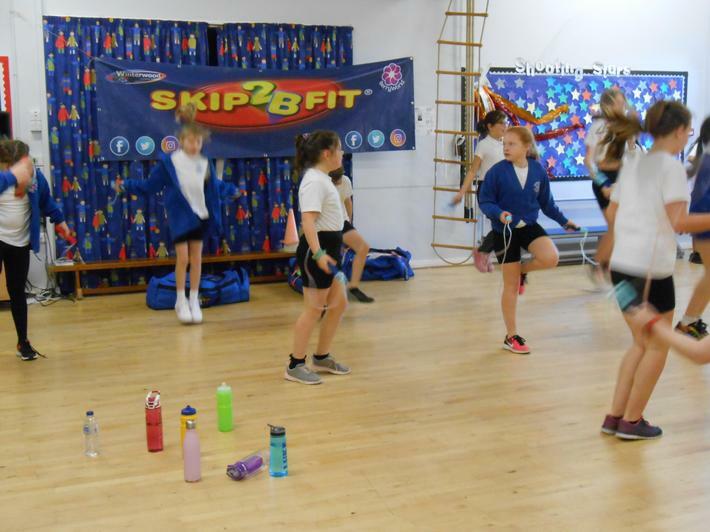 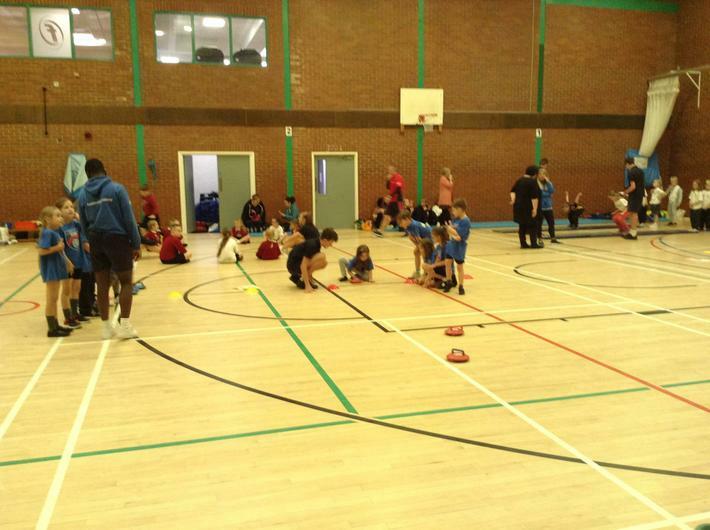 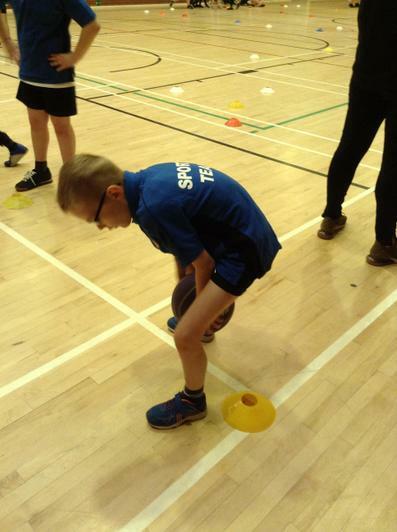 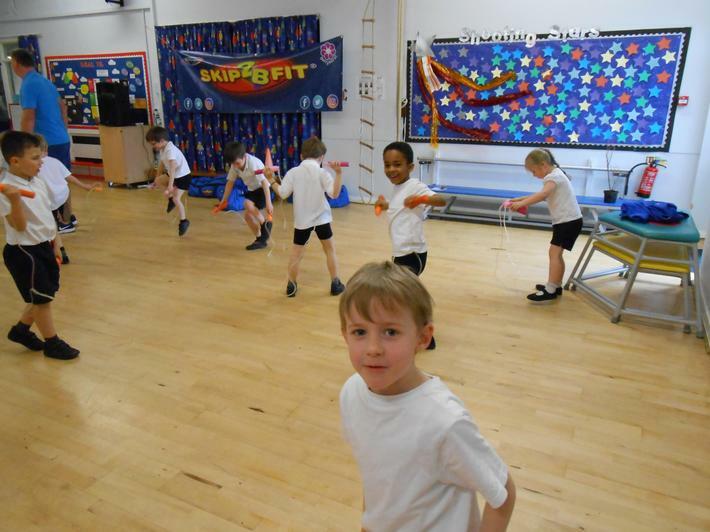 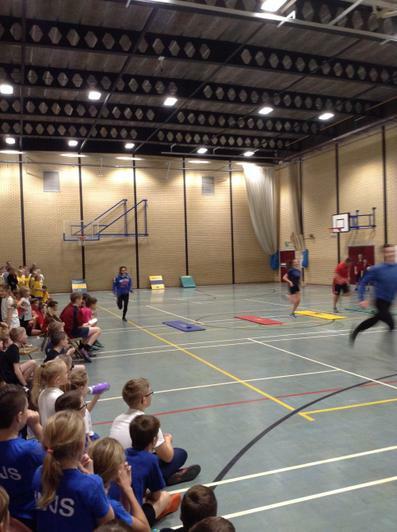 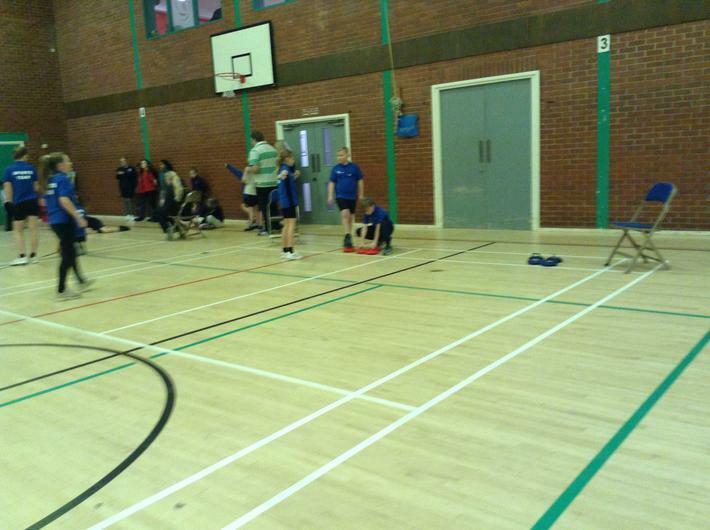 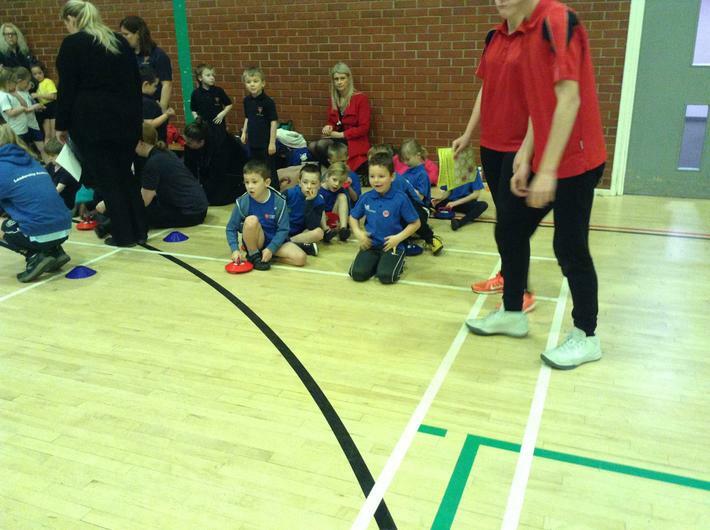 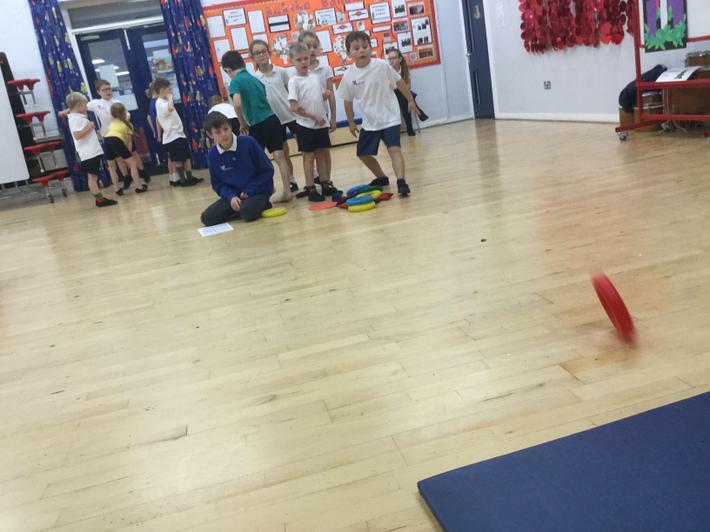 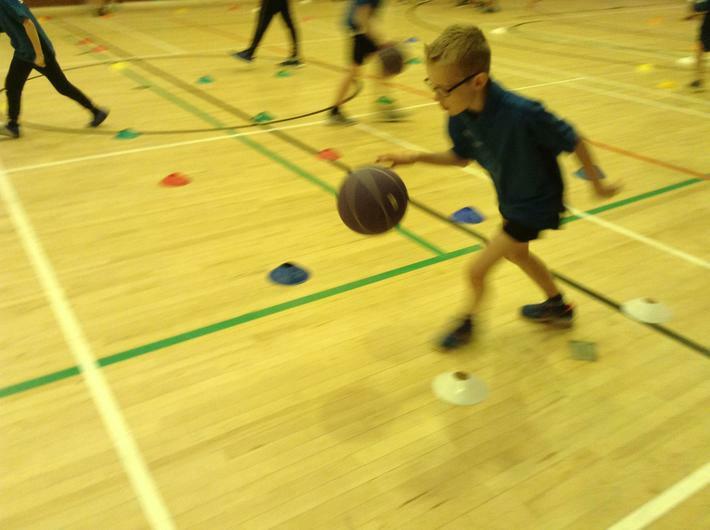 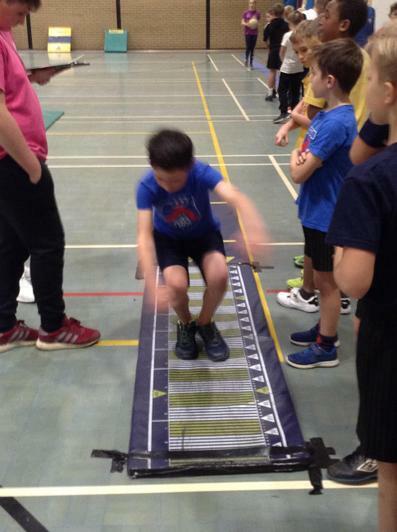 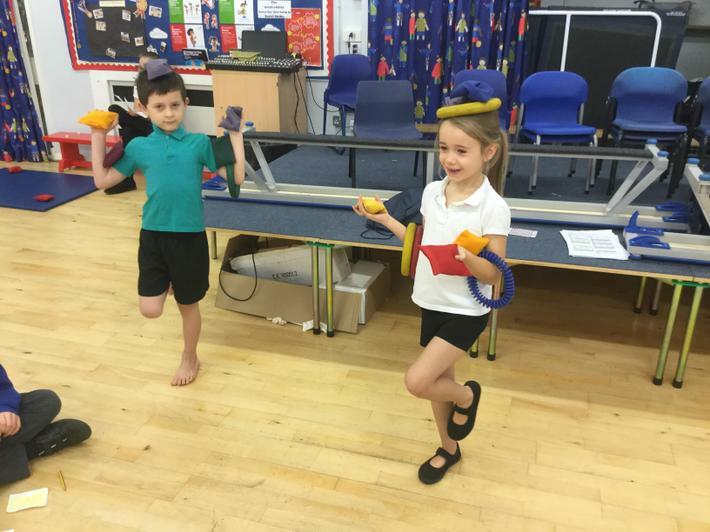 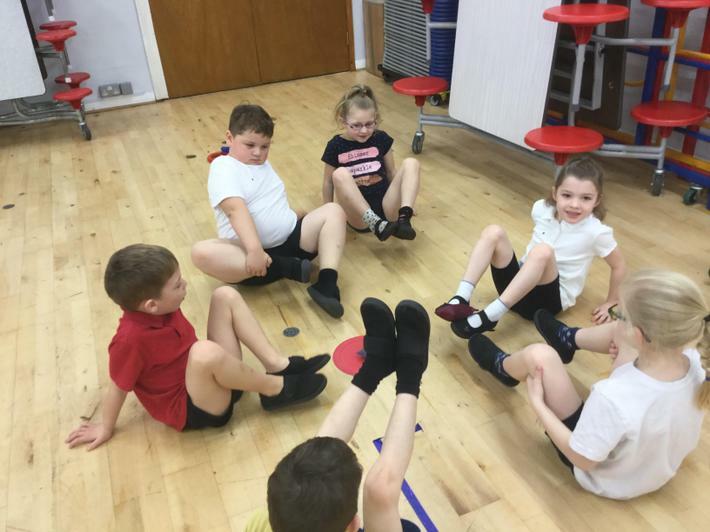 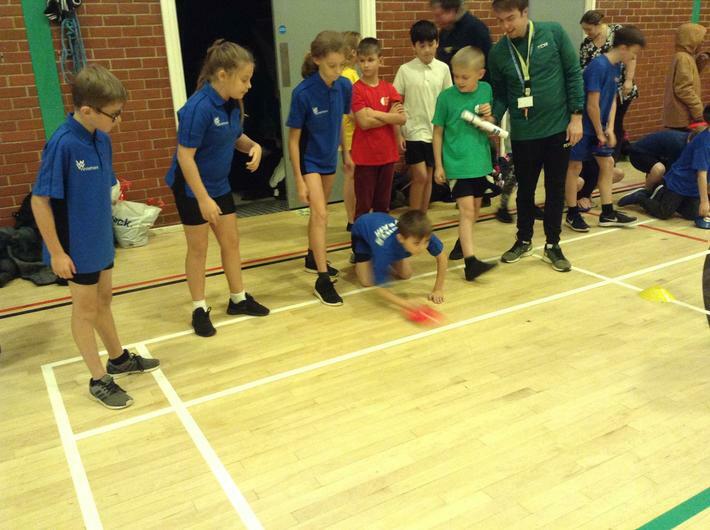 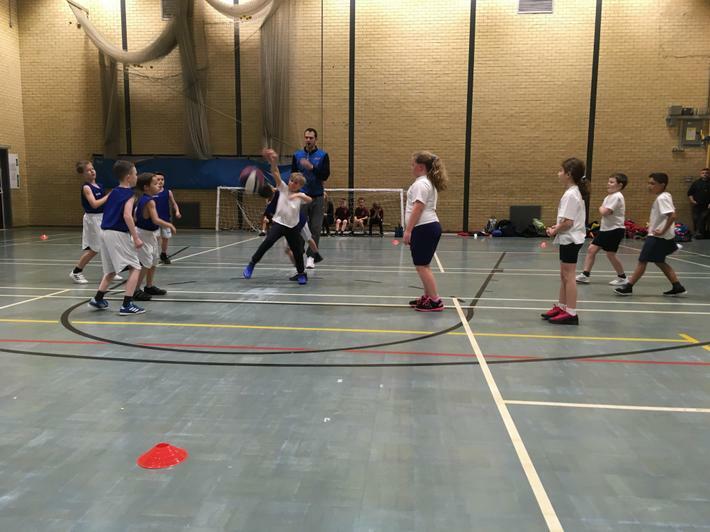 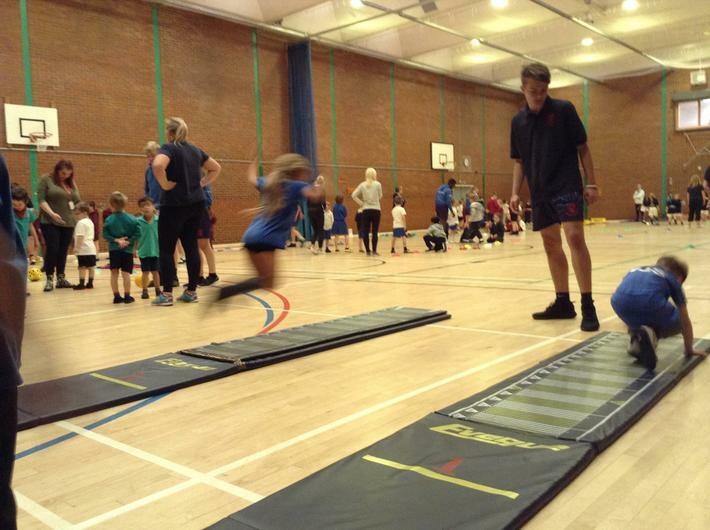 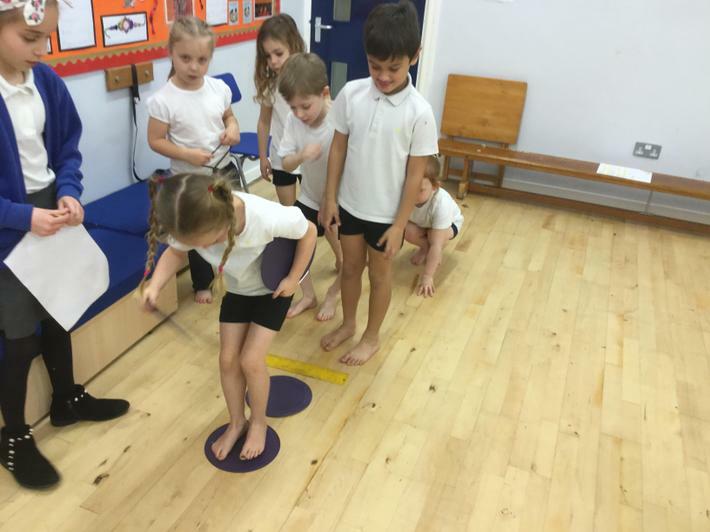 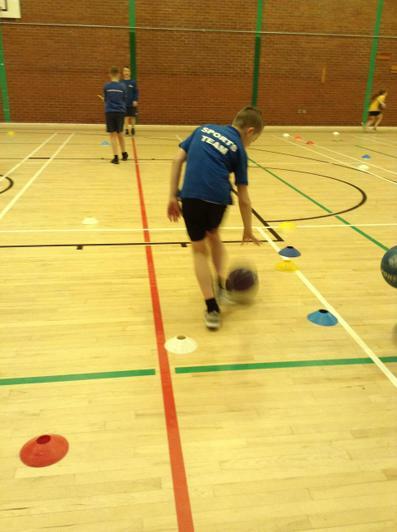 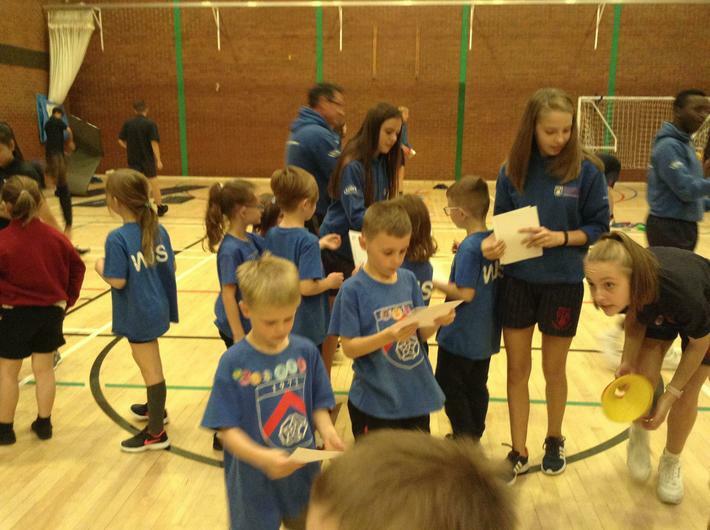 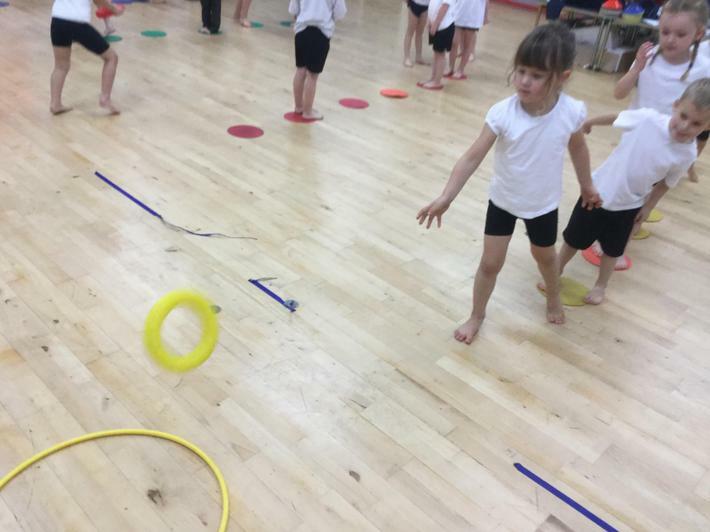 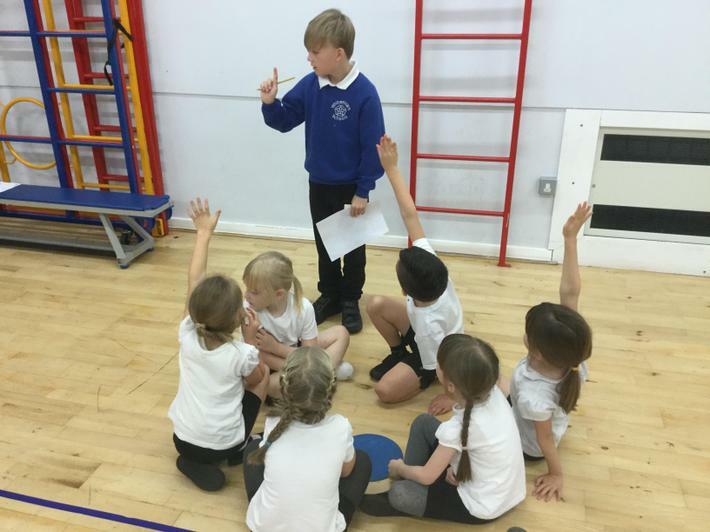 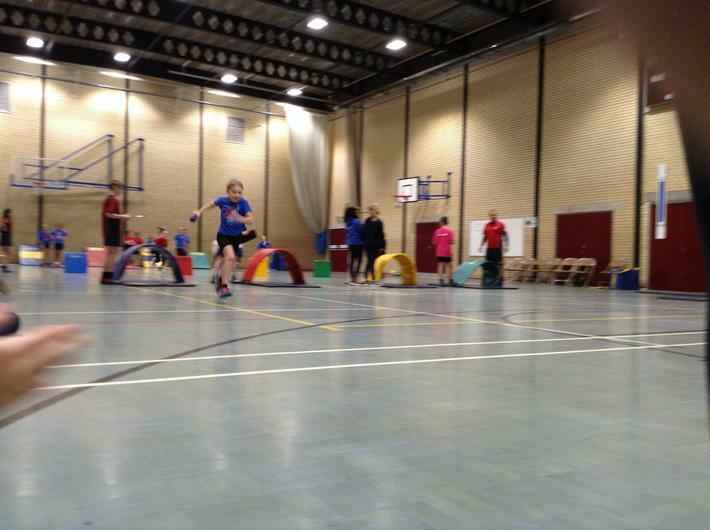 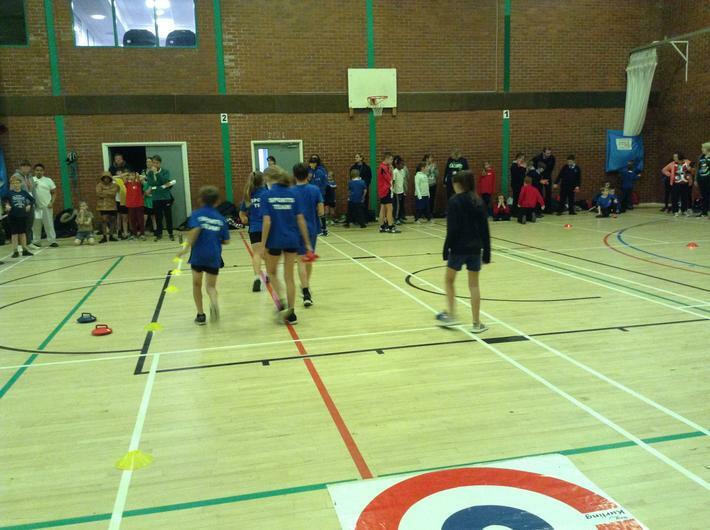 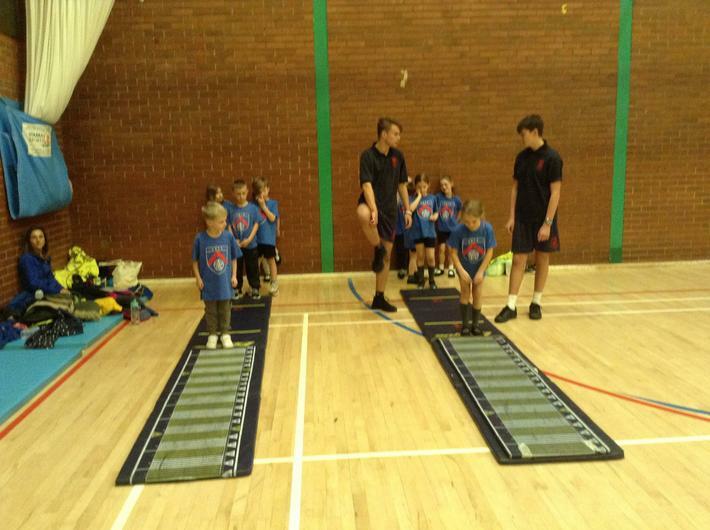 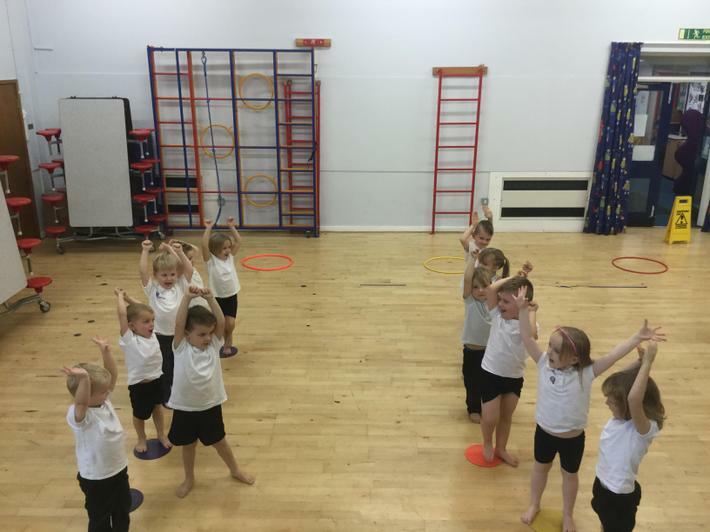 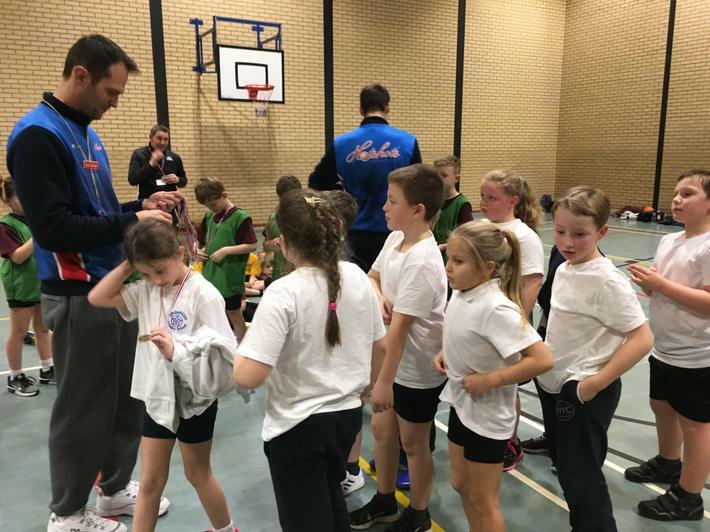 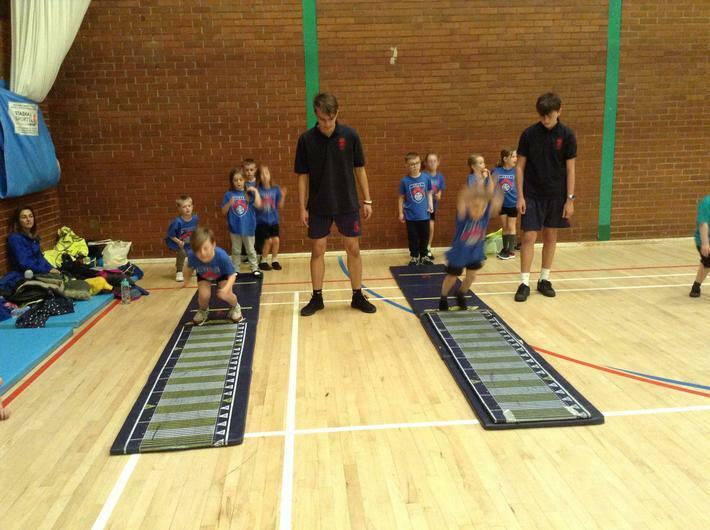 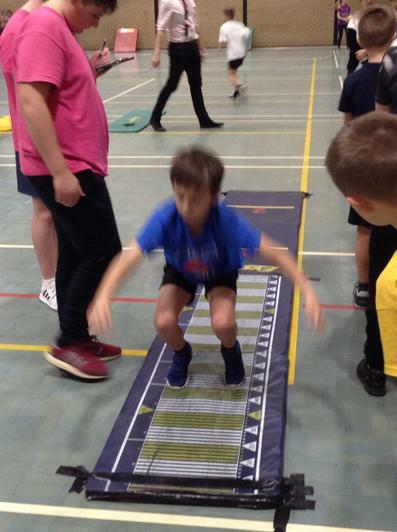 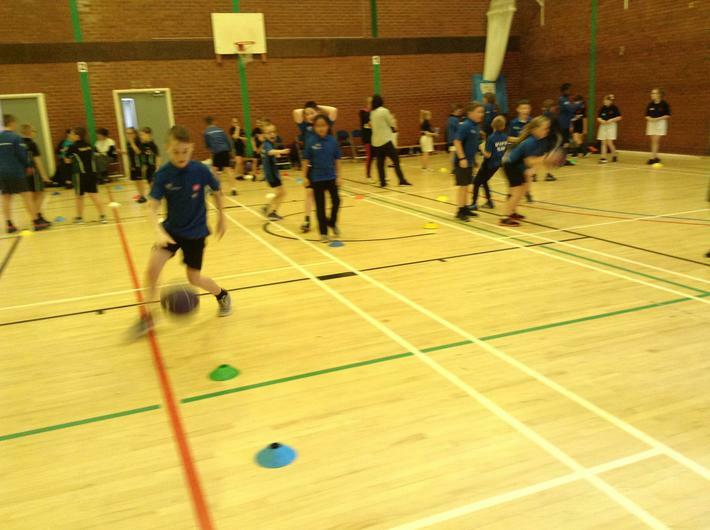 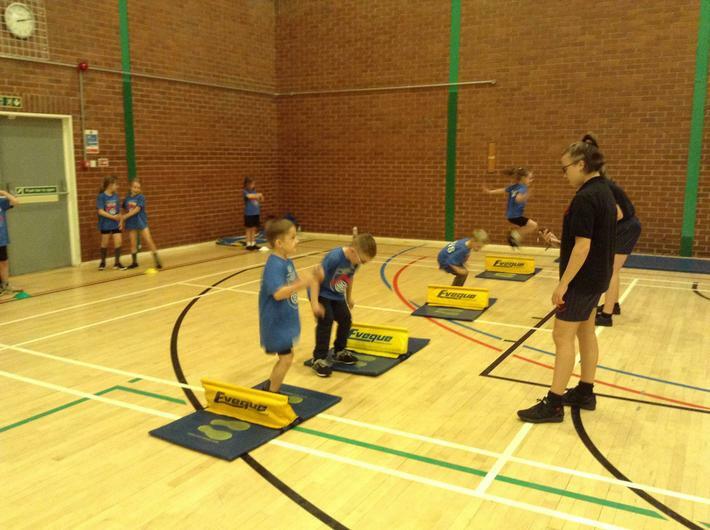 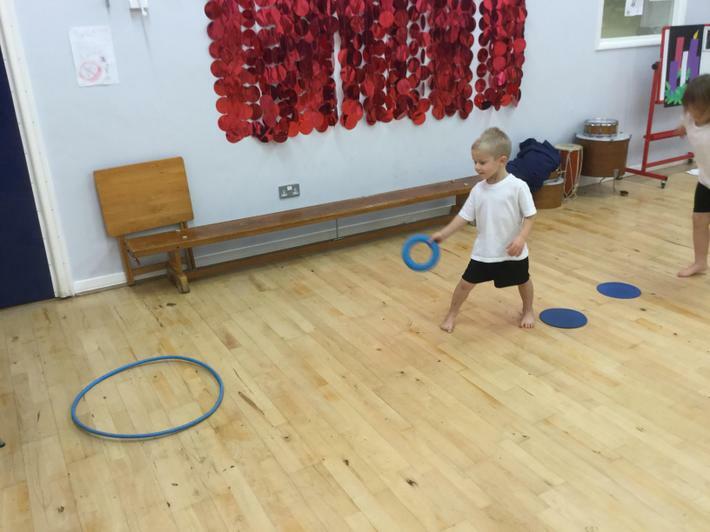 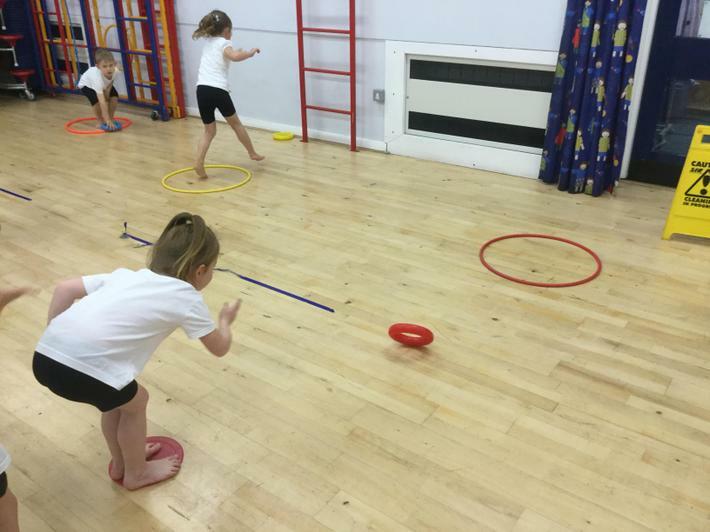 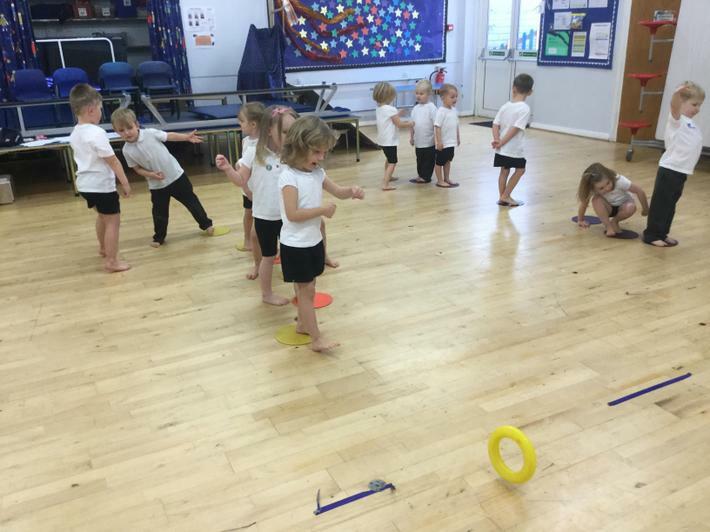 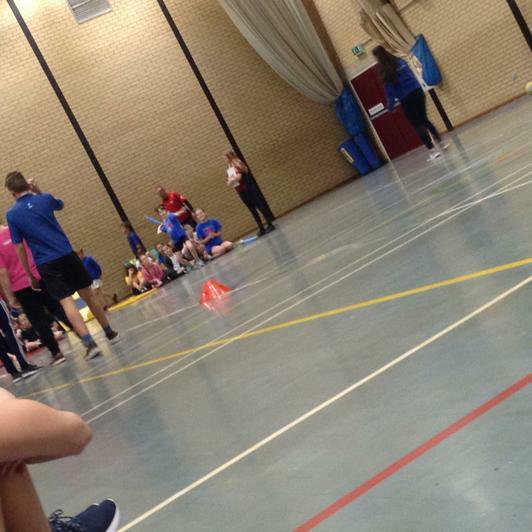 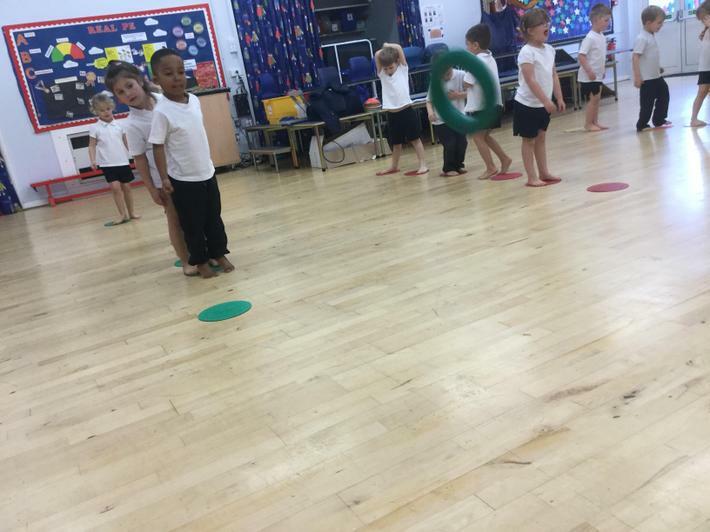 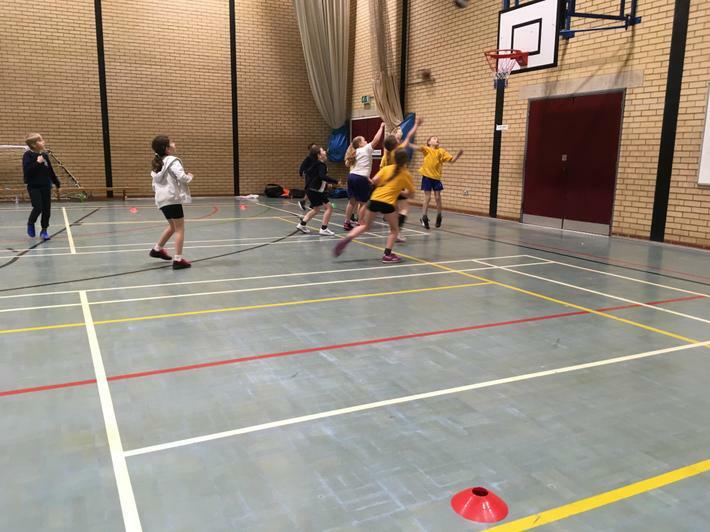 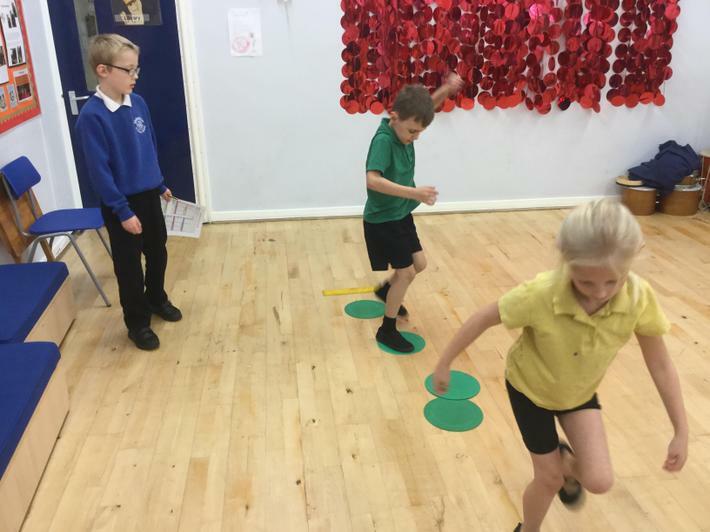 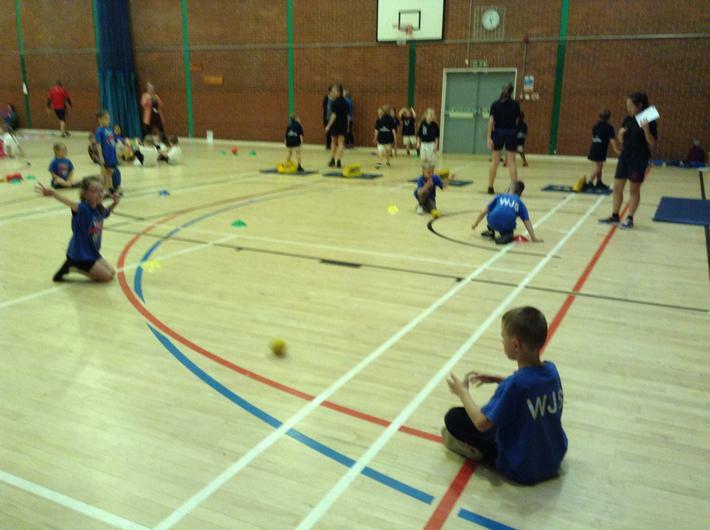 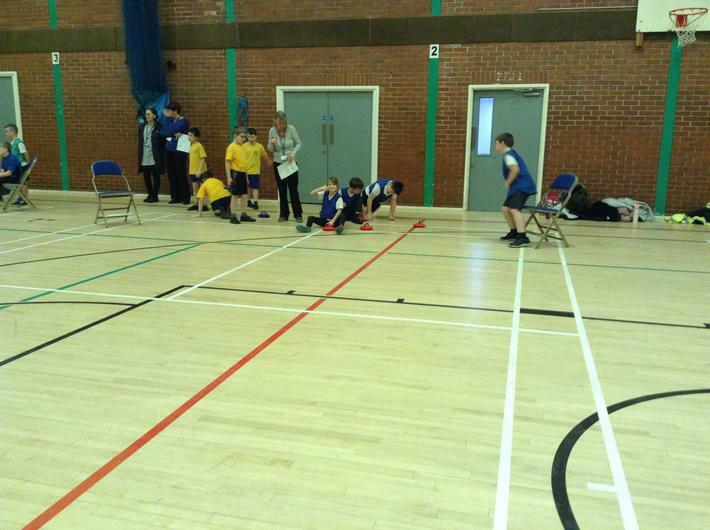 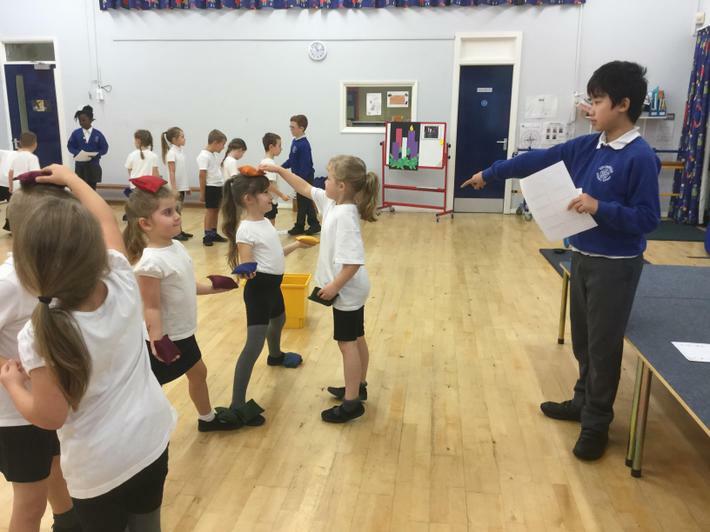 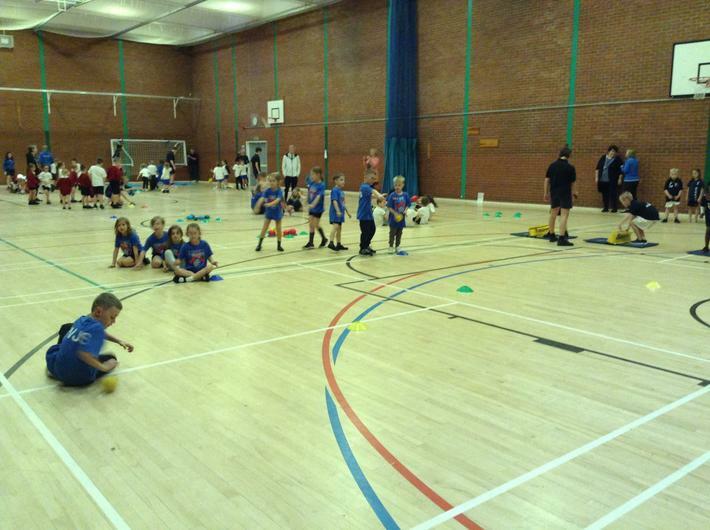 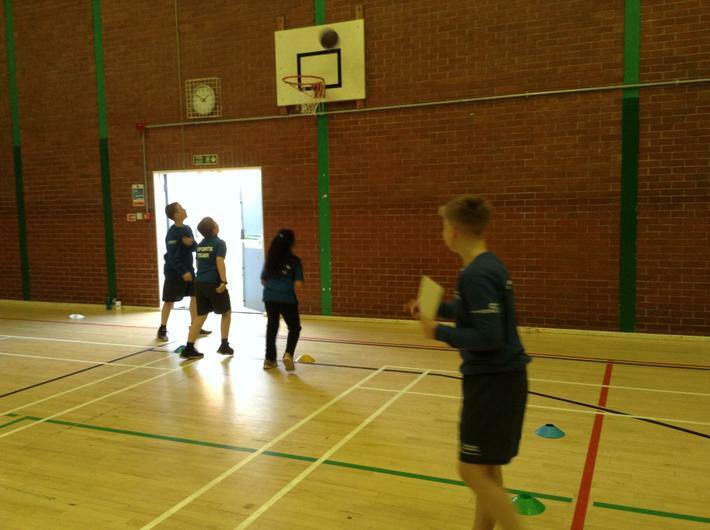 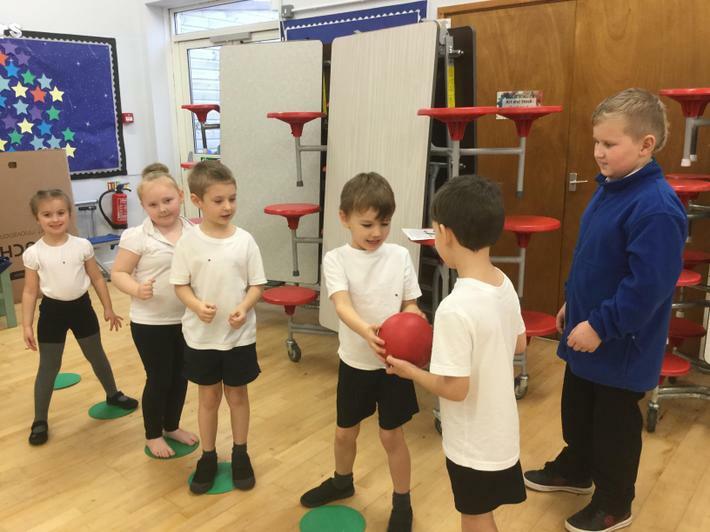 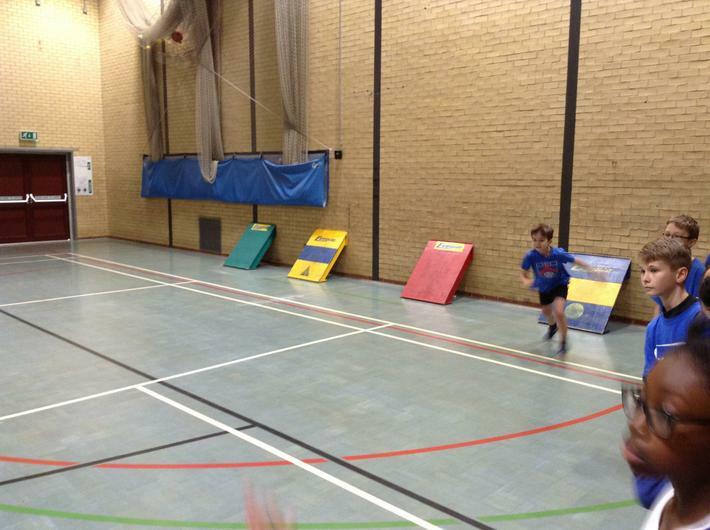 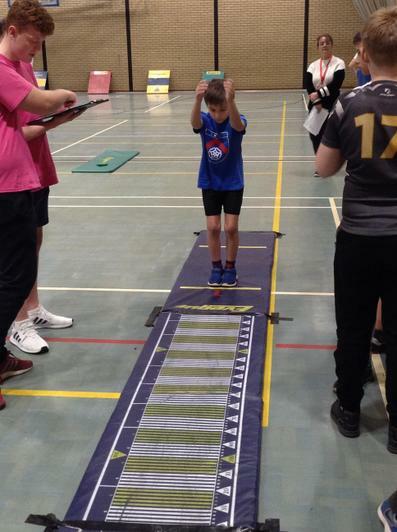 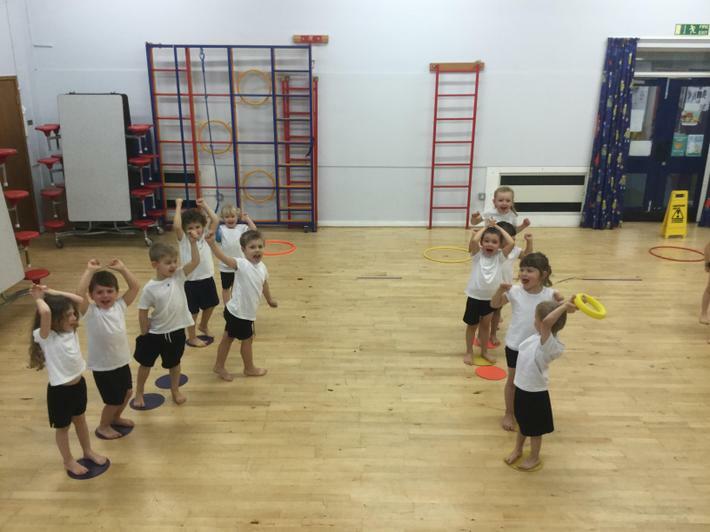 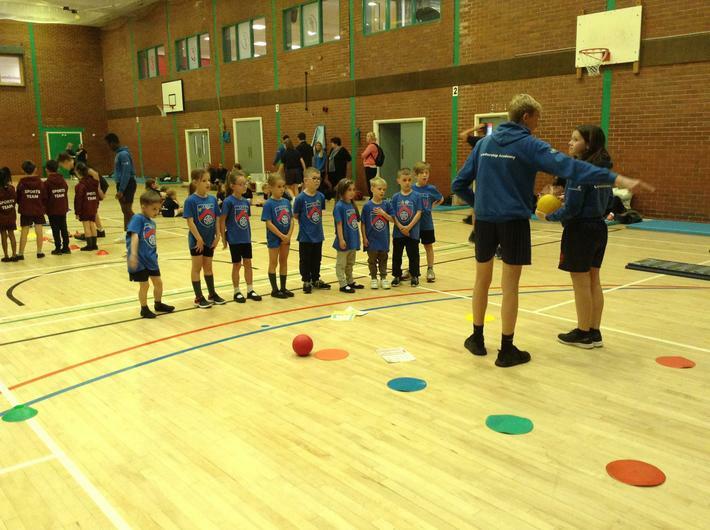 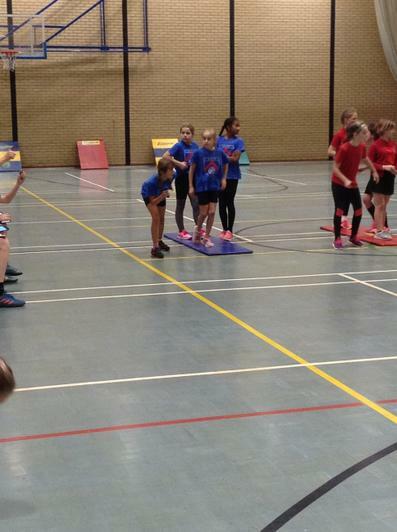 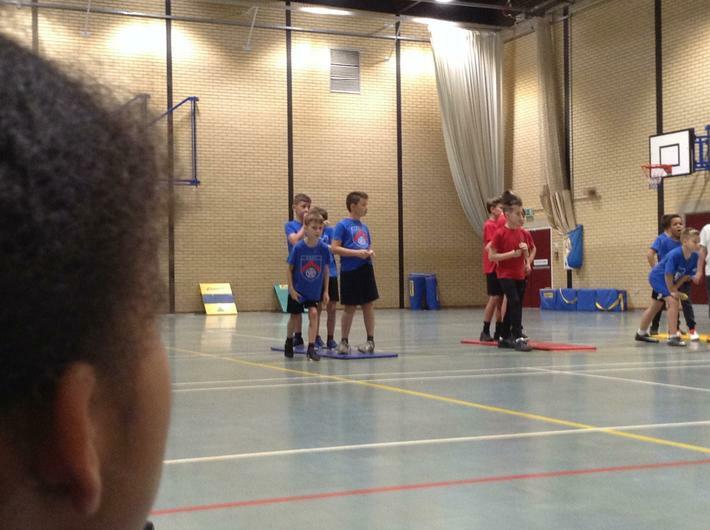 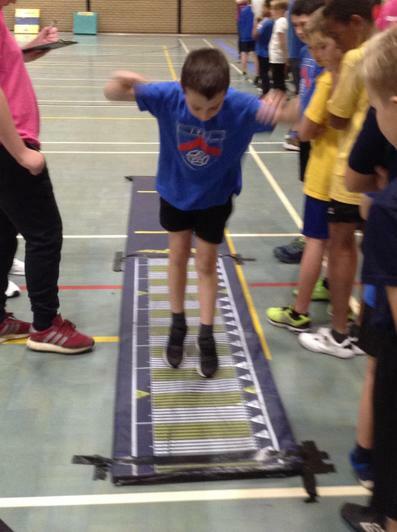 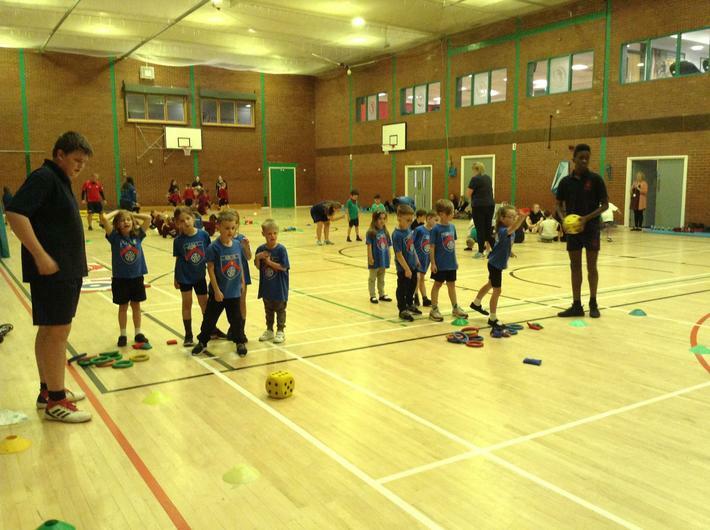 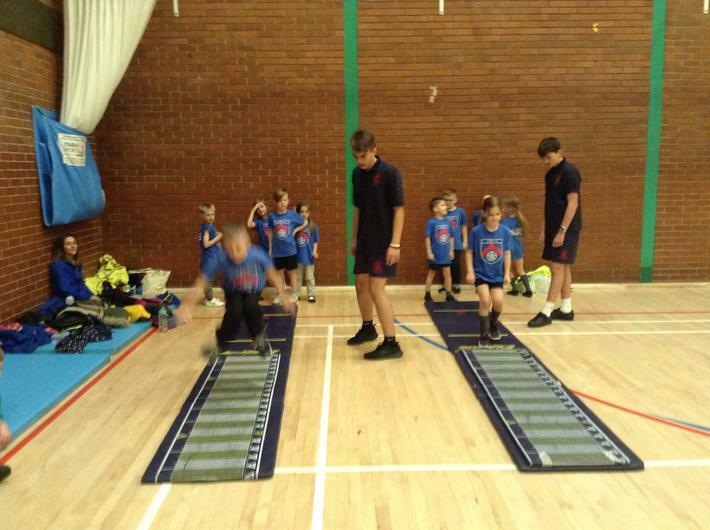 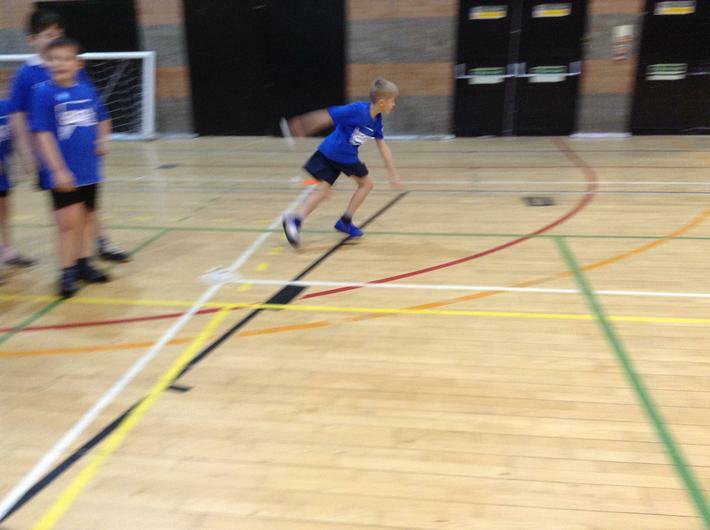 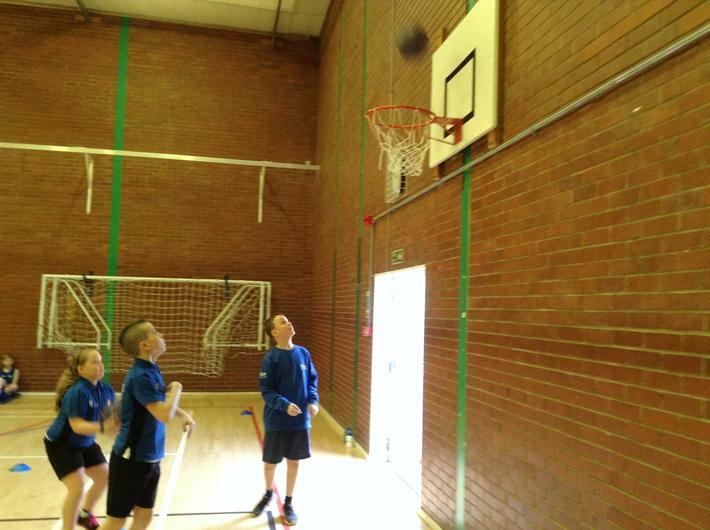 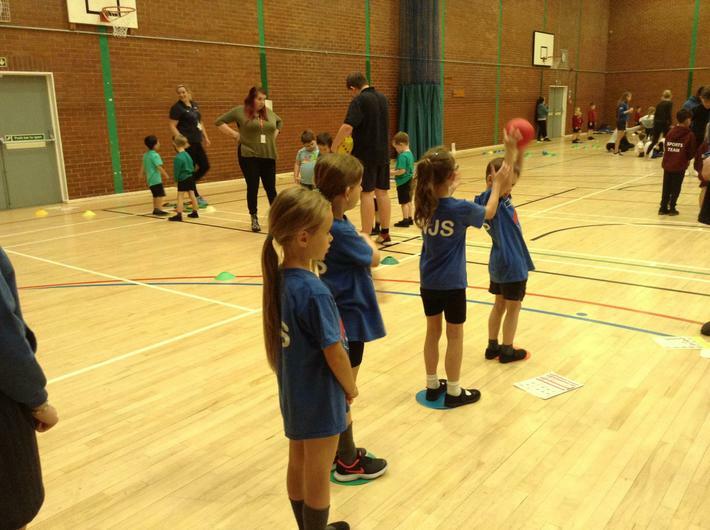 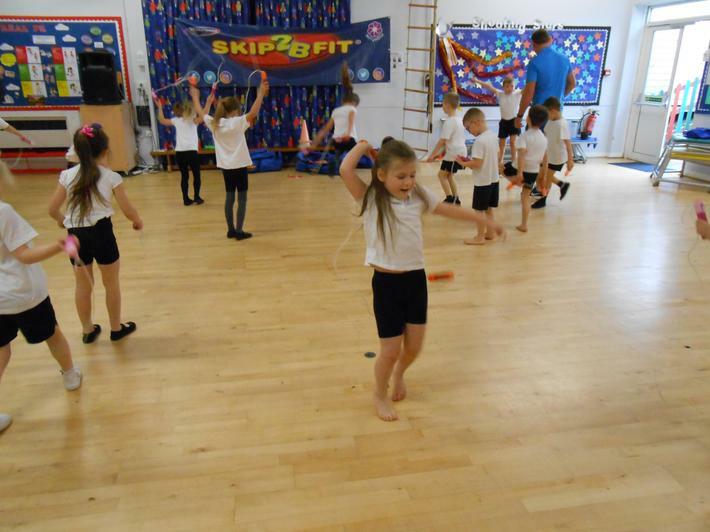 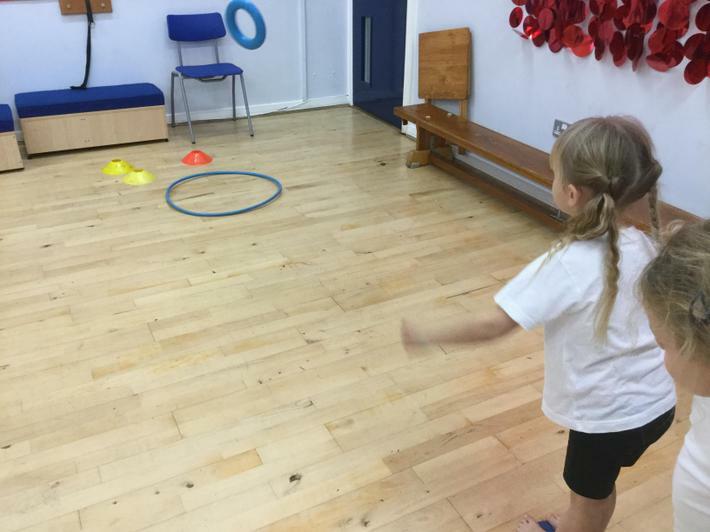 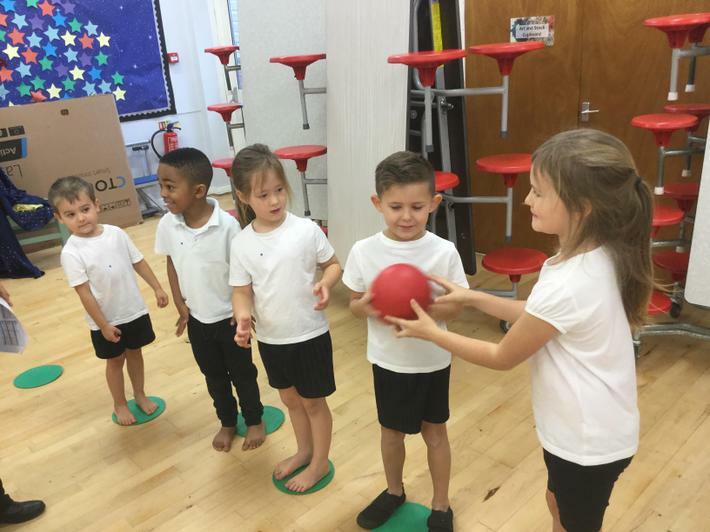 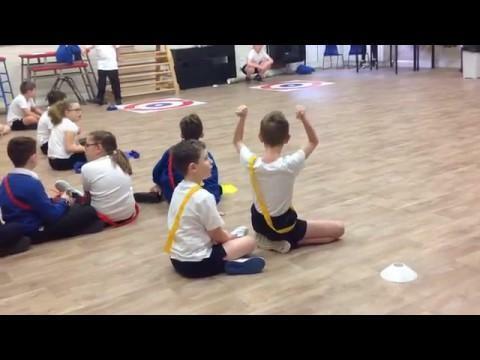 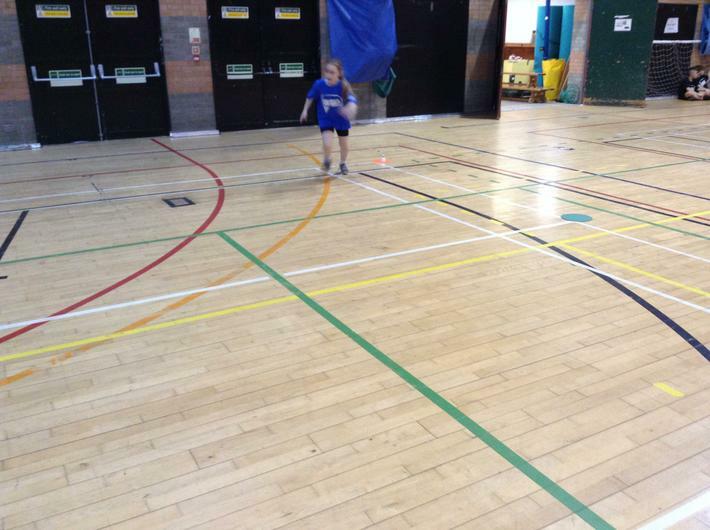 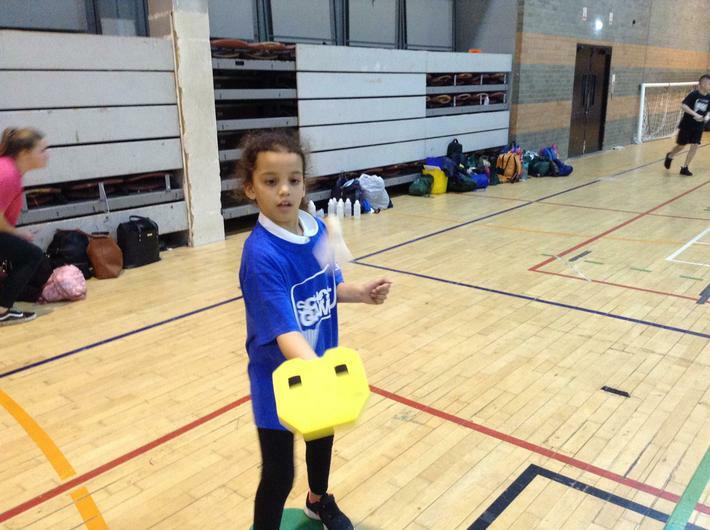 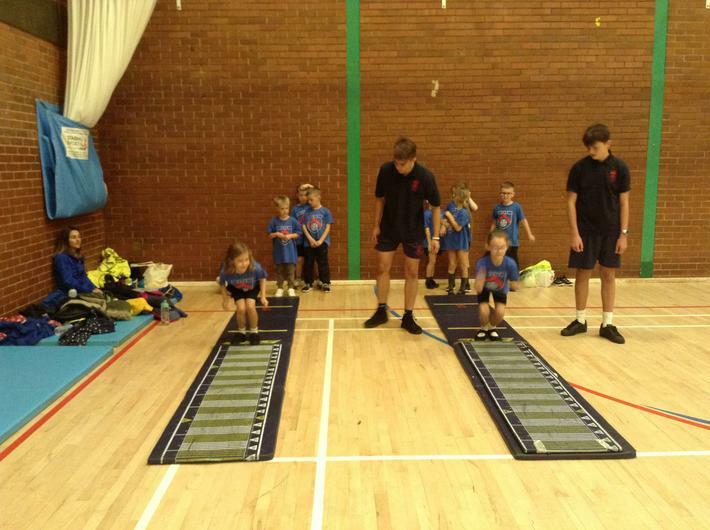 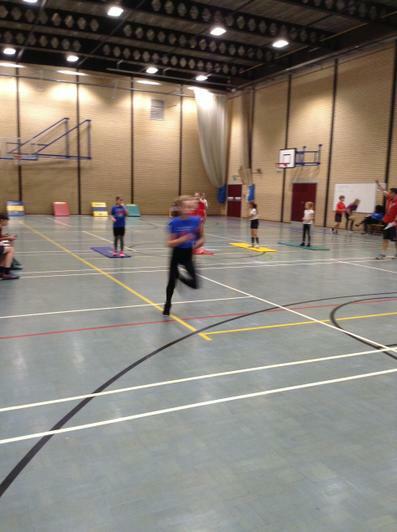 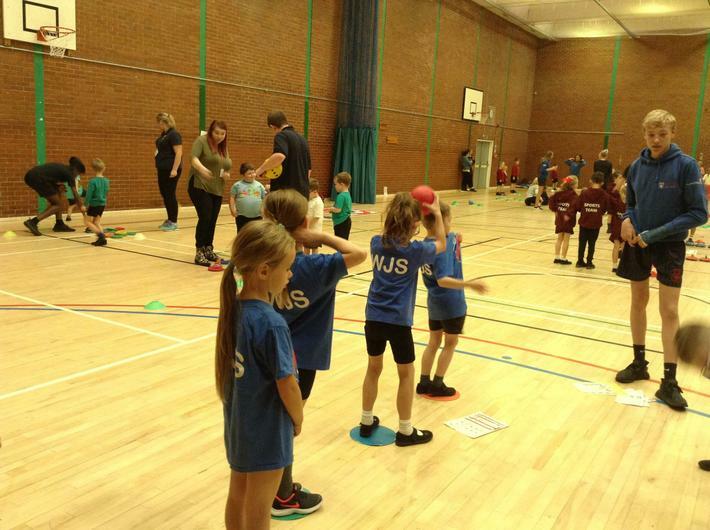 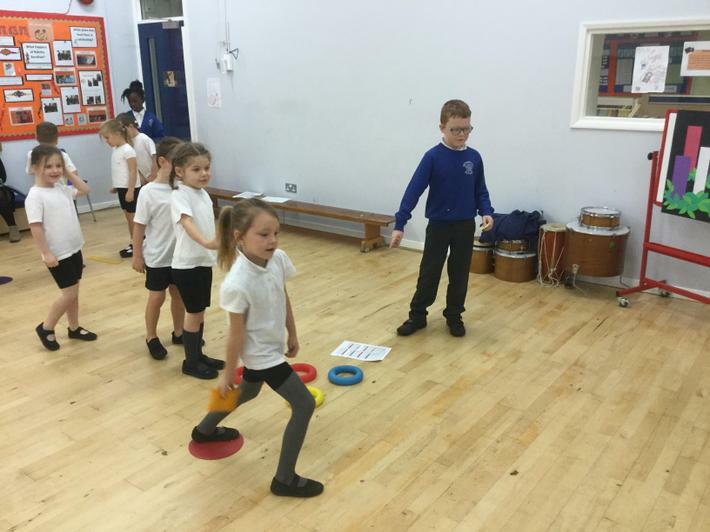 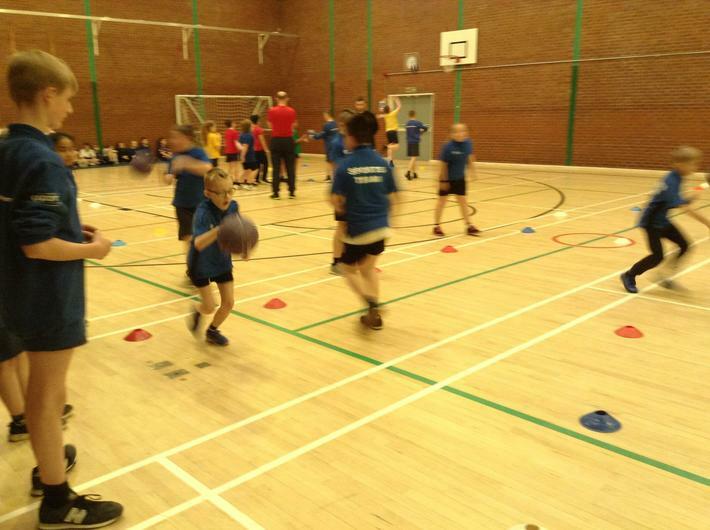 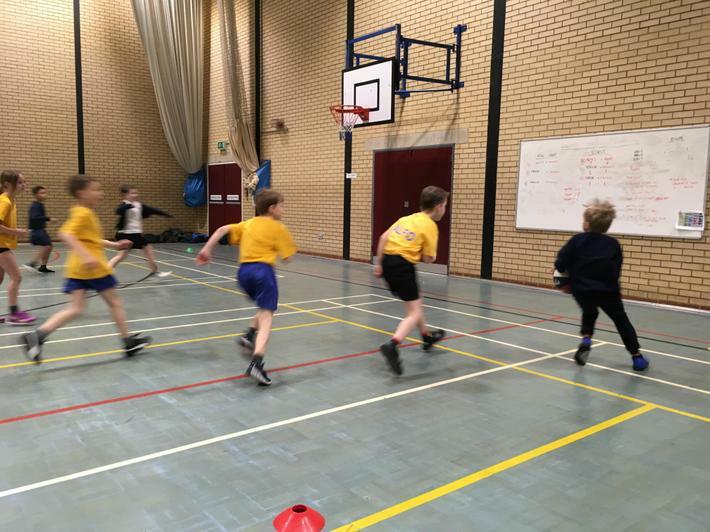 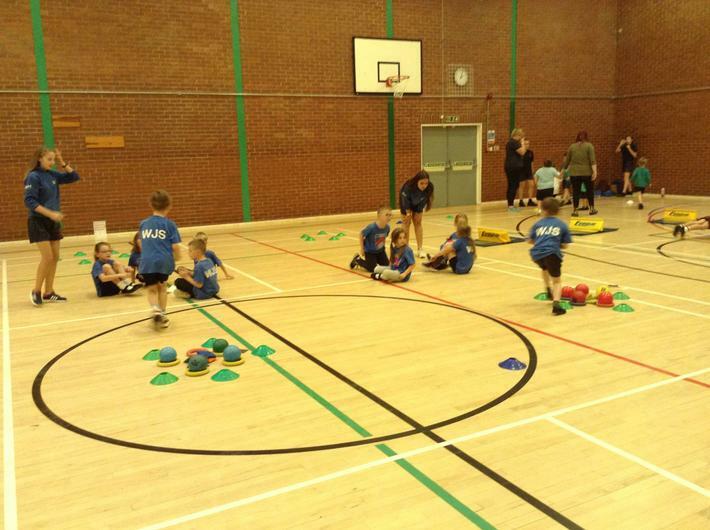 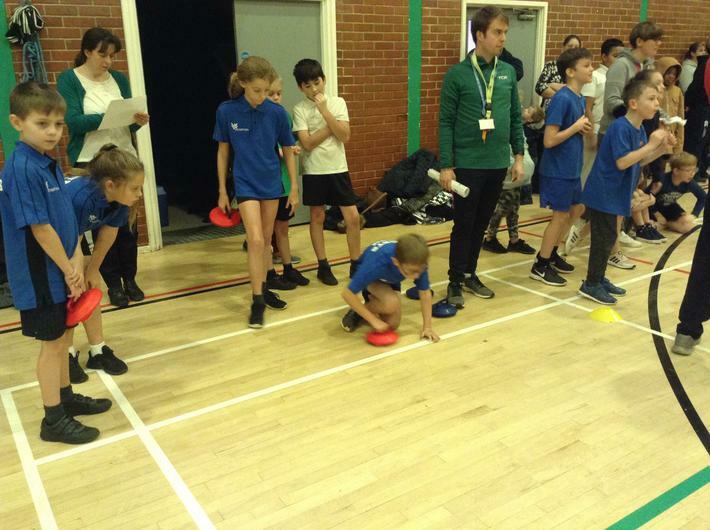 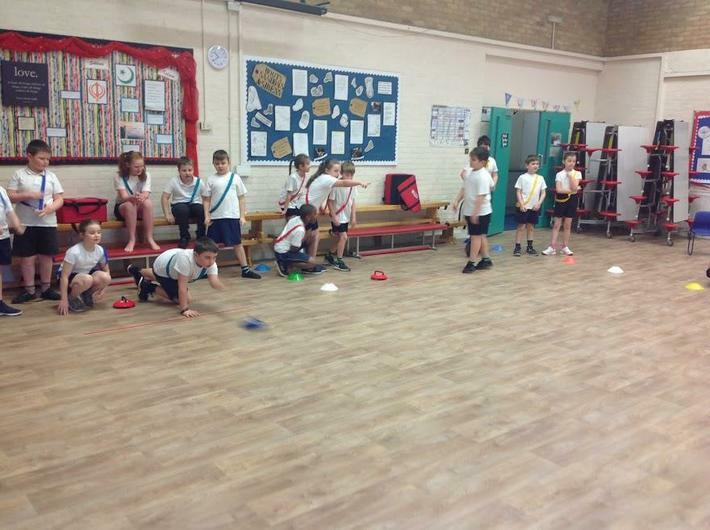 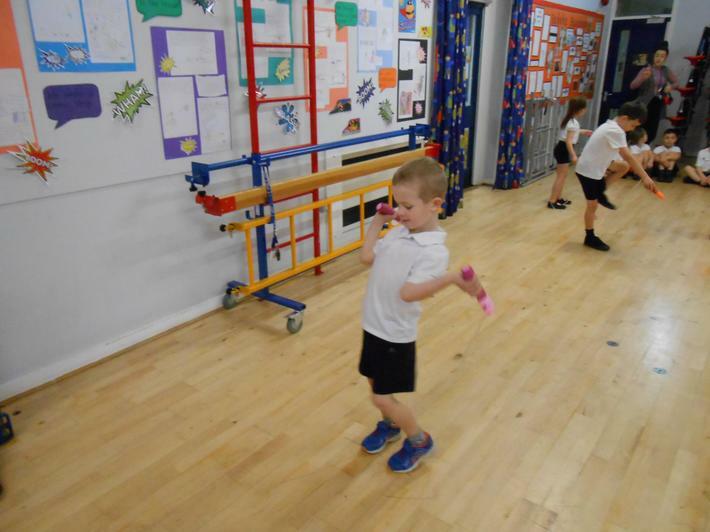 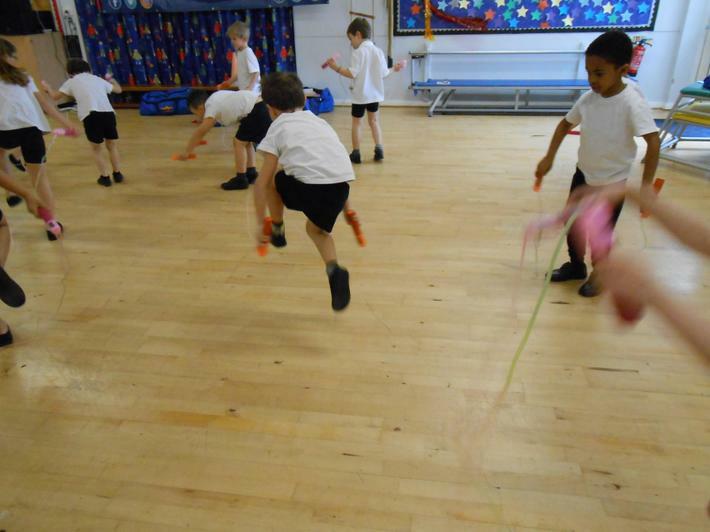 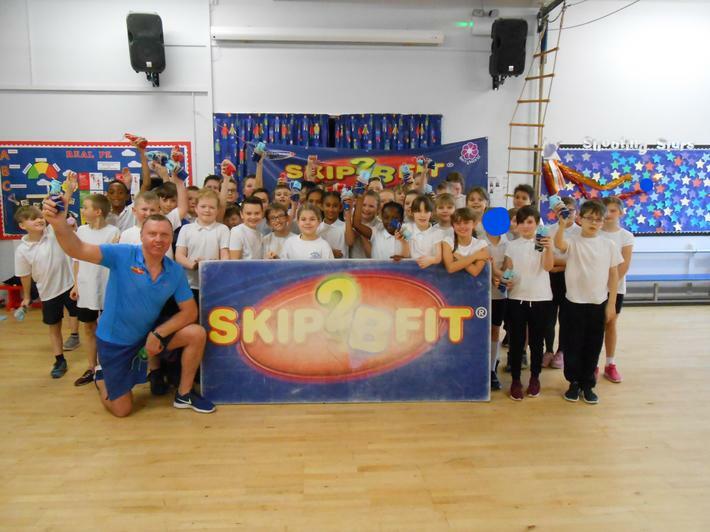 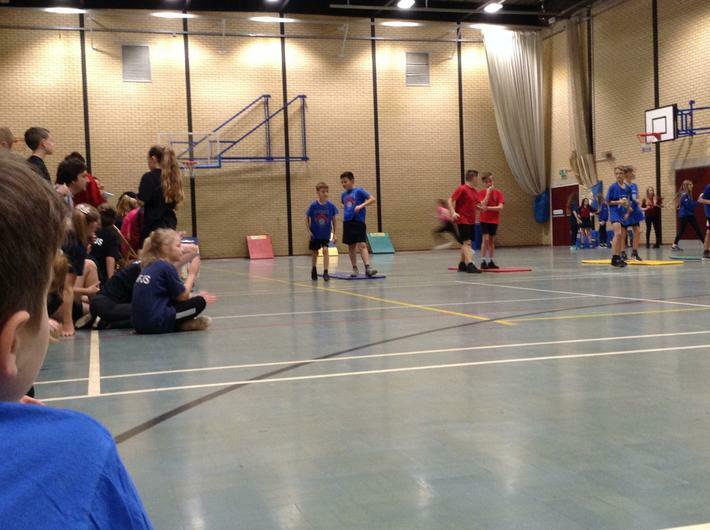 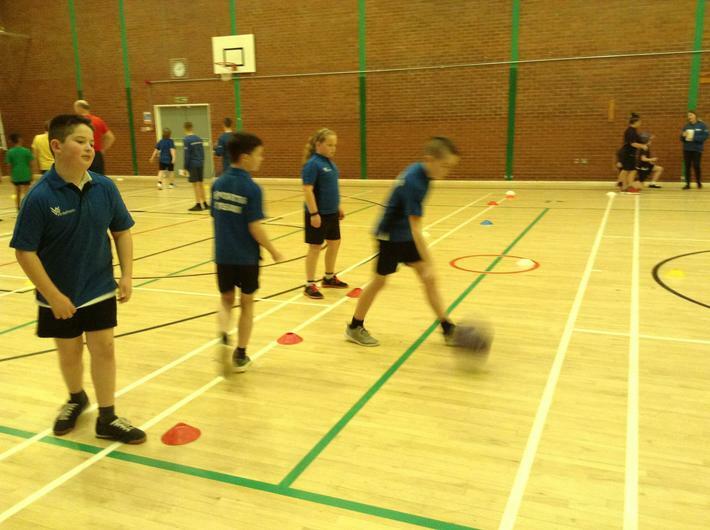 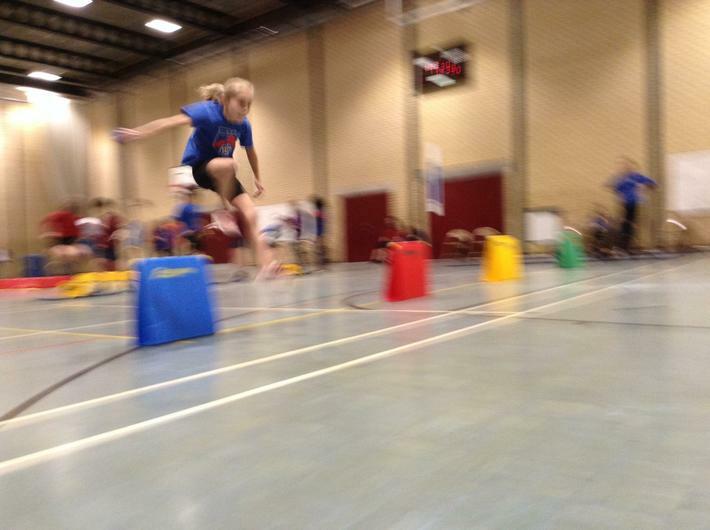 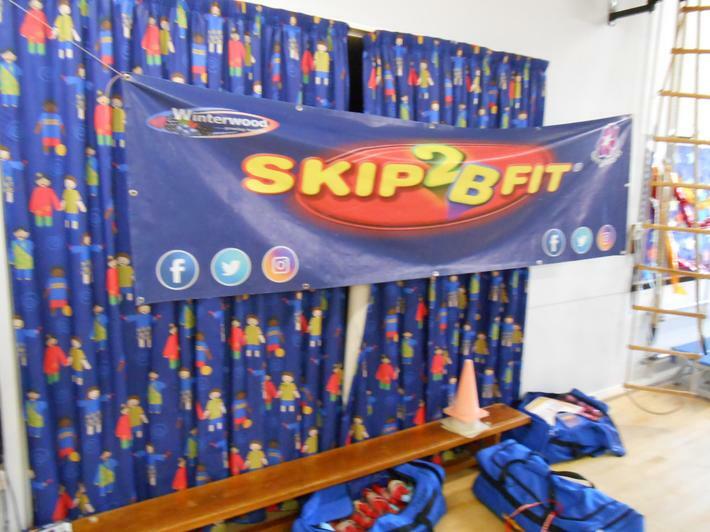 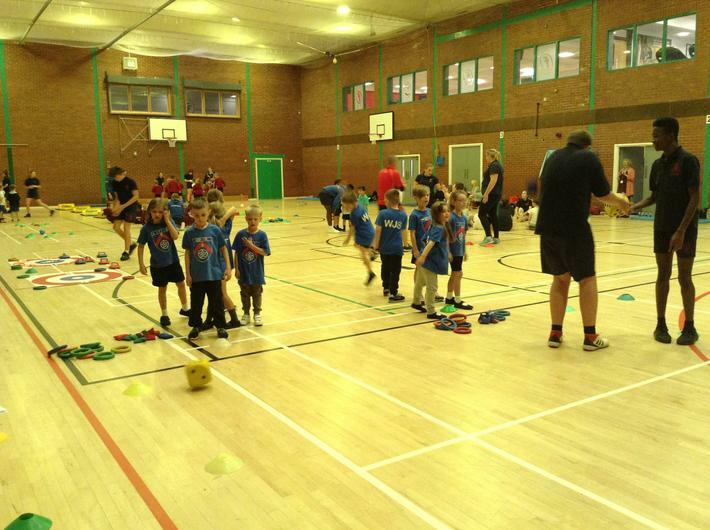 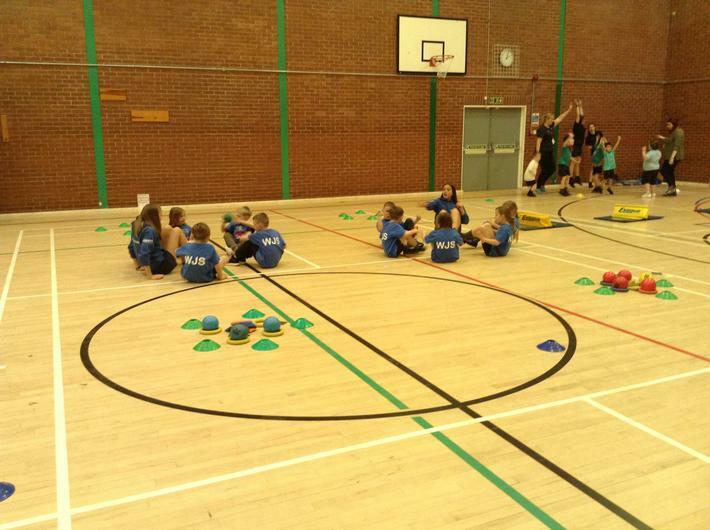 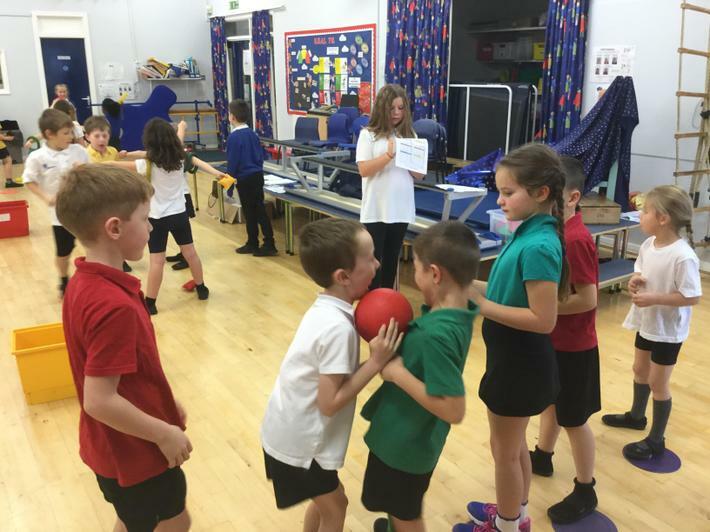 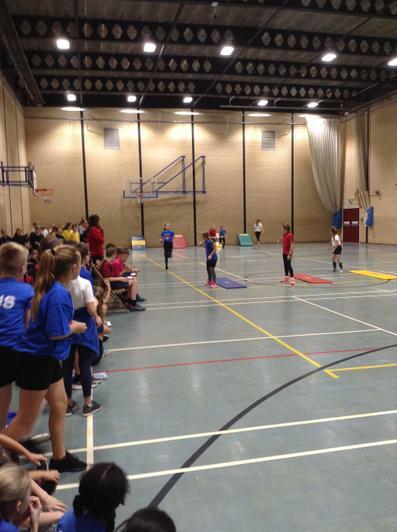 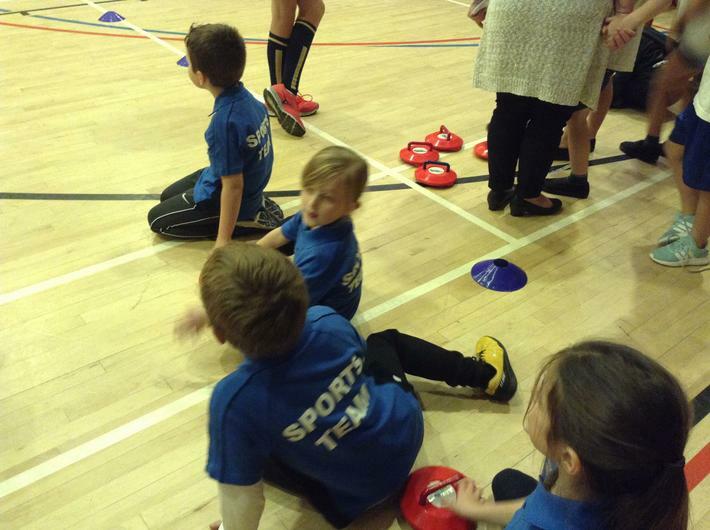 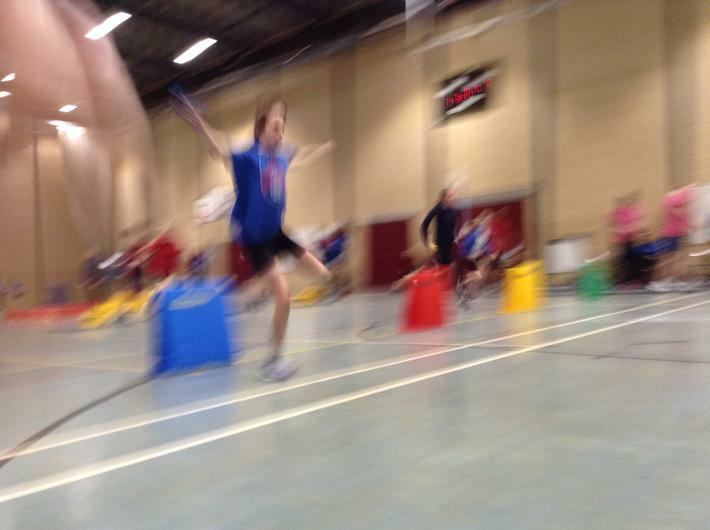 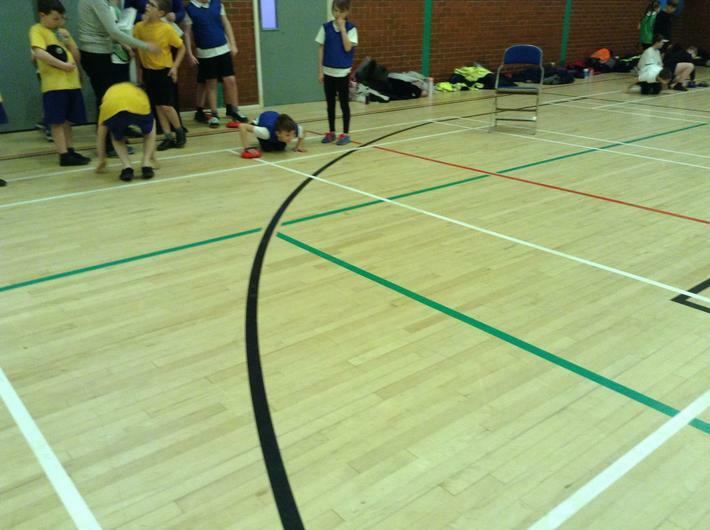 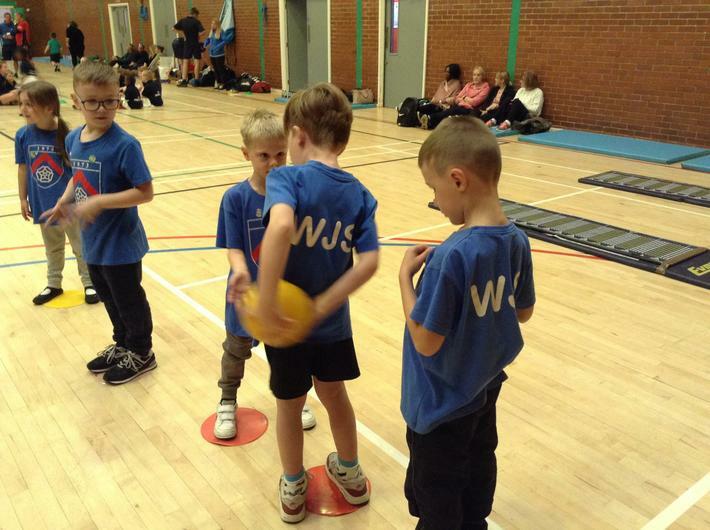 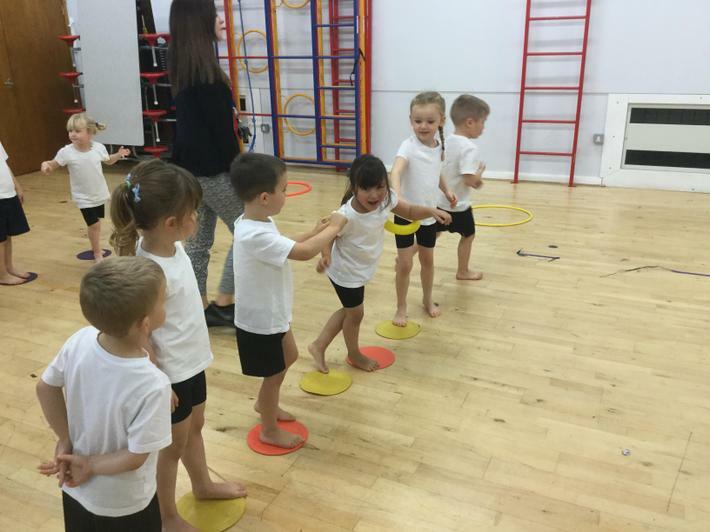 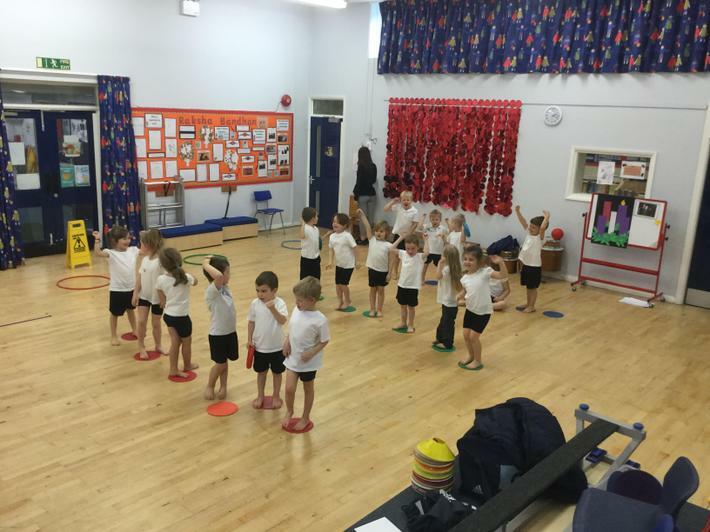 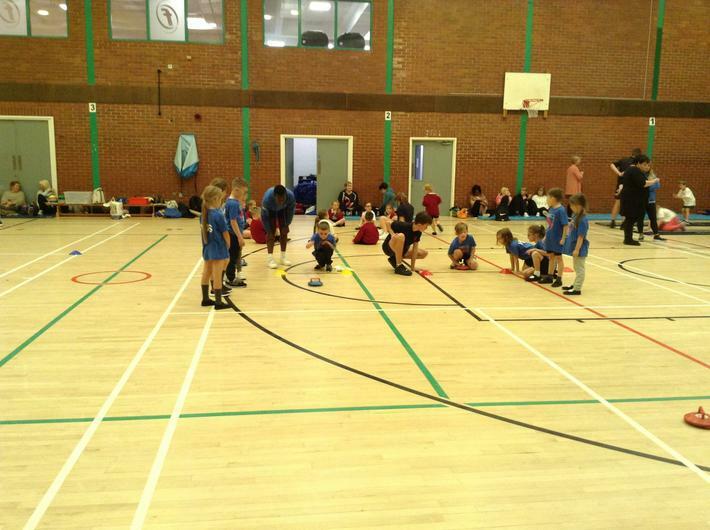 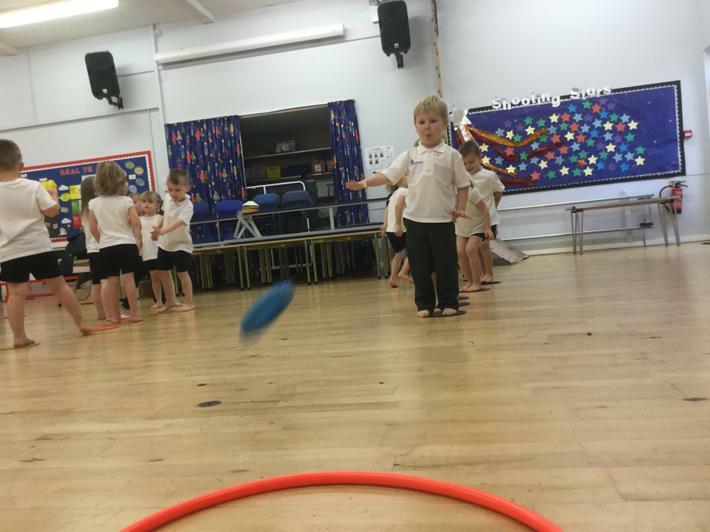 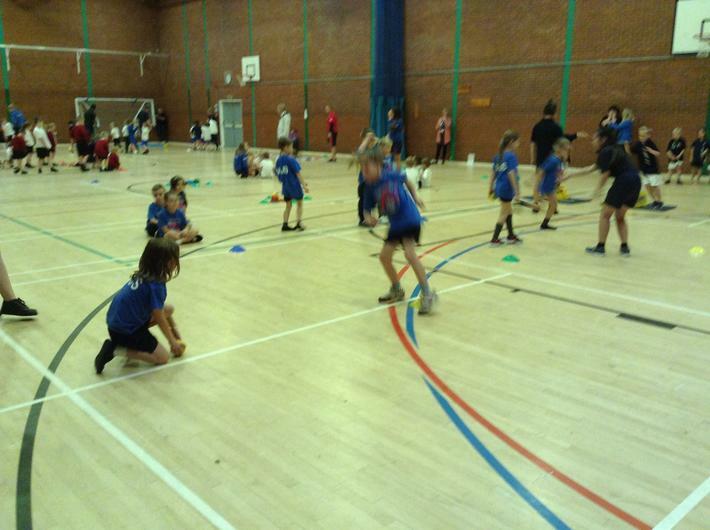 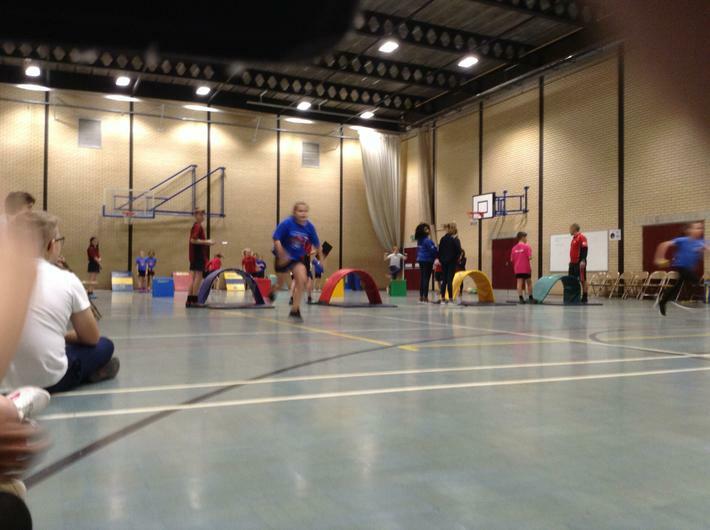 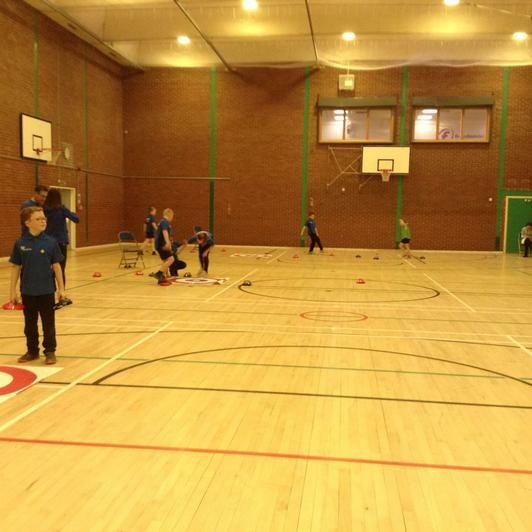 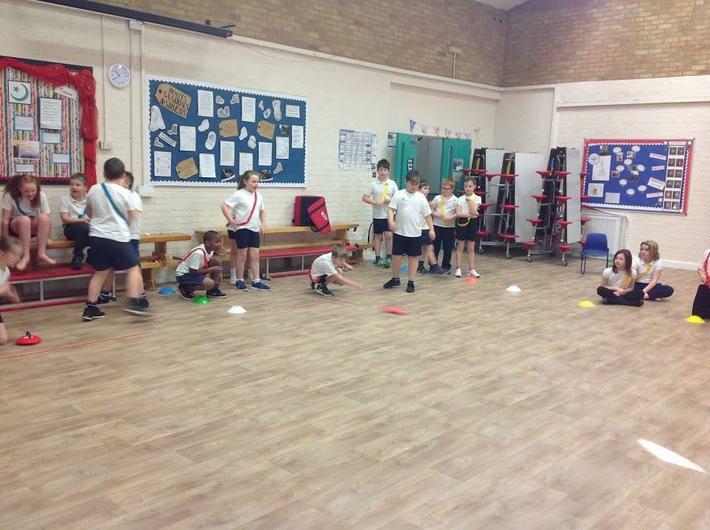 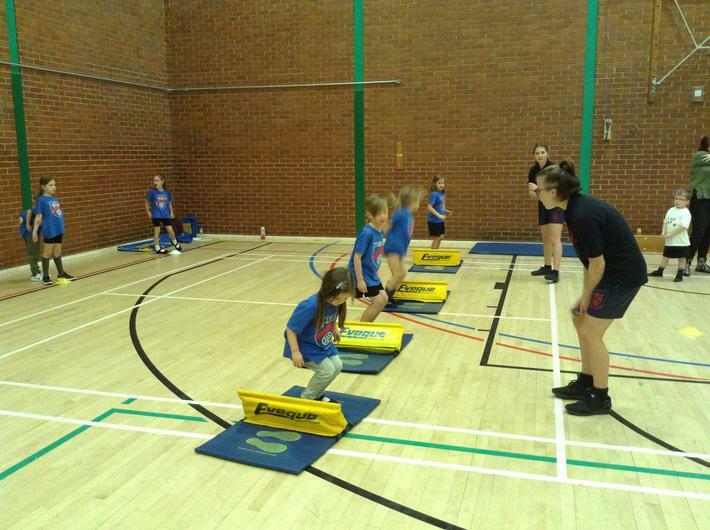 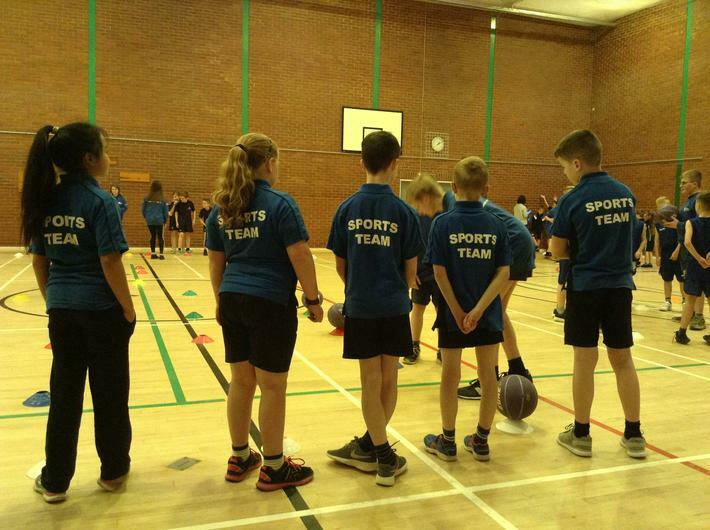 KS1 Multi Skills Festival - a few children were selected to participate in this festival at the Pemberton Centre where they enjoyed a variety of activities. 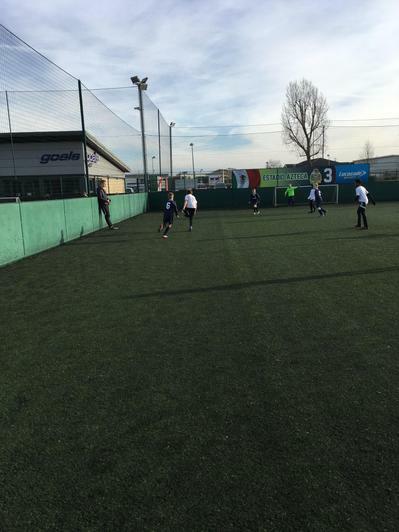 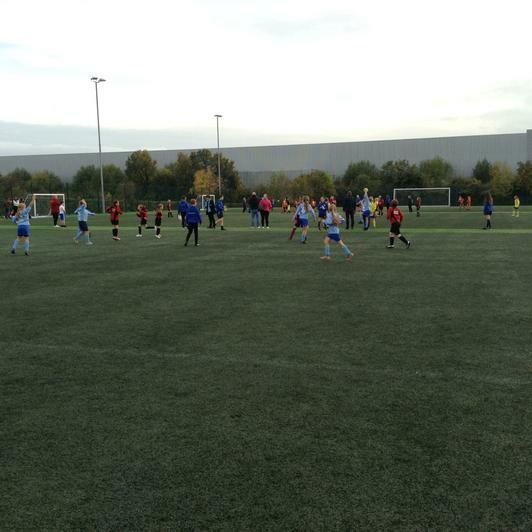 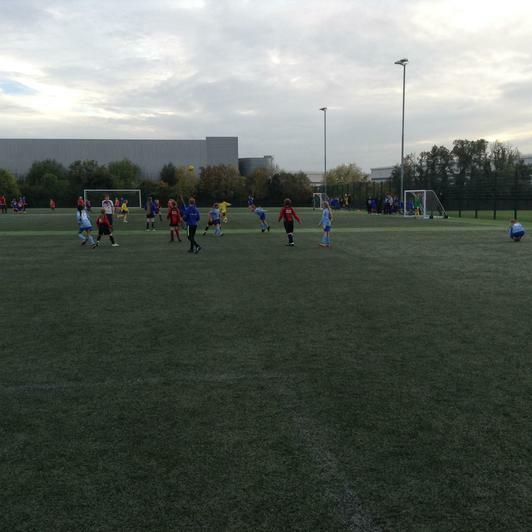 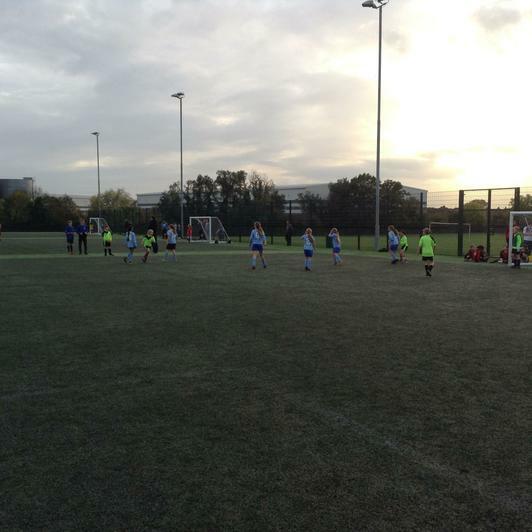 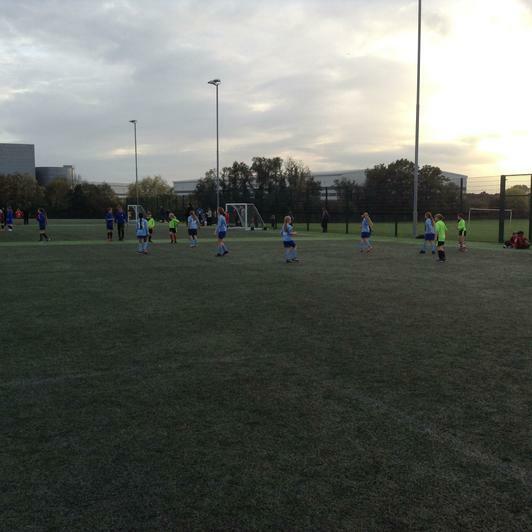 On Tuesday 9th October it was the girl's Football Cluster Tournament. 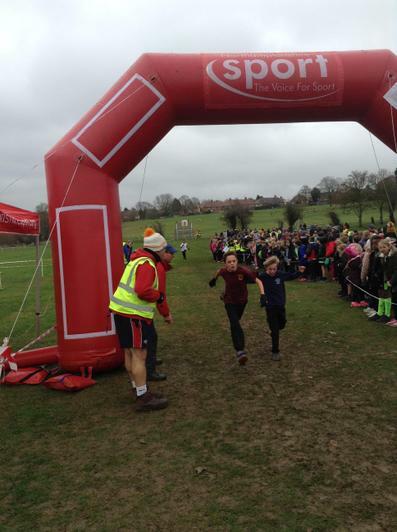 Whitefriars did extremely well, with the A Team coming second overall! 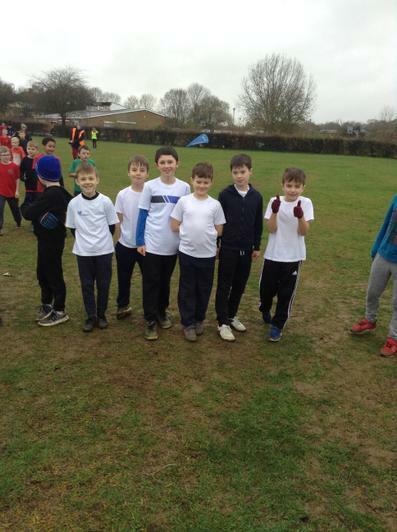 We had Team A and Team B and we played against six teams! 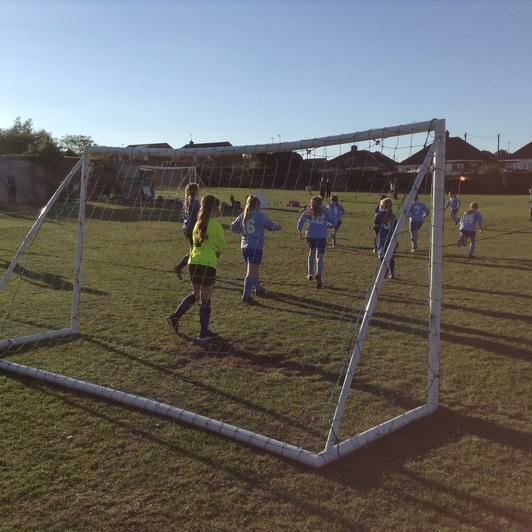 This is a quote from Alison (our mid fielder) from the A Team, "I think that the A Team and B Team played exceptionally well. 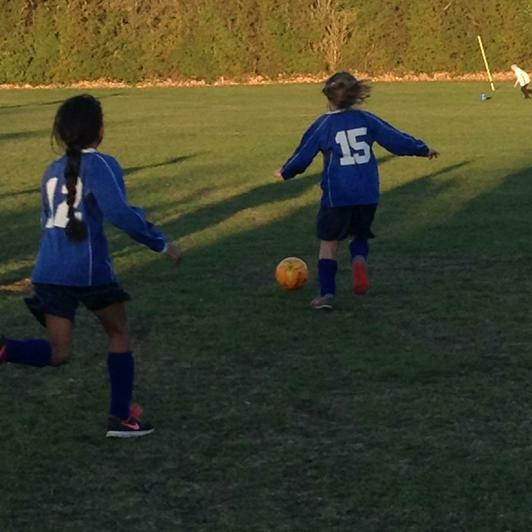 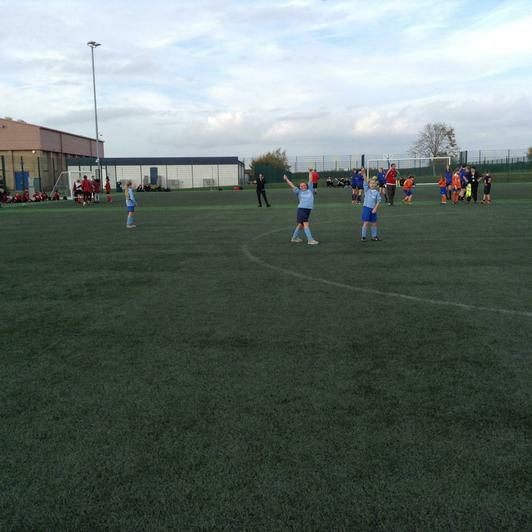 Three girls from the A Team scored goals and Tegan's throw ins were amazing and went so far!" 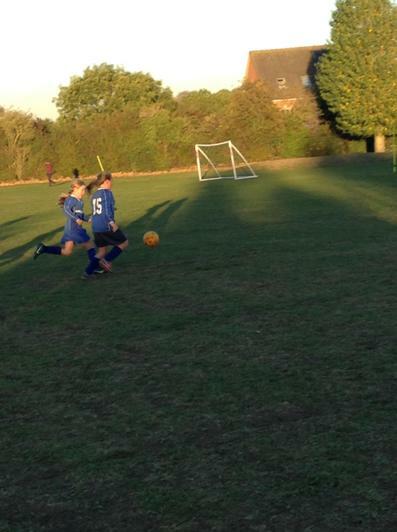 The B Team scored 5 goals between them. 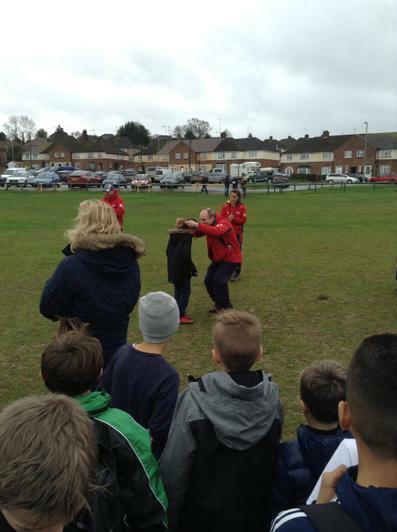 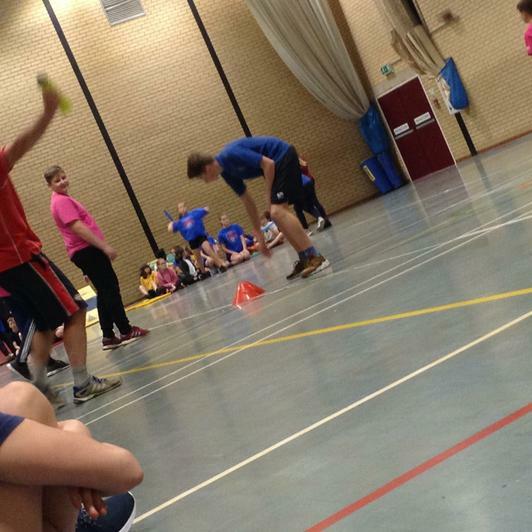 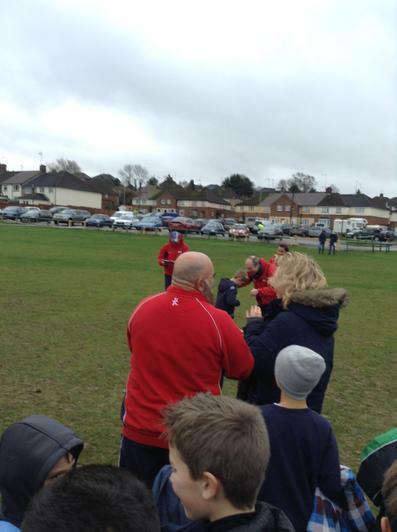 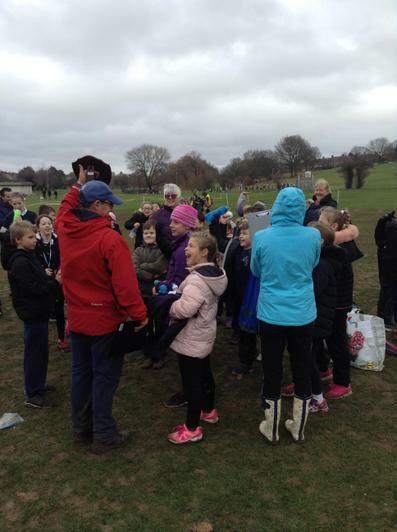 A special mention to Steve Caswell and Mr Nicell for helping the teams. 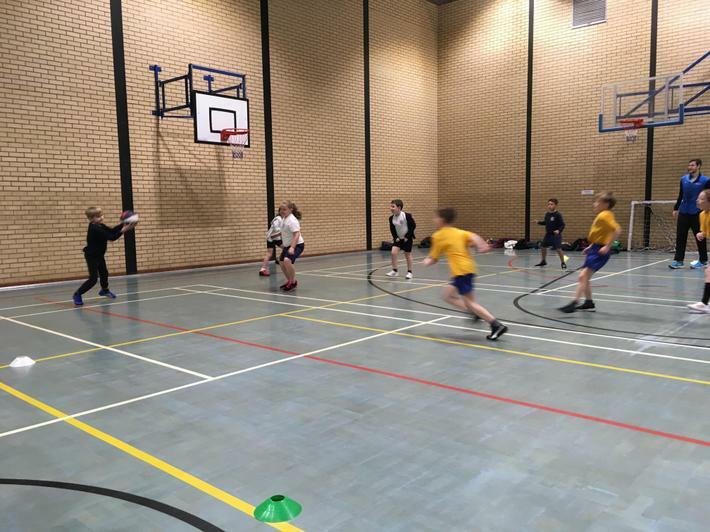 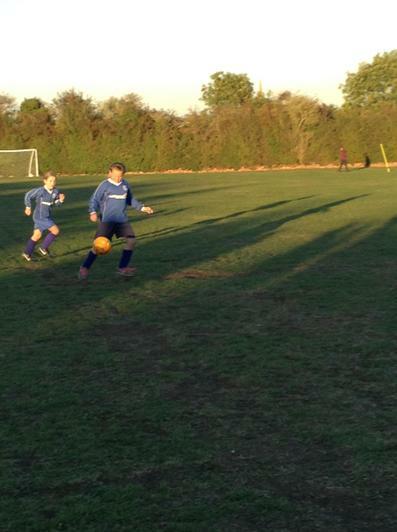 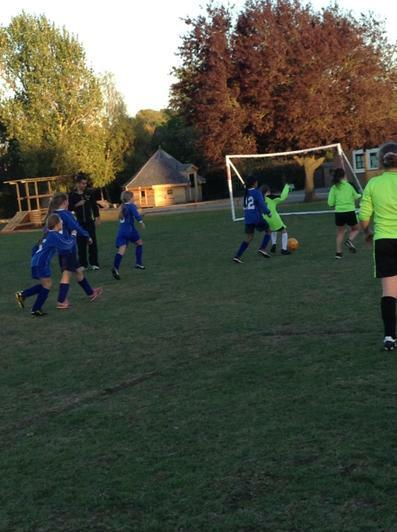 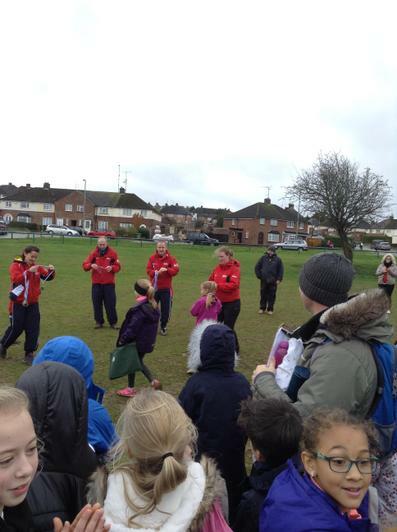 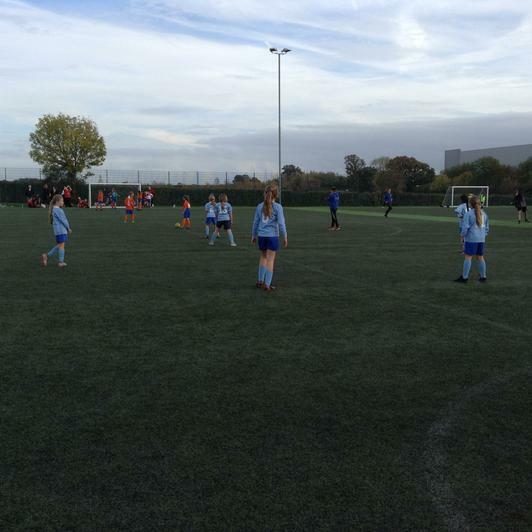 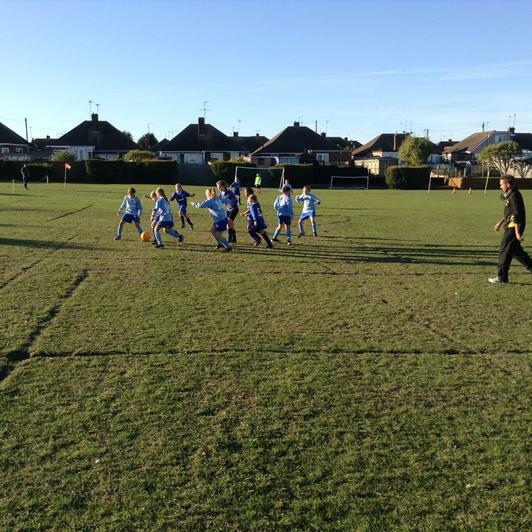 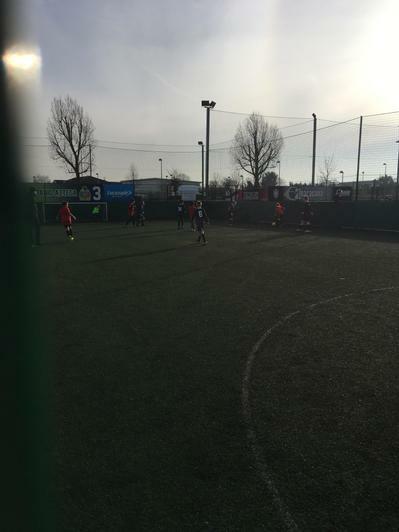 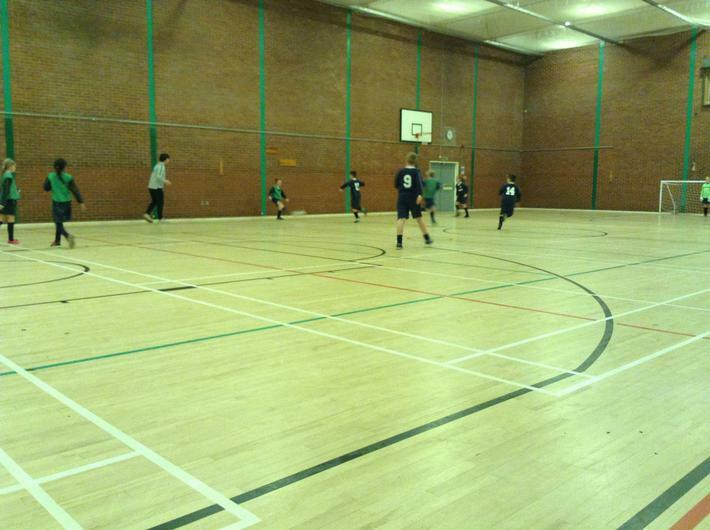 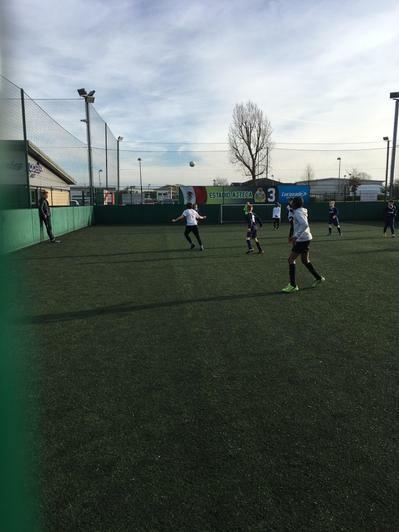 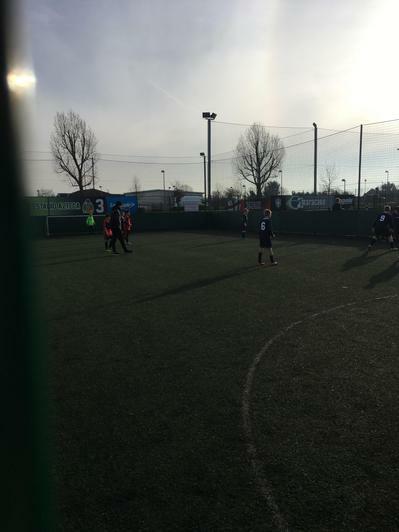 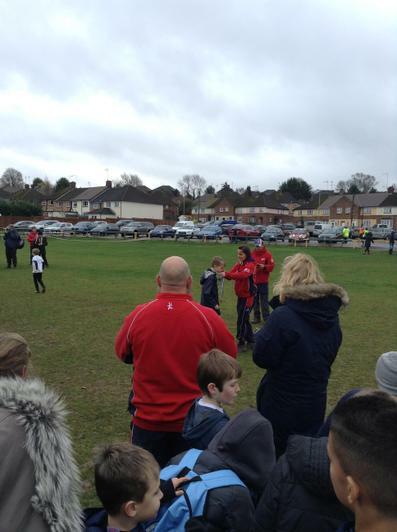 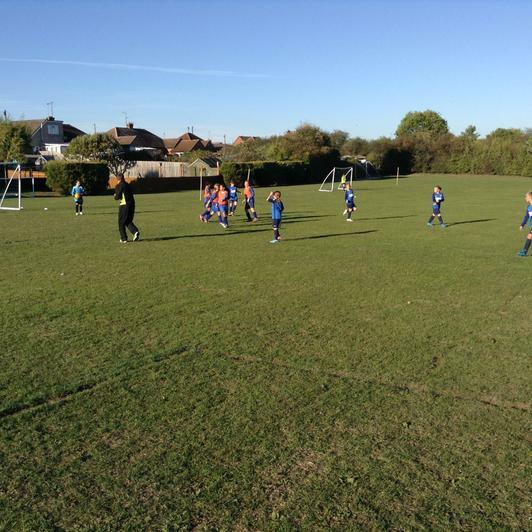 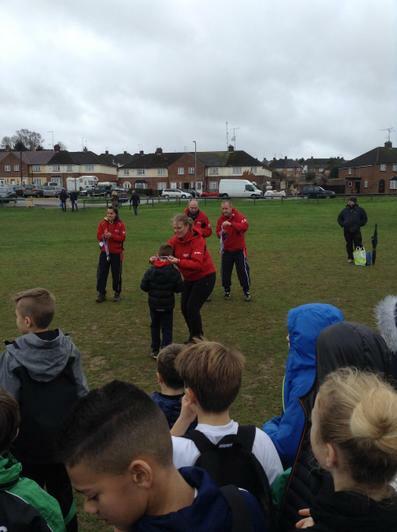 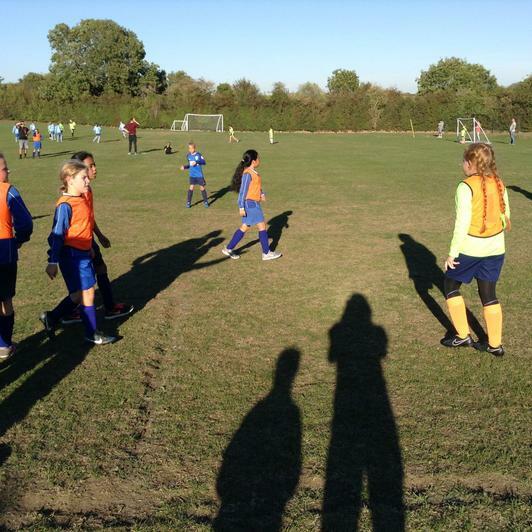 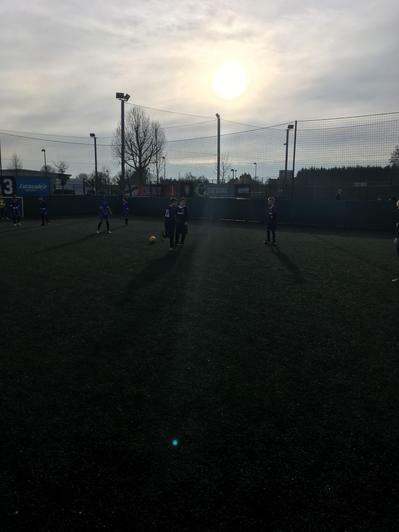 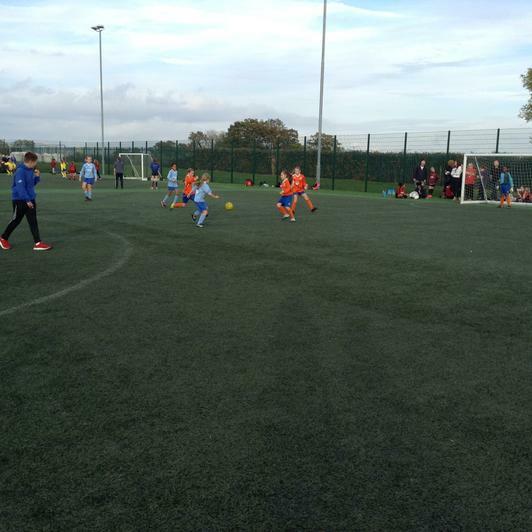 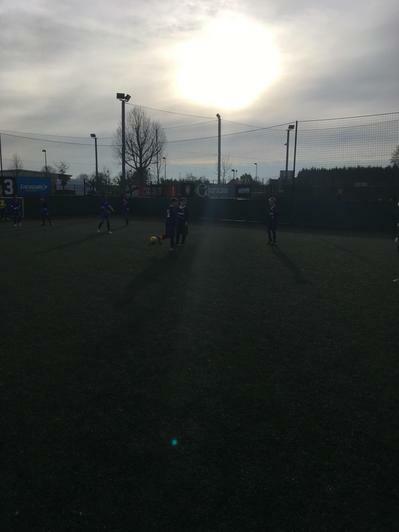 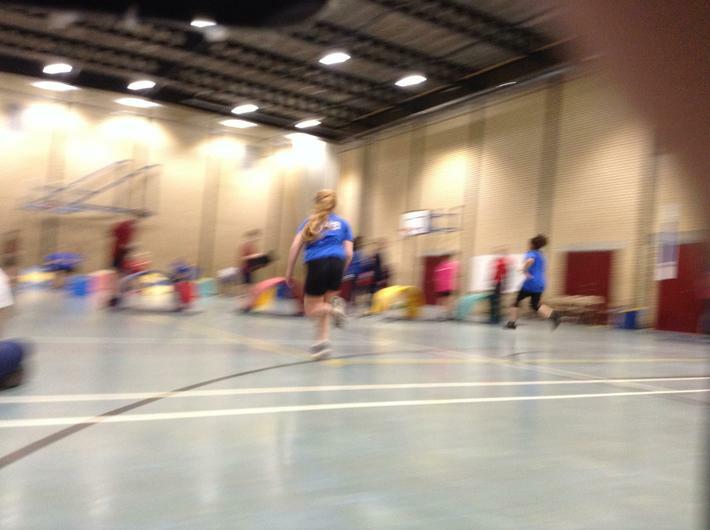 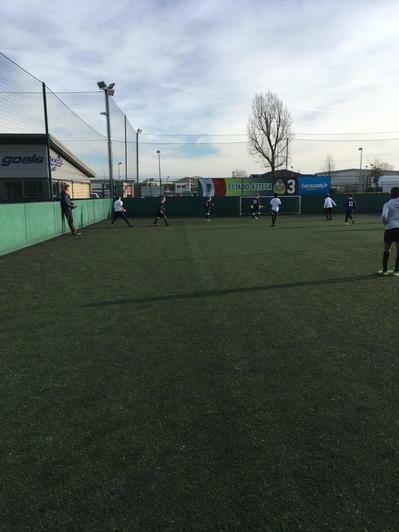 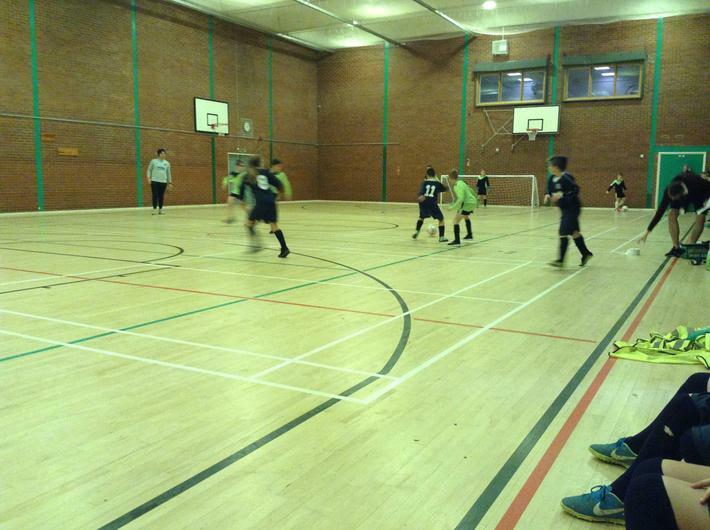 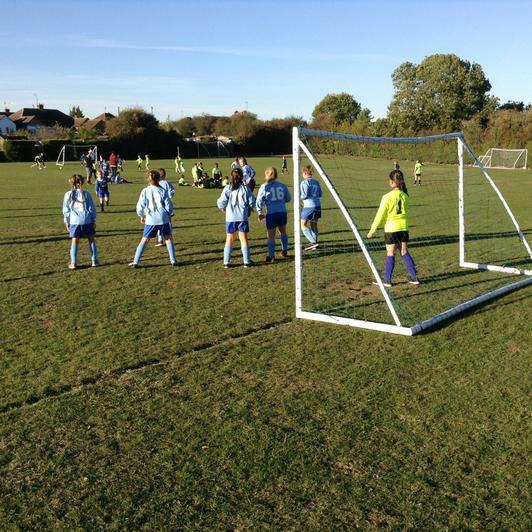 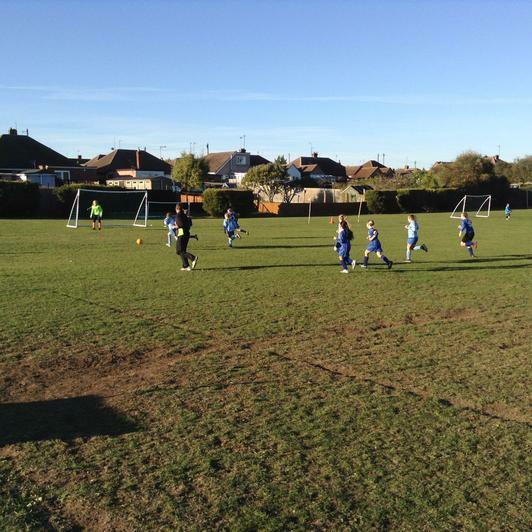 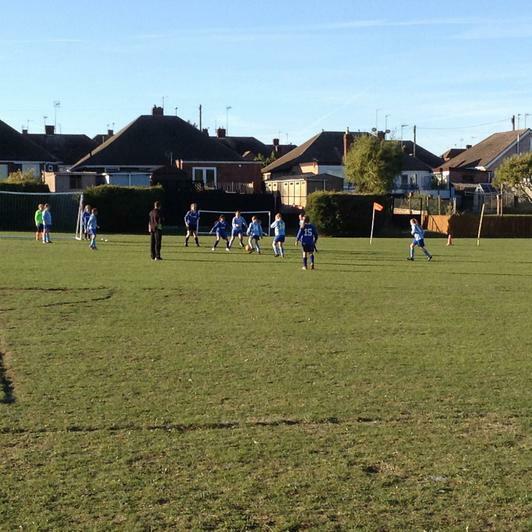 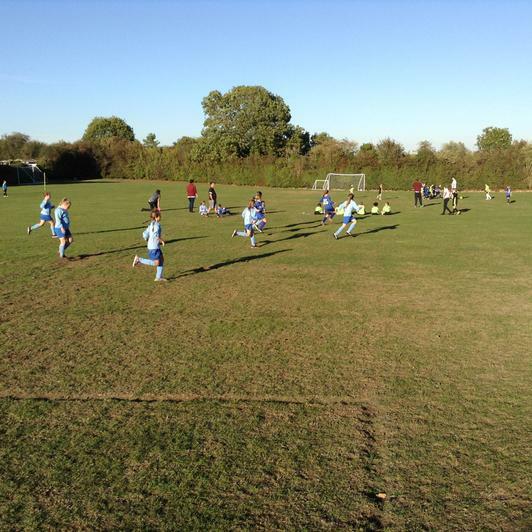 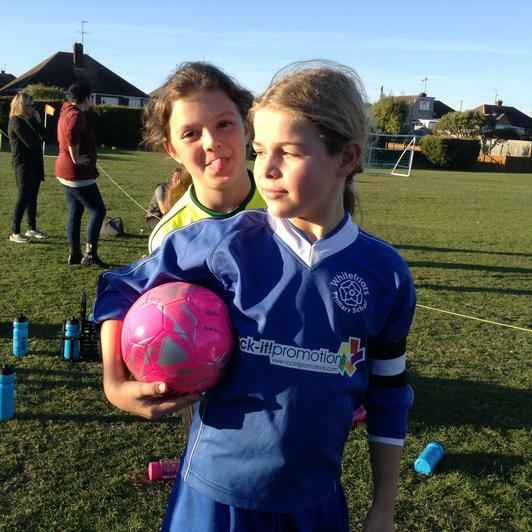 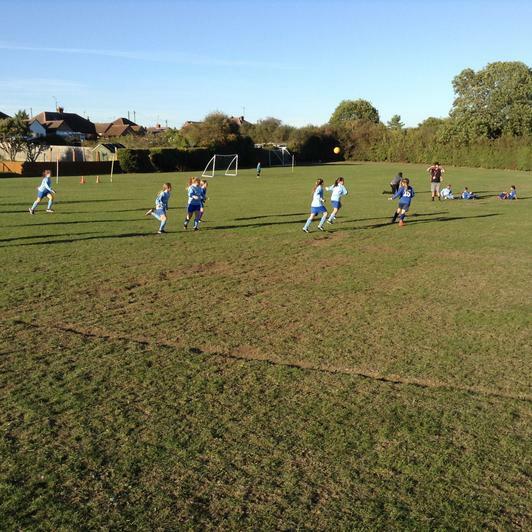 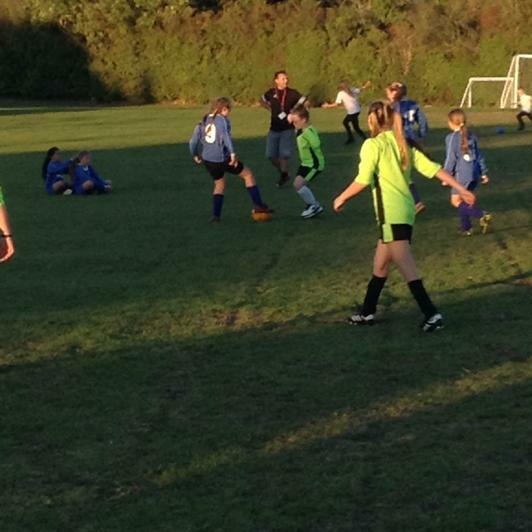 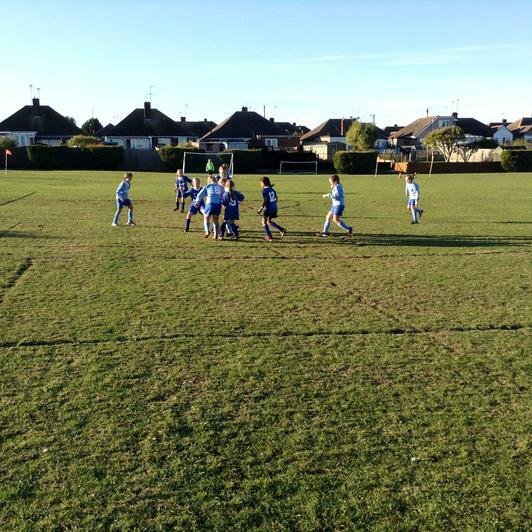 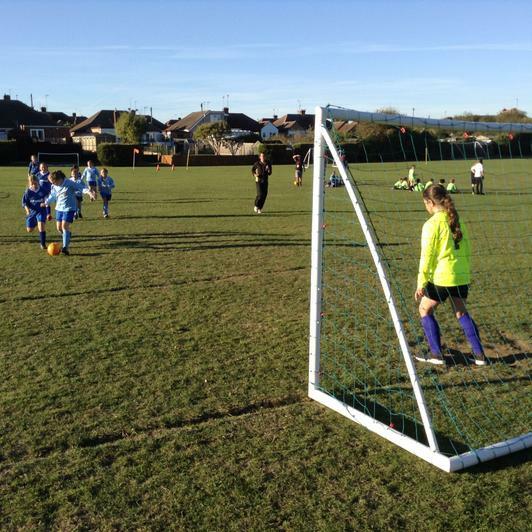 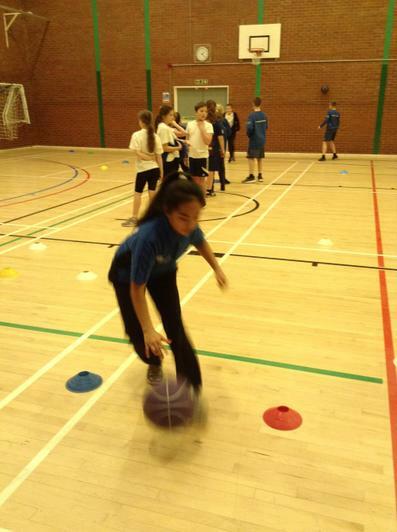 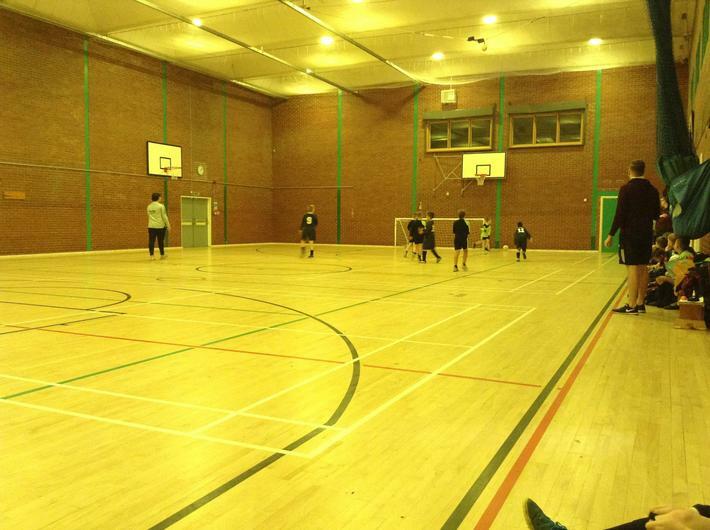 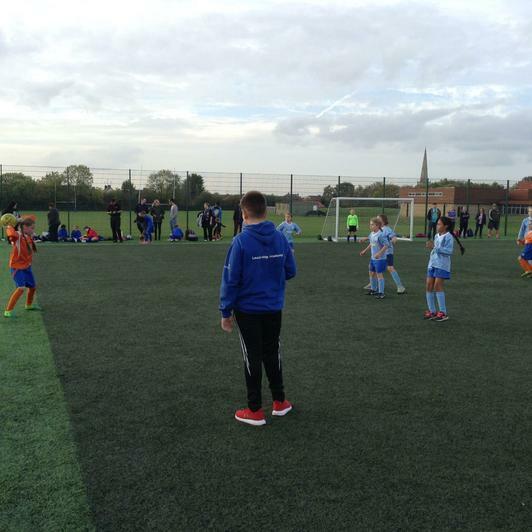 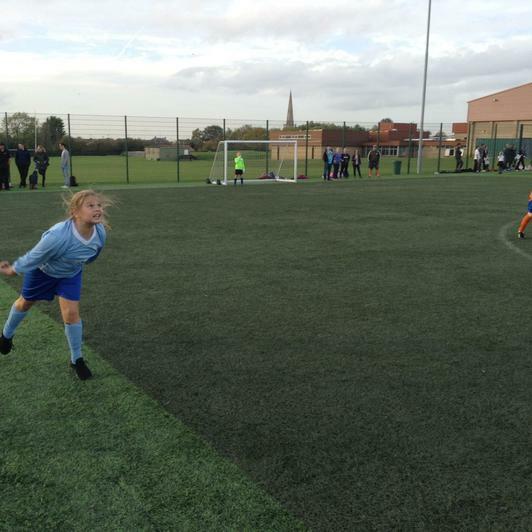 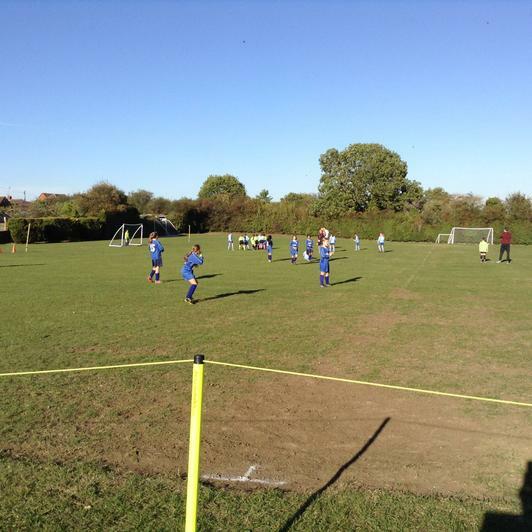 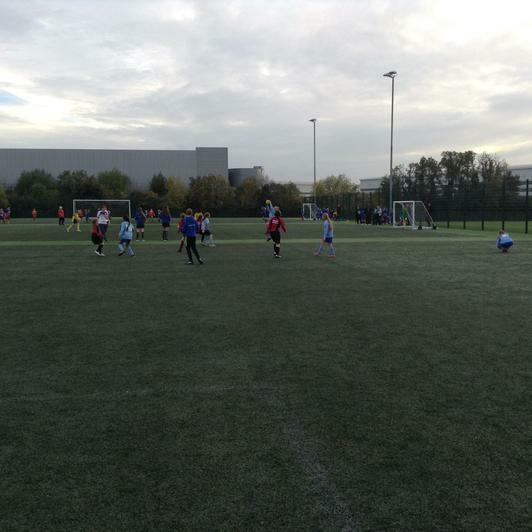 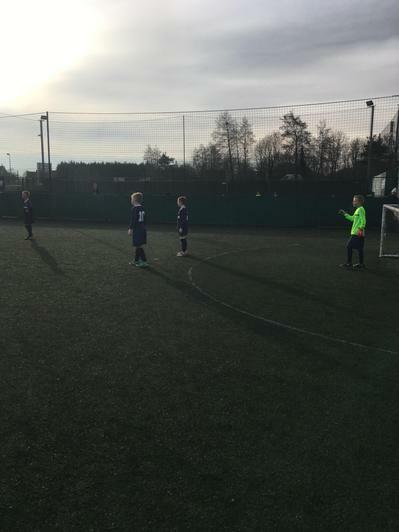 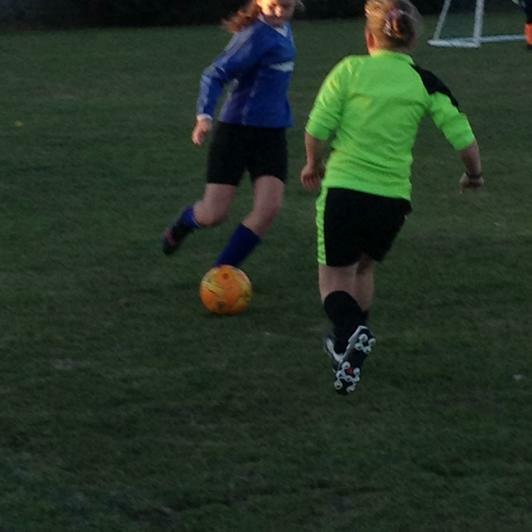 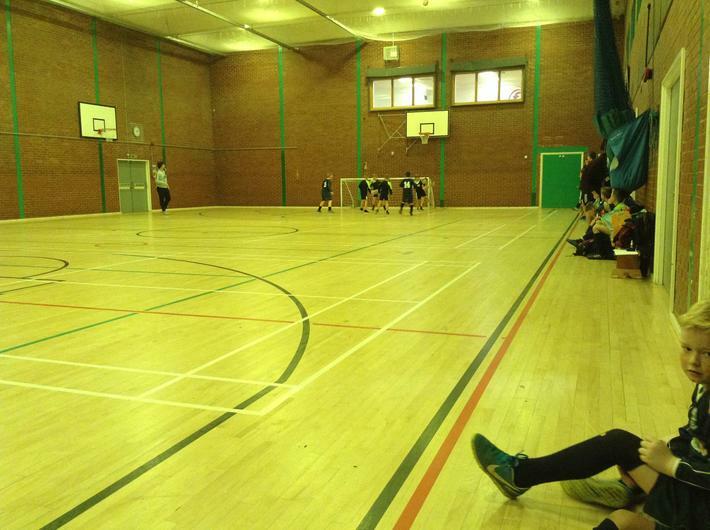 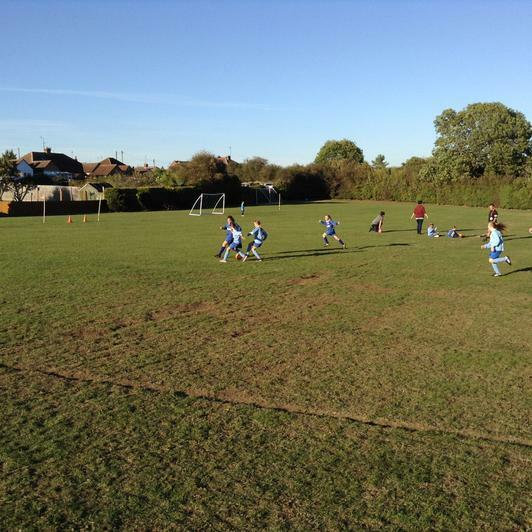 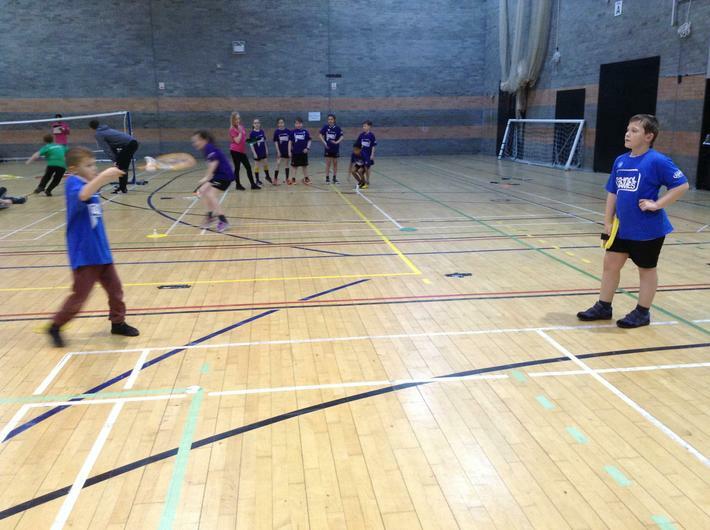 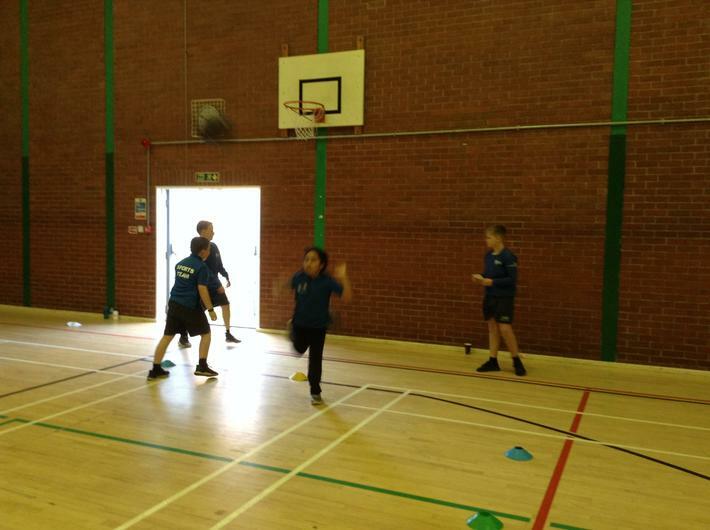 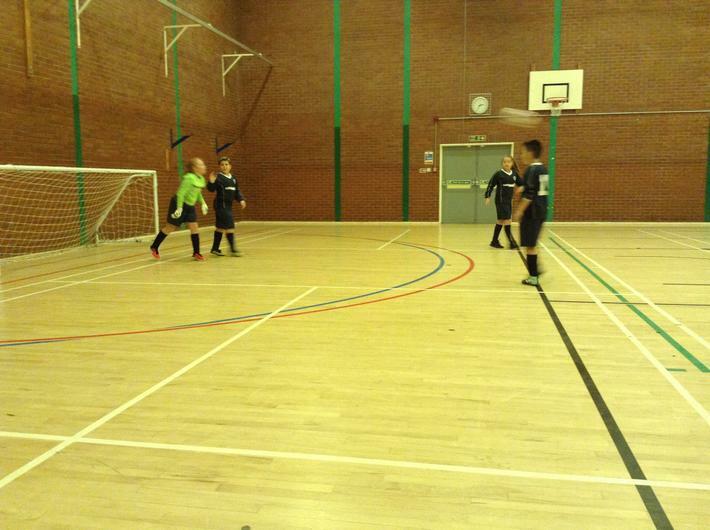 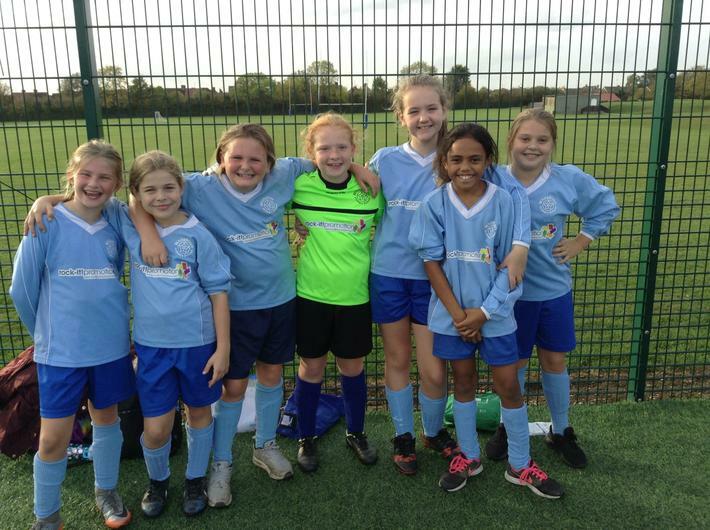 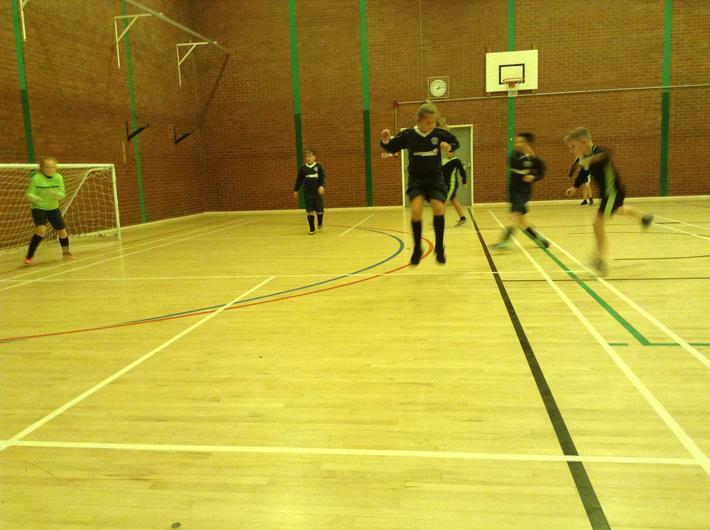 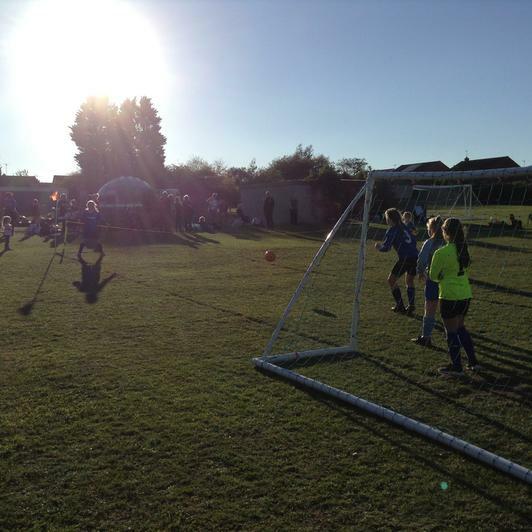 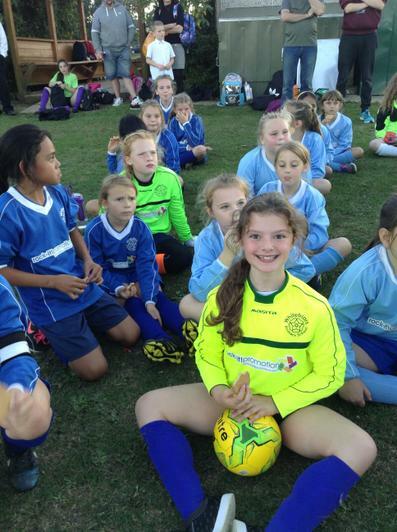 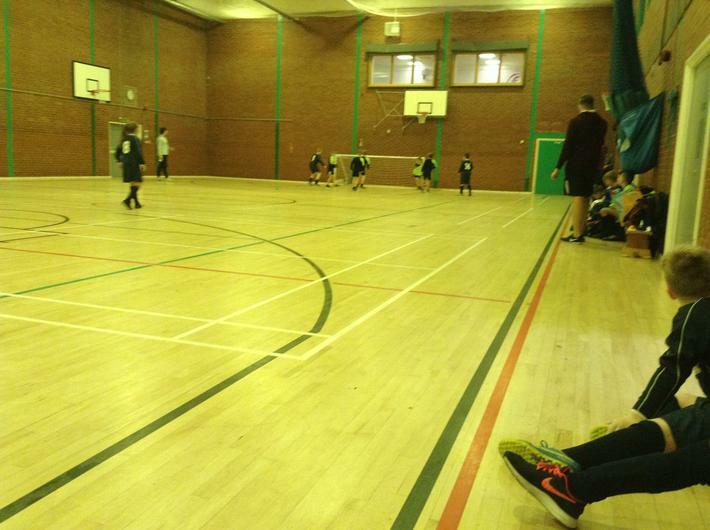 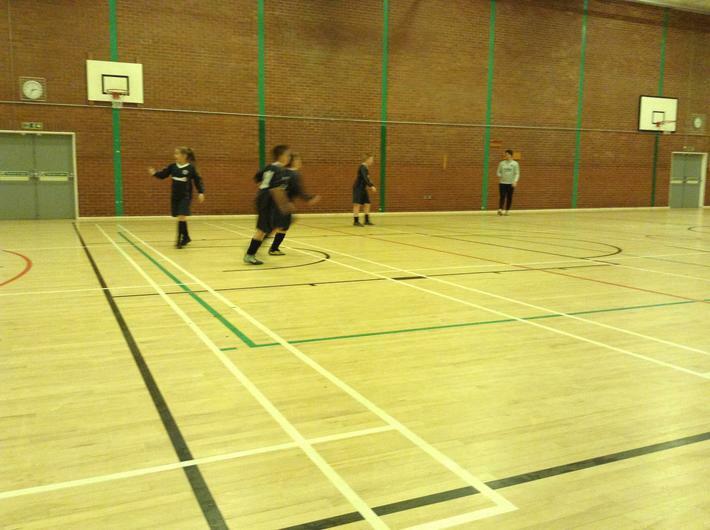 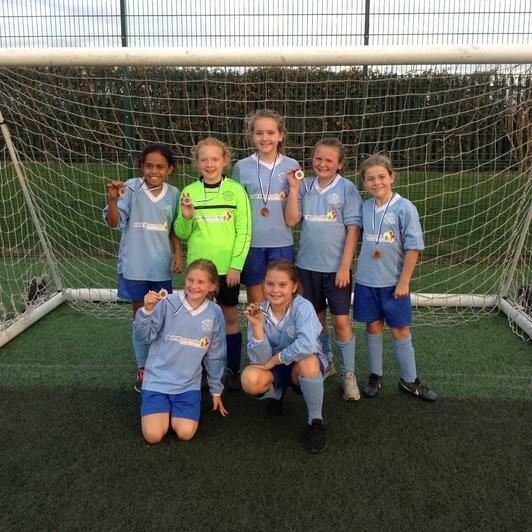 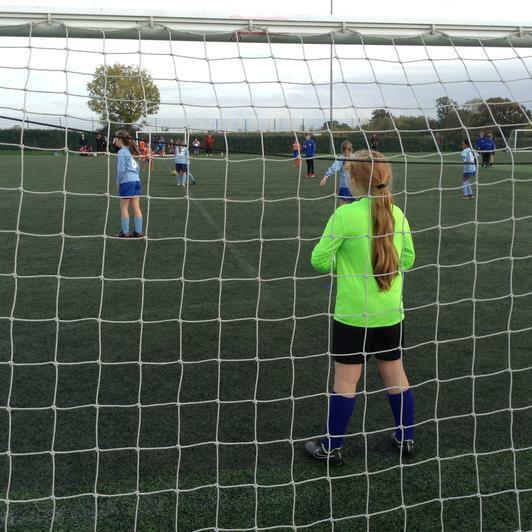 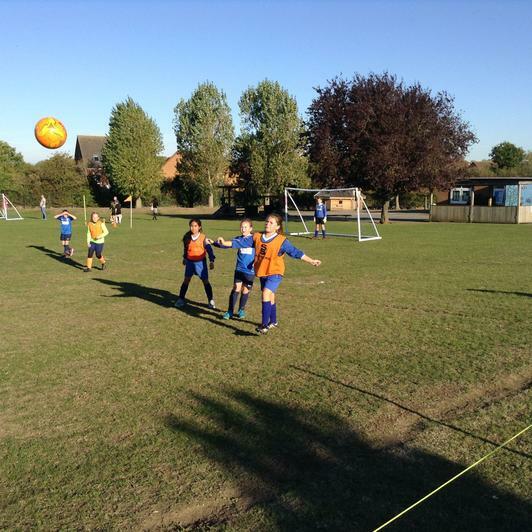 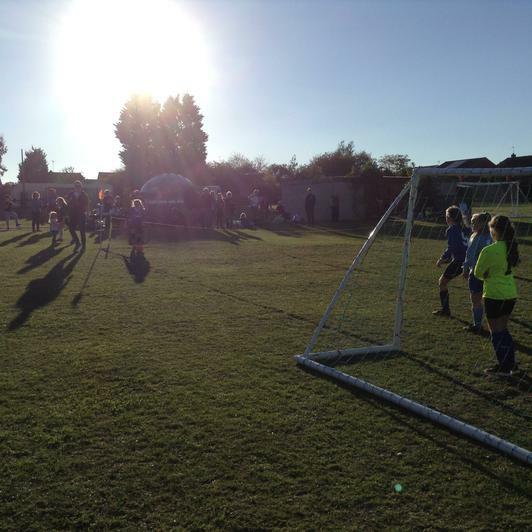 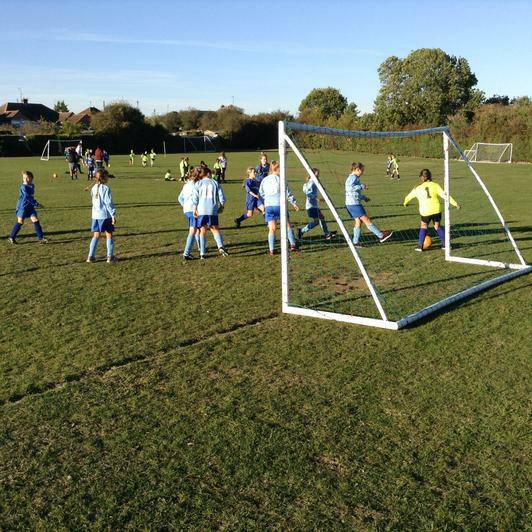 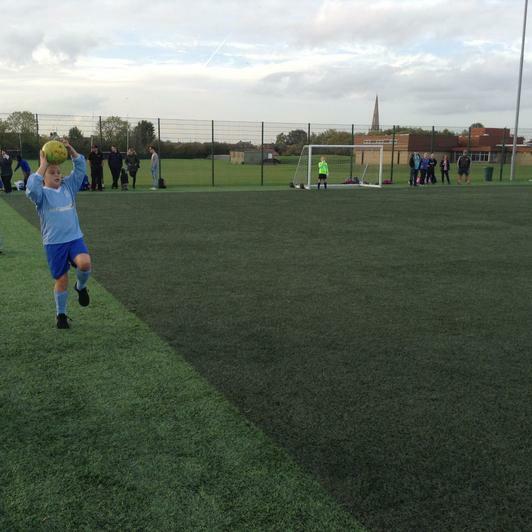 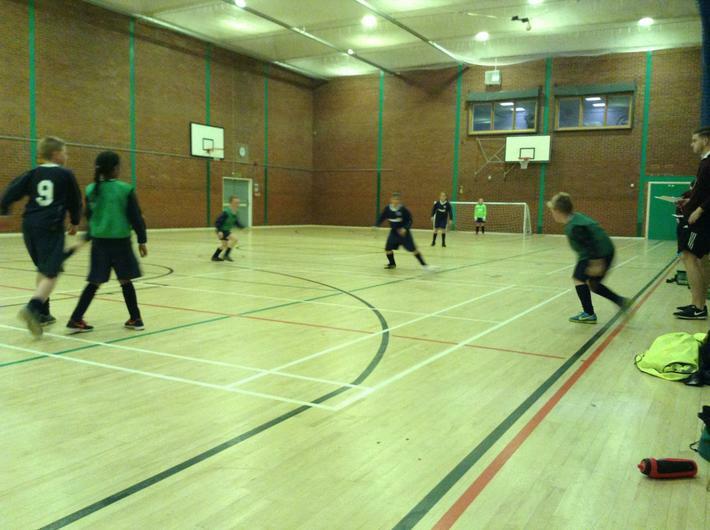 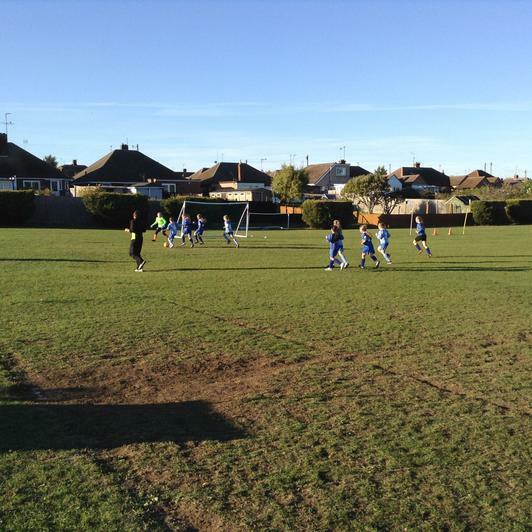 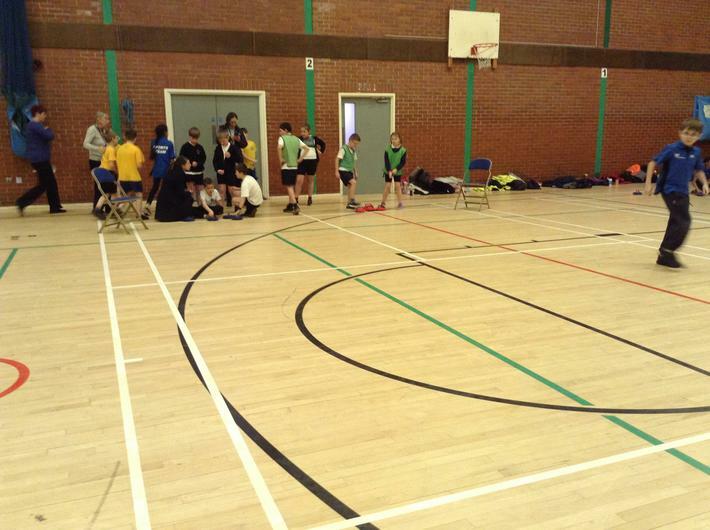 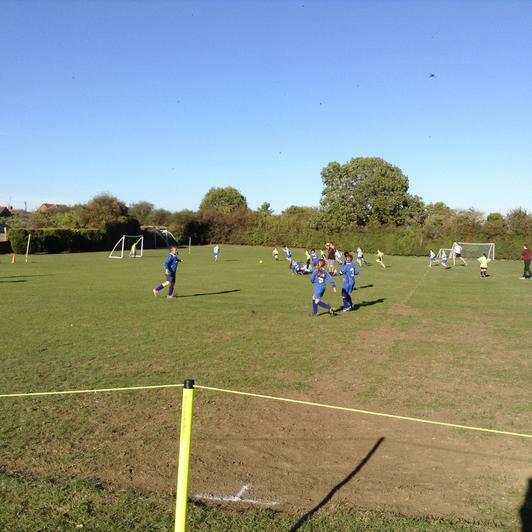 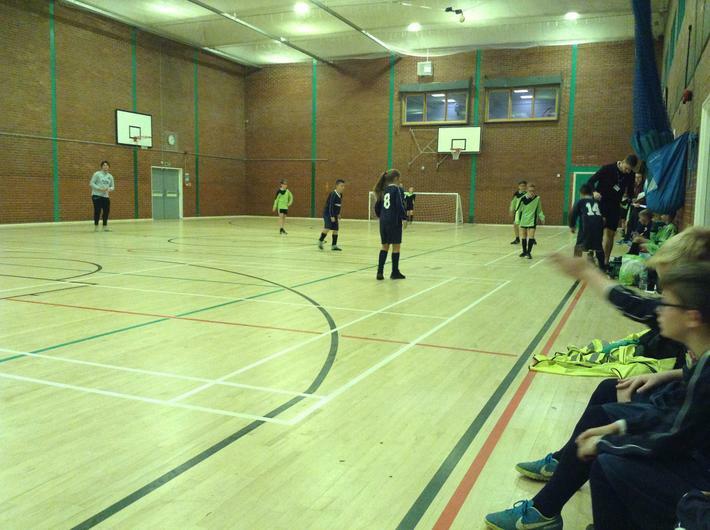 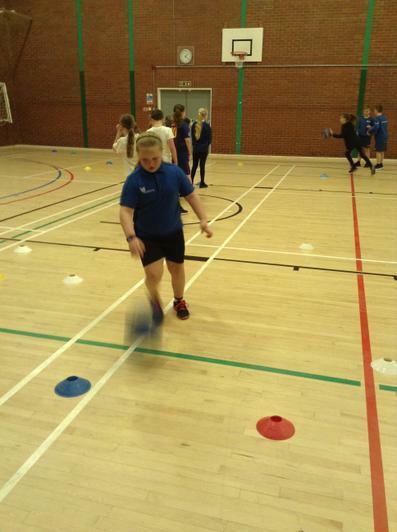 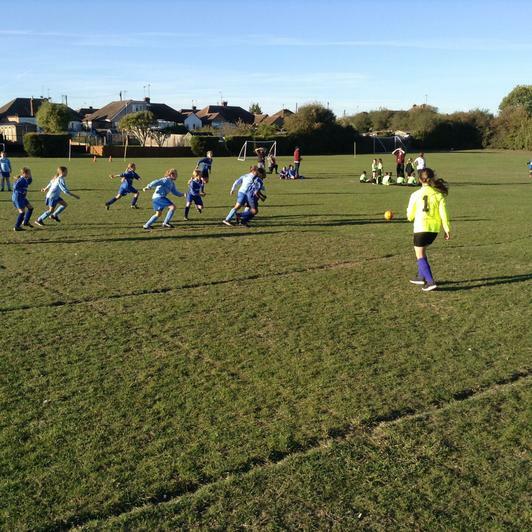 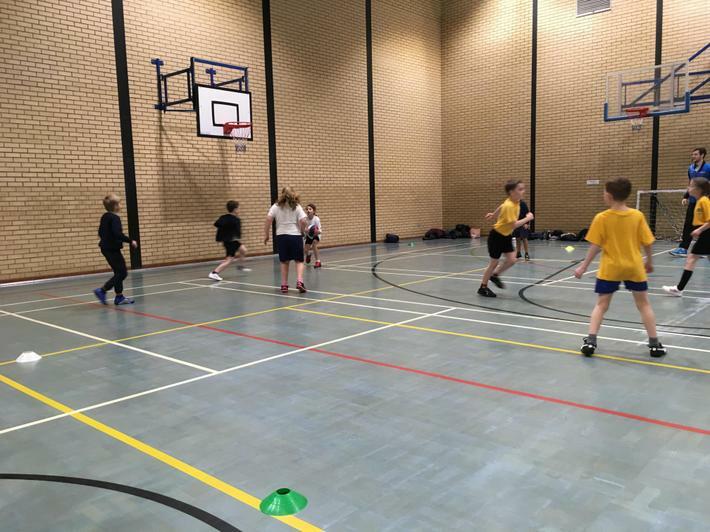 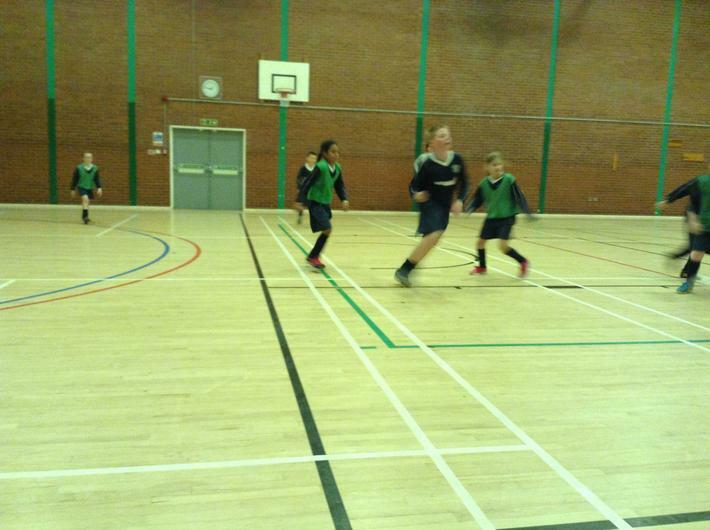 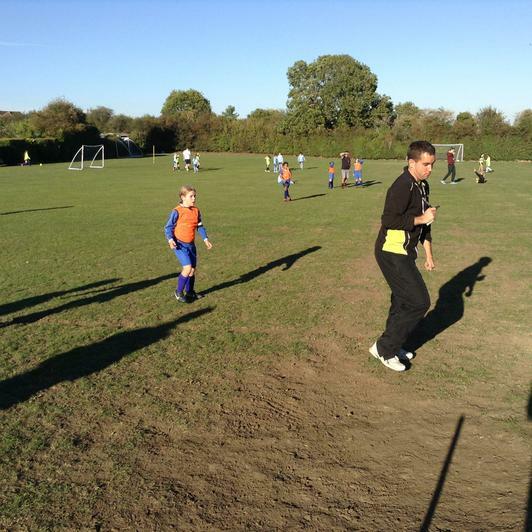 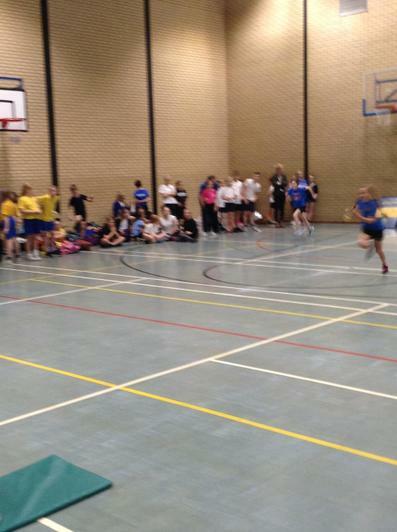 On Wednesday 17th October, it was the girl's football tournament at Ferrers School. 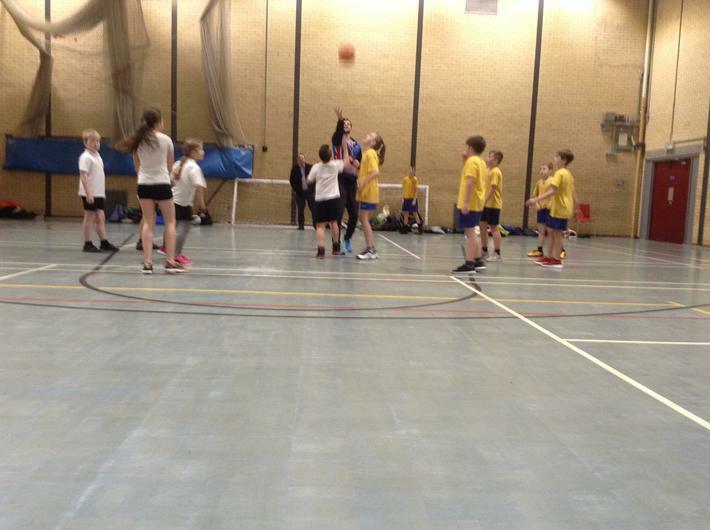 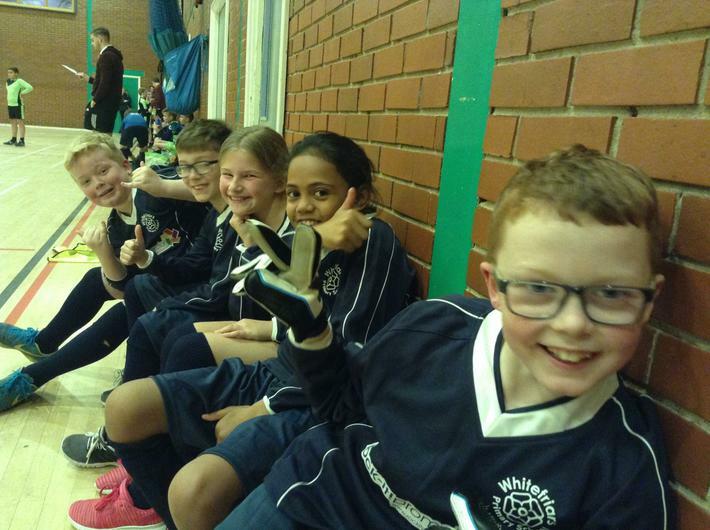 Whitefriars came 3rd out of 11 teams! 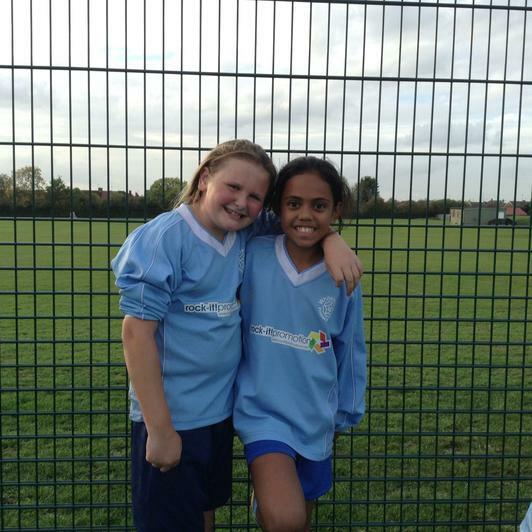 Special mention to Imogen for scoring the first two goals in the first match and Tia for not letting any goals in! 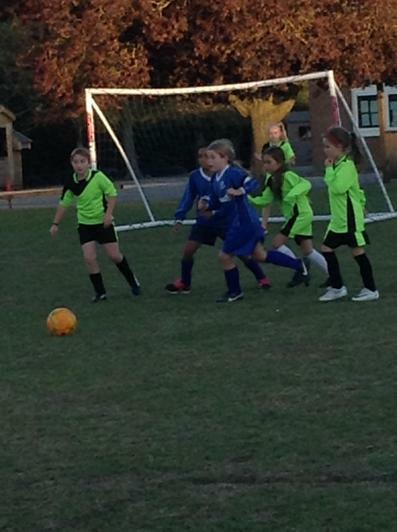 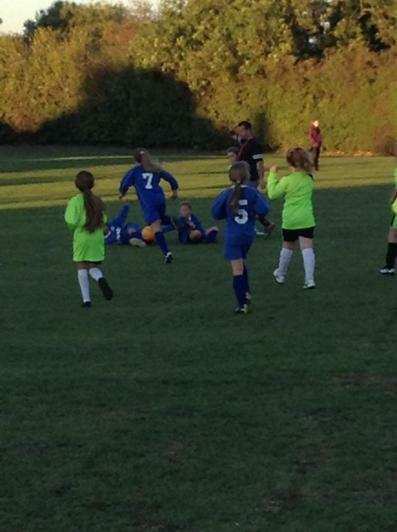 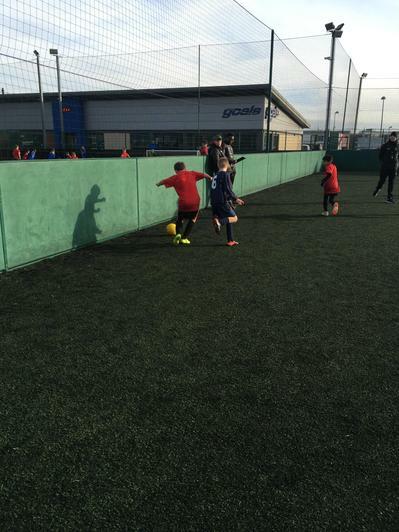 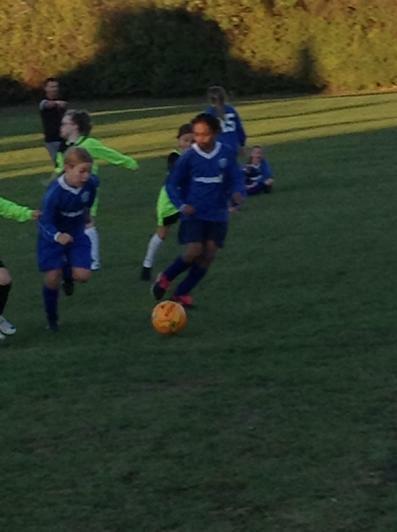 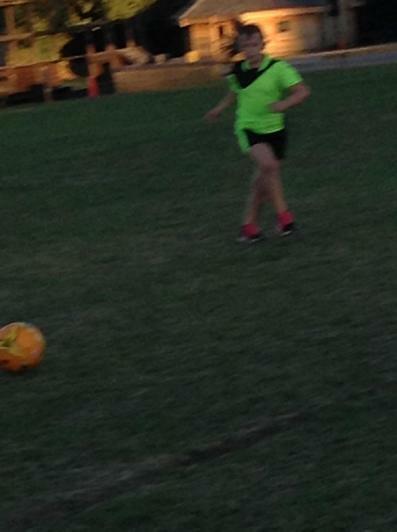 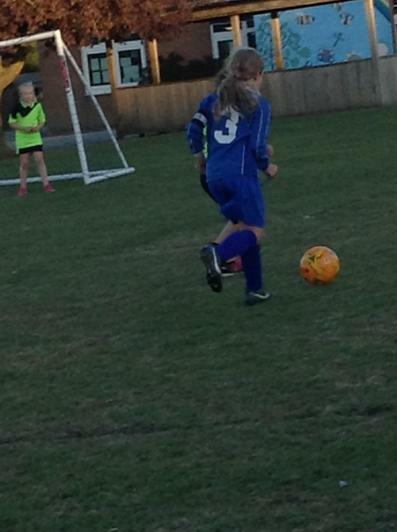 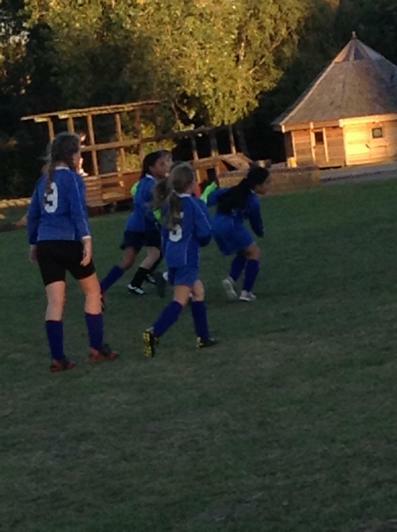 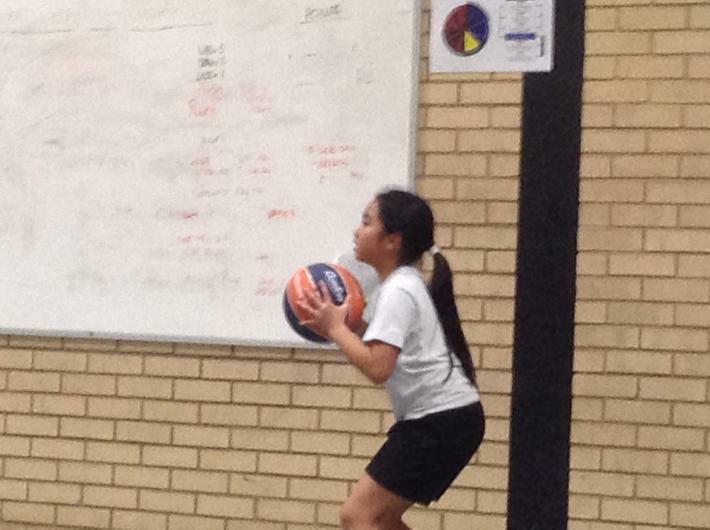 Macey did some really good tackles against the teams and everyone showed great teamwork and determination. 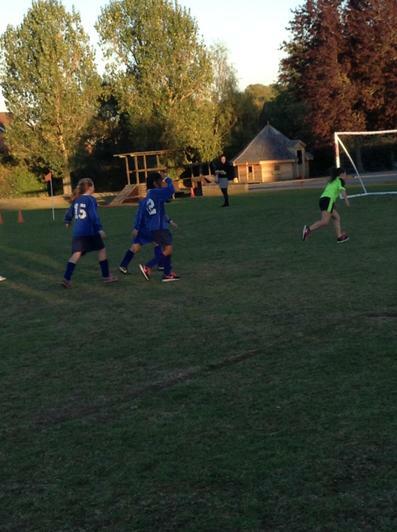 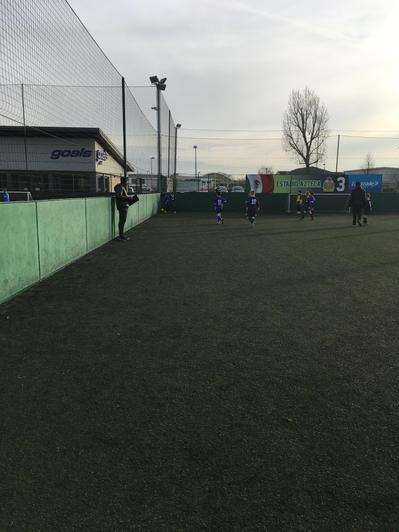 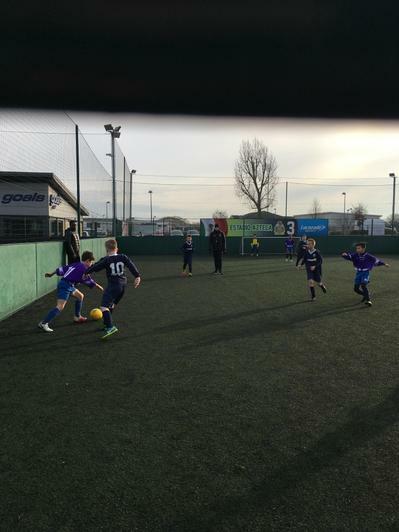 This is what Imogen had to say, "Tegan scord a remarkable penalty in the second match!" 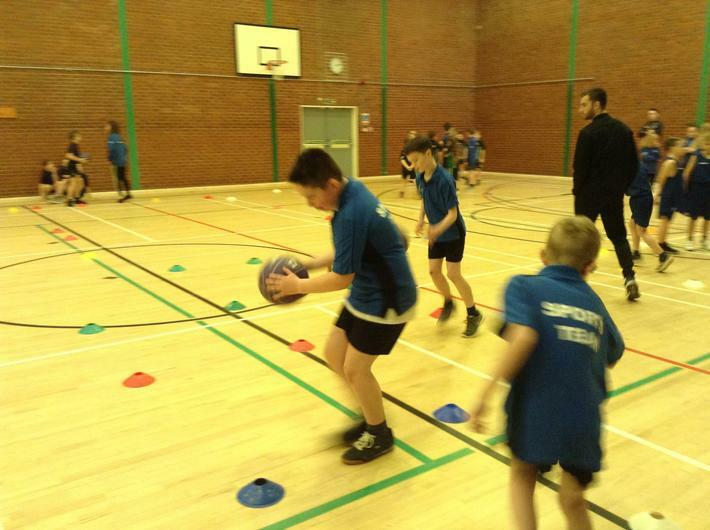 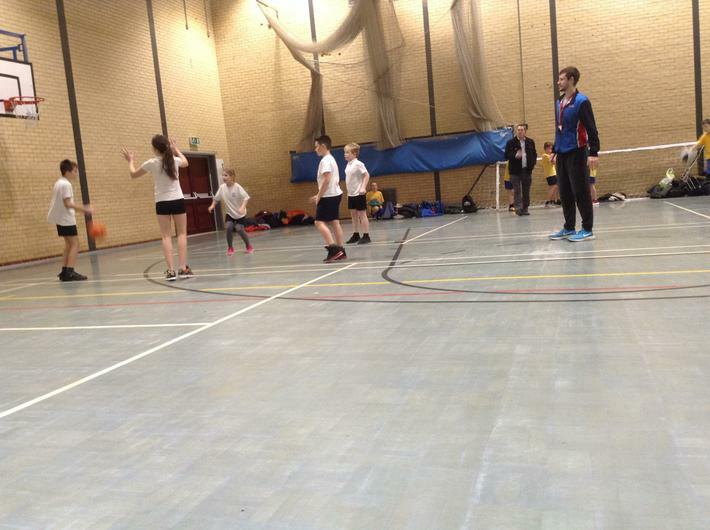 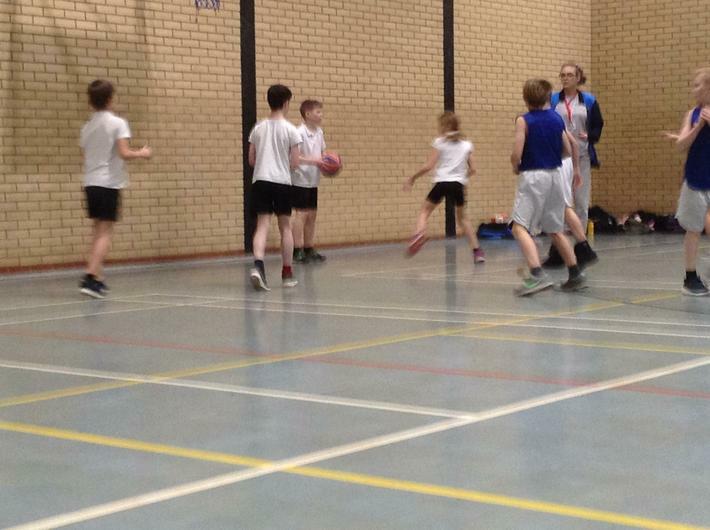 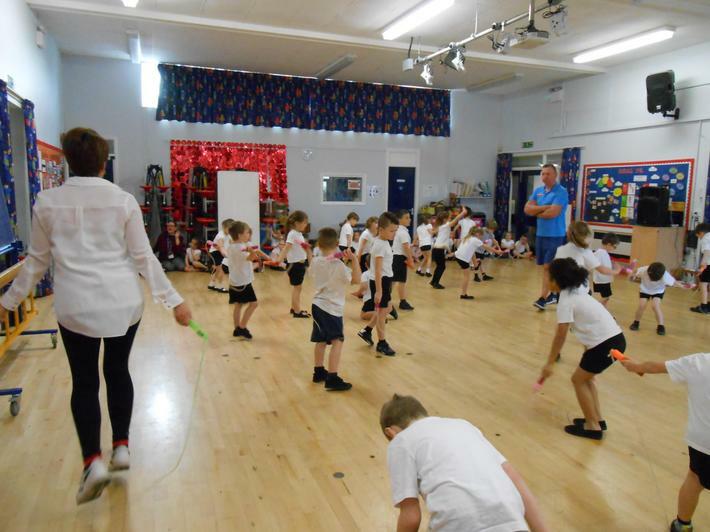 Thank you Mr Nicell for training us on Wednesday mornings. 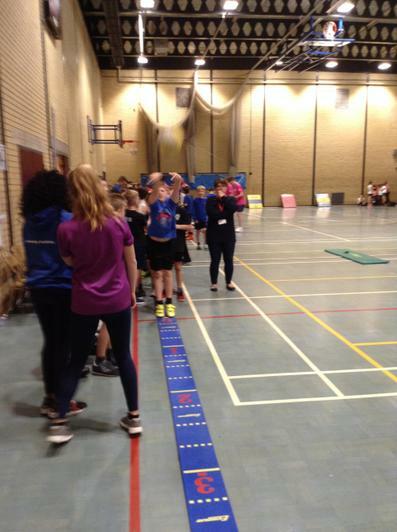 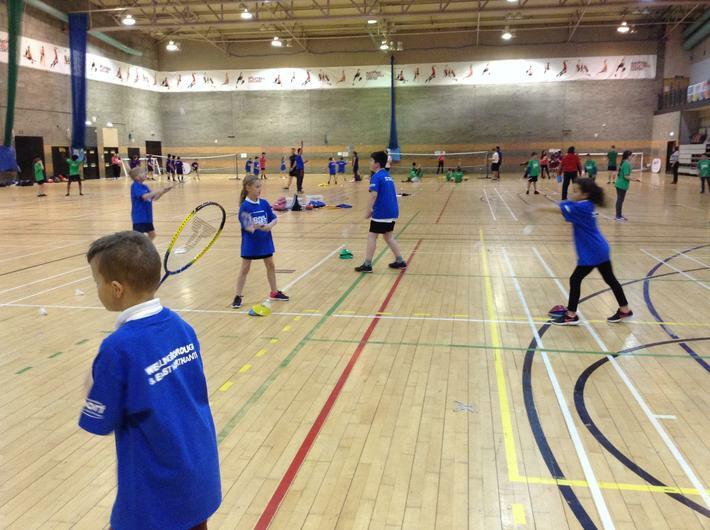 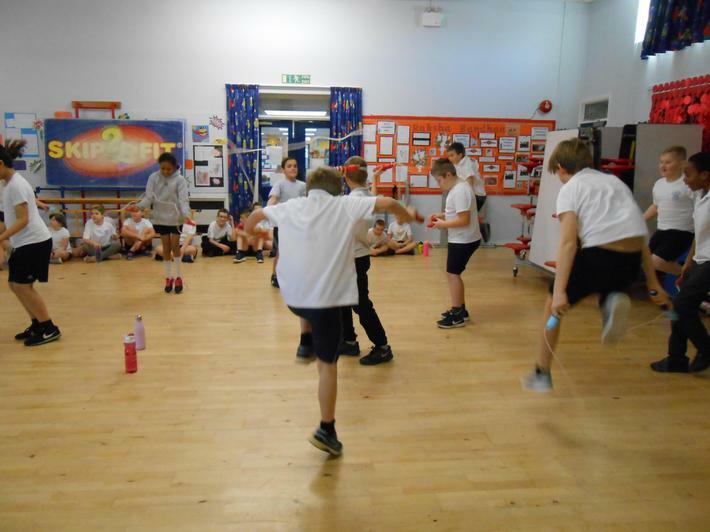 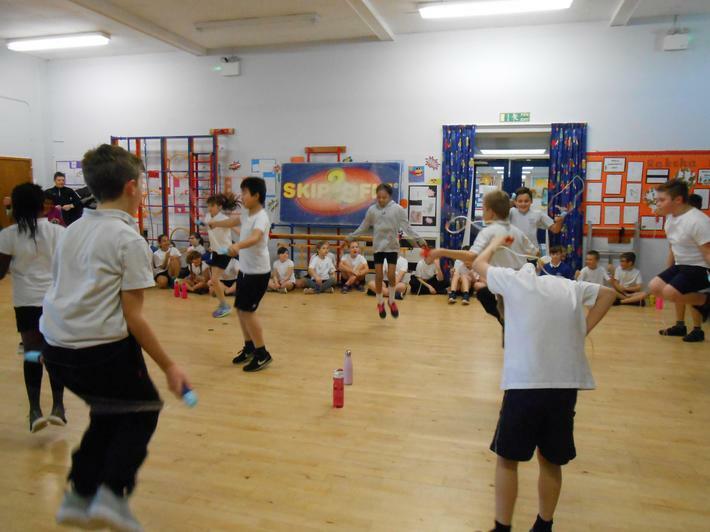 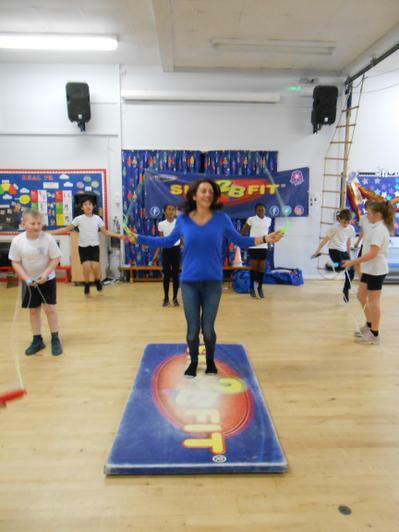 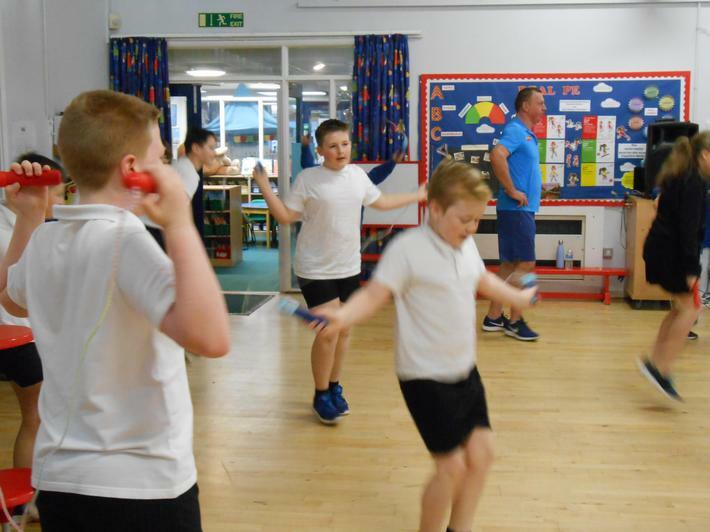 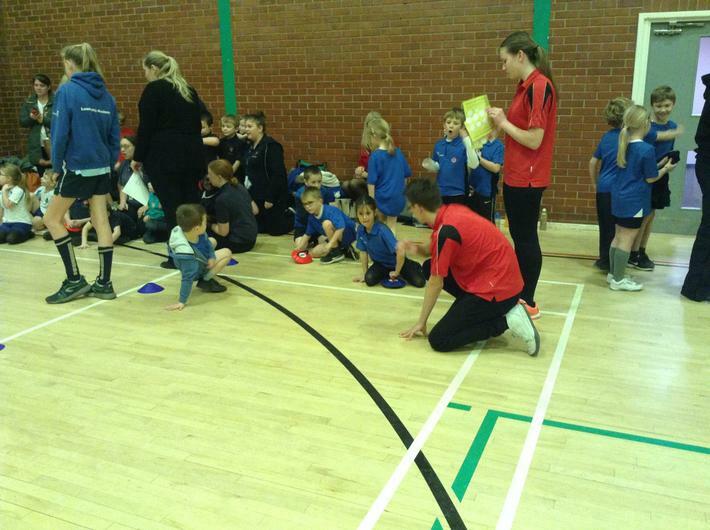 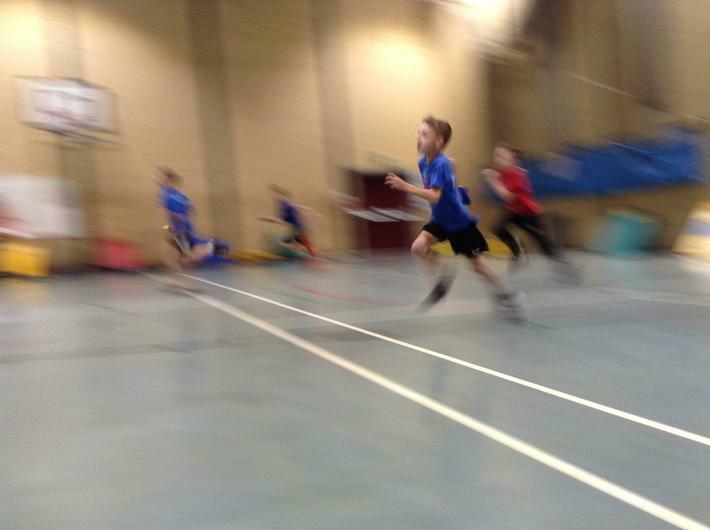 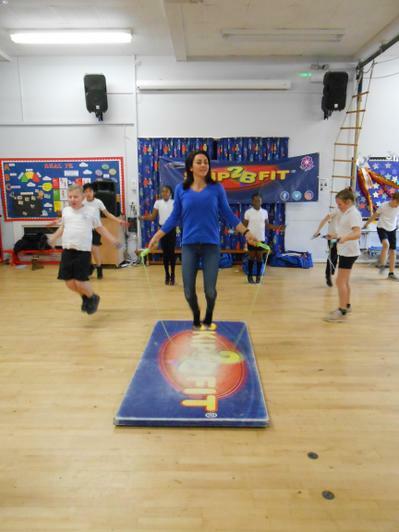 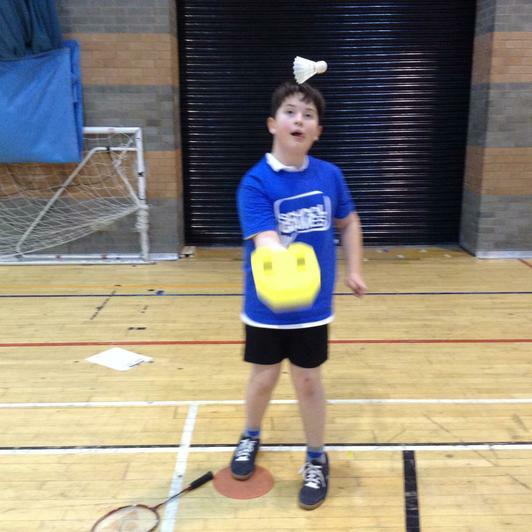 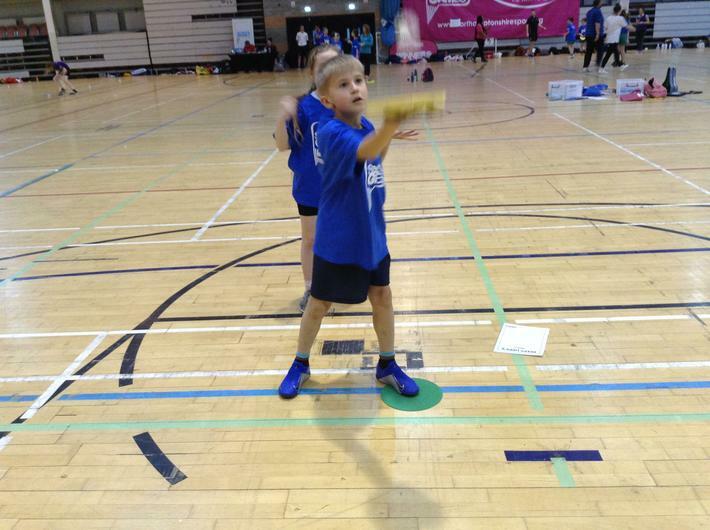 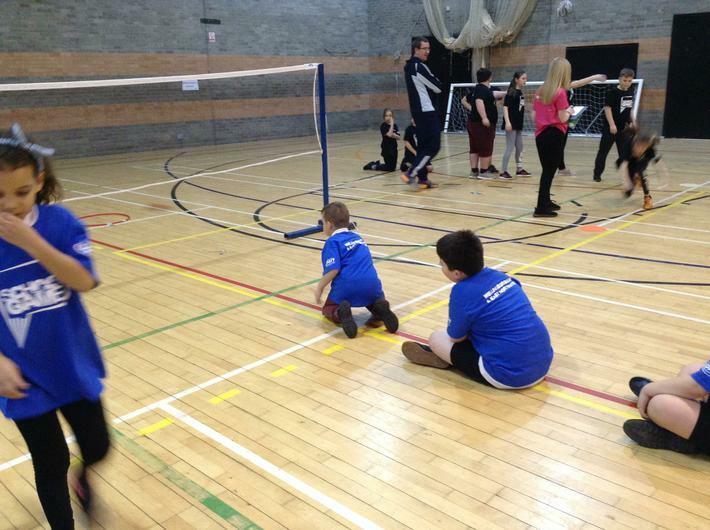 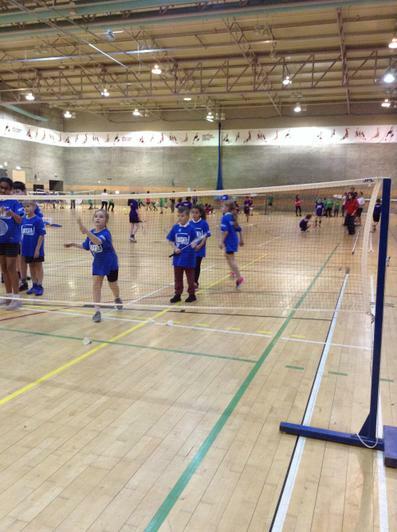 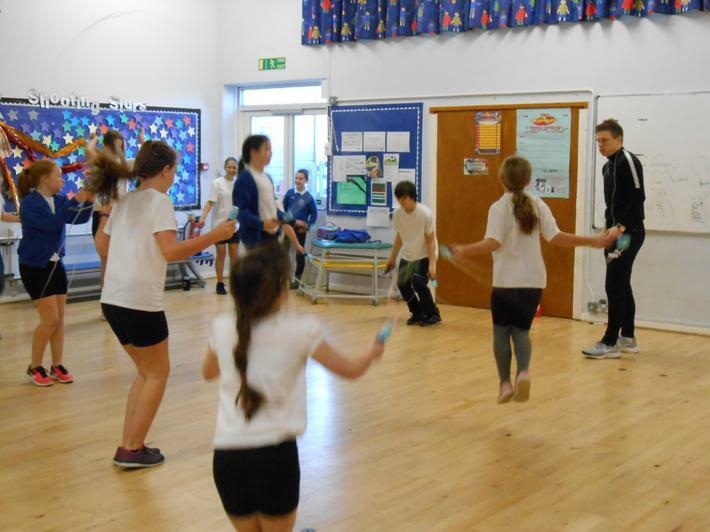 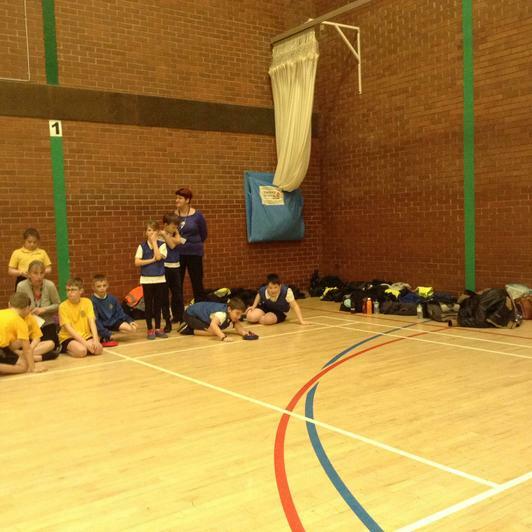 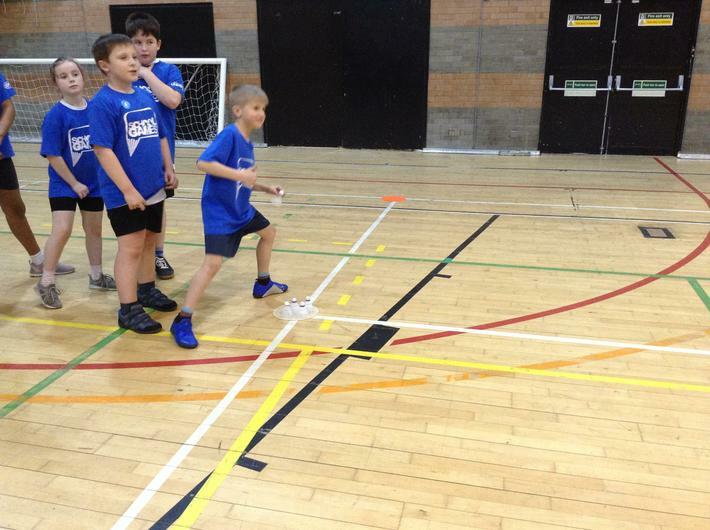 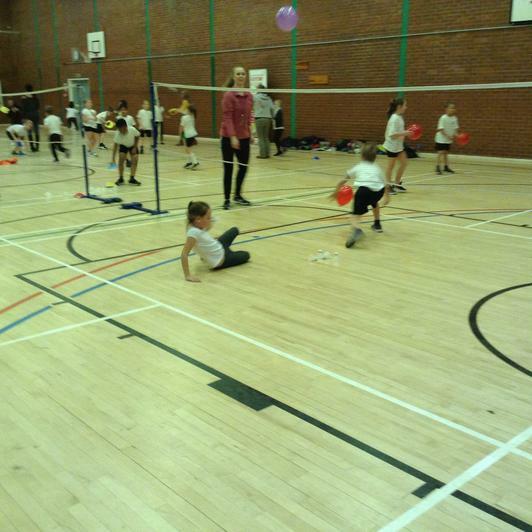 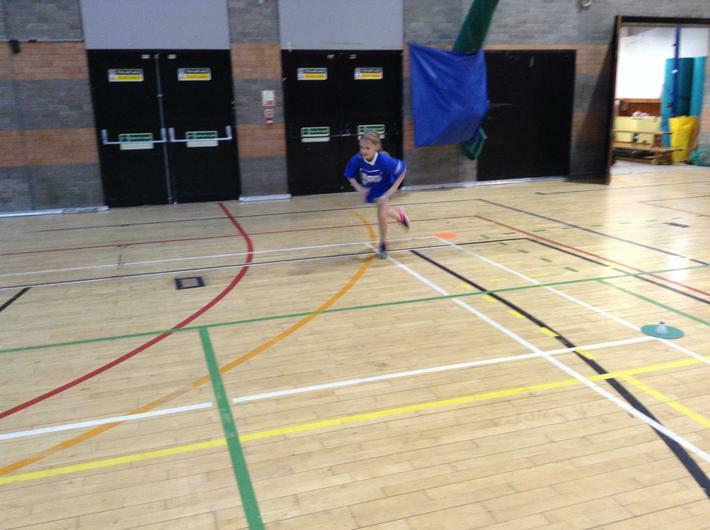 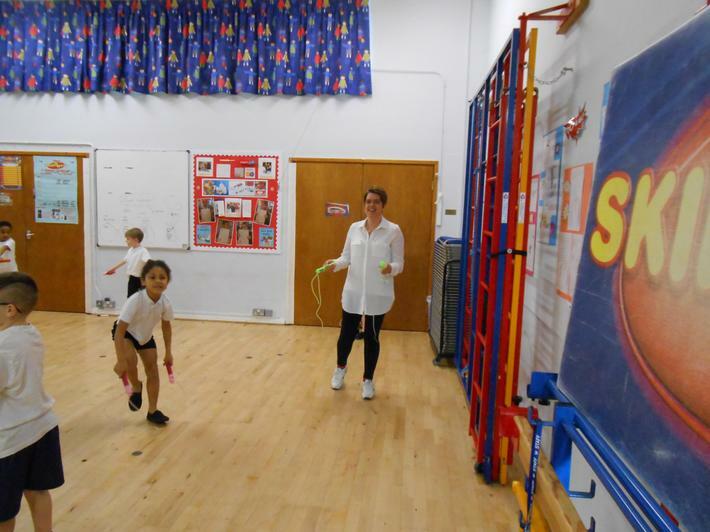 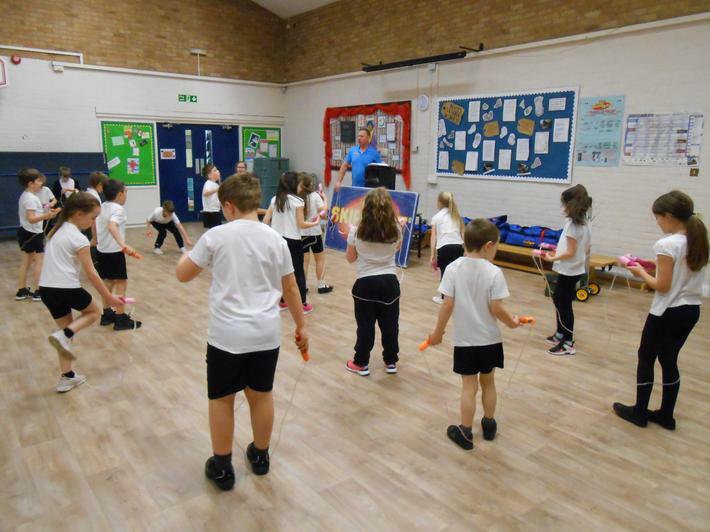 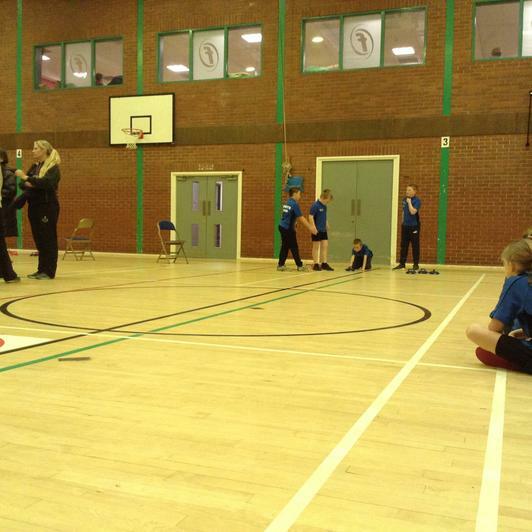 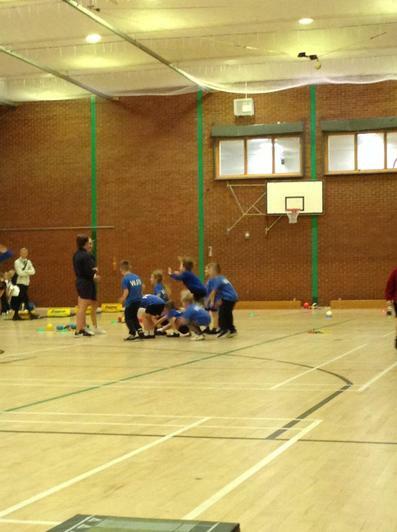 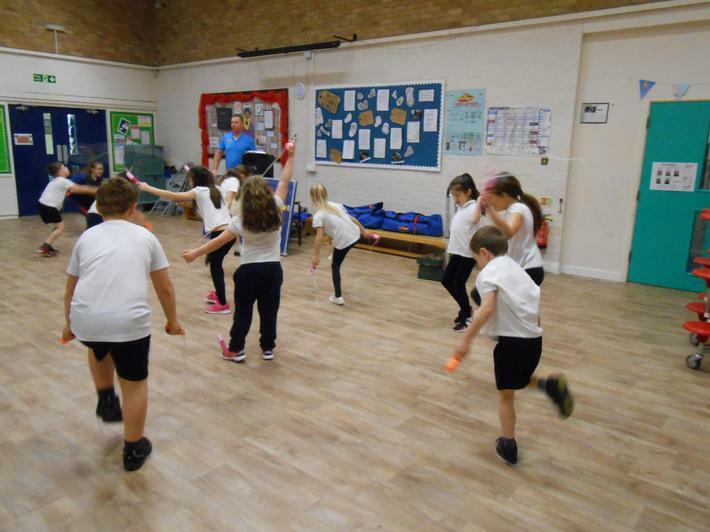 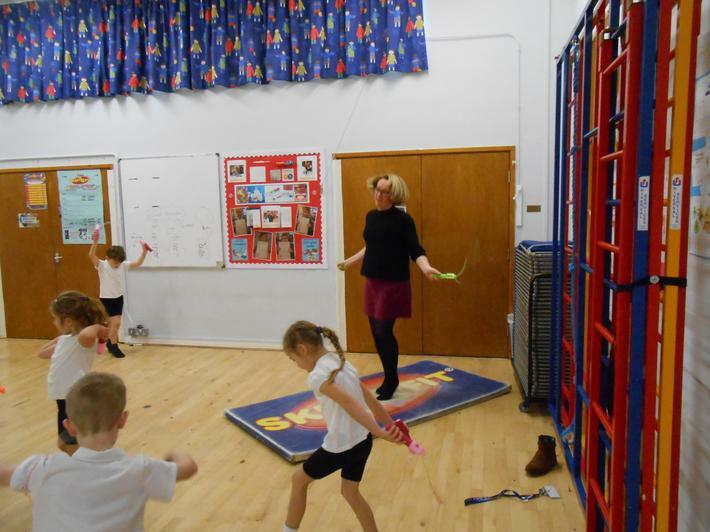 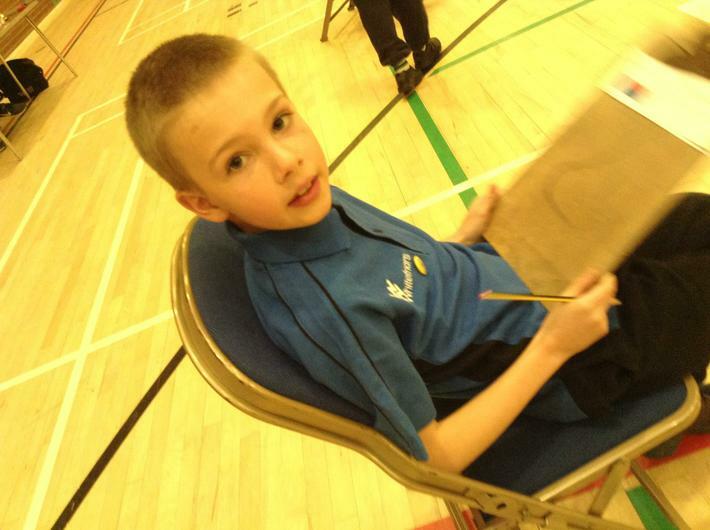 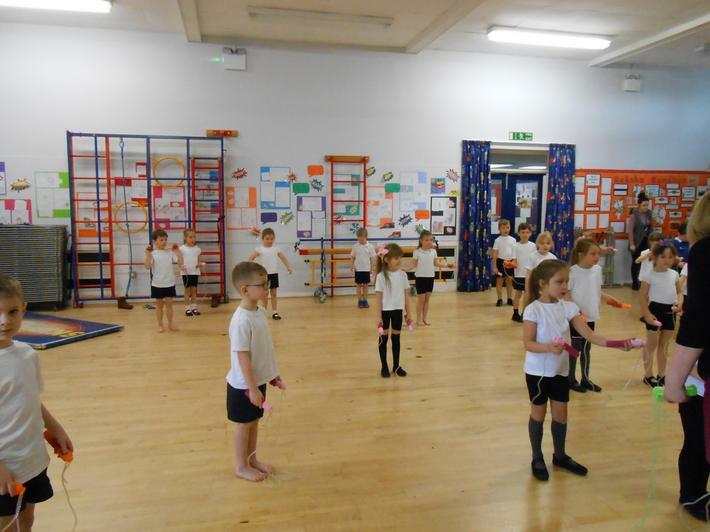 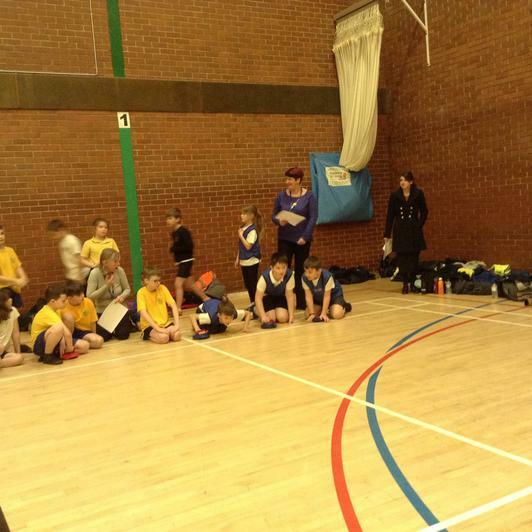 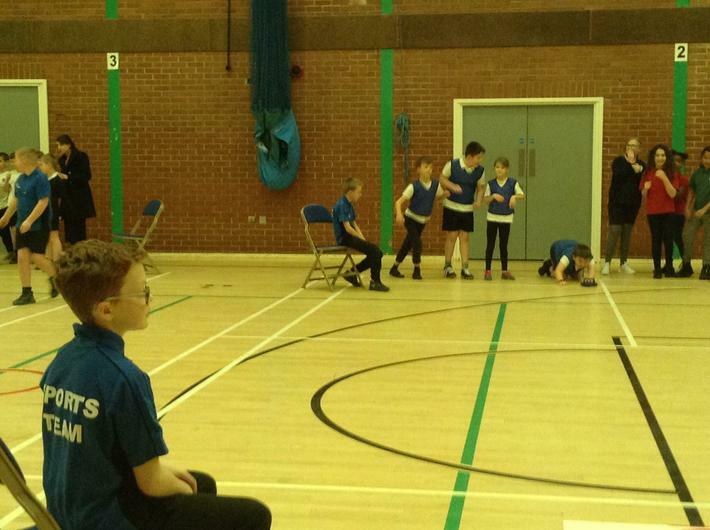 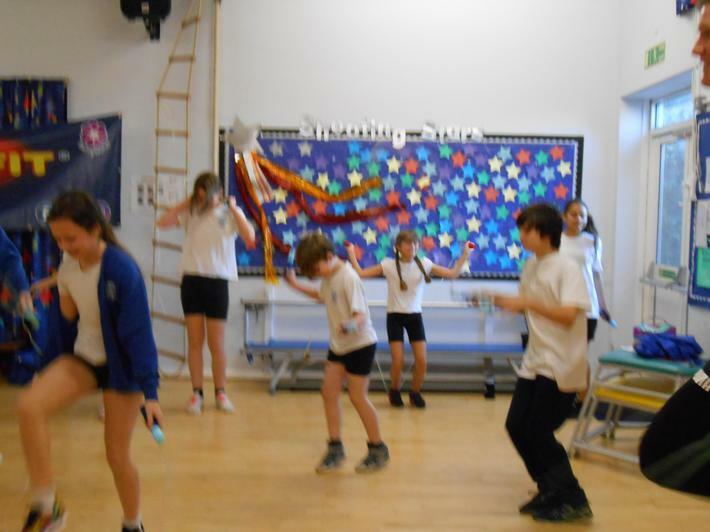 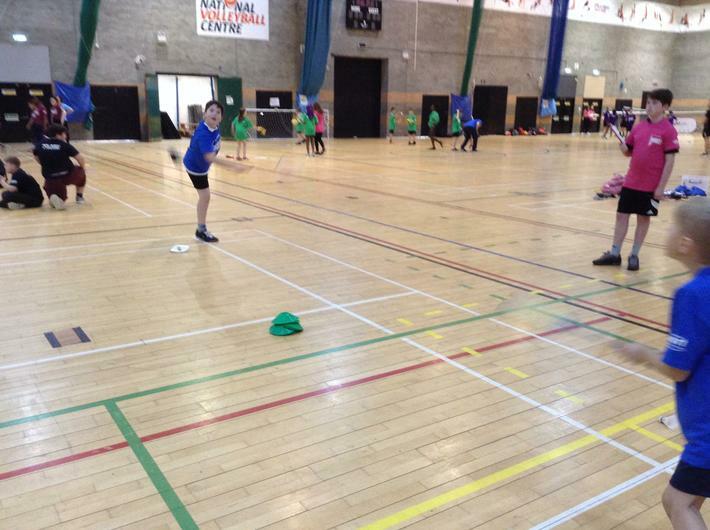 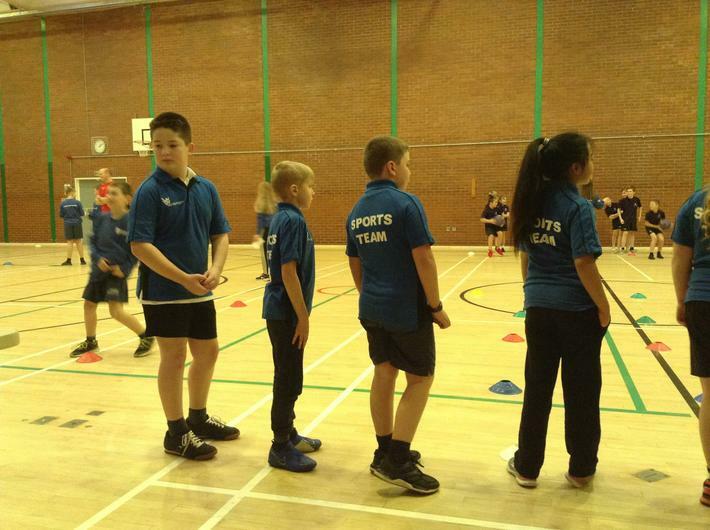 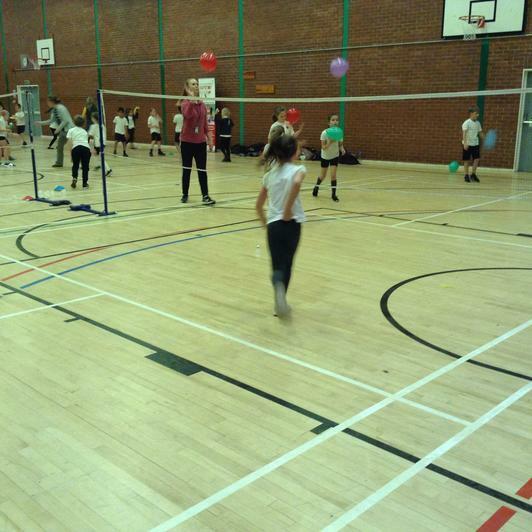 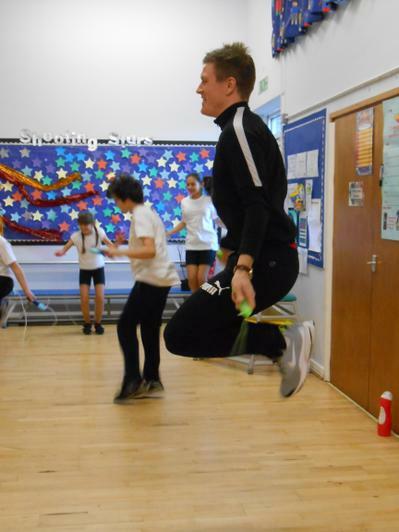 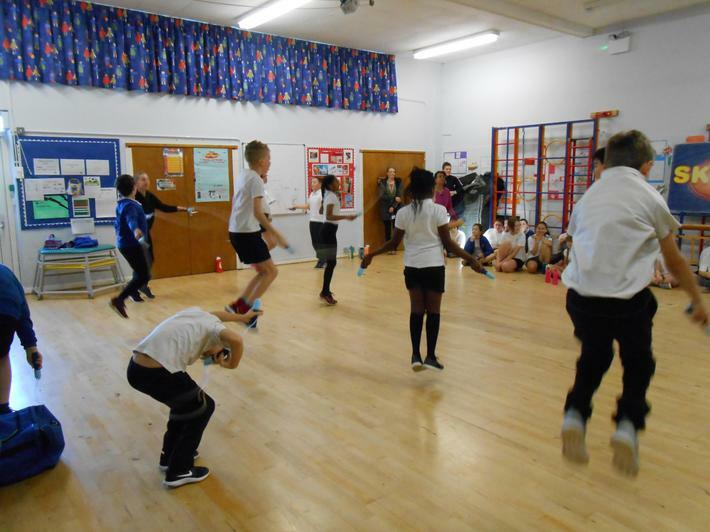 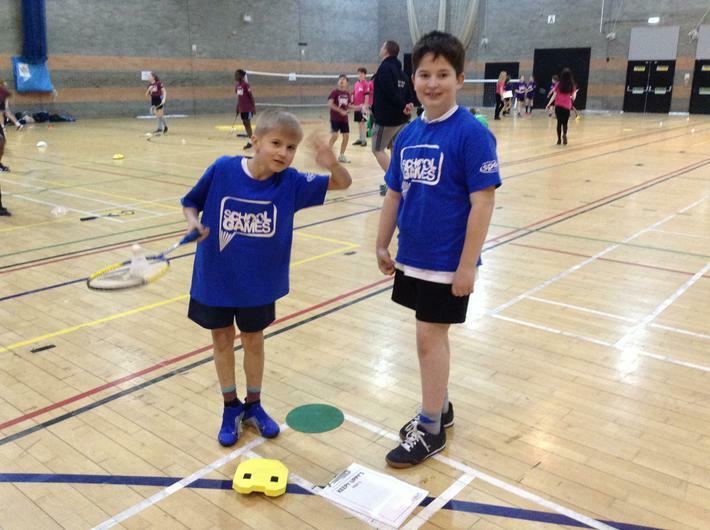 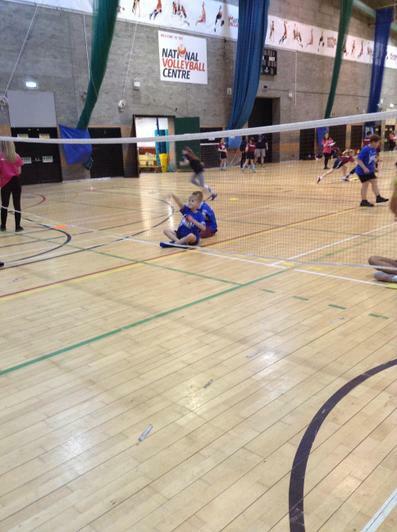 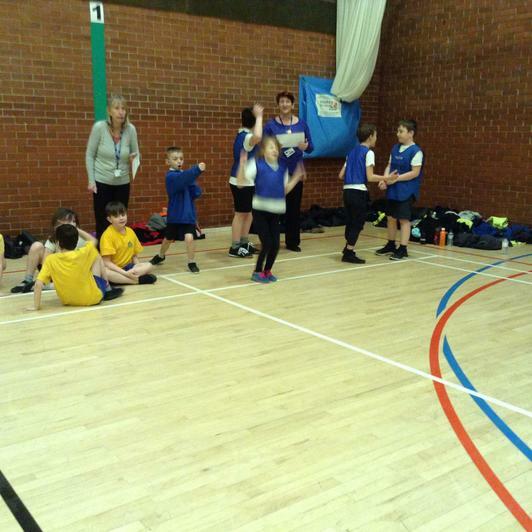 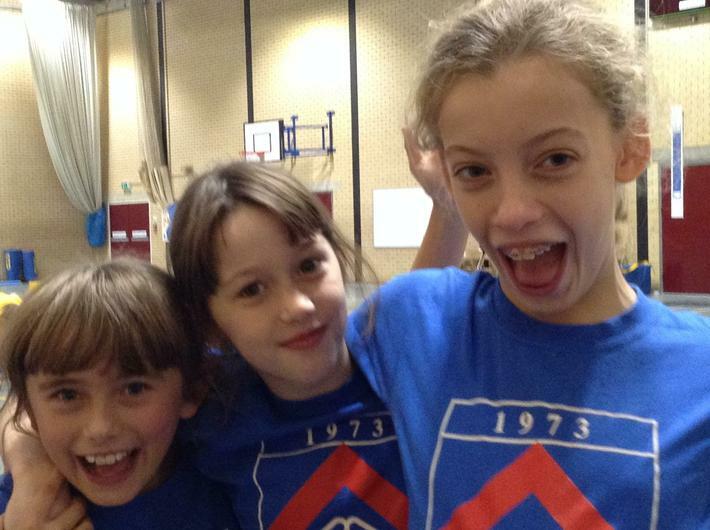 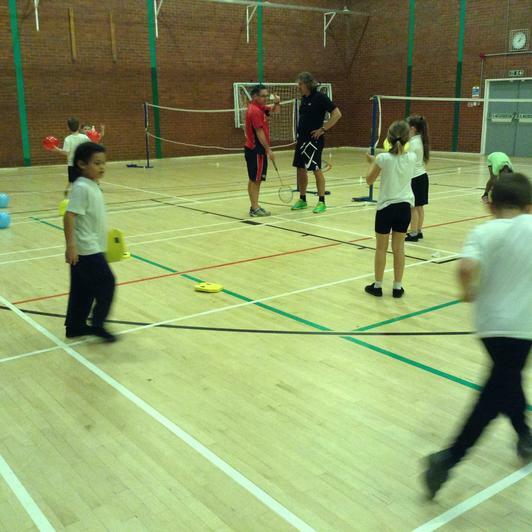 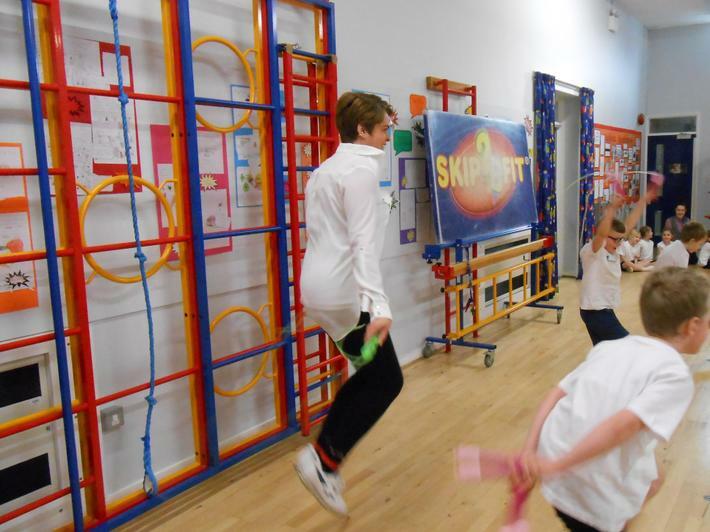 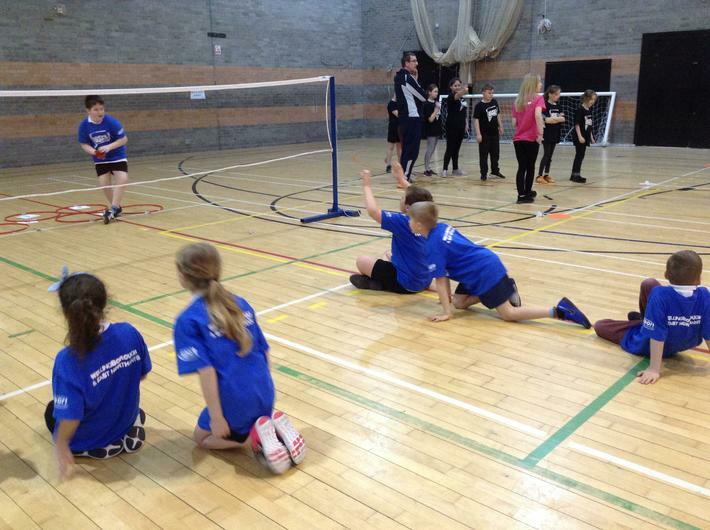 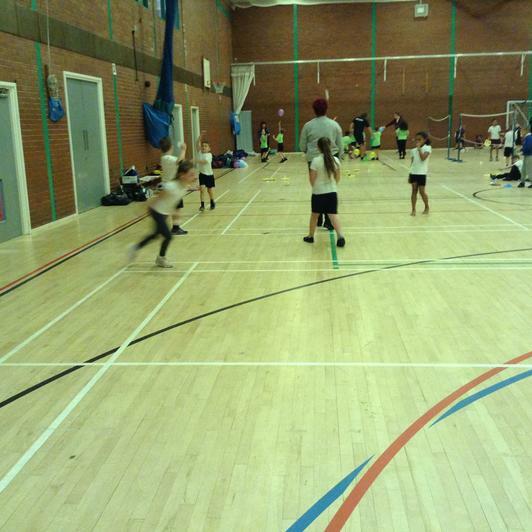 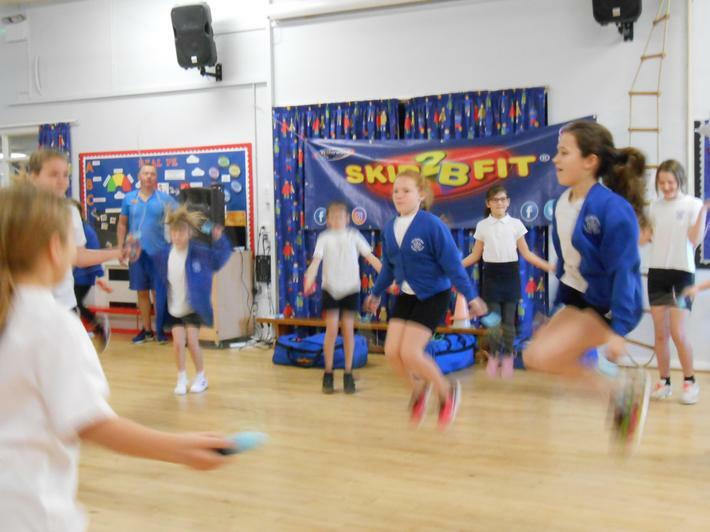 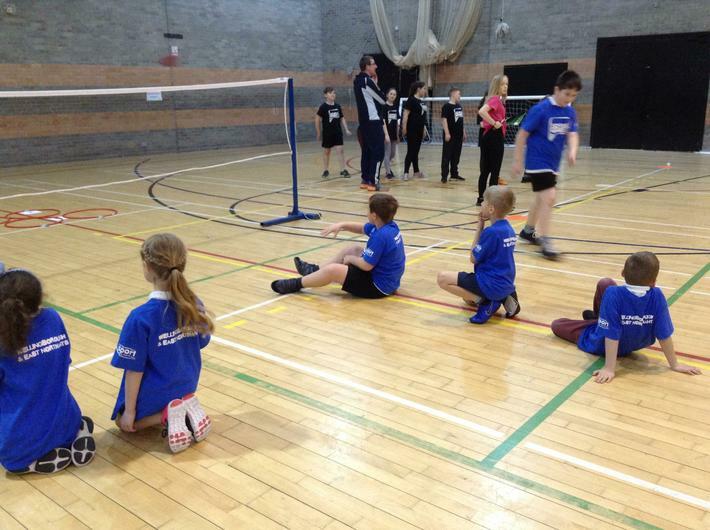 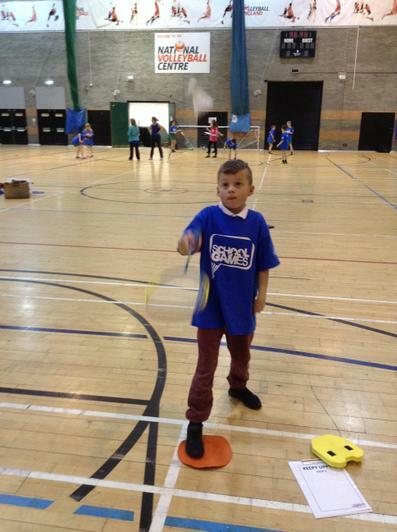 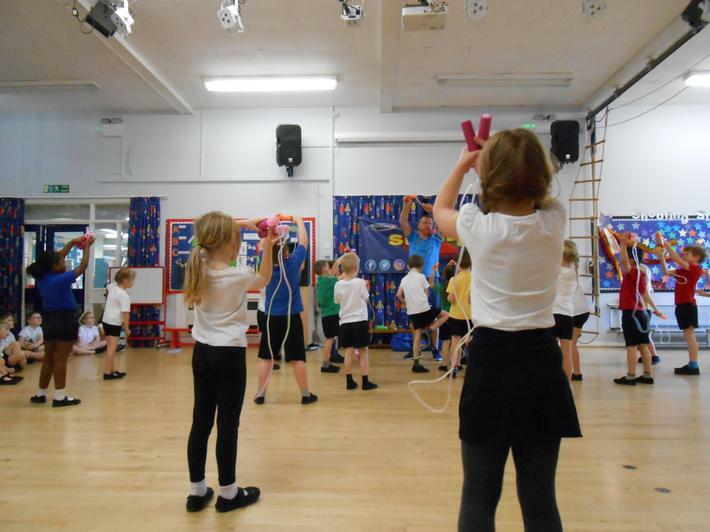 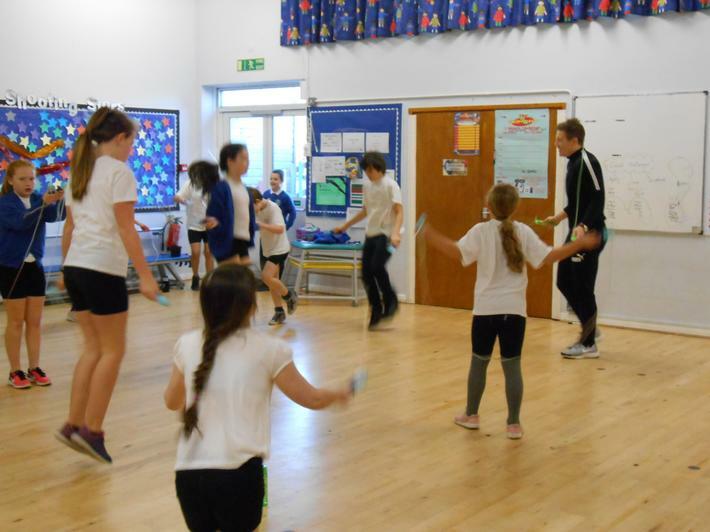 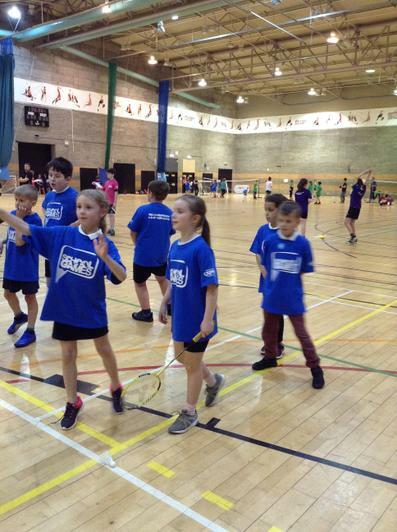 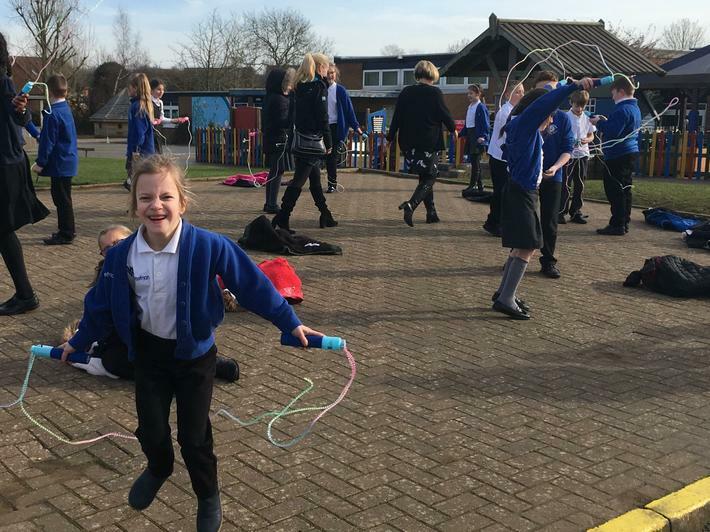 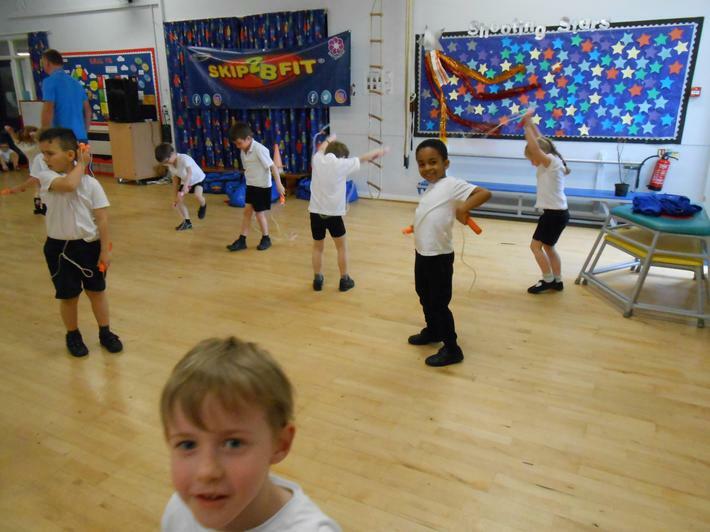 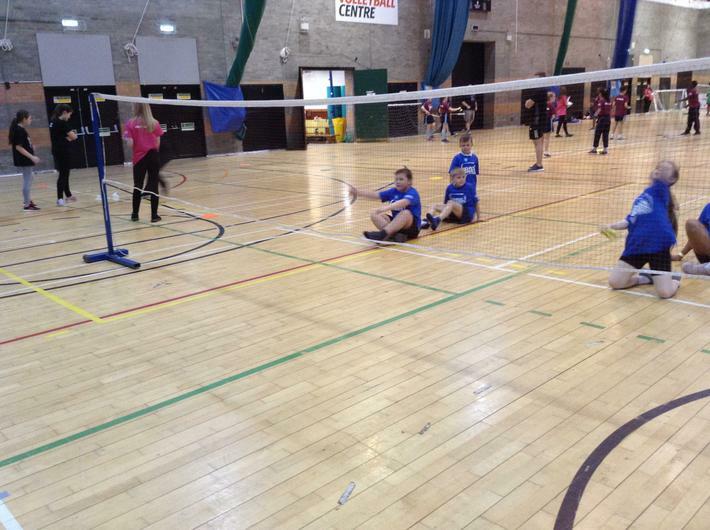 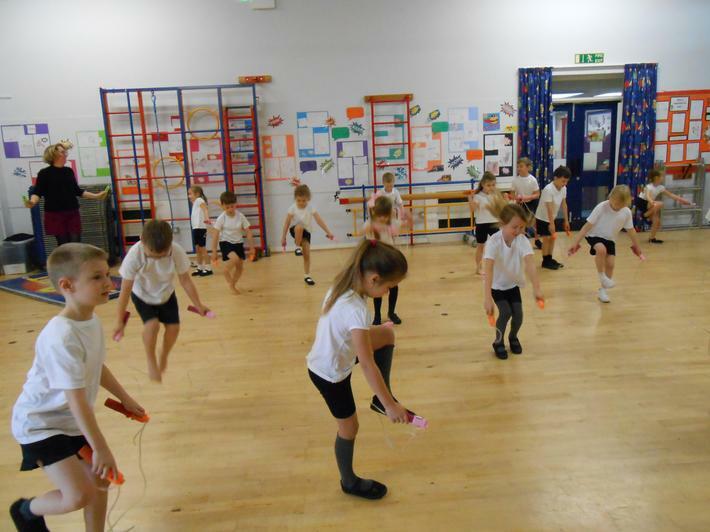 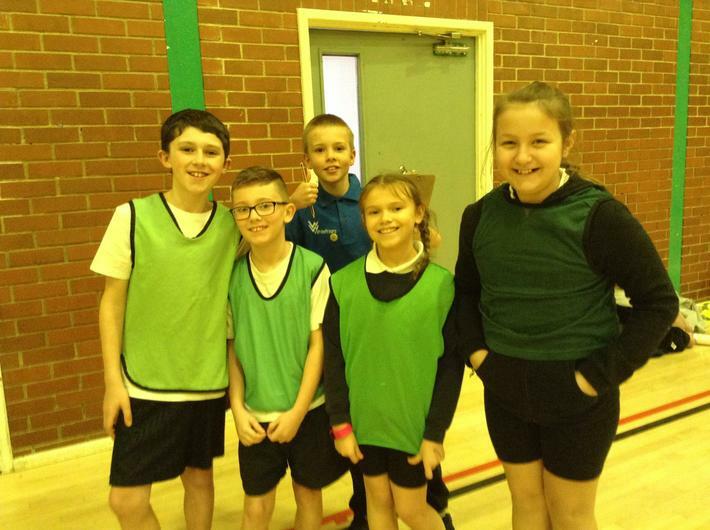 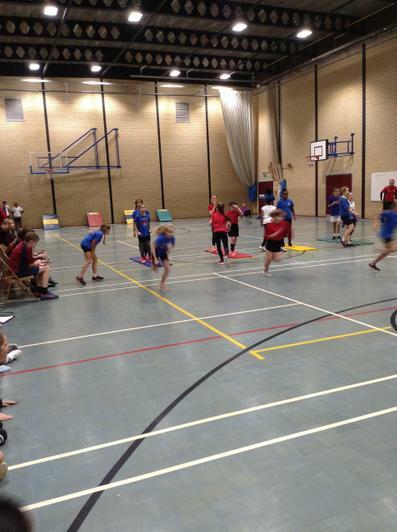 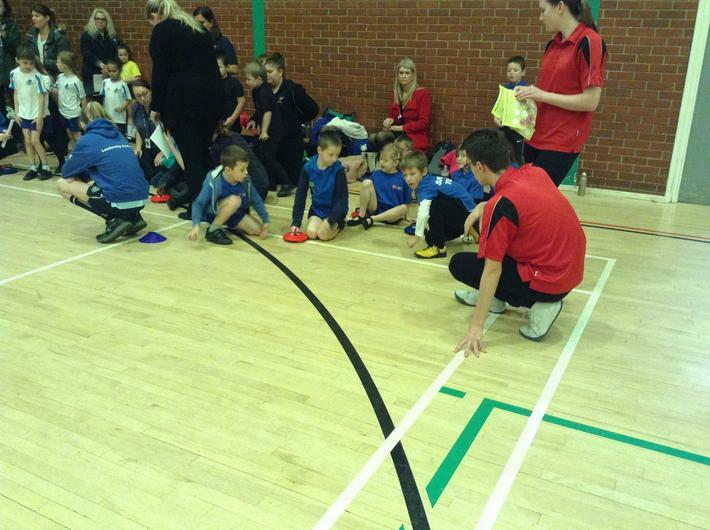 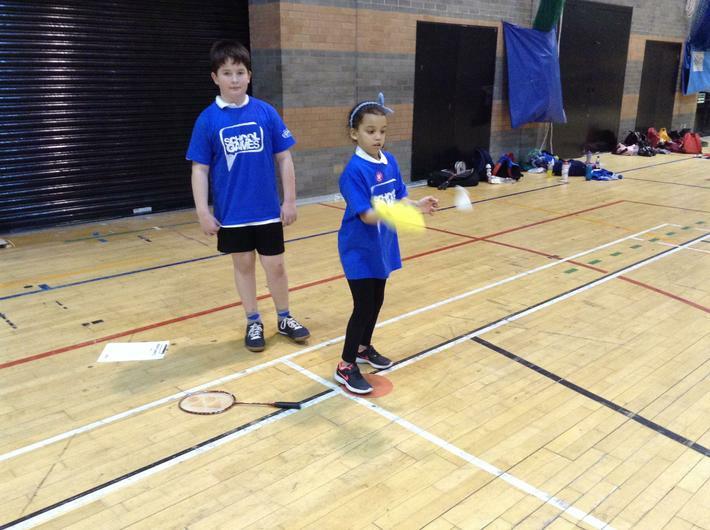 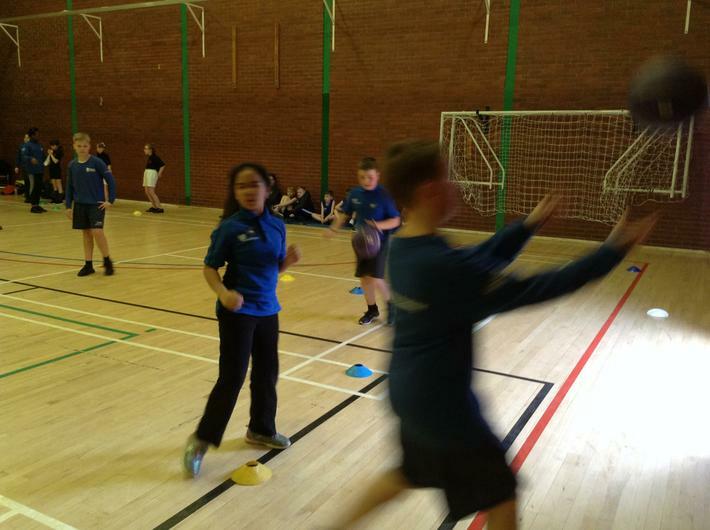 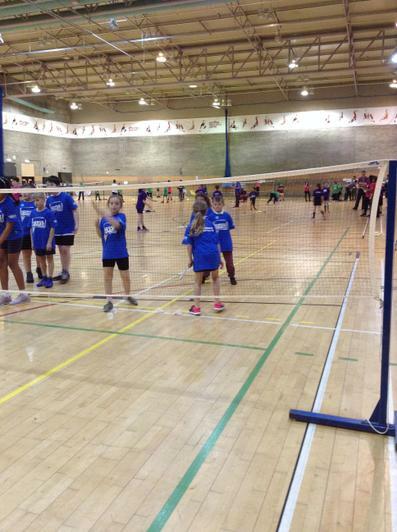 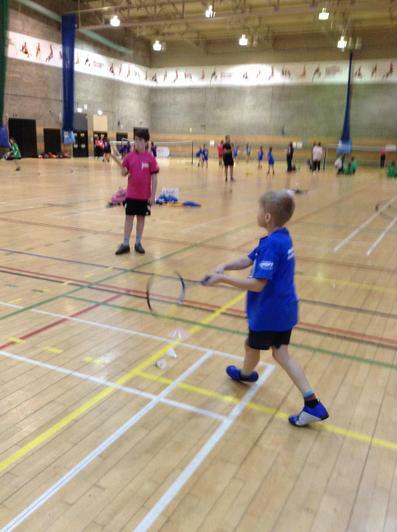 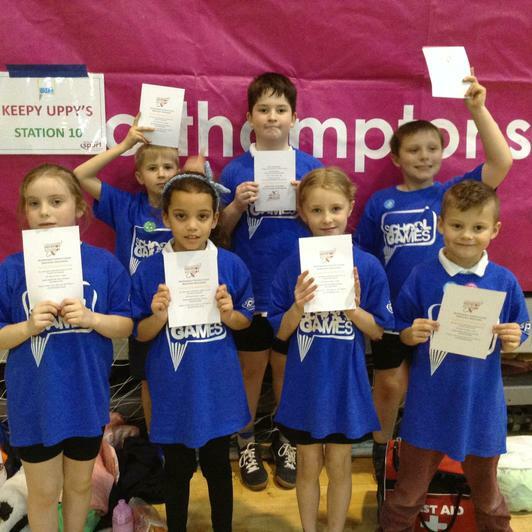 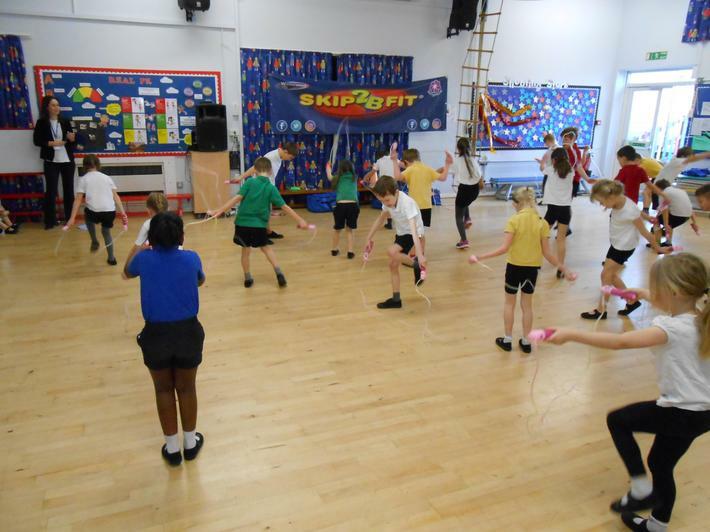 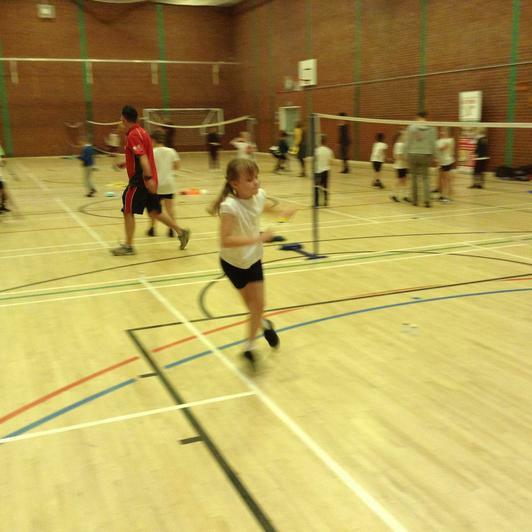 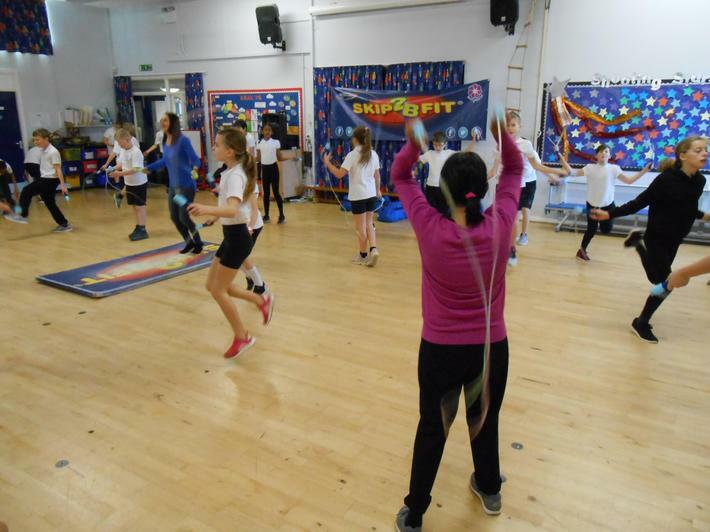 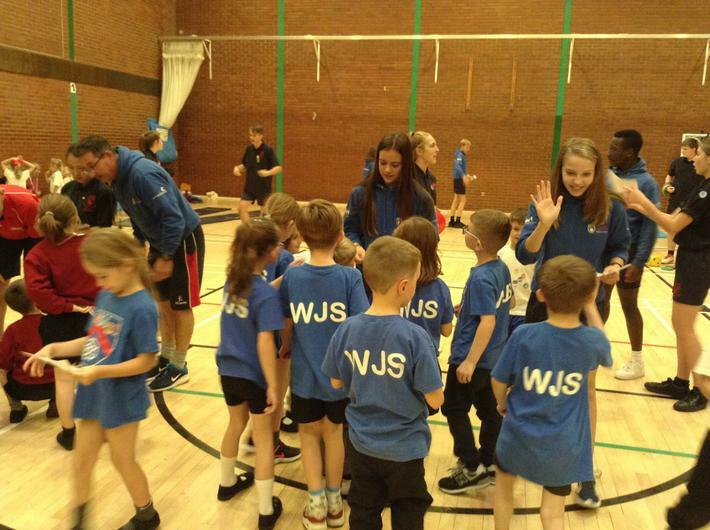 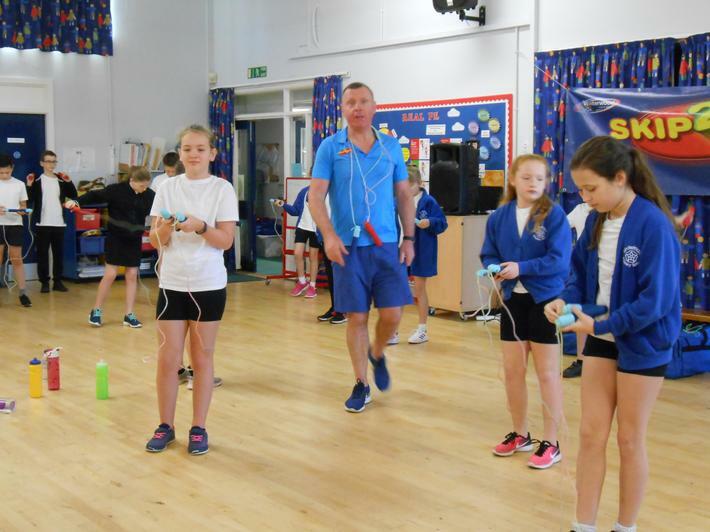 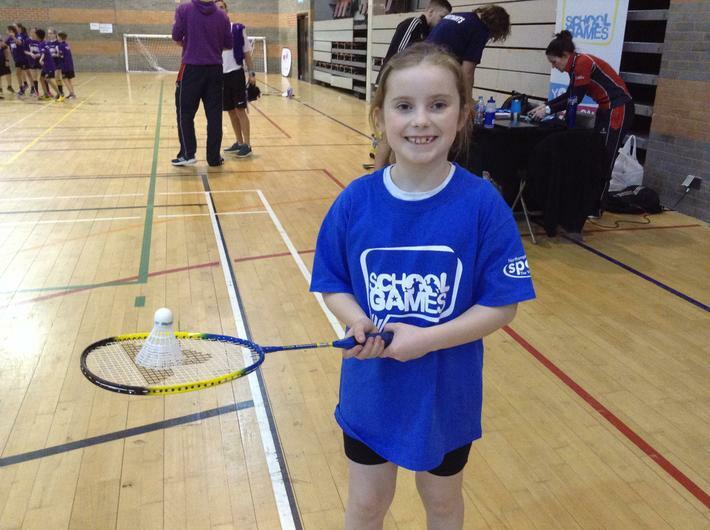 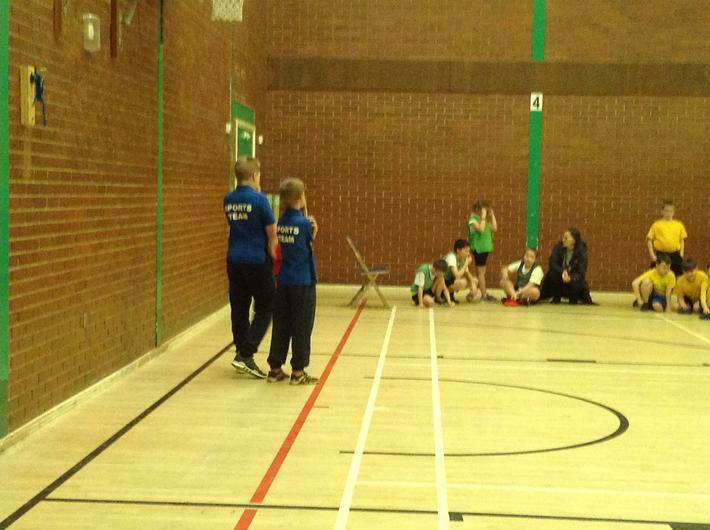 A group of Year 3 children had the opportunity to go to a Badminton festival in November at the Pemberton Centre. 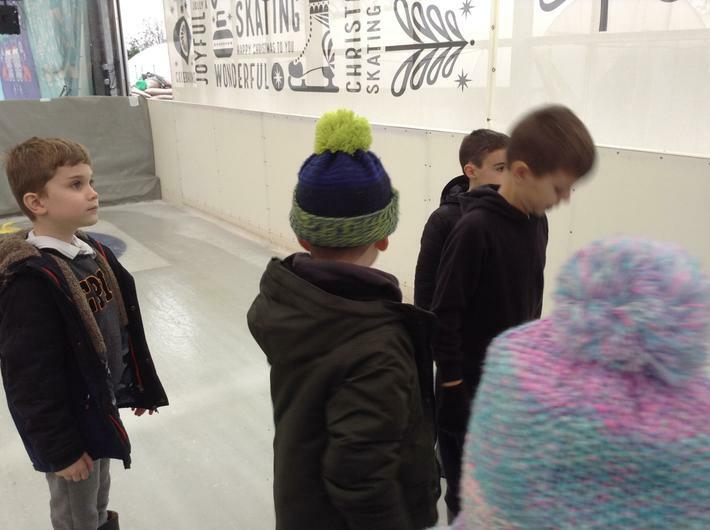 They had a fantastic time whilst learning new skills! 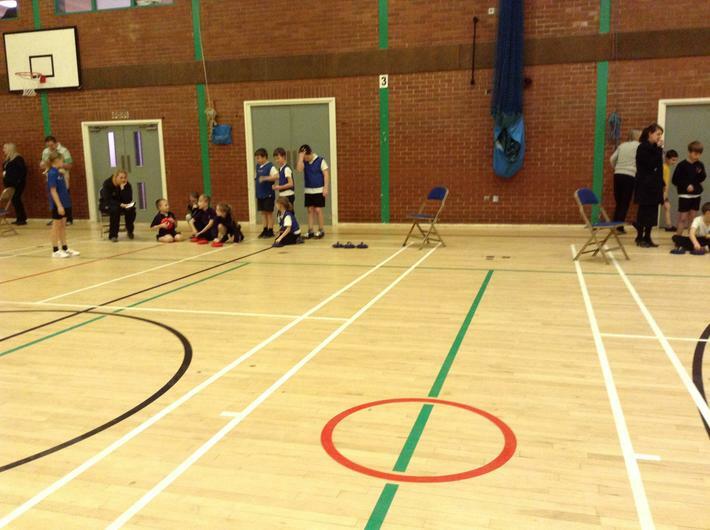 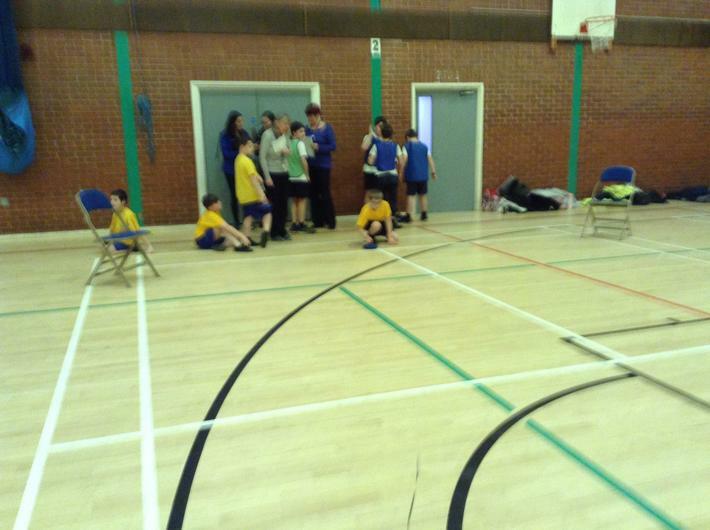 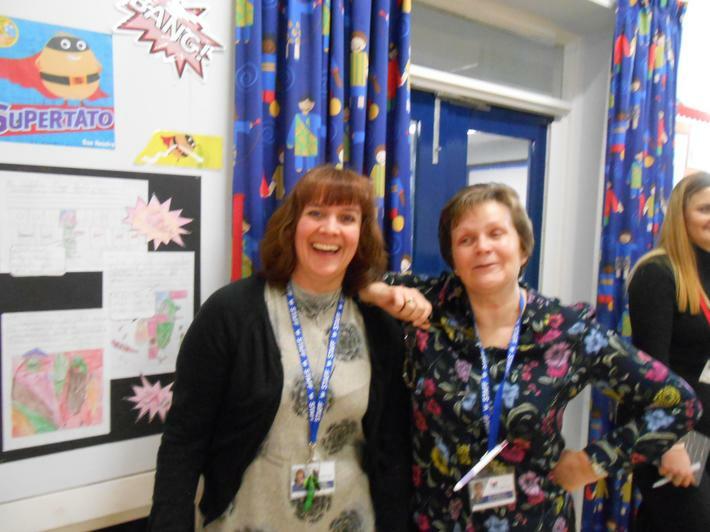 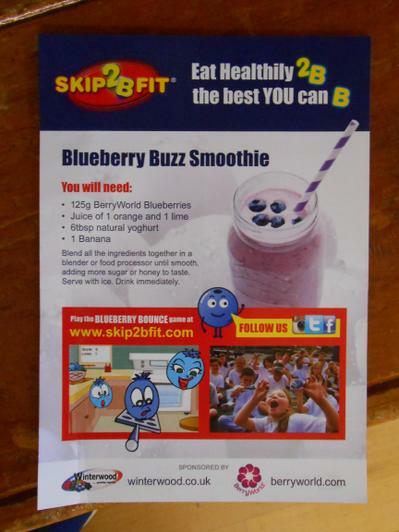 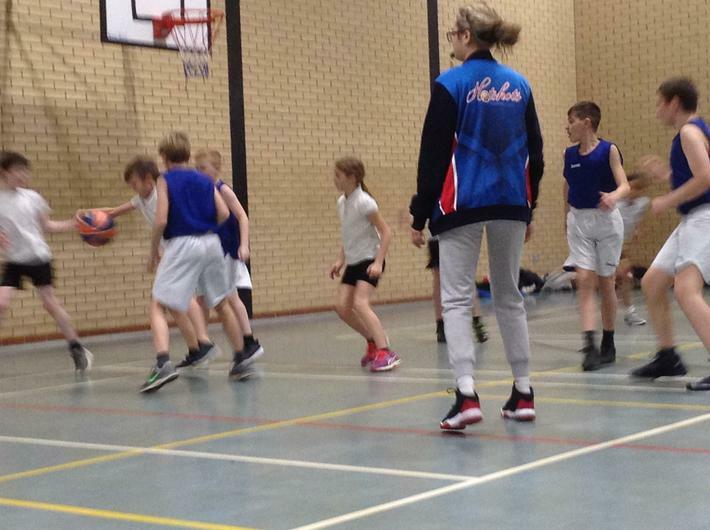 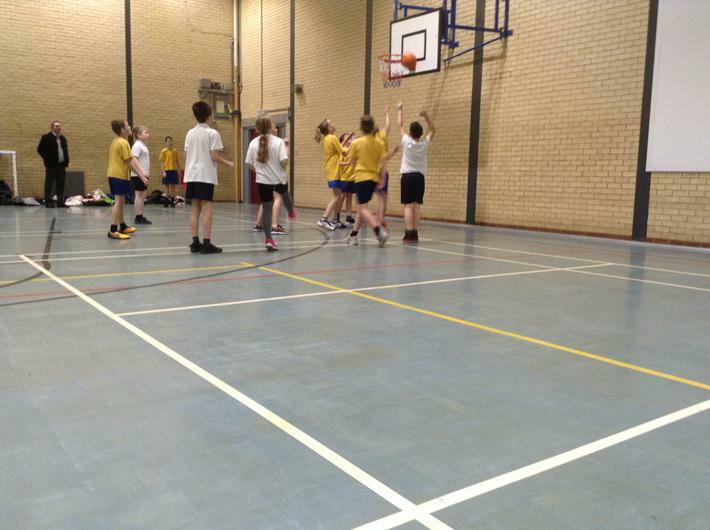 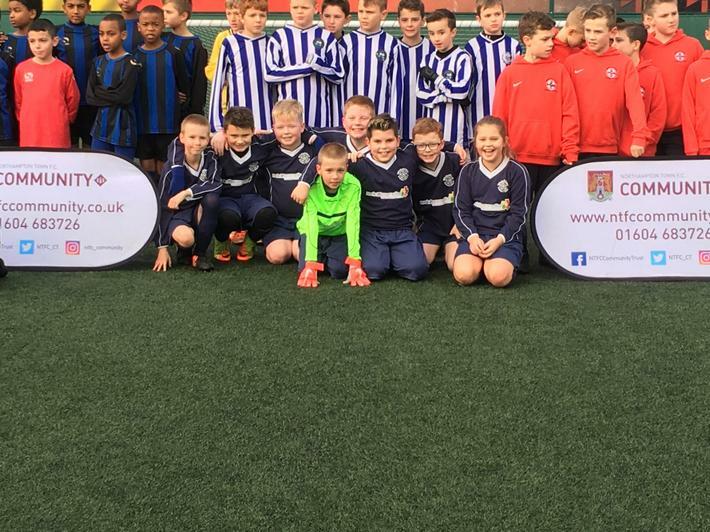 Twenty-two children from KS2 participated in this competition, which involved 10 other schools from around the area. 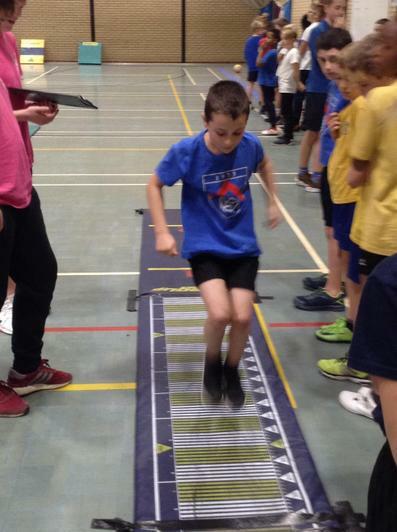 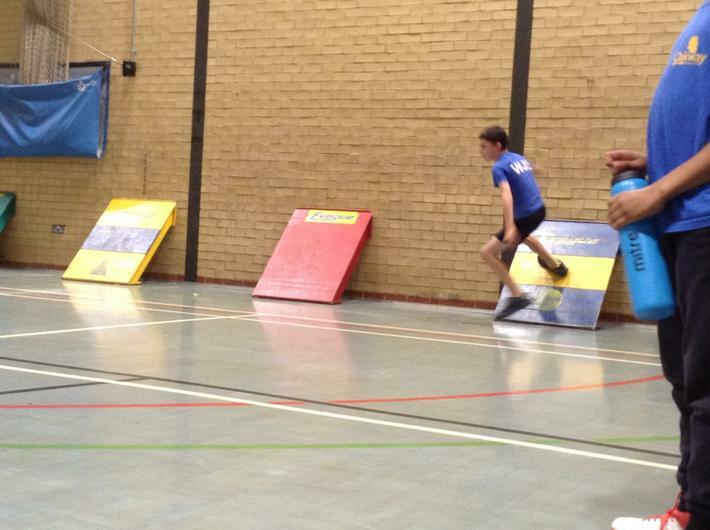 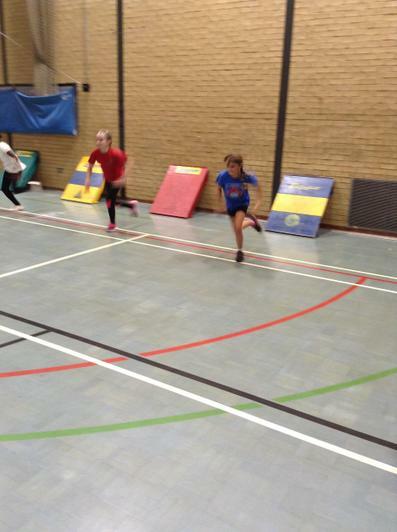 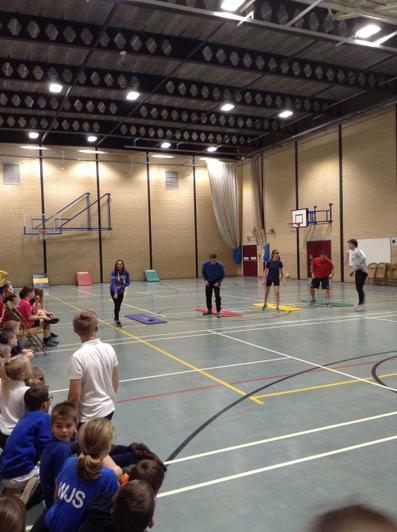 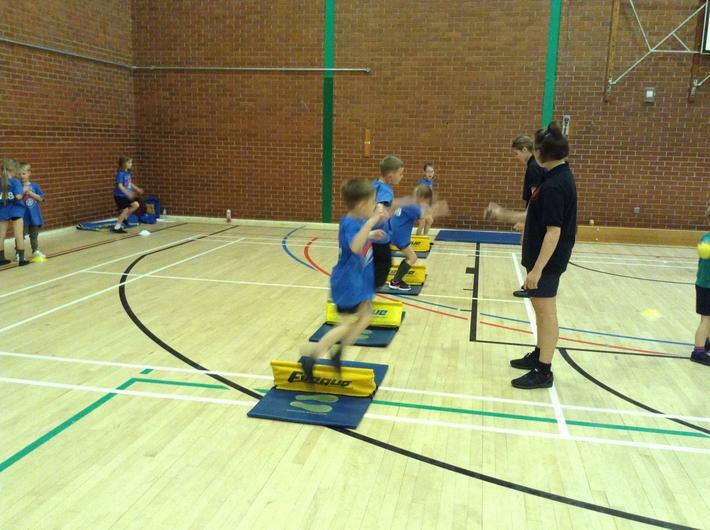 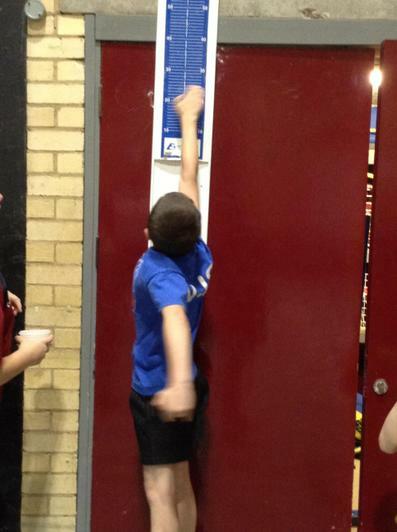 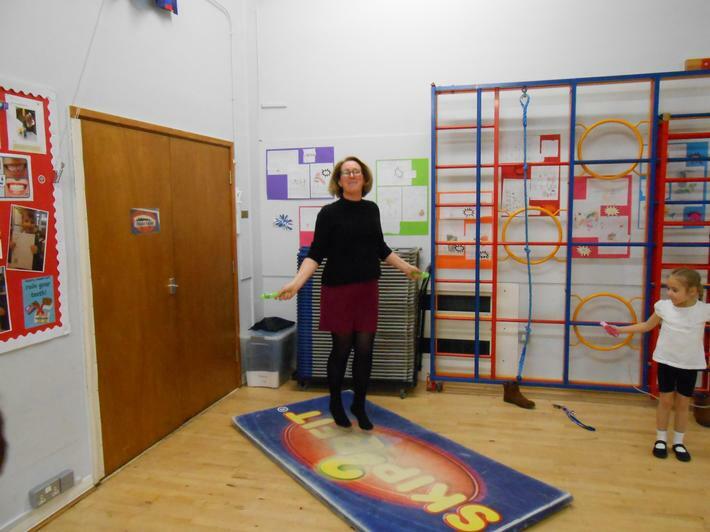 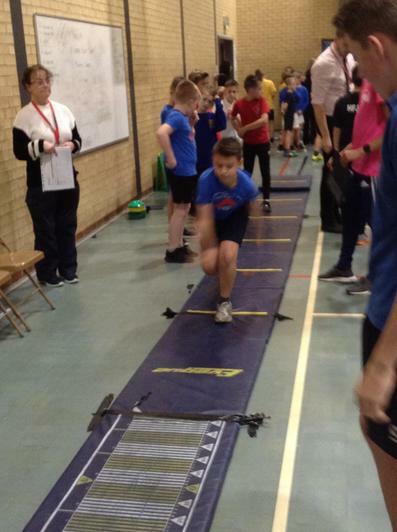 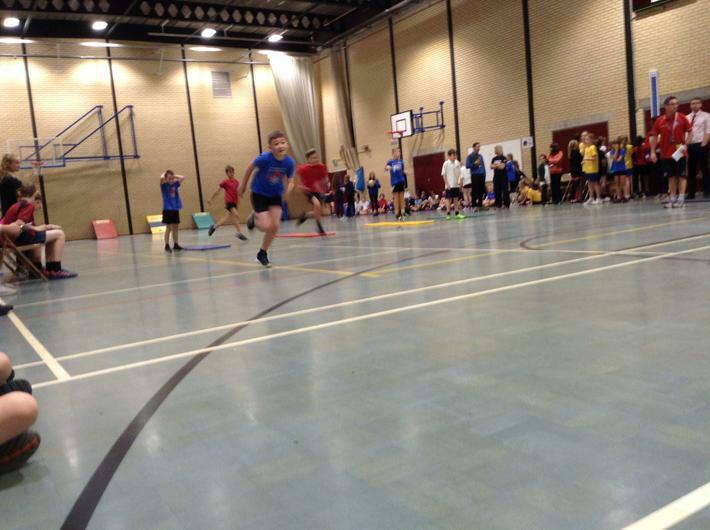 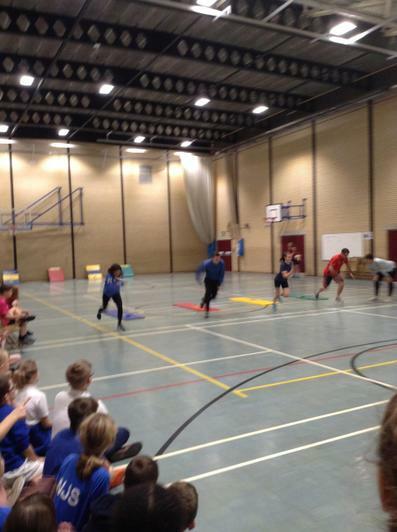 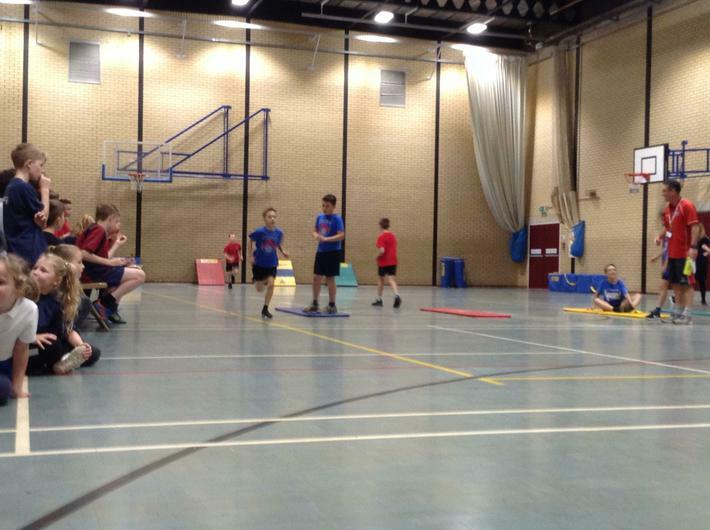 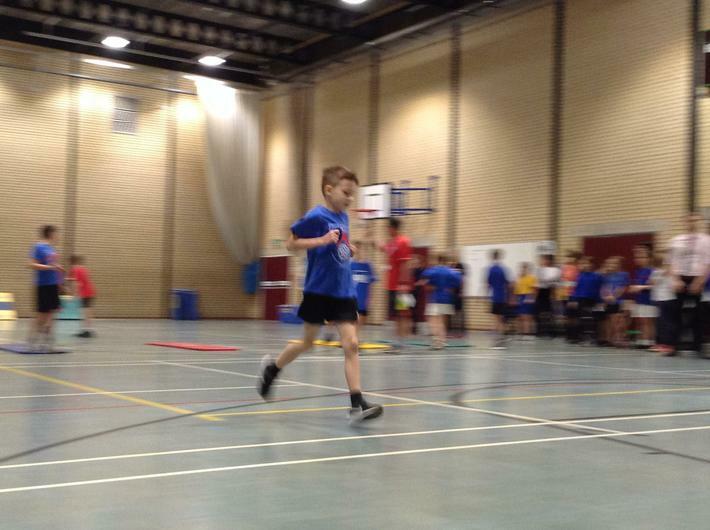 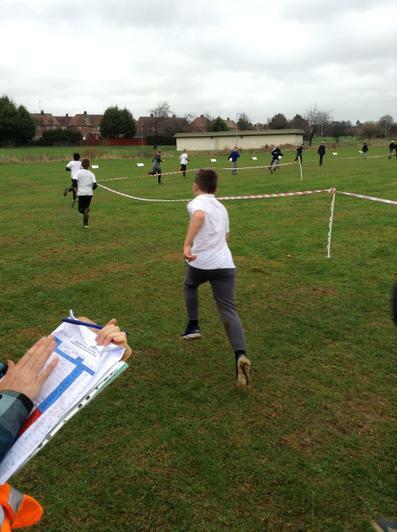 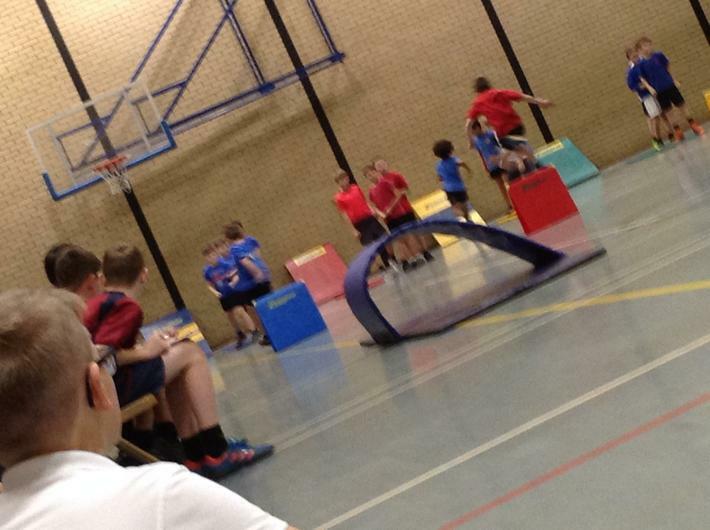 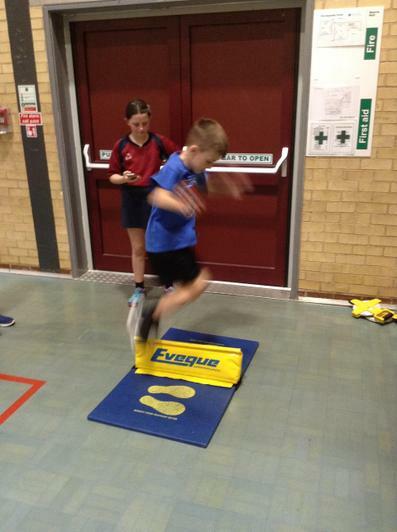 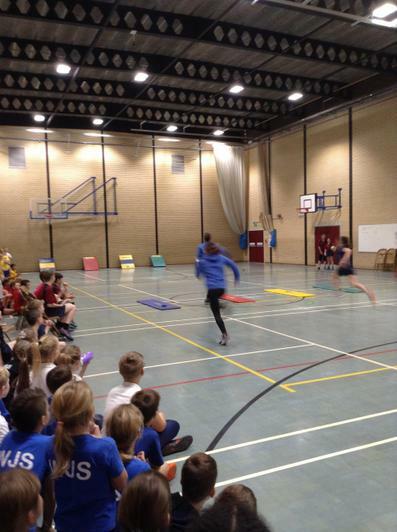 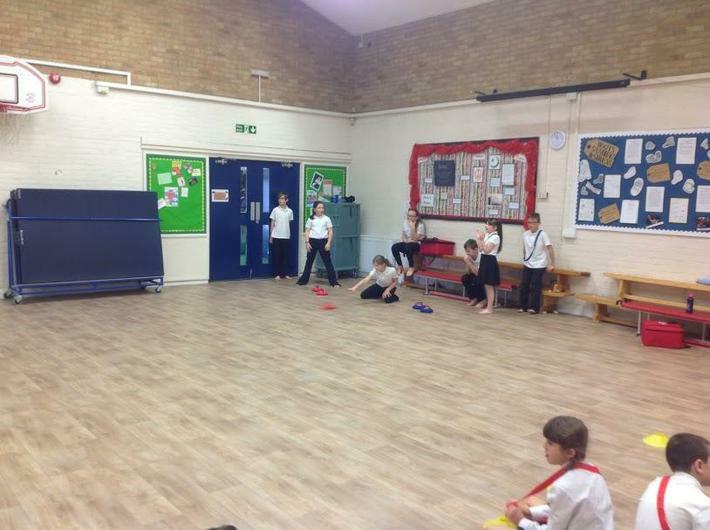 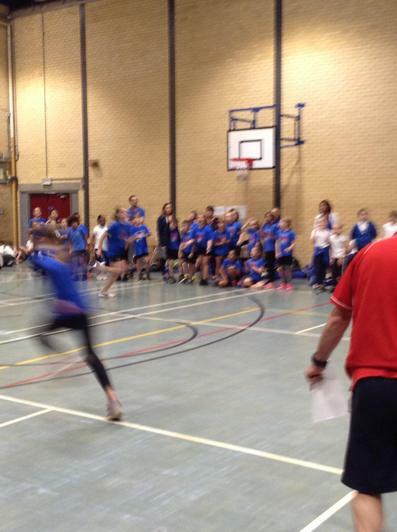 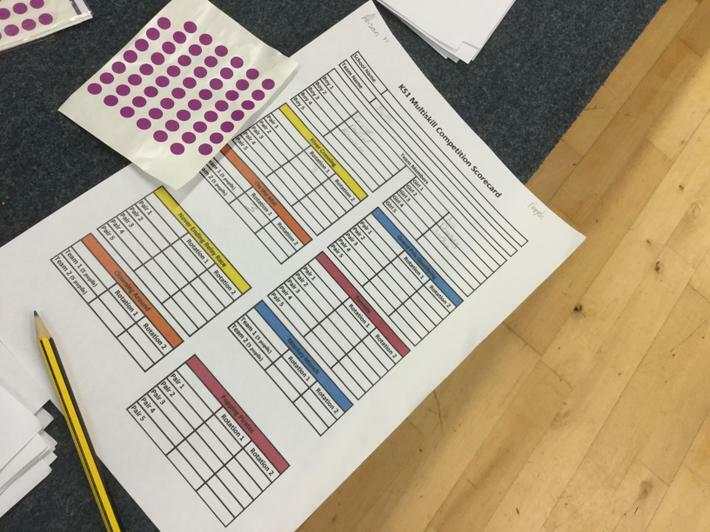 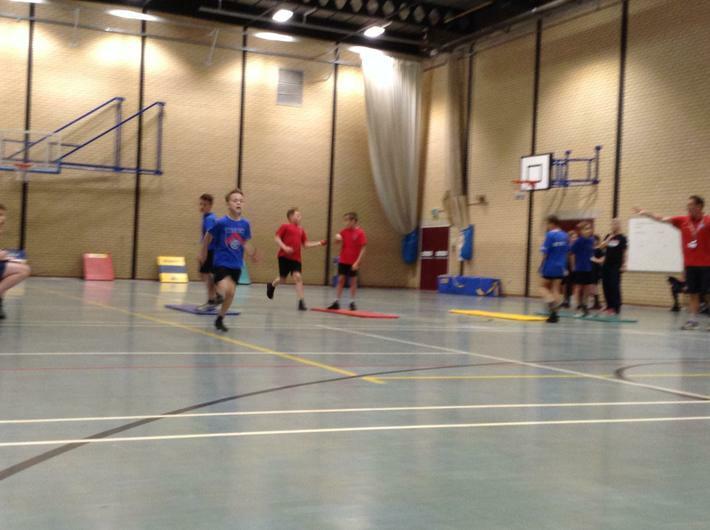 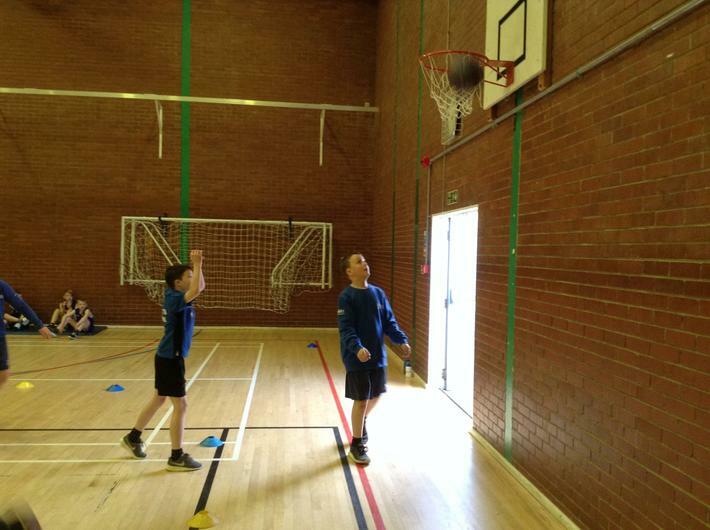 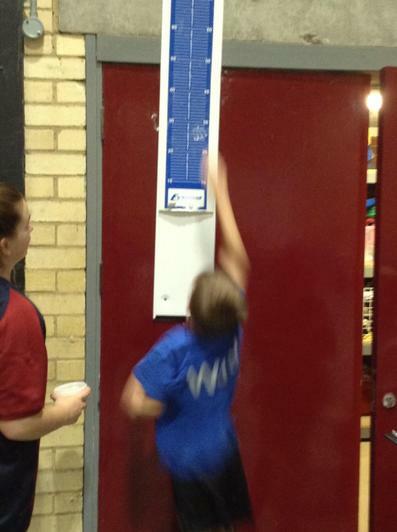 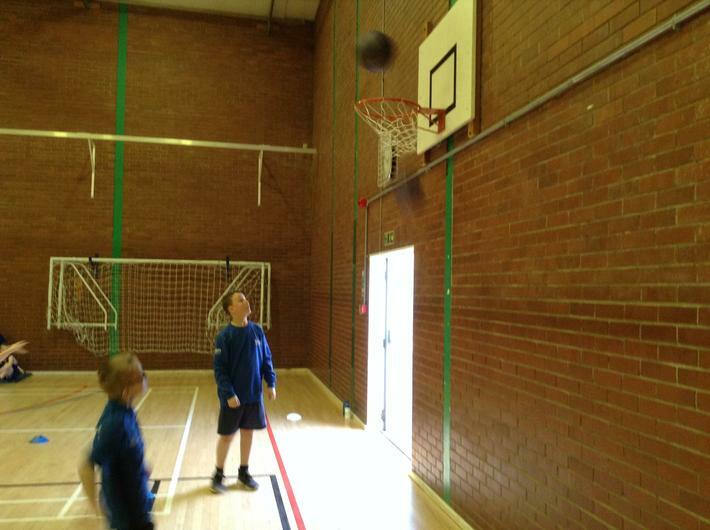 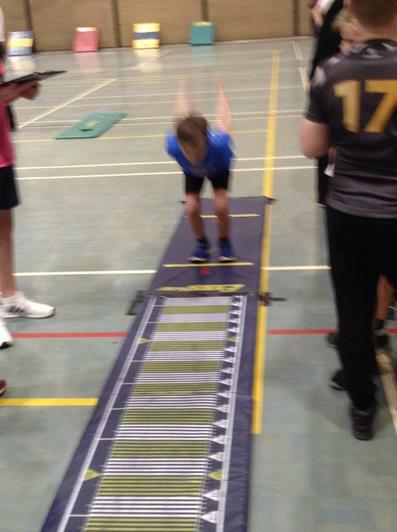 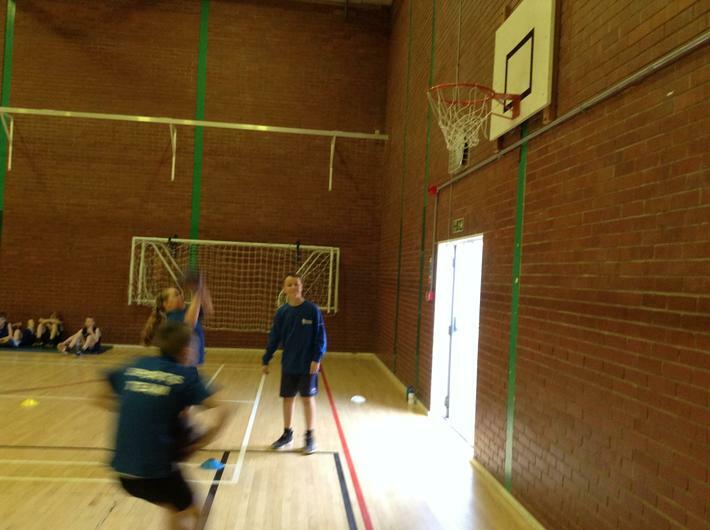 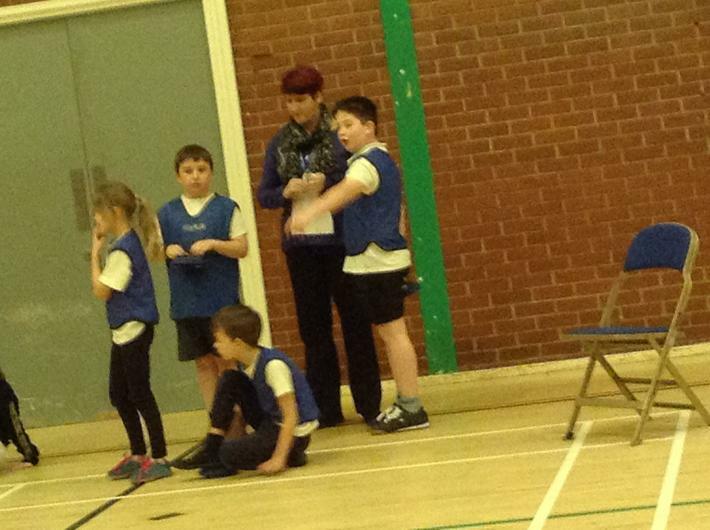 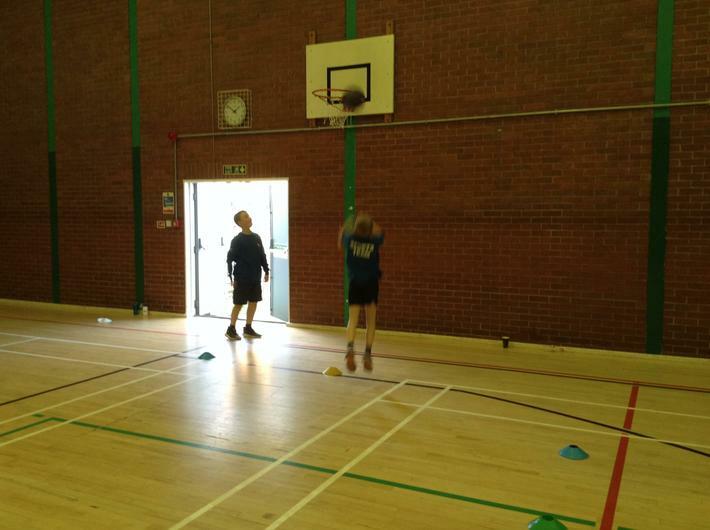 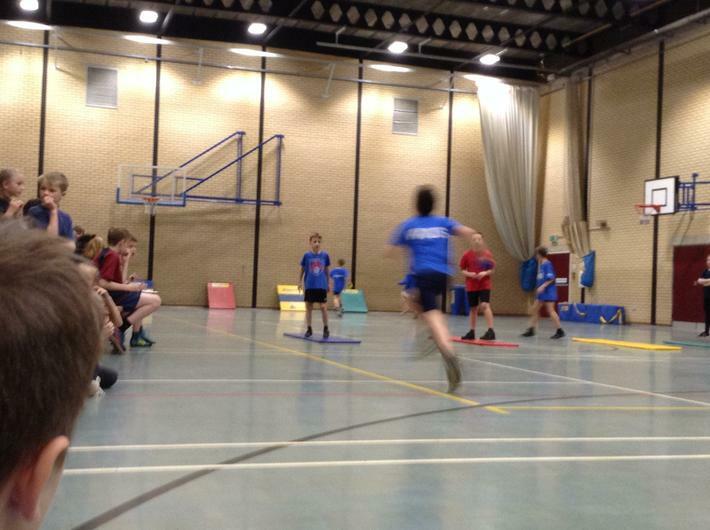 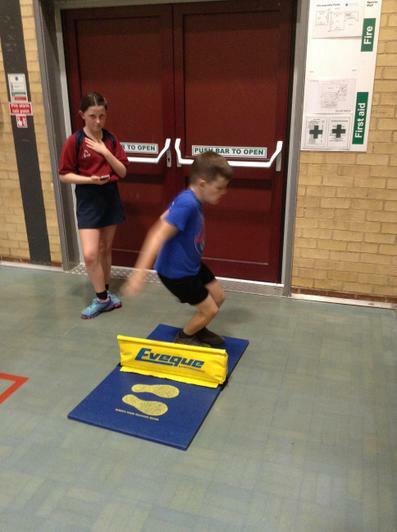 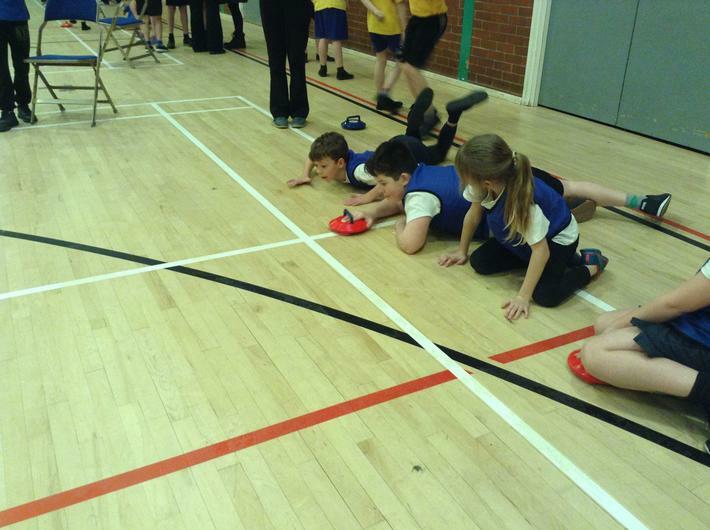 The standard of competition was high and it was very challenging, but the children were determined and passionate! 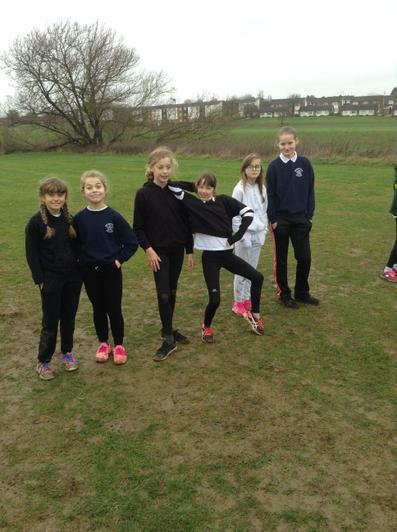 Overall, Whitefriars came 4th - it was a very enjoyable afternoon! 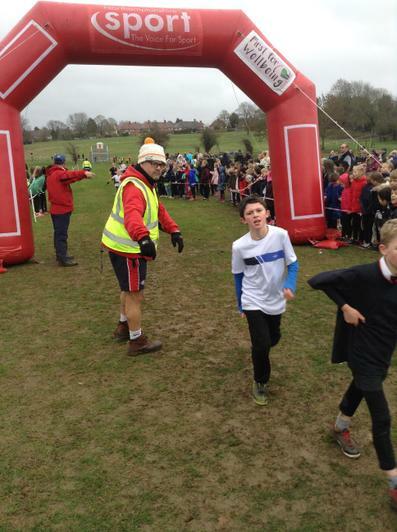 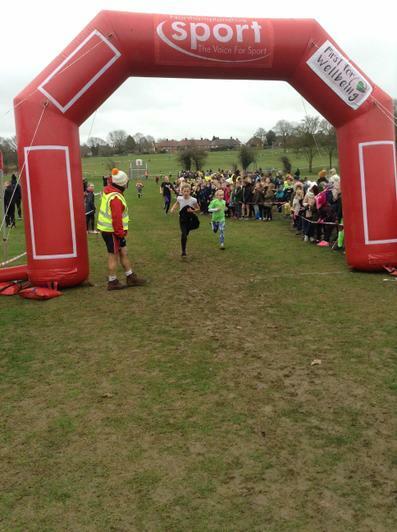 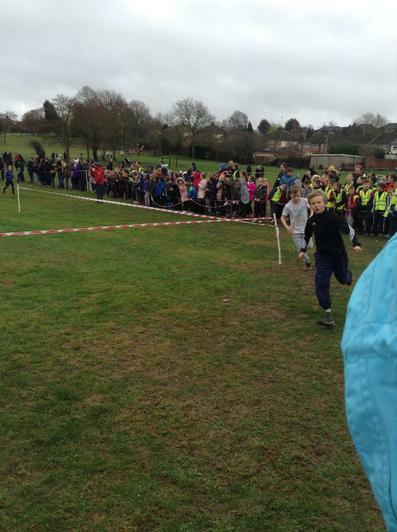 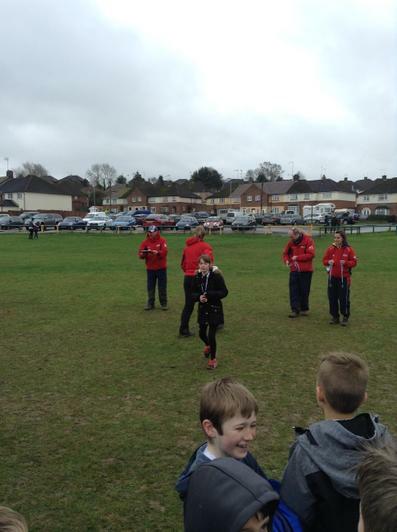 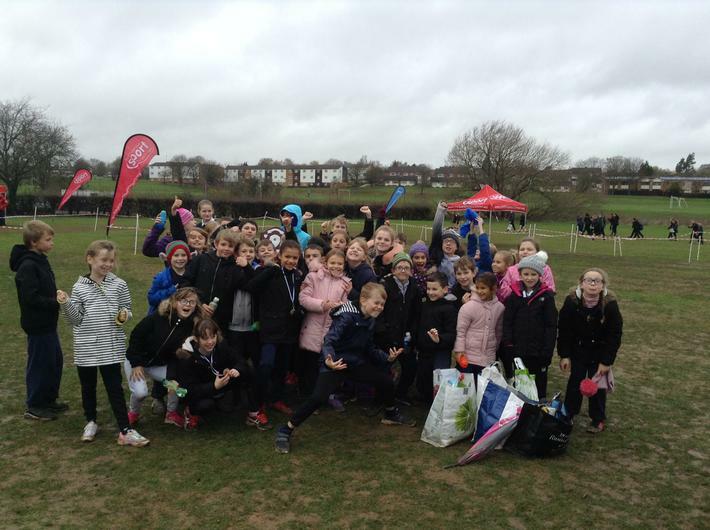 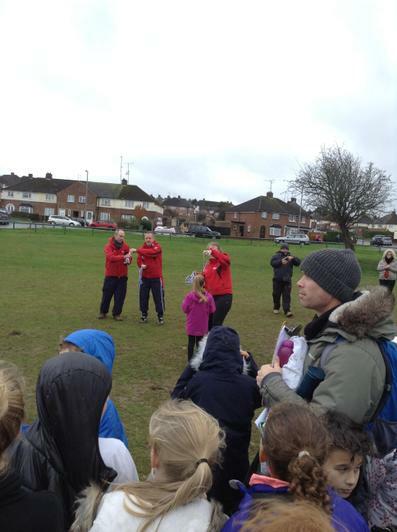 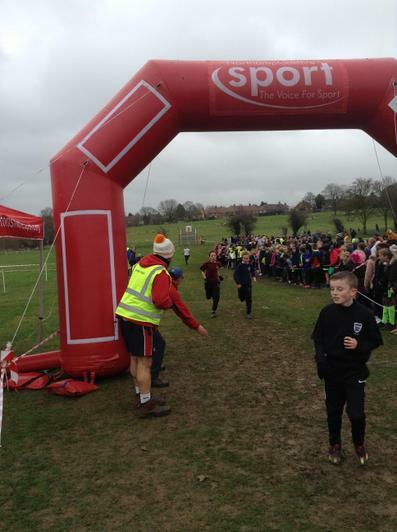 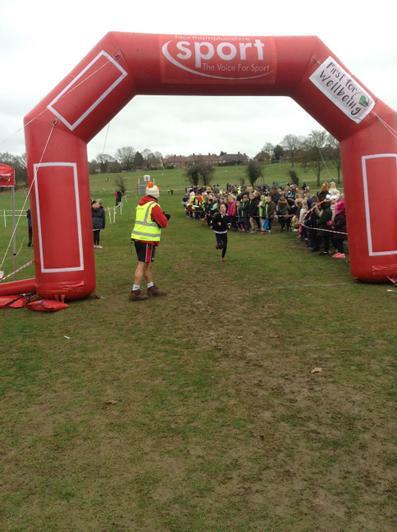 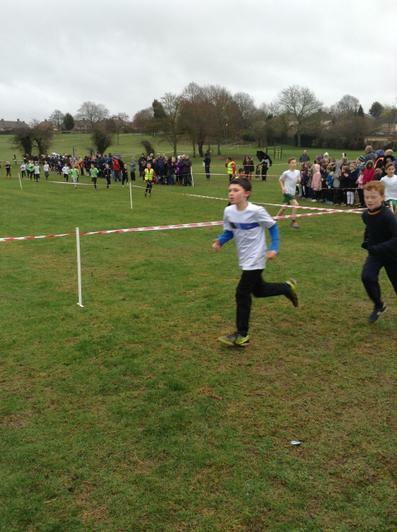 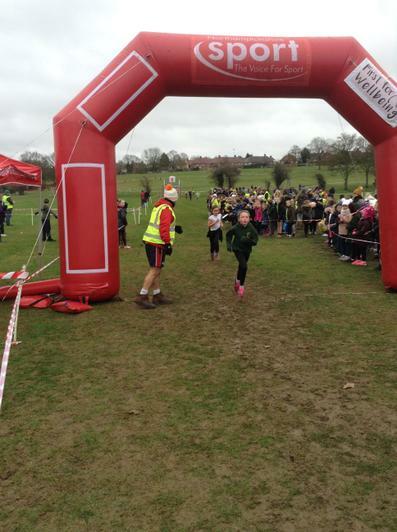 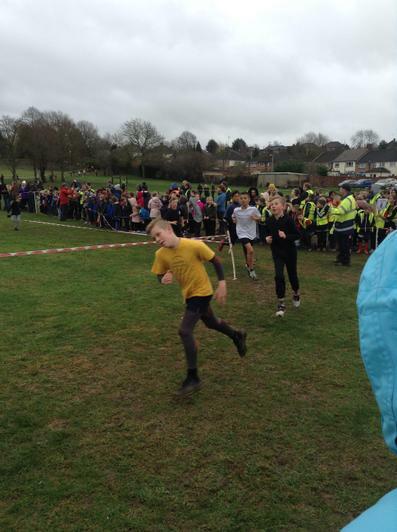 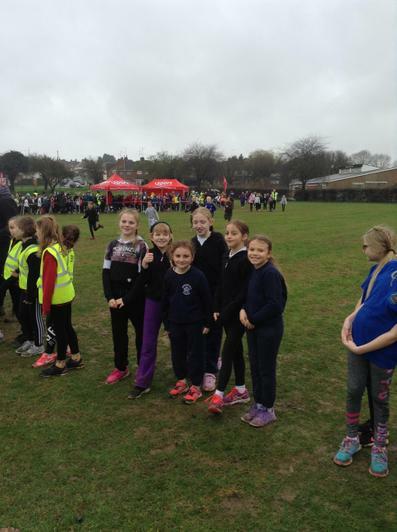 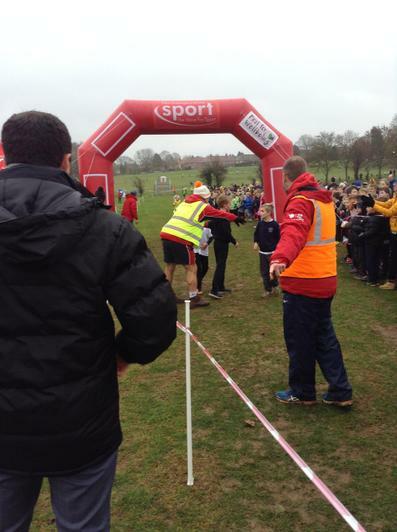 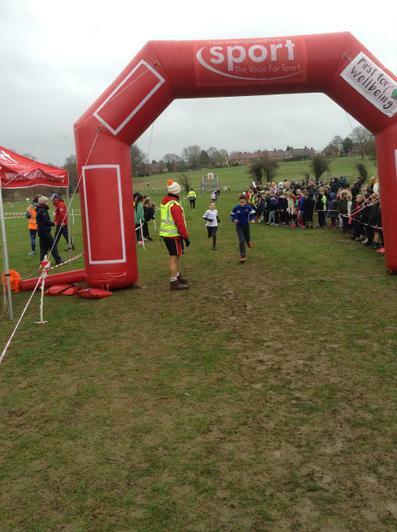 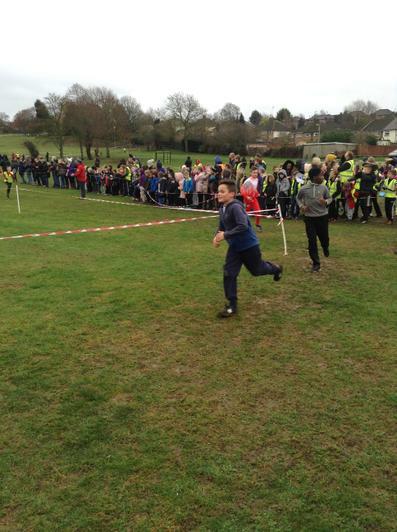 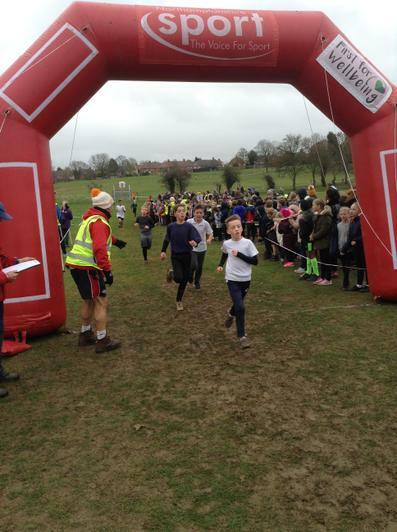 Well it was a wet, windy, muddy day for this event! 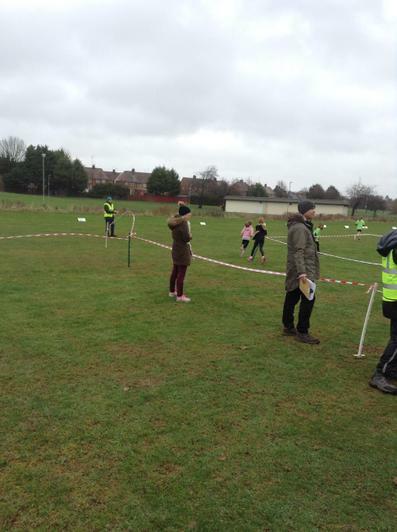 But not one of the 44 children we took to Croyland Park complained! 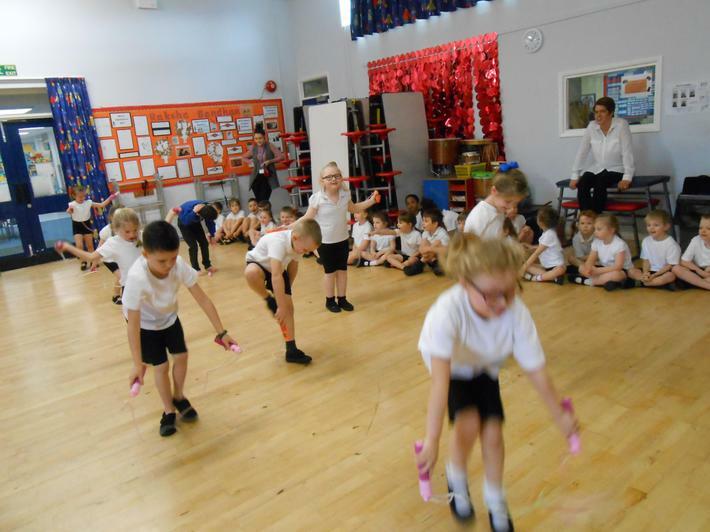 All the children tried their very best! 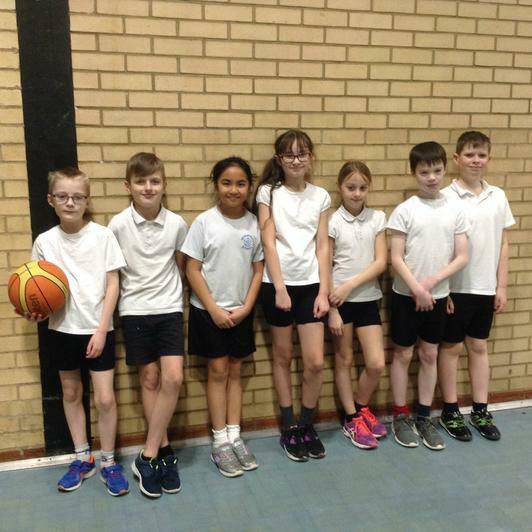 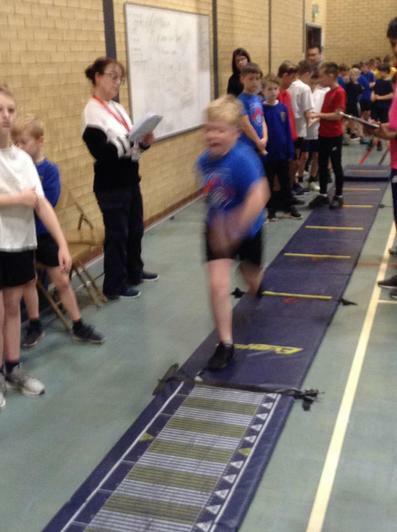 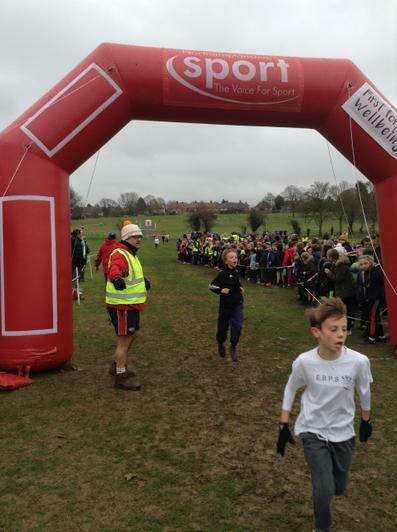 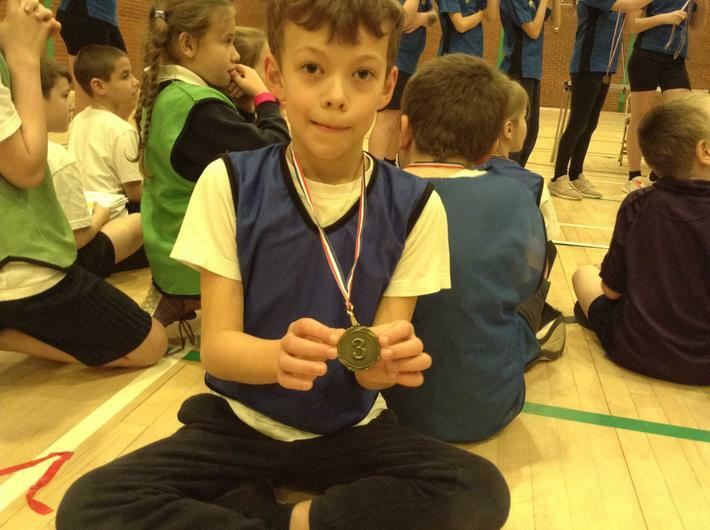 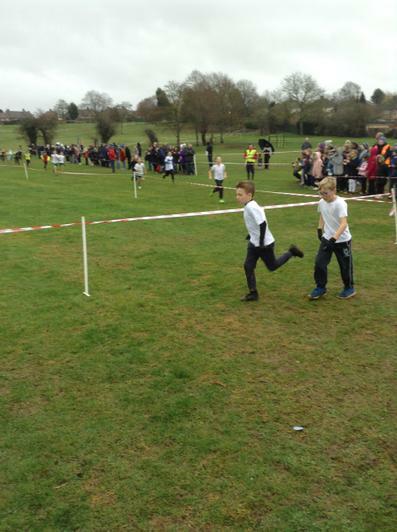 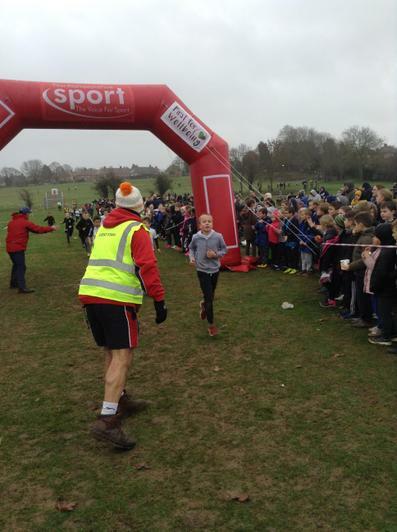 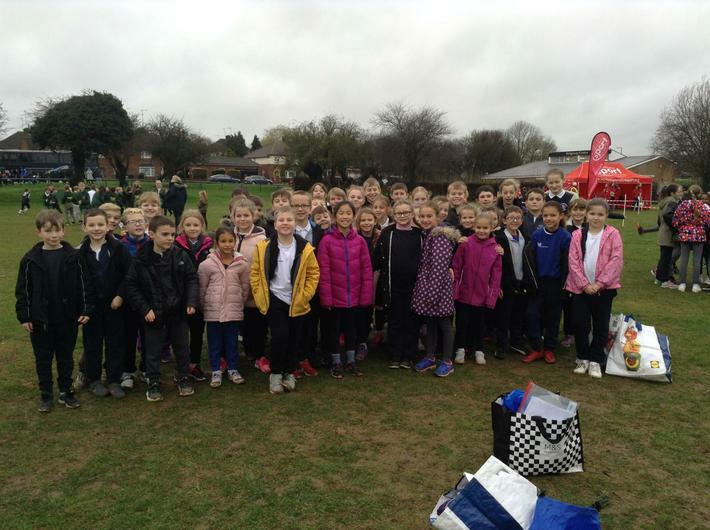 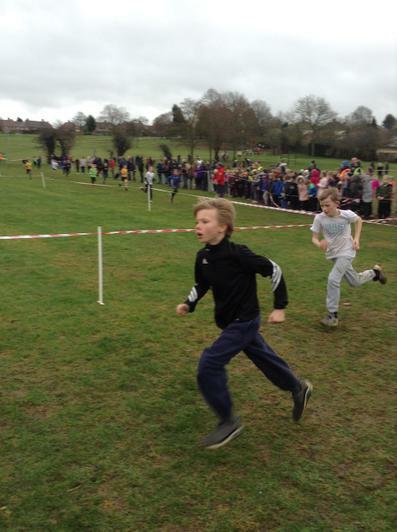 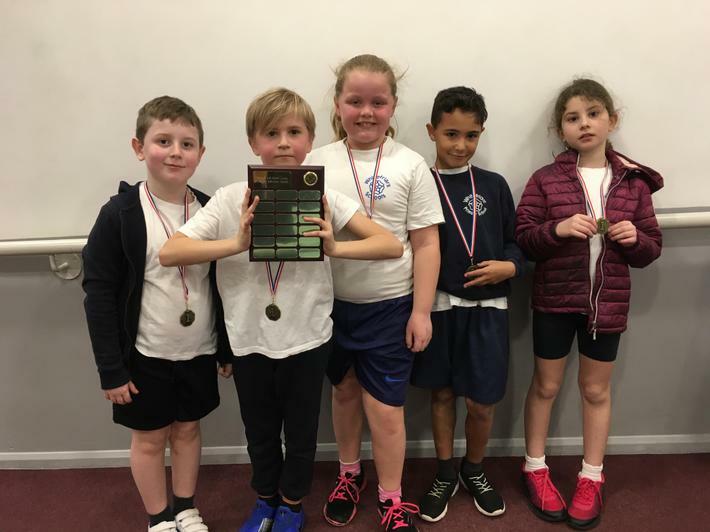 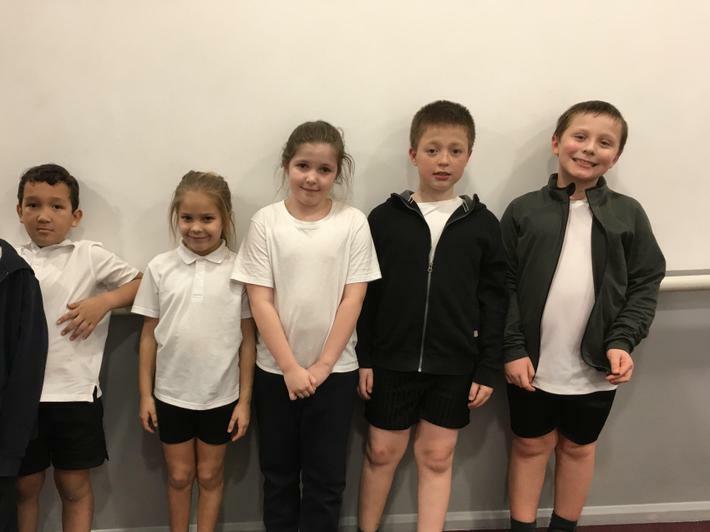 Some children did extremely well with Taylor Johnston in Year 3 coming 1st, Imogen Atkinson coming 3rd and Bradley White coming 3rd in their age group; Austin Martin came 1st and Luke Carter came 2nd for the Year 4 boys event. 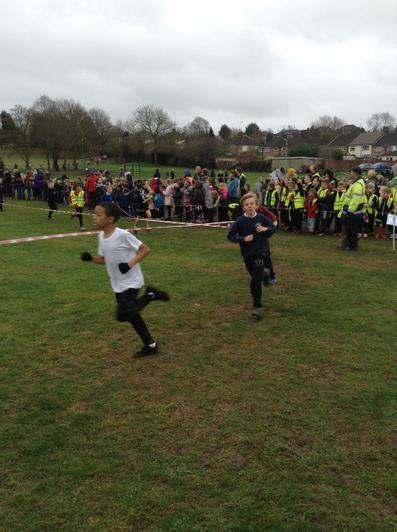 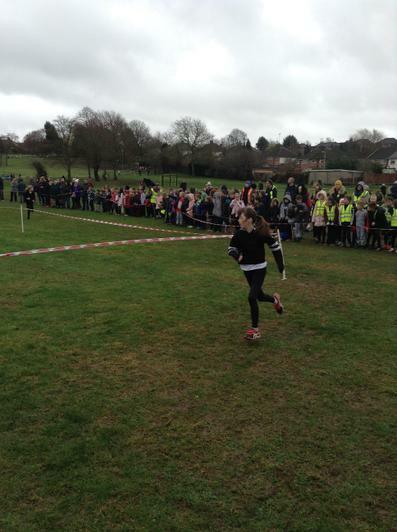 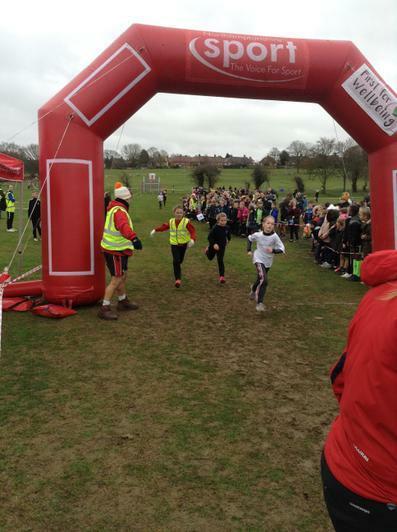 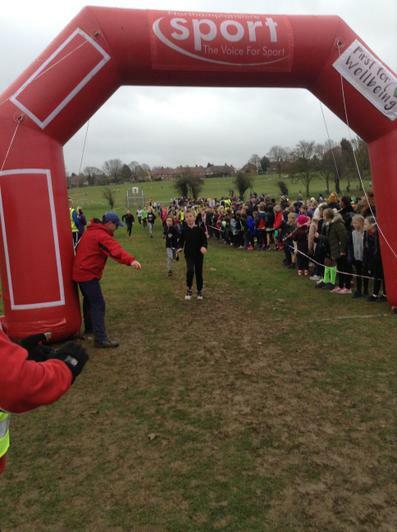 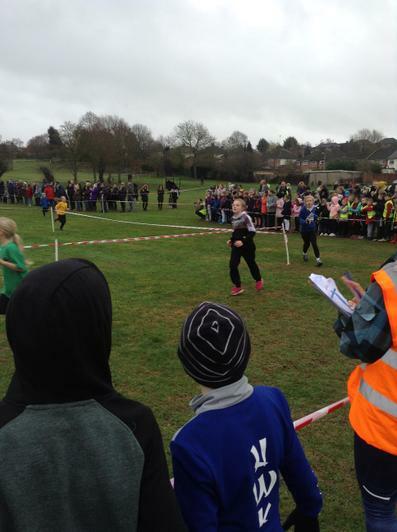 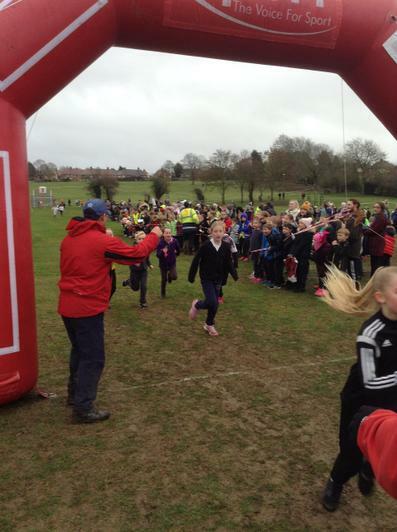 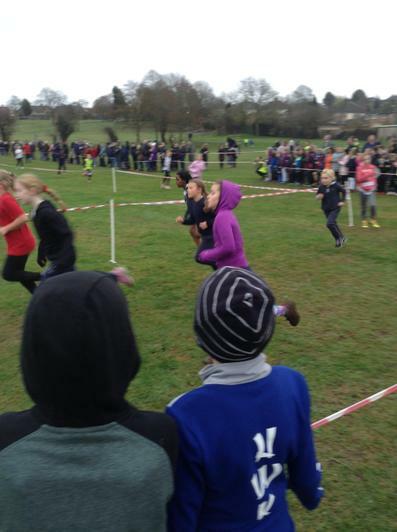 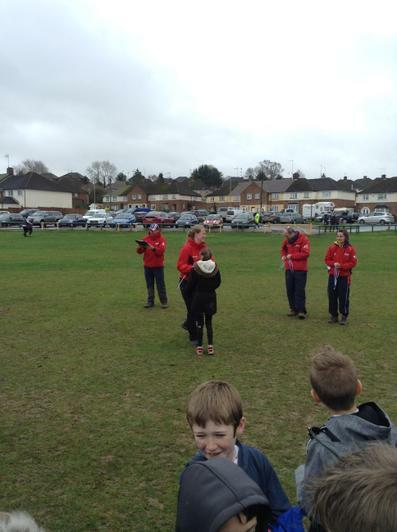 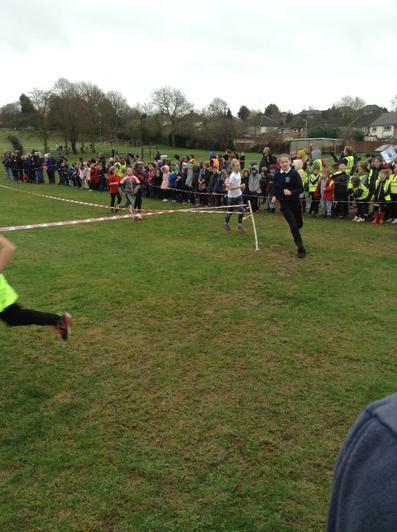 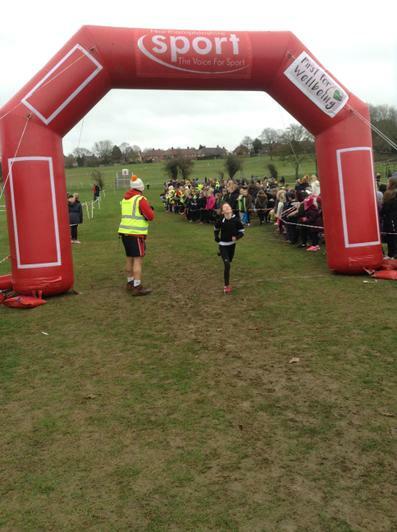 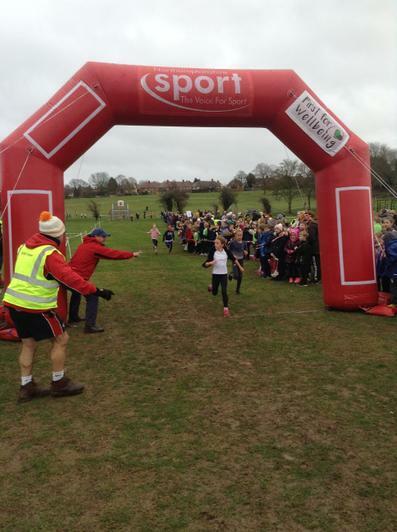 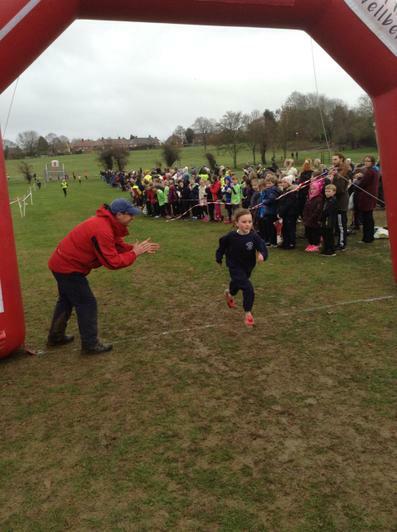 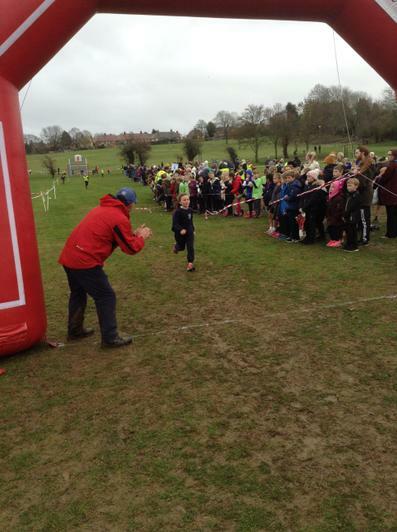 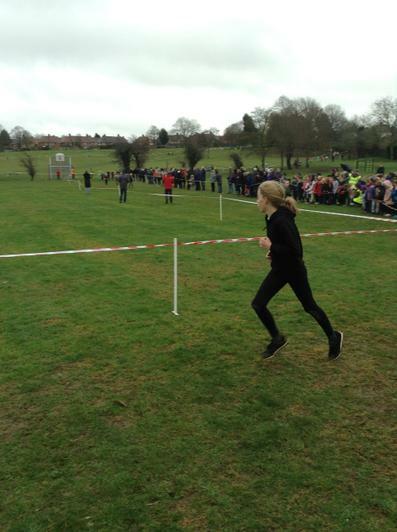 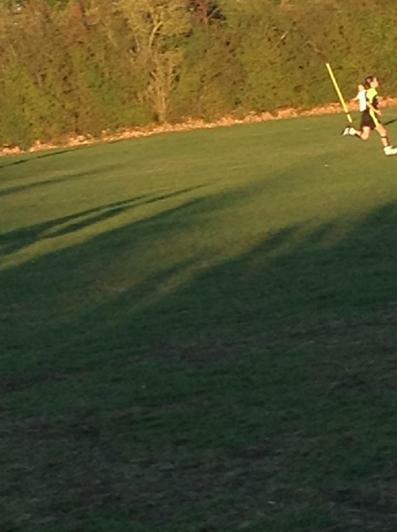 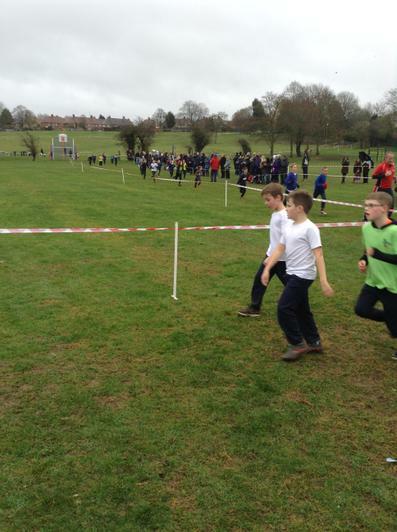 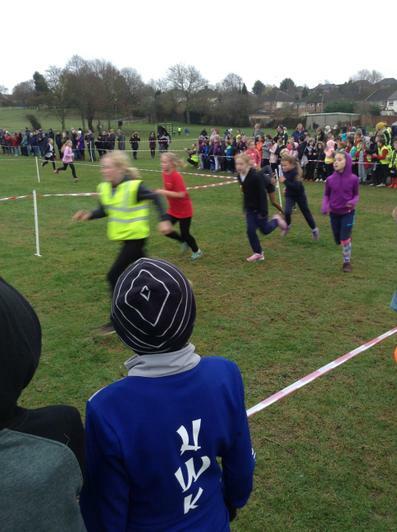 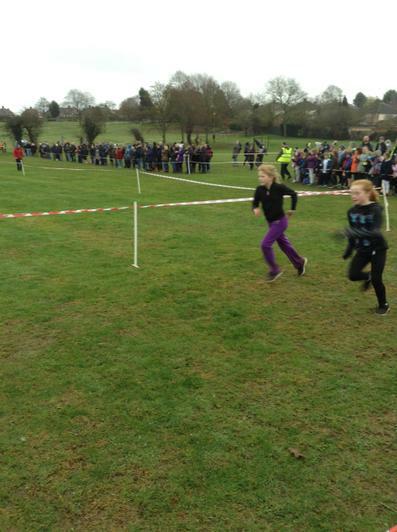 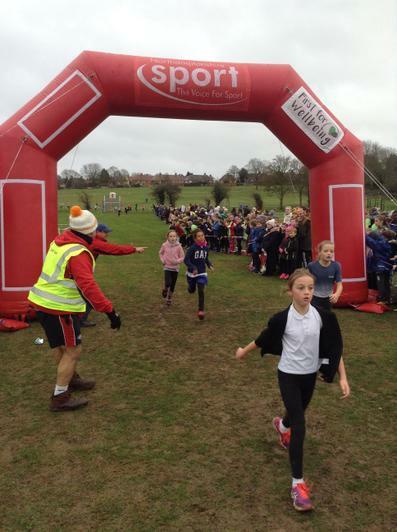 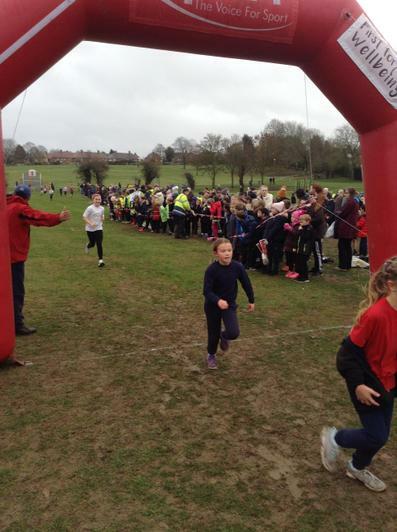 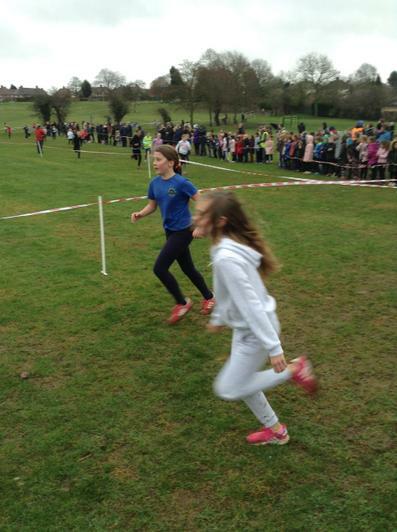 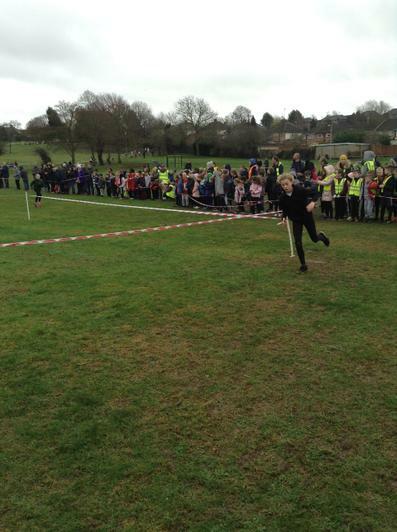 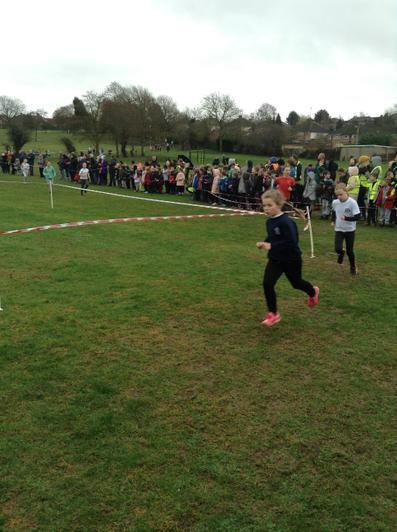 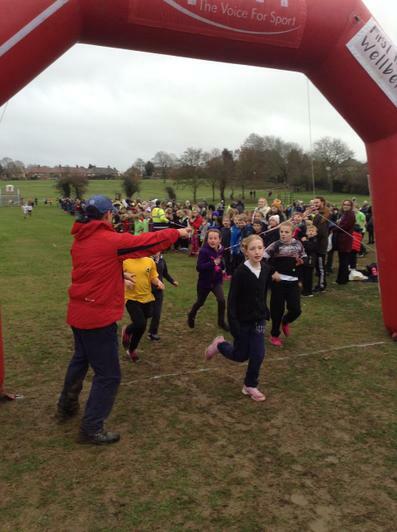 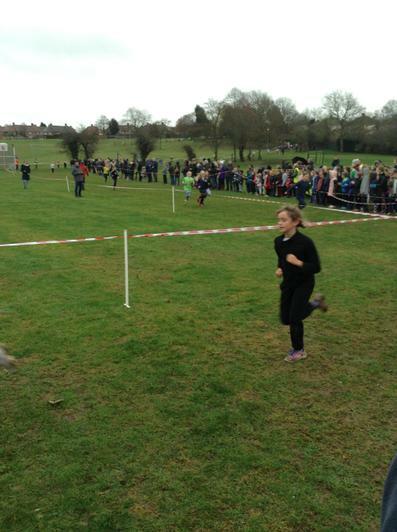 Chloe Pow came 3rd for the Year 6 girls and Lizzie Pow and Zak White made it through to the County Cross Country! 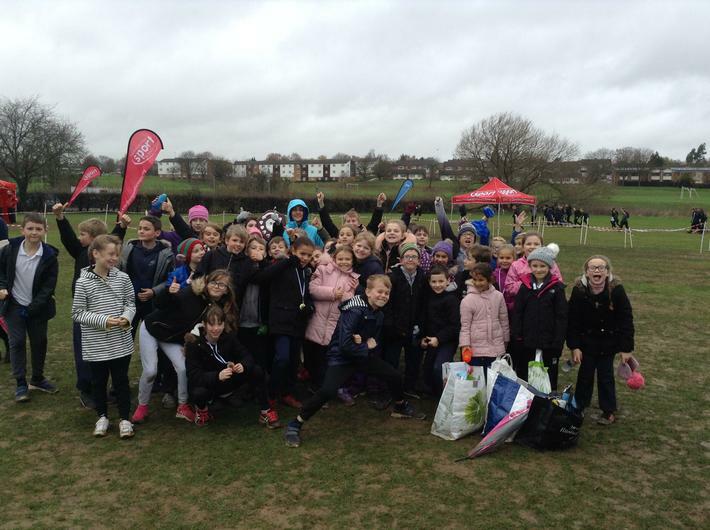 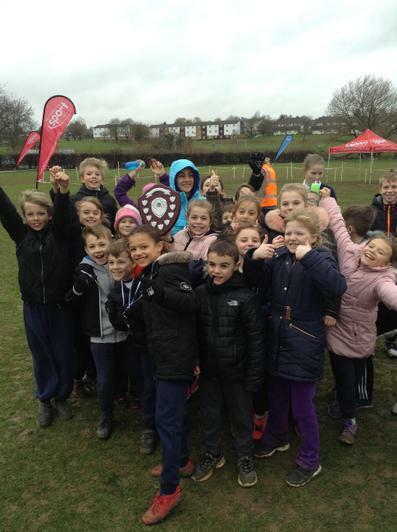 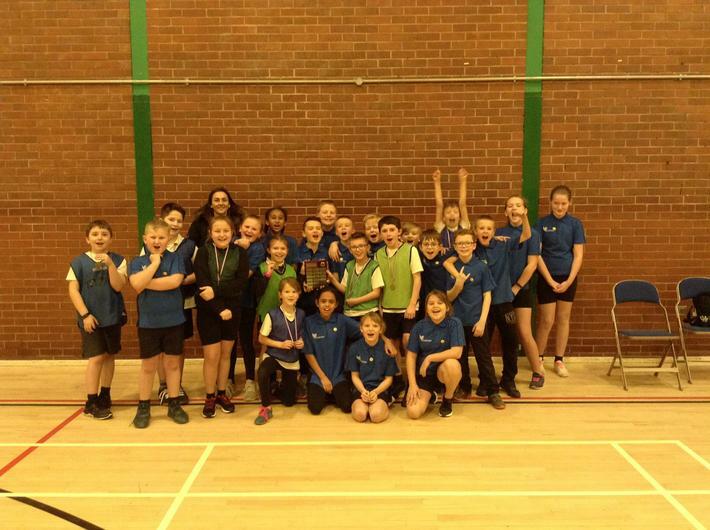 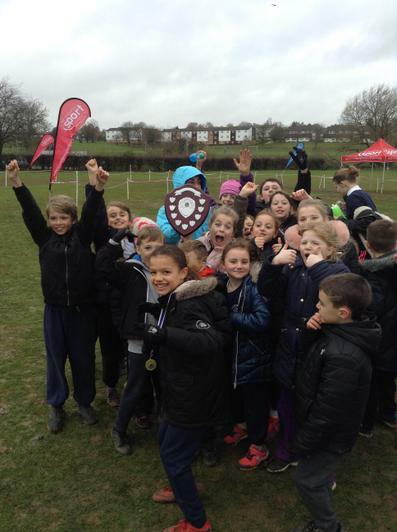 There were 20 schools altogether...and Whitefriars Primary came 1st overall, winning the District Championship shield!! 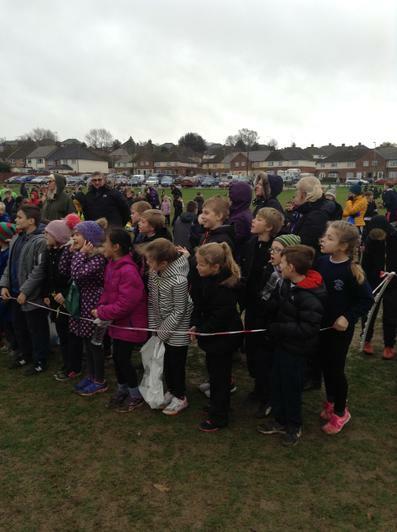 Amazing effort by all the children. 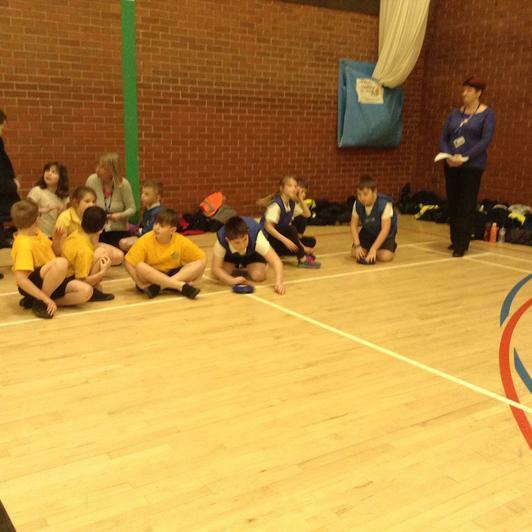 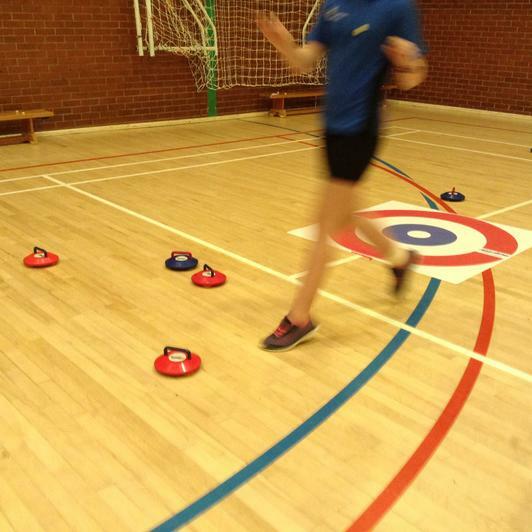 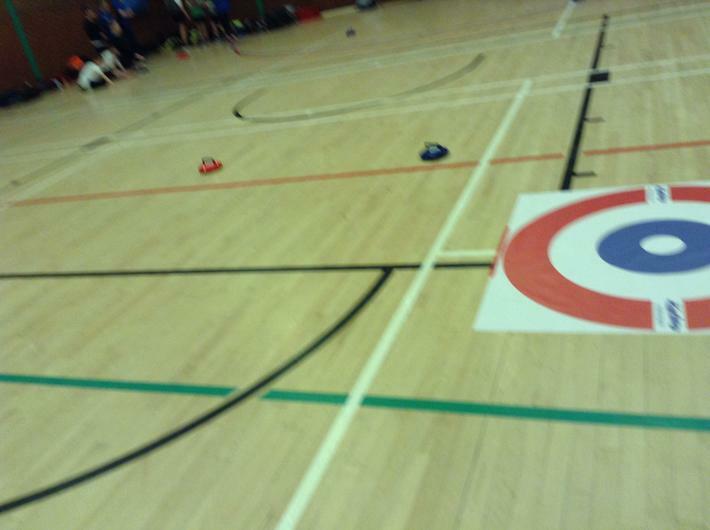 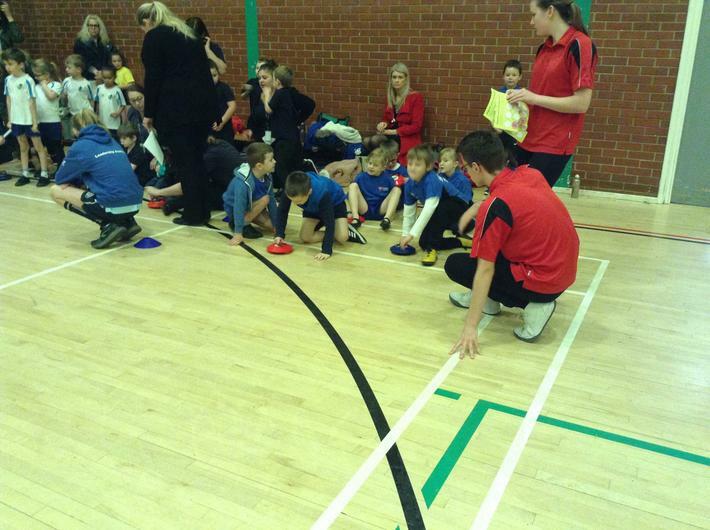 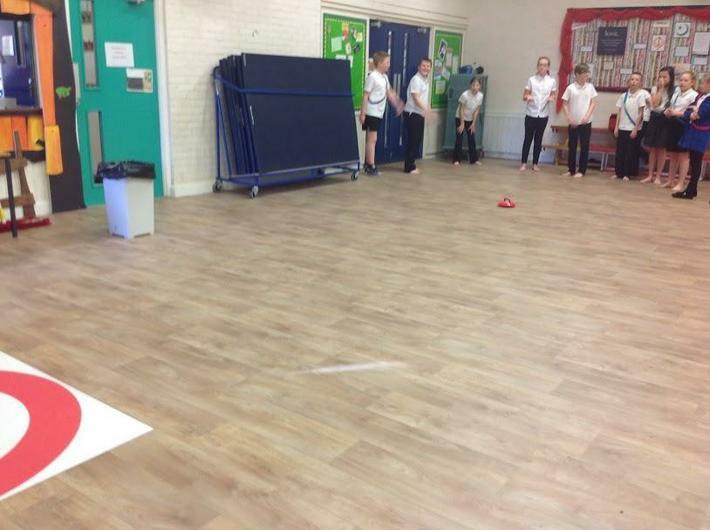 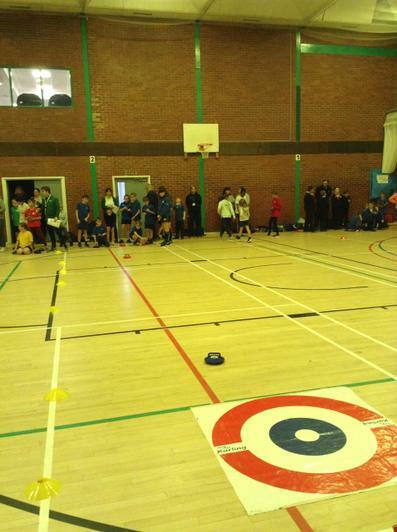 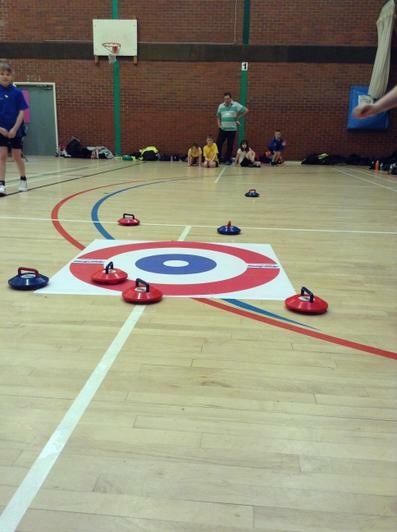 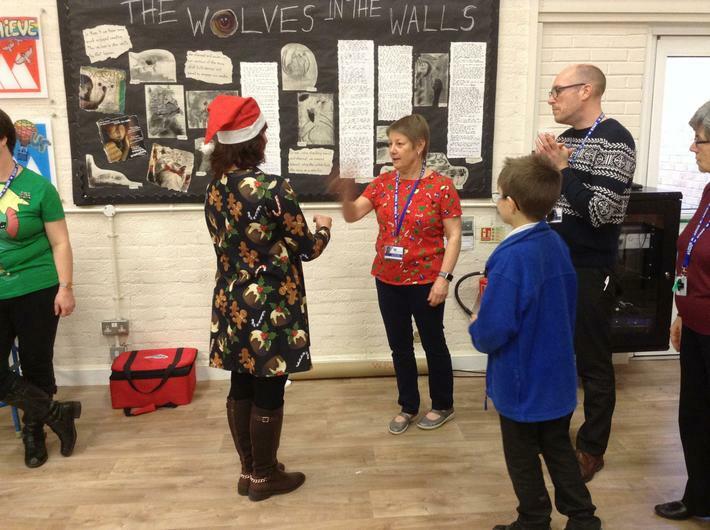 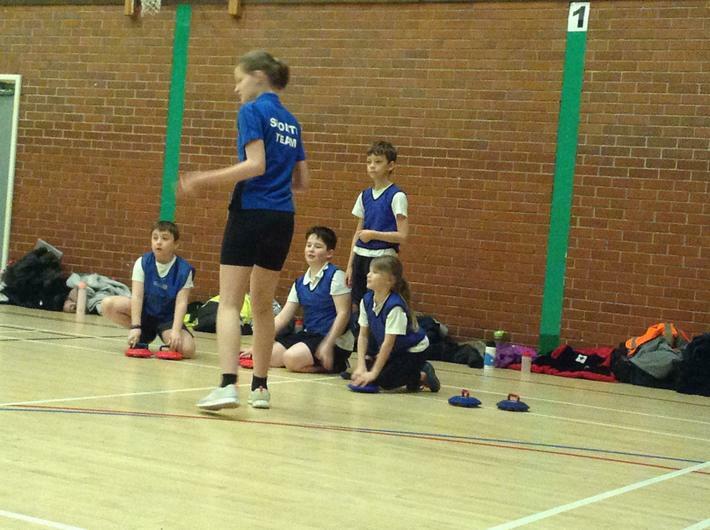 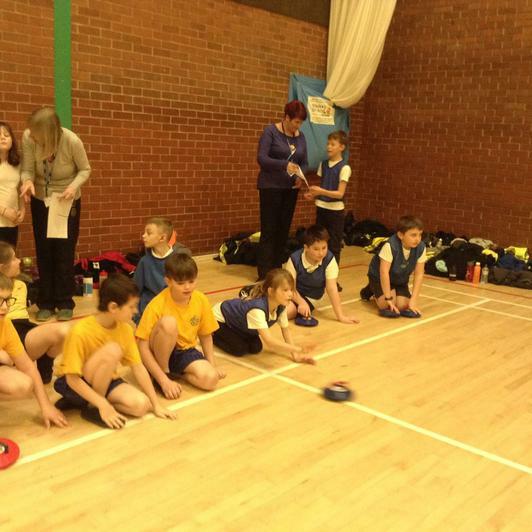 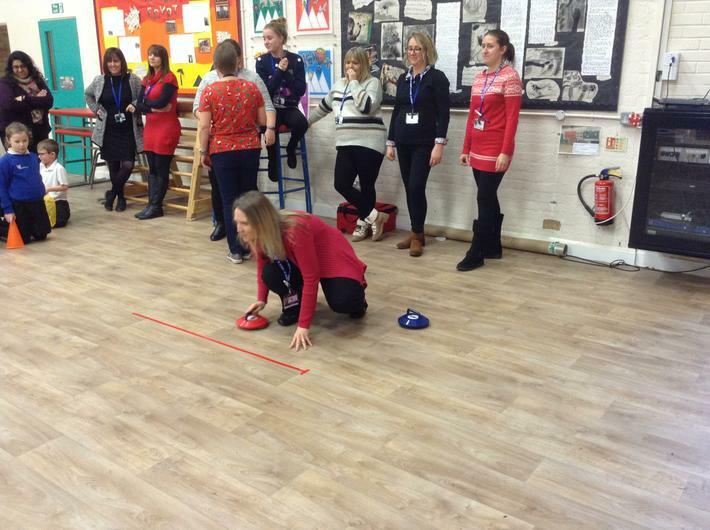 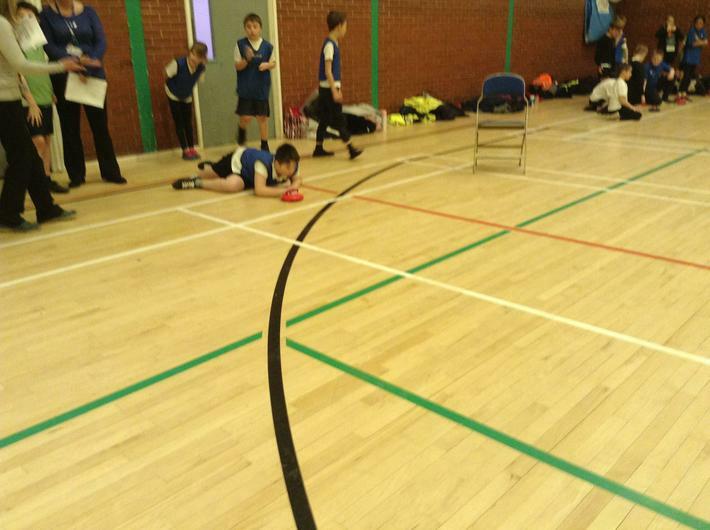 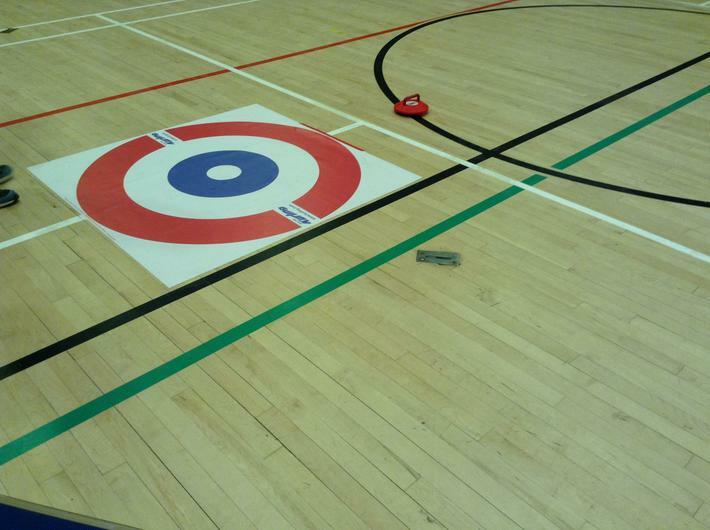 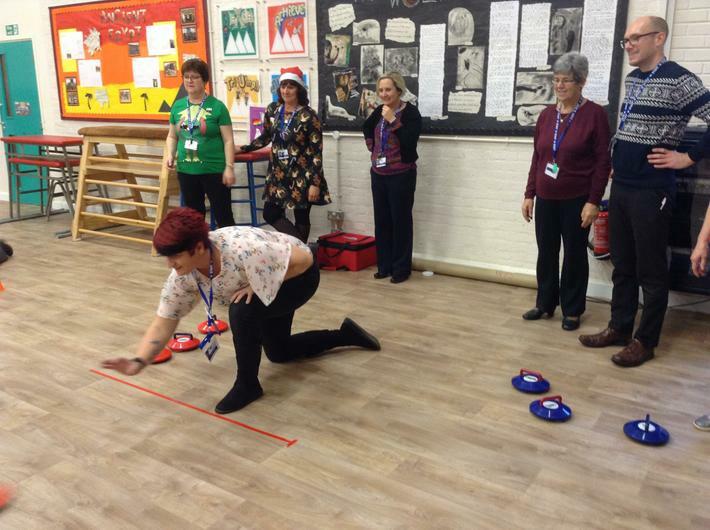 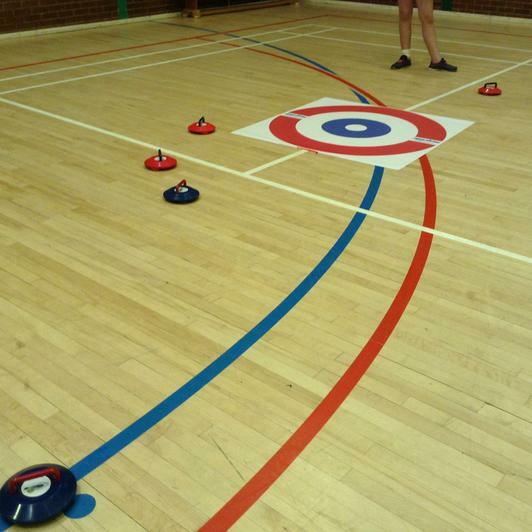 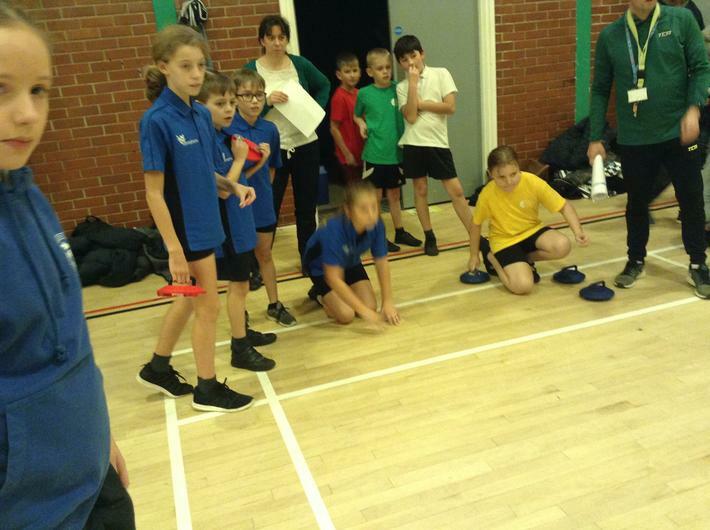 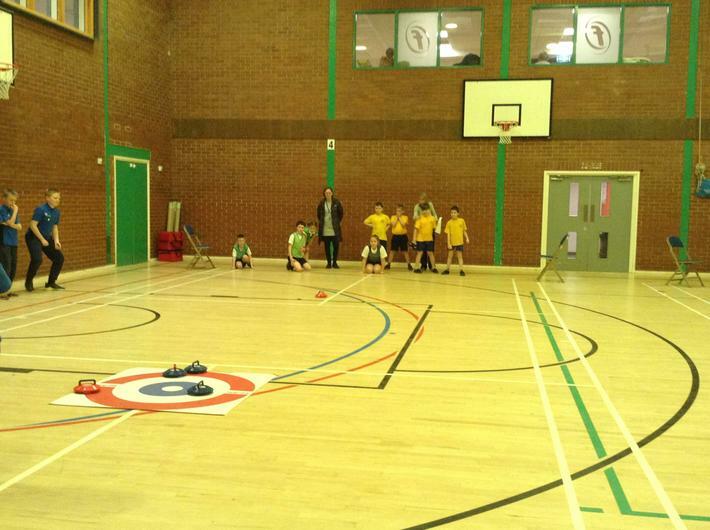 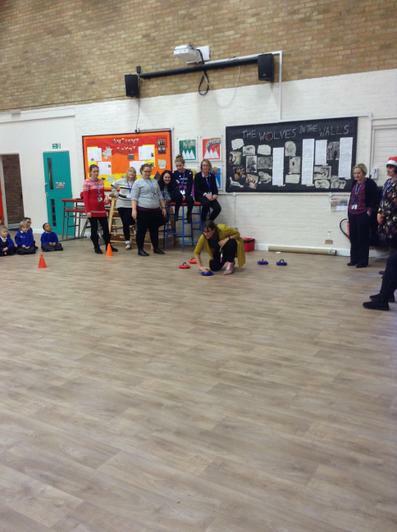 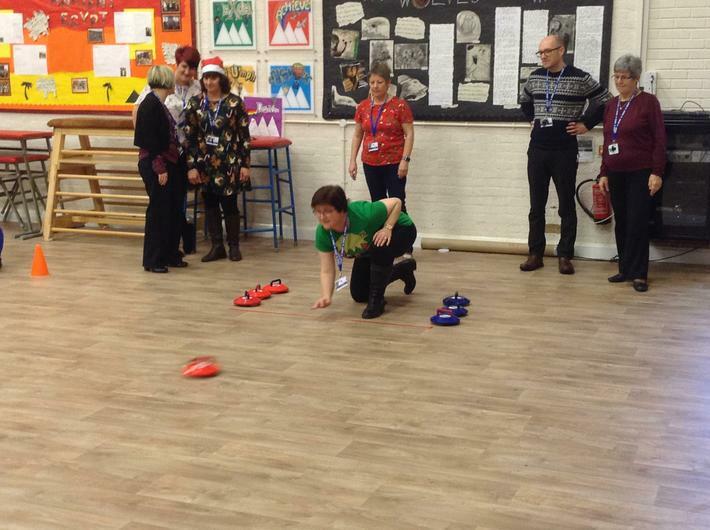 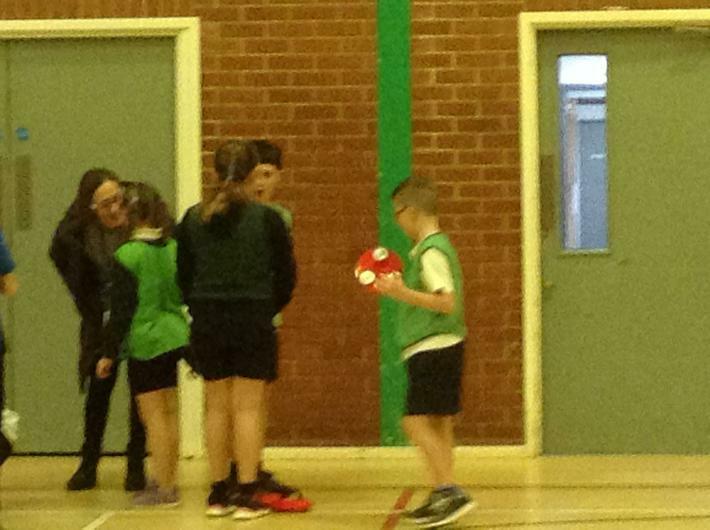 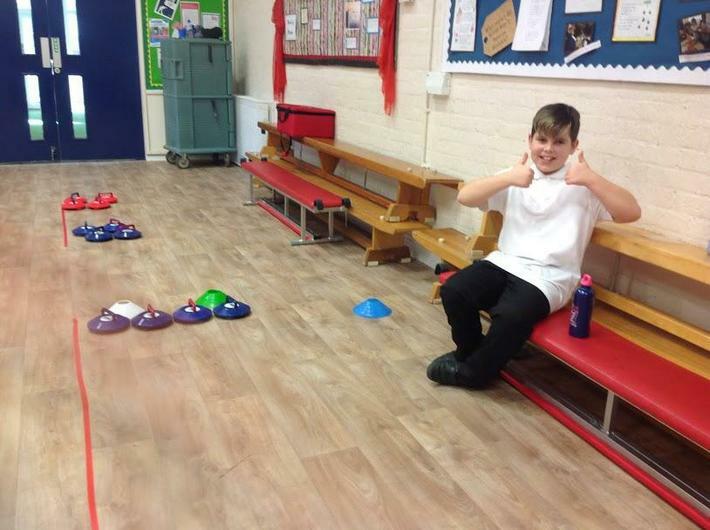 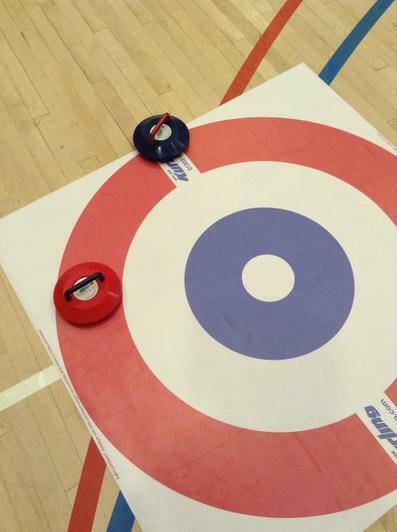 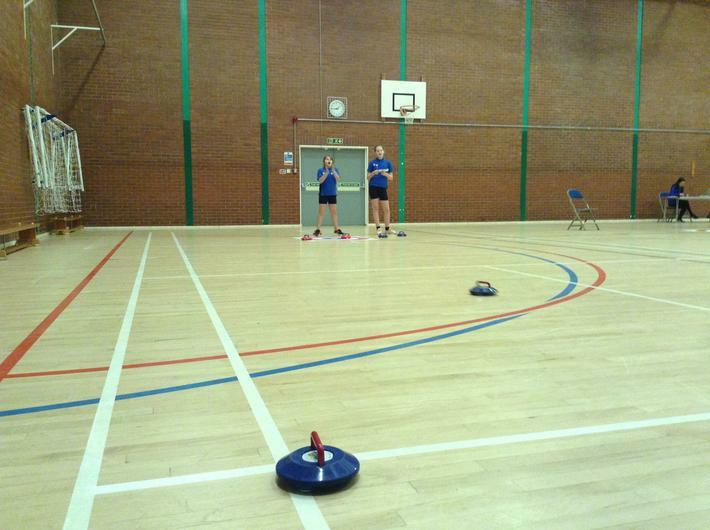 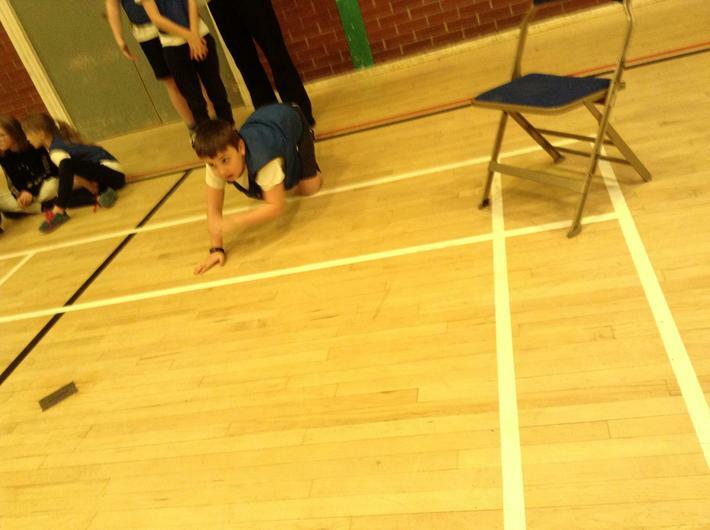 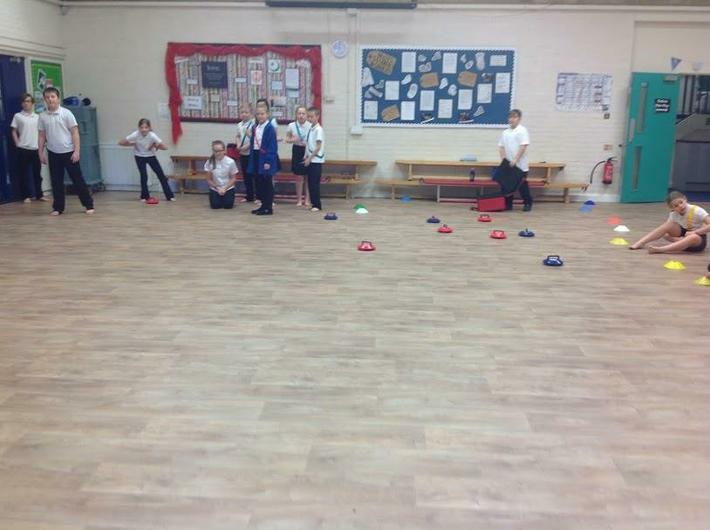 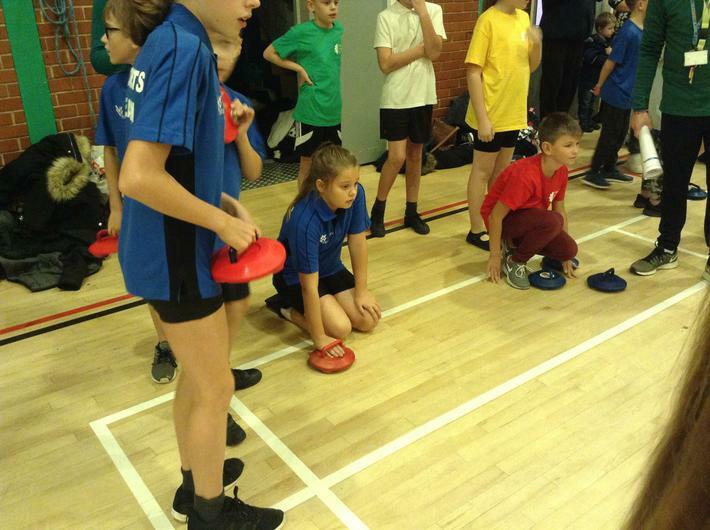 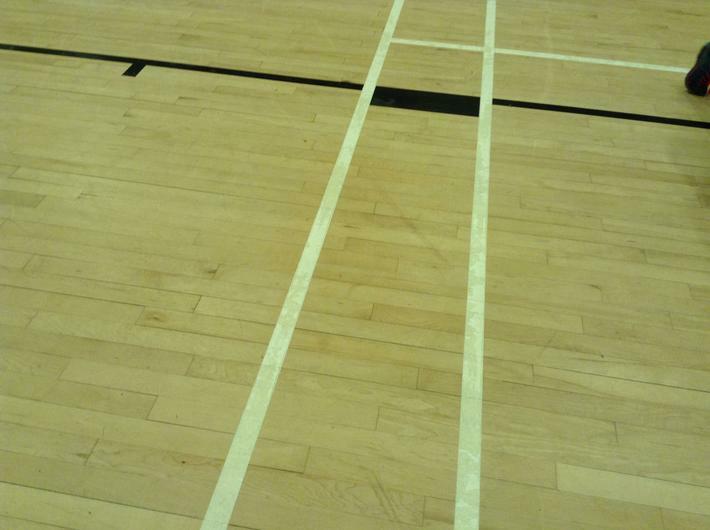 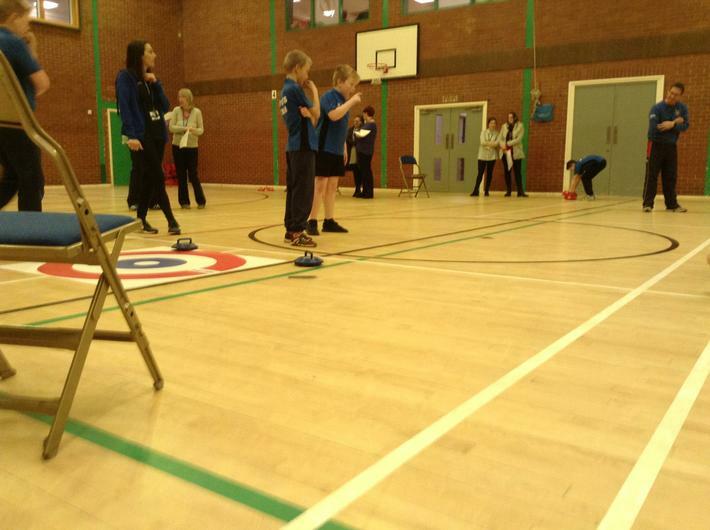 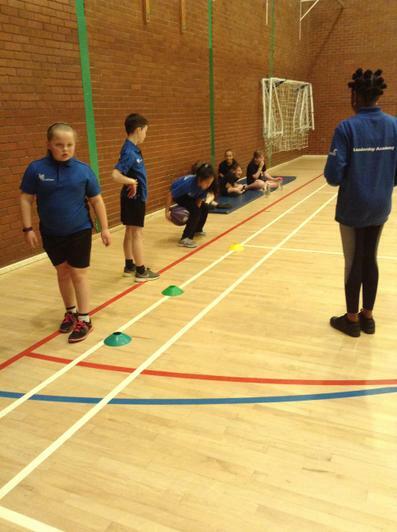 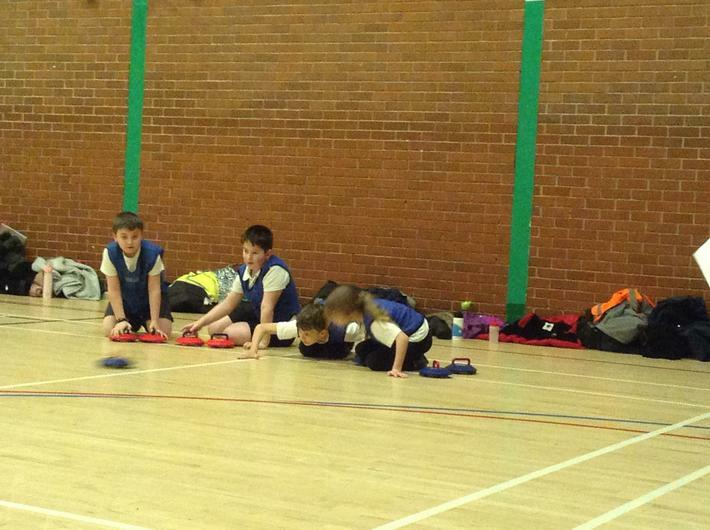 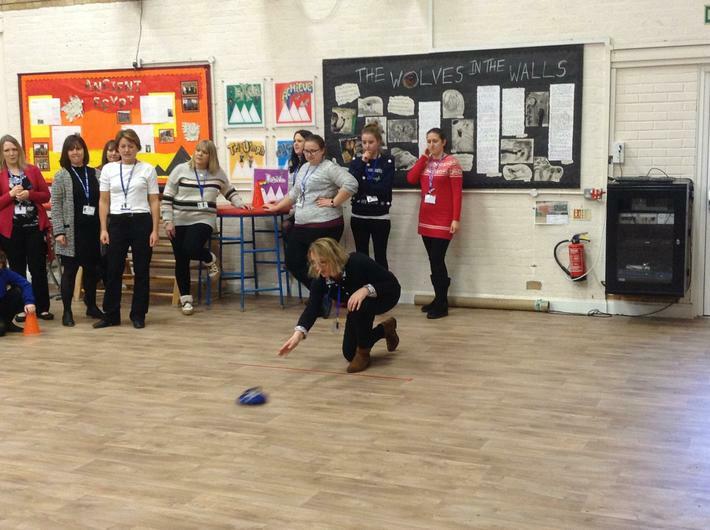 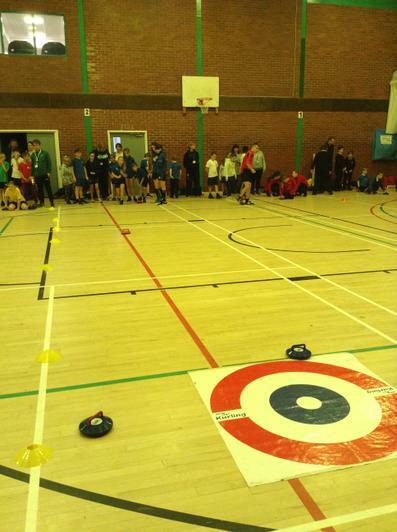 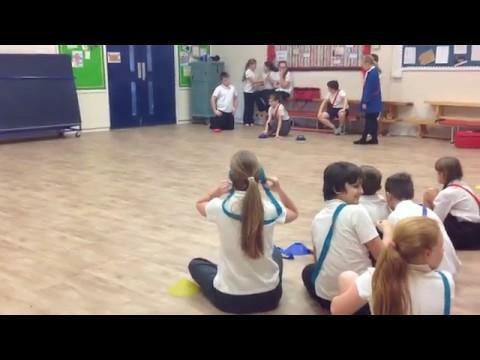 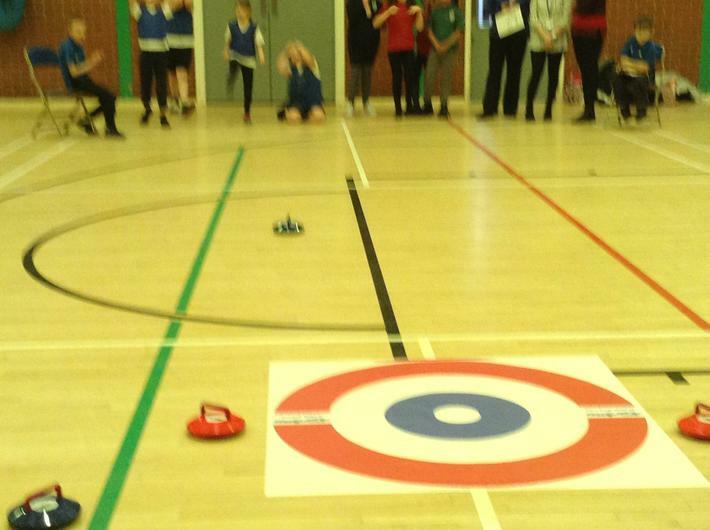 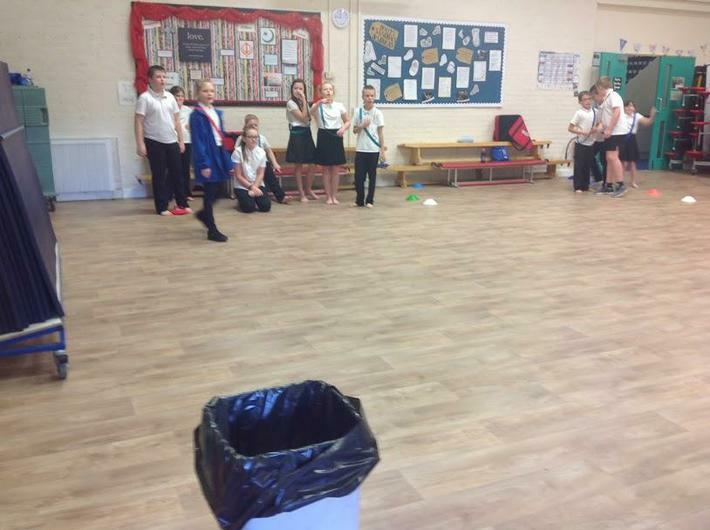 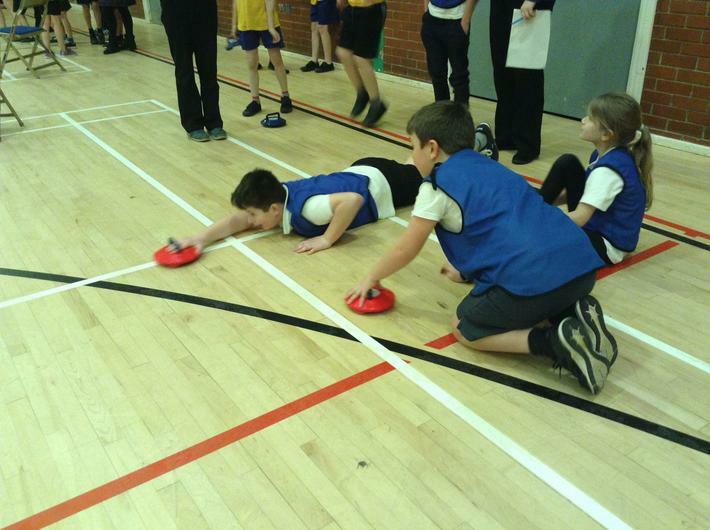 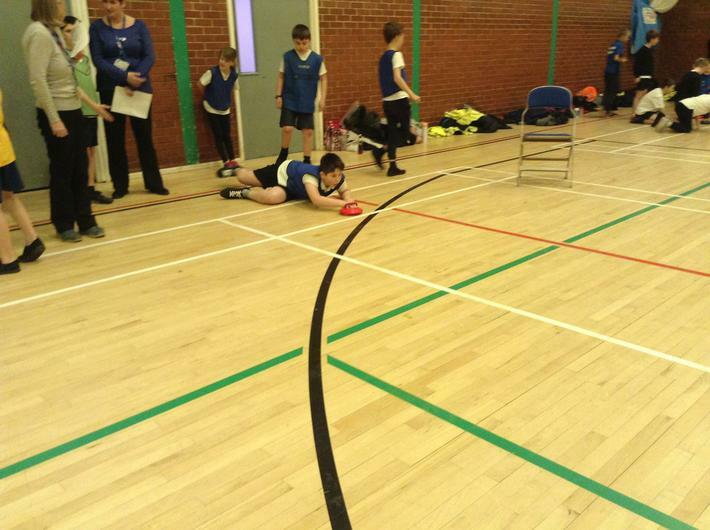 Eight children from KS1 and KS2 represented Whitefriars Primary in a New Age Kurling competition at the Pemberton Centre on Wednesday 5th December. 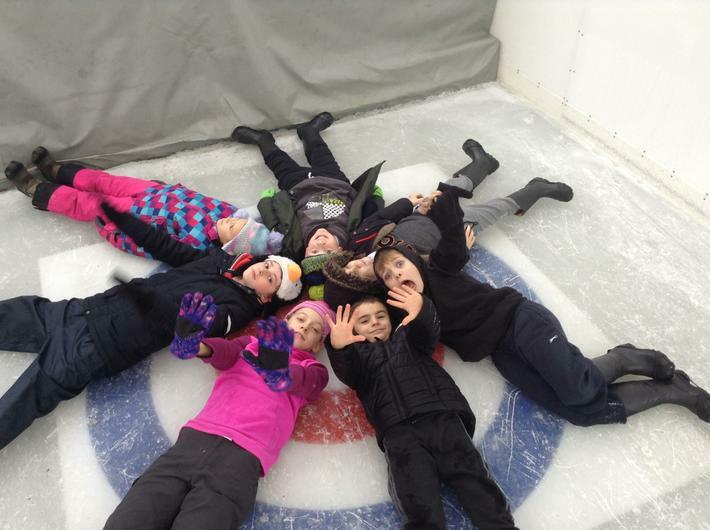 They had a very fun afternoon. 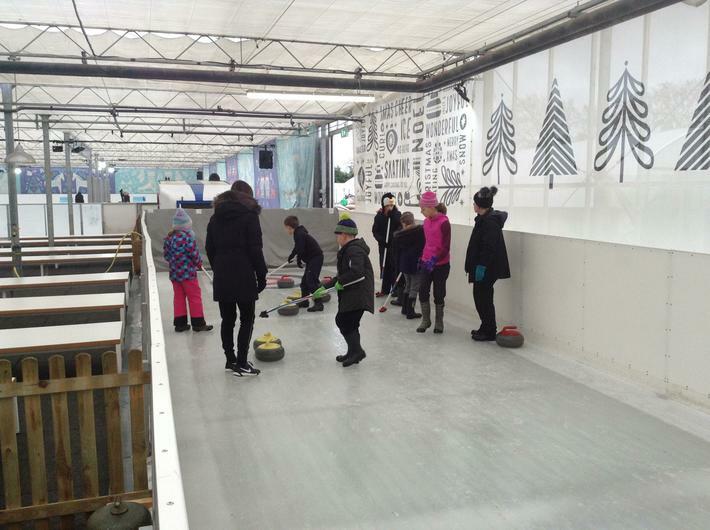 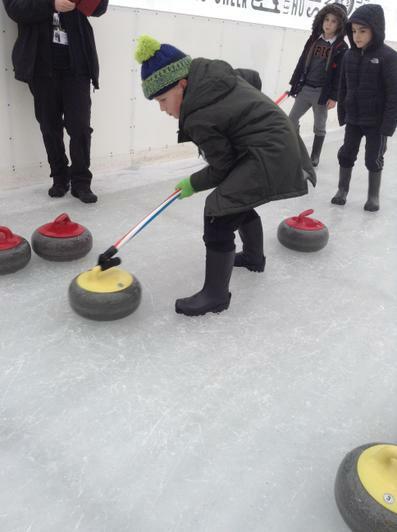 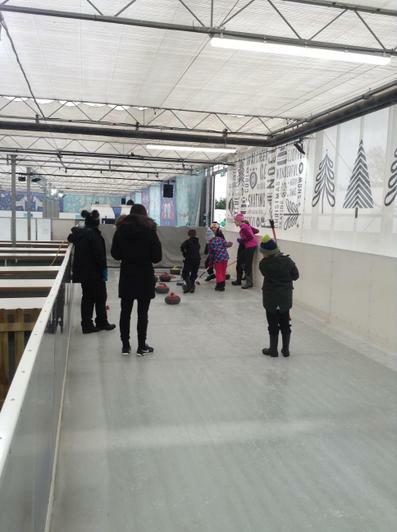 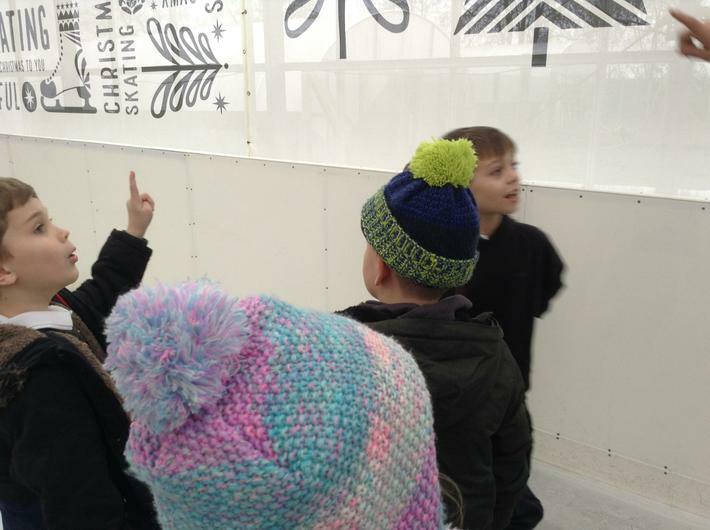 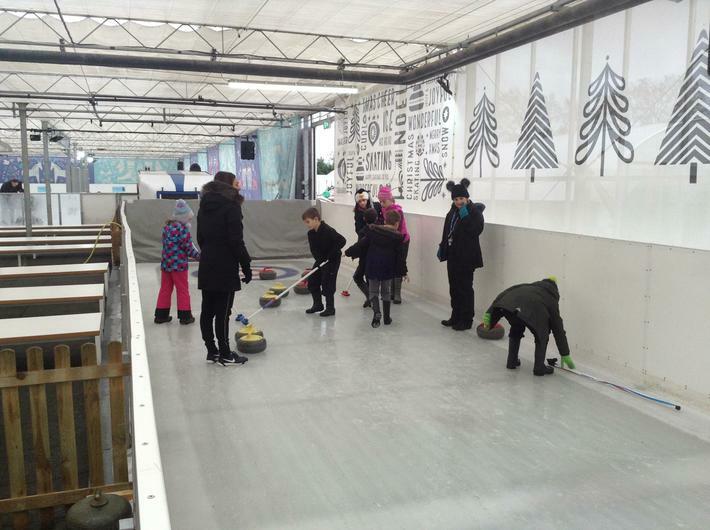 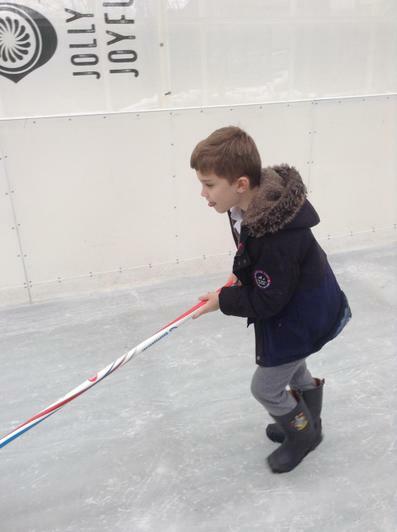 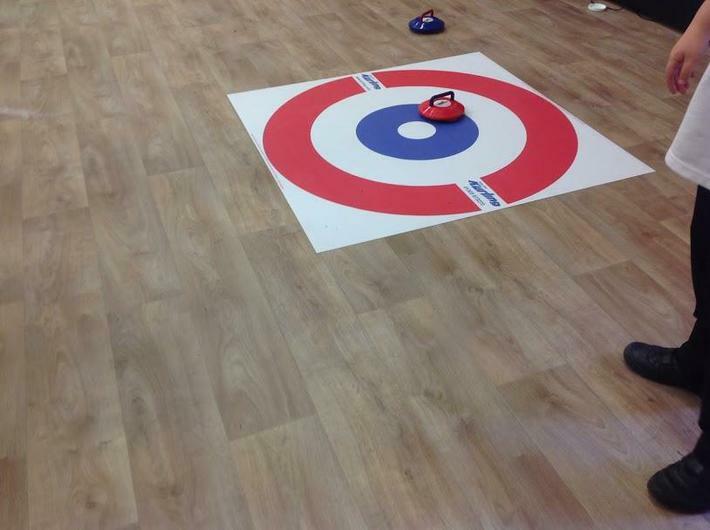 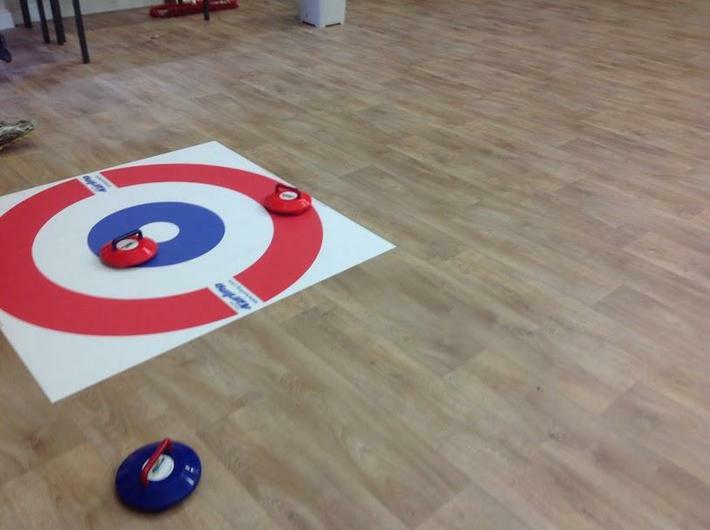 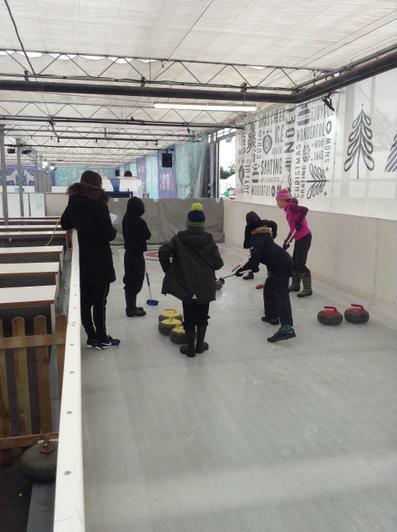 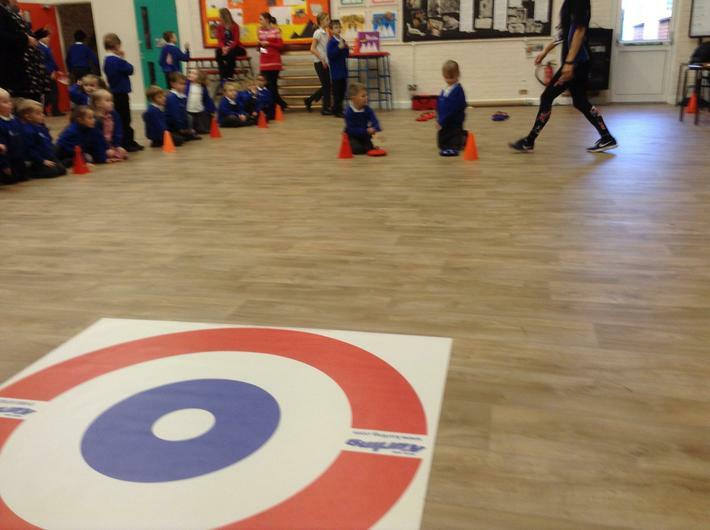 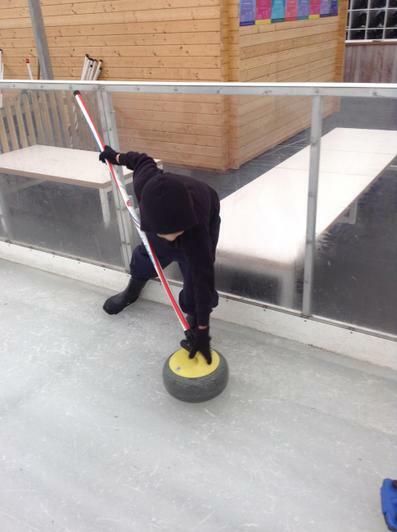 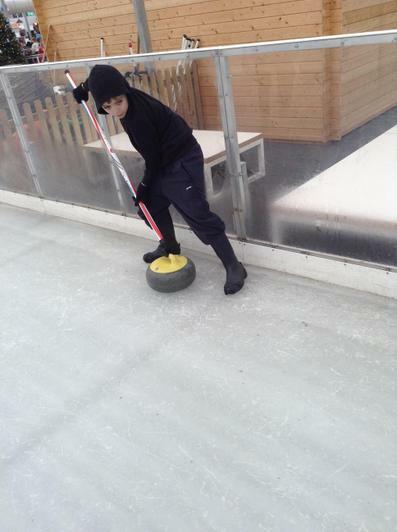 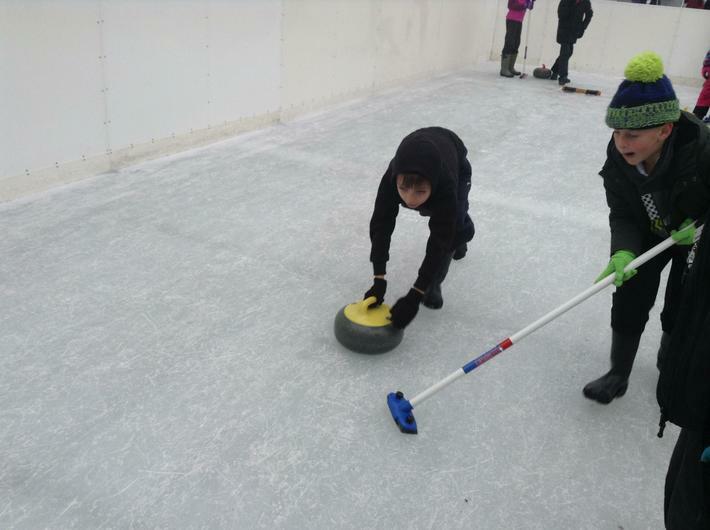 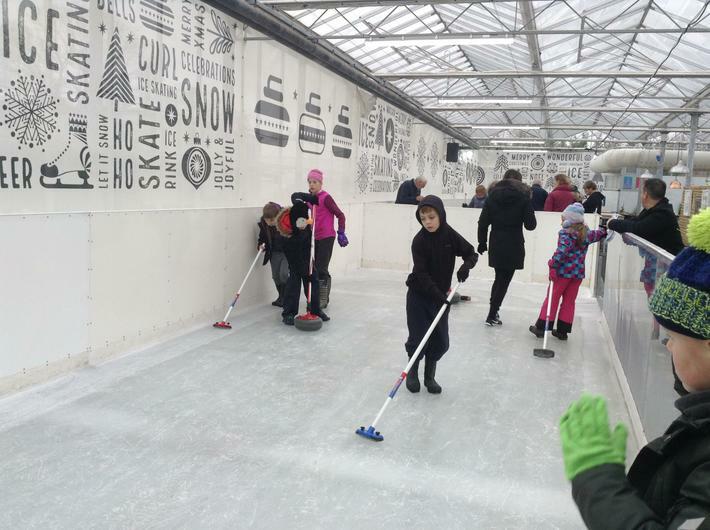 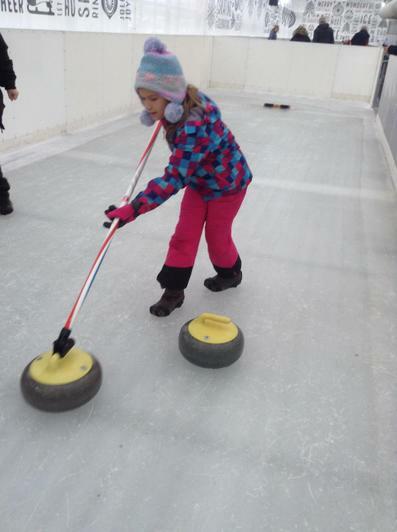 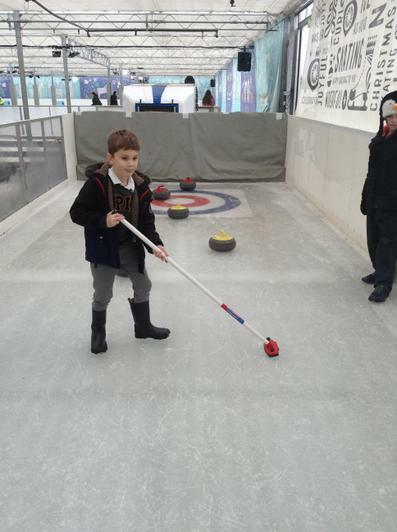 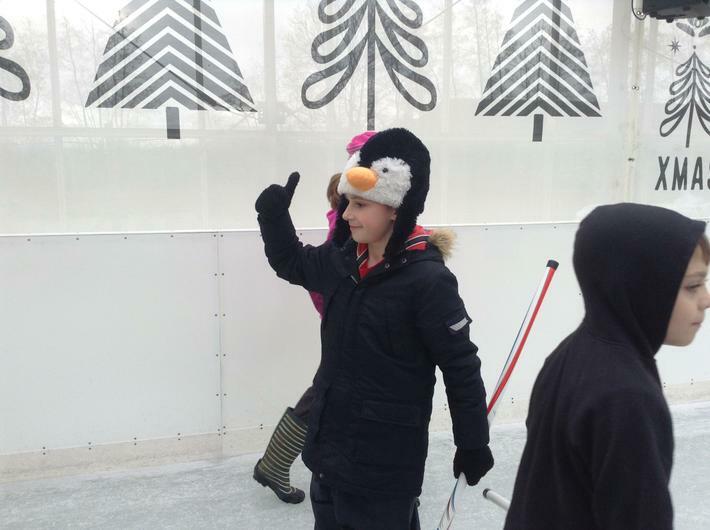 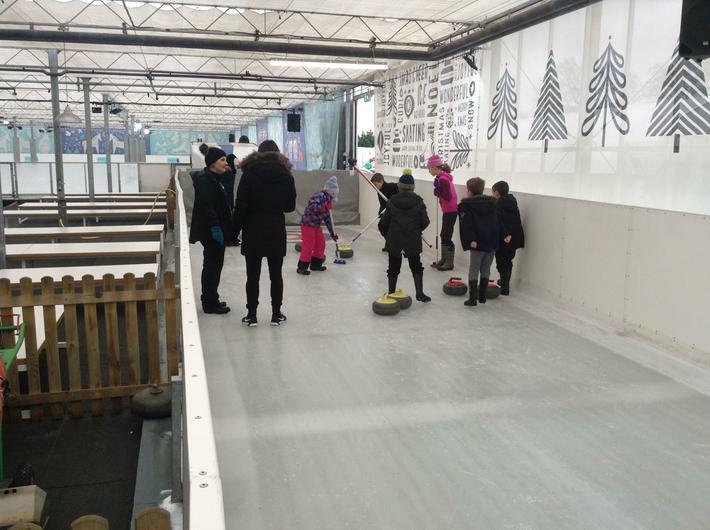 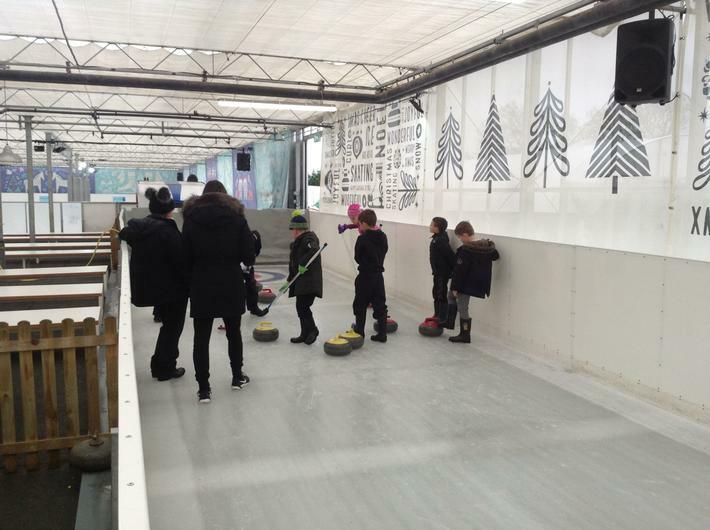 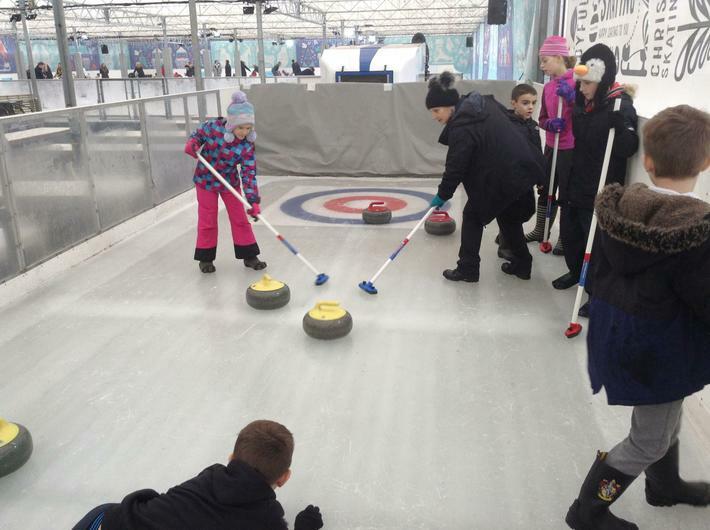 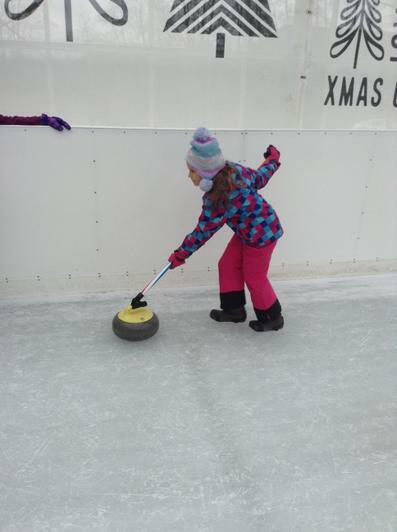 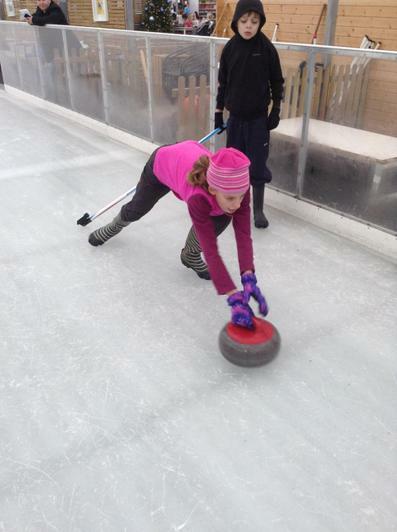 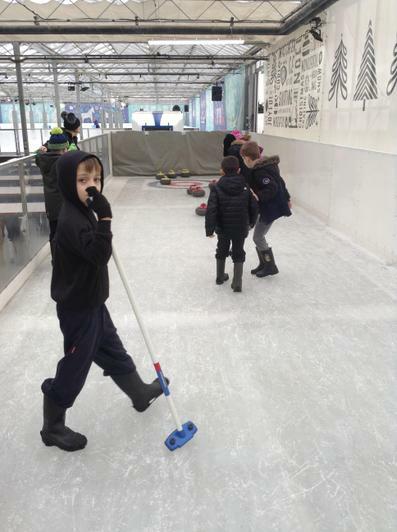 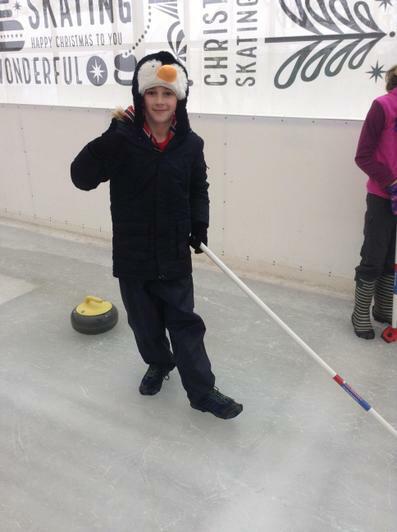 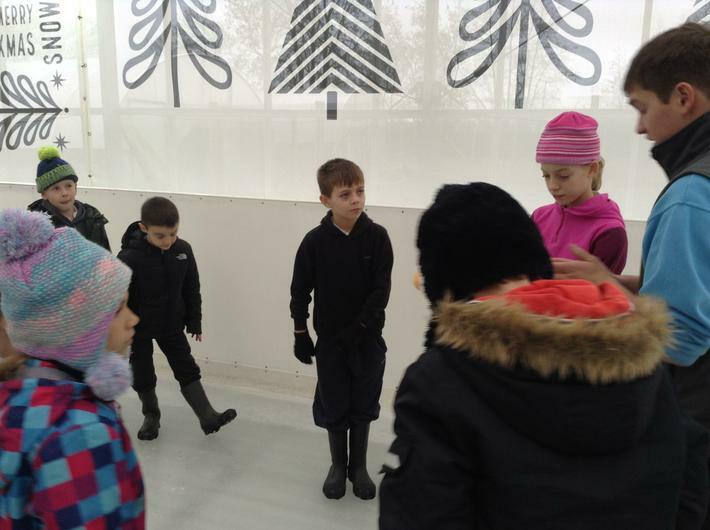 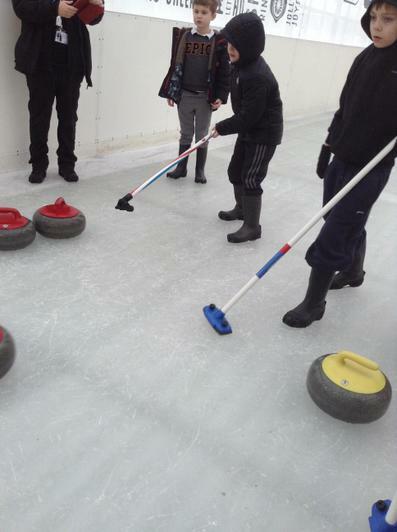 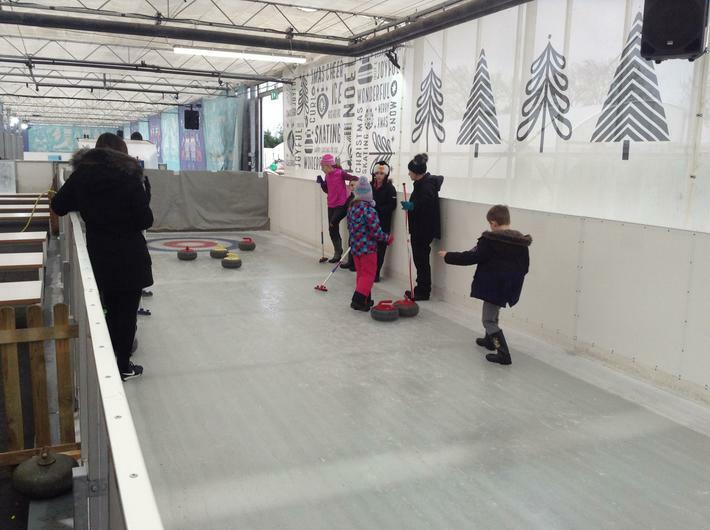 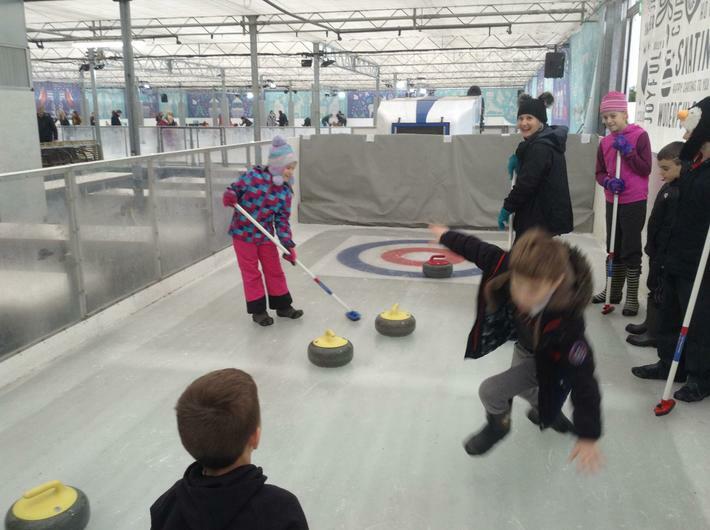 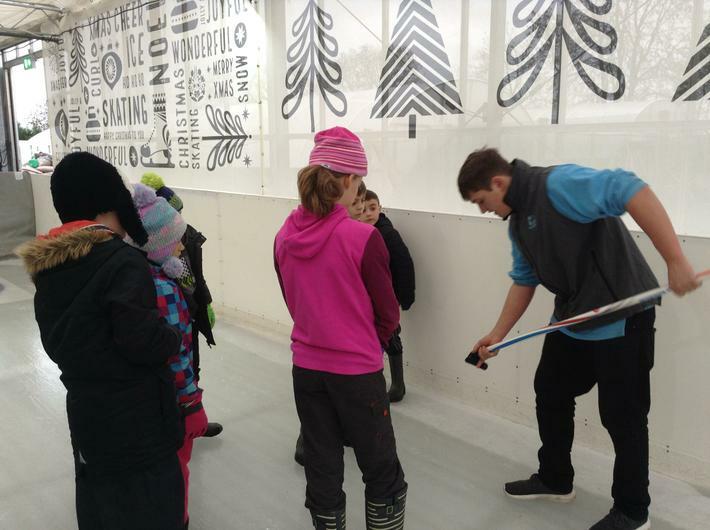 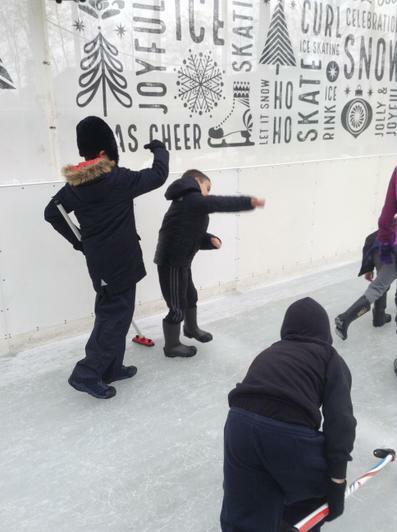 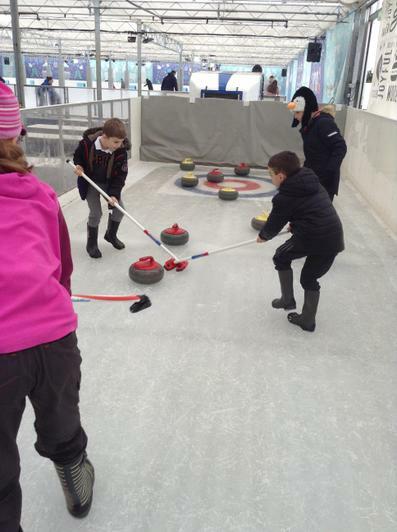 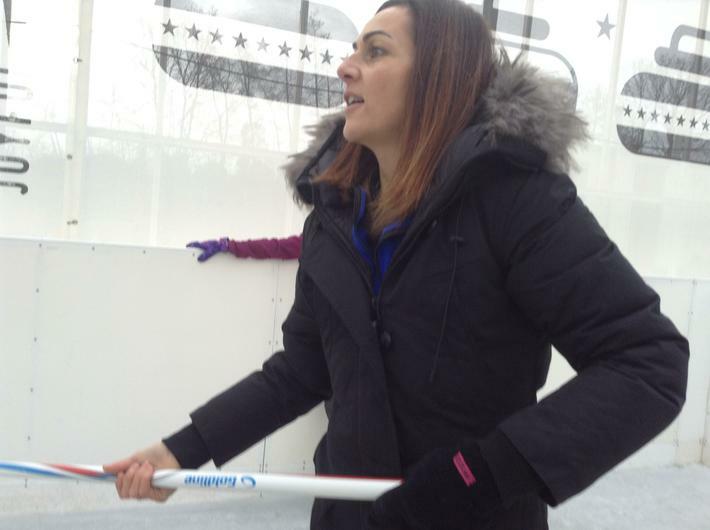 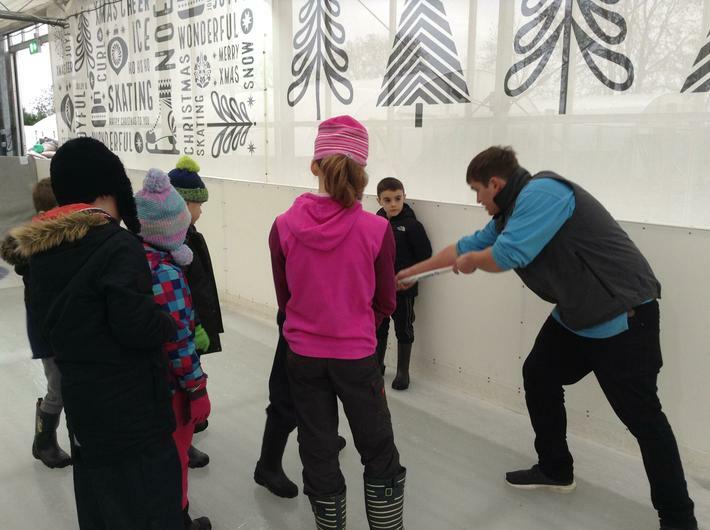 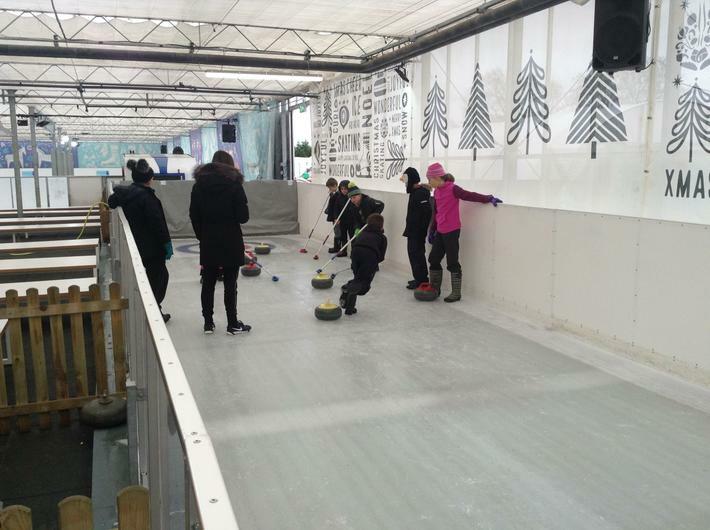 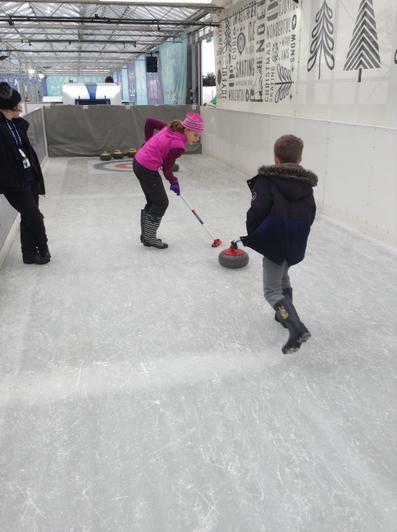 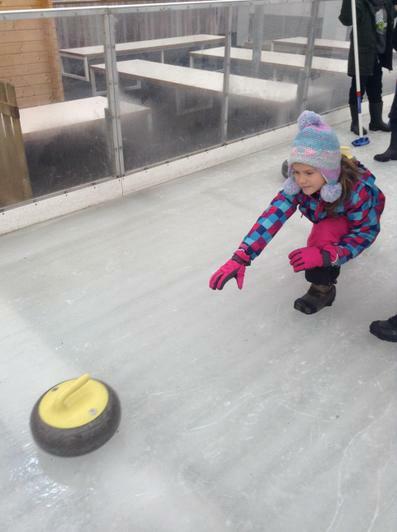 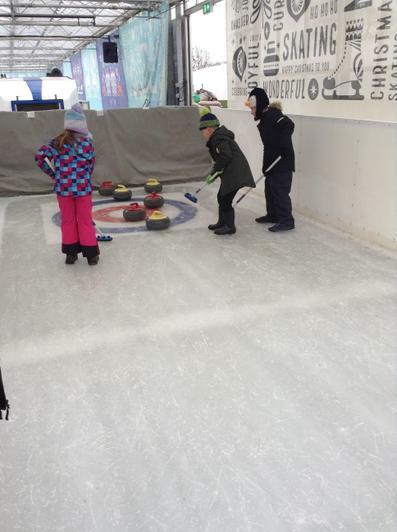 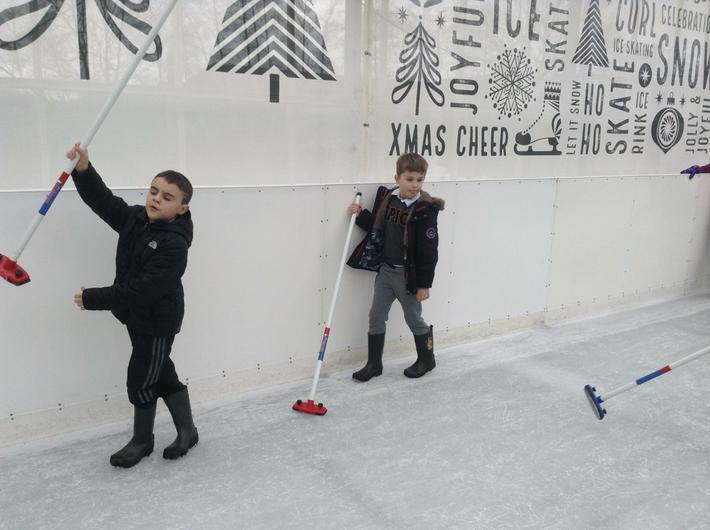 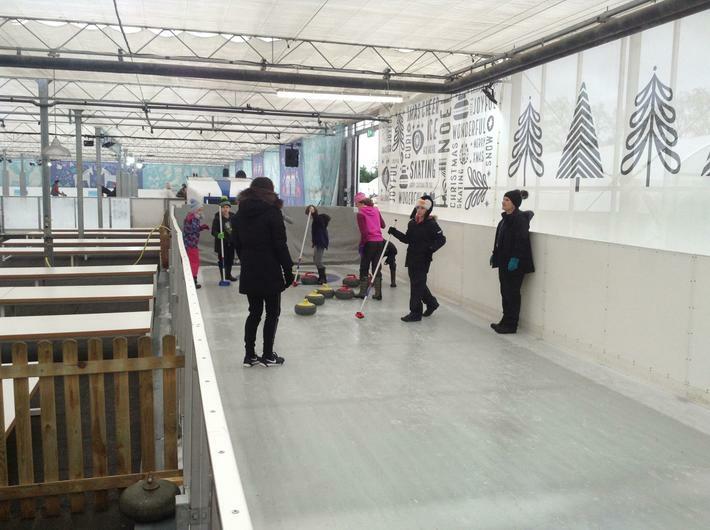 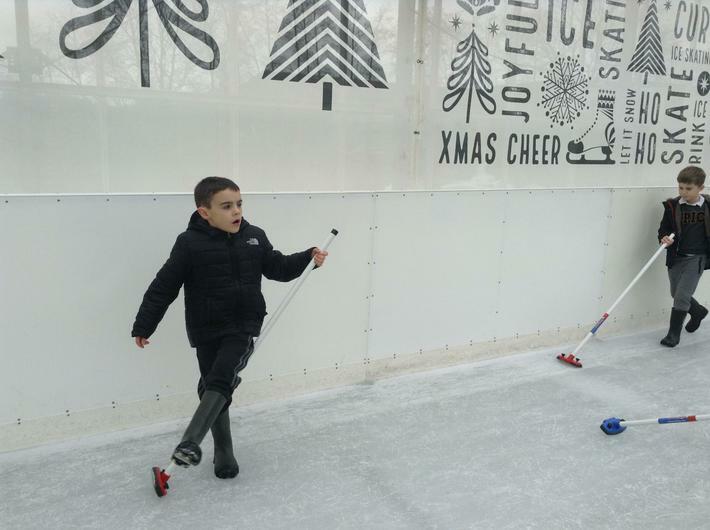 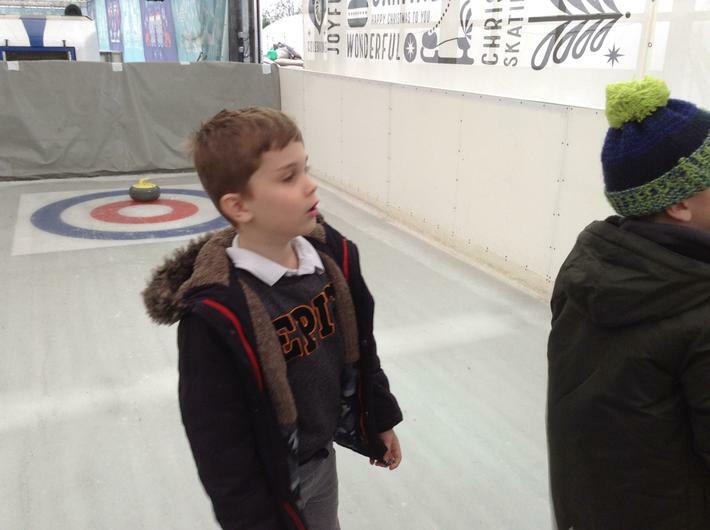 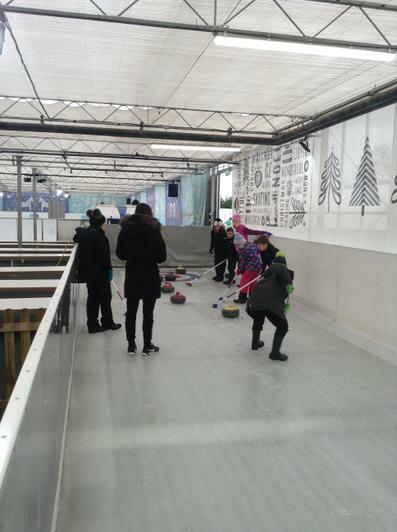 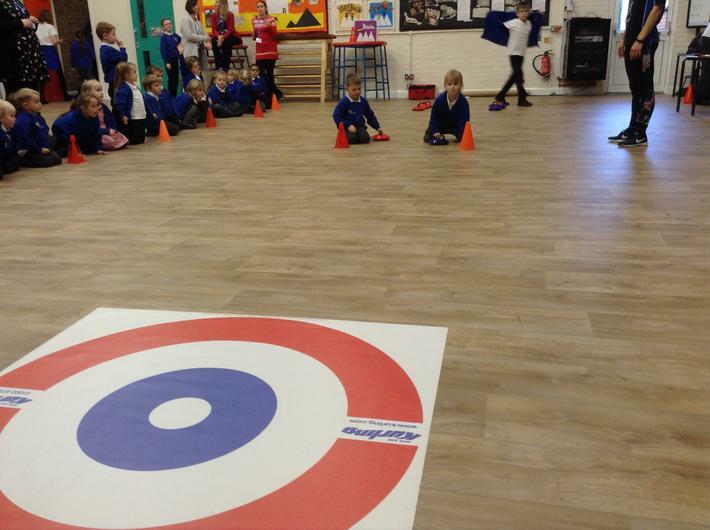 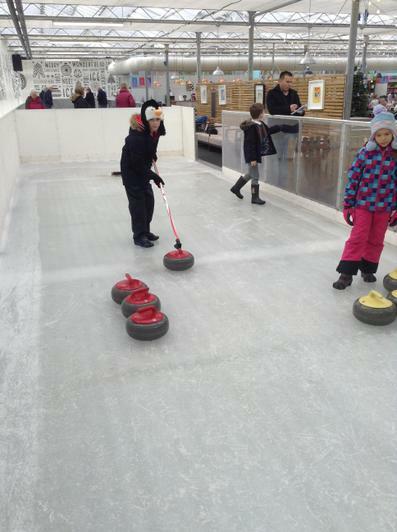 A selection of children from our New Age Kurling Club had the opportunity to try out Curling on ice at Beckworth Emporium this week! 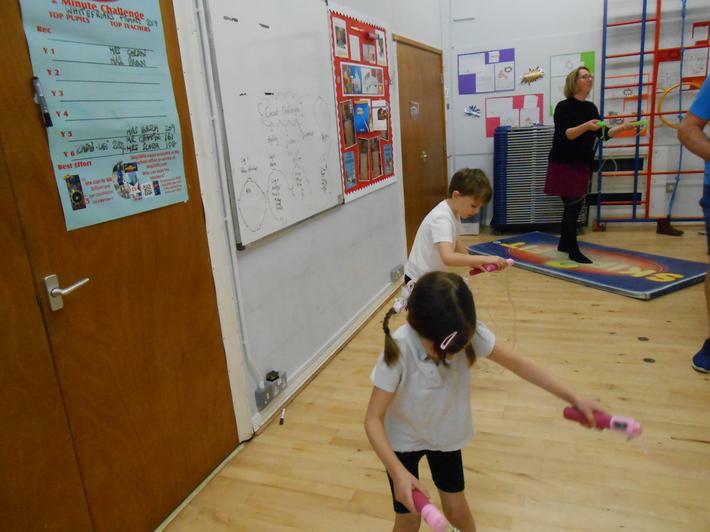 The children quickly realised that it was hard work, as the stones were VERY heavy! 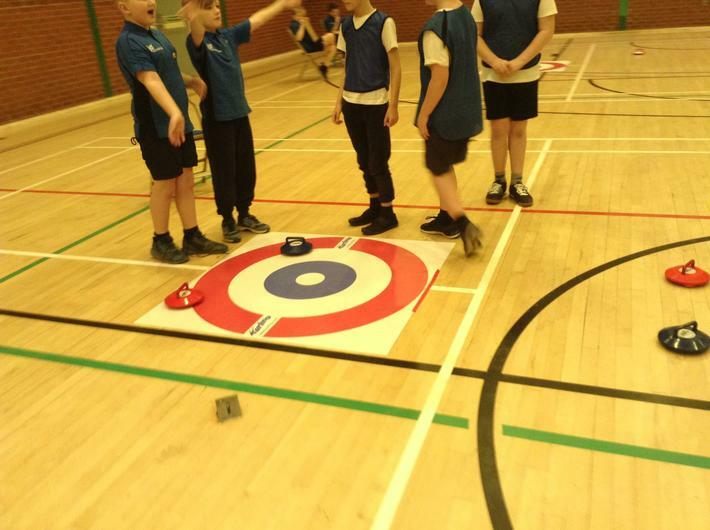 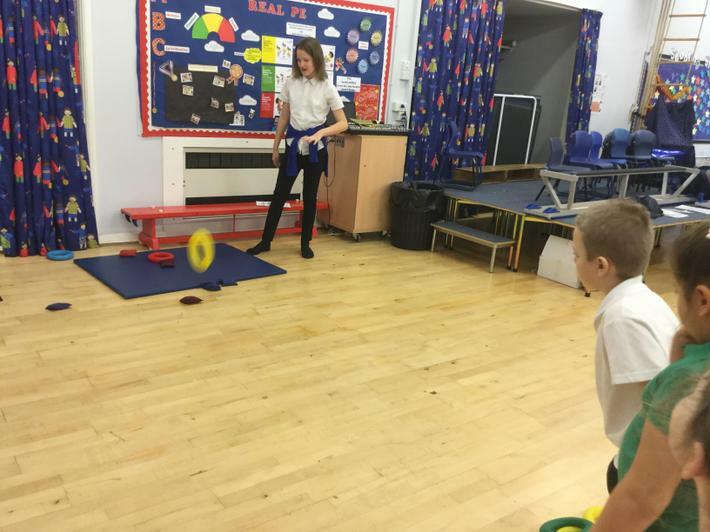 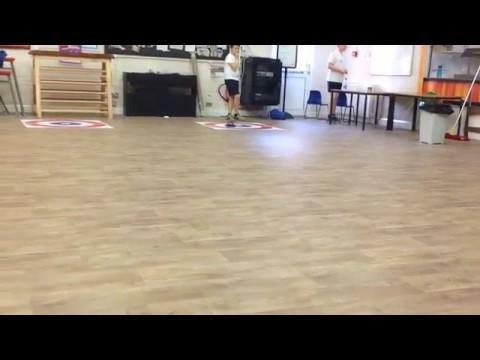 But with determination and perseverance, they soon improved their game and became very good at hitting the target at the other end of the ice (and hitting their opponents stone off the target! 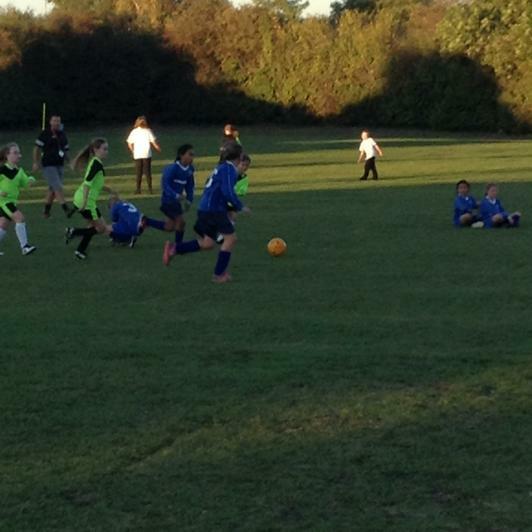 - Great tactics!). 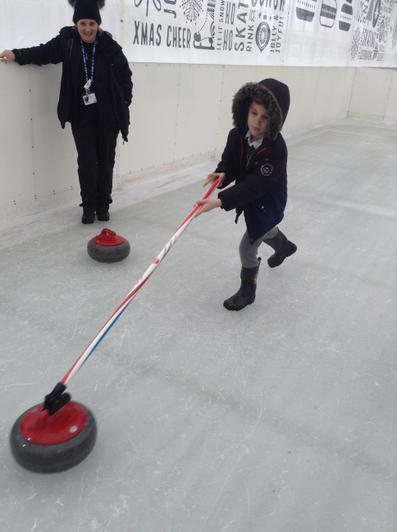 It was a fantastic experience for the children...and of course the adults that went!